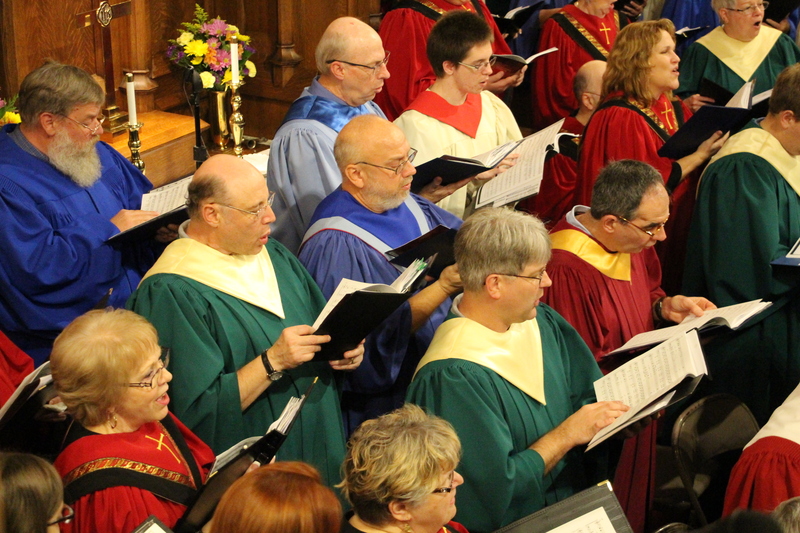 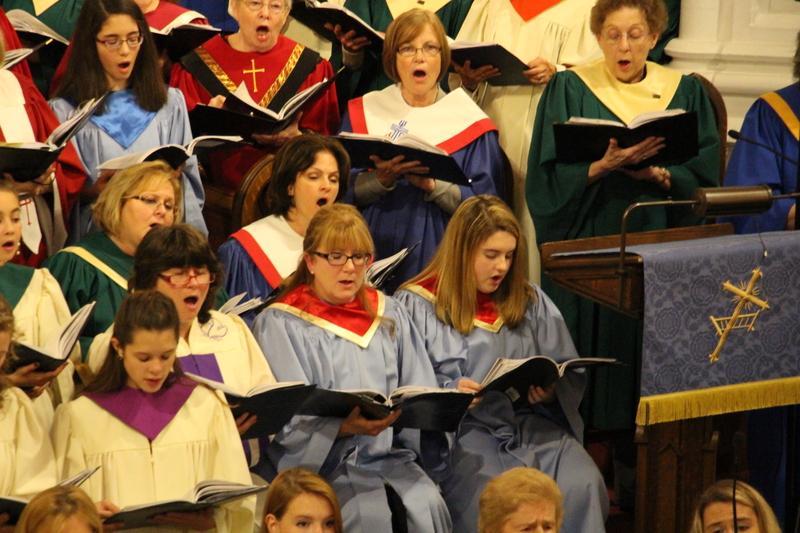 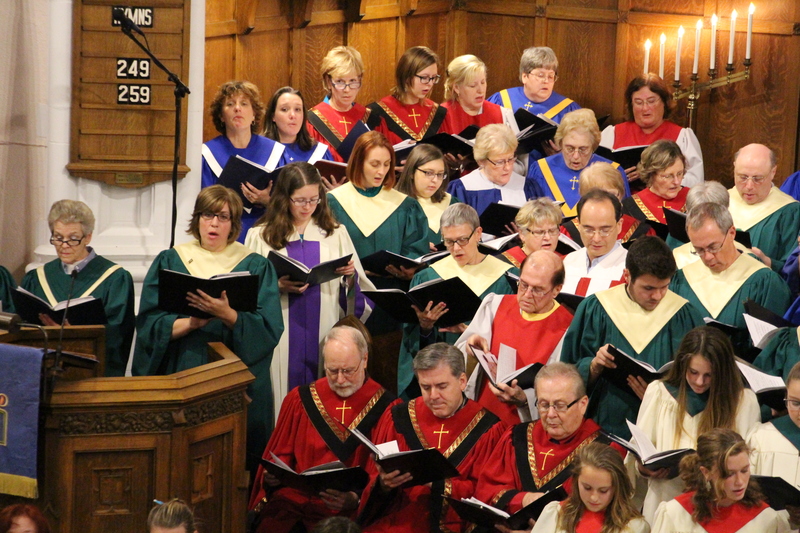 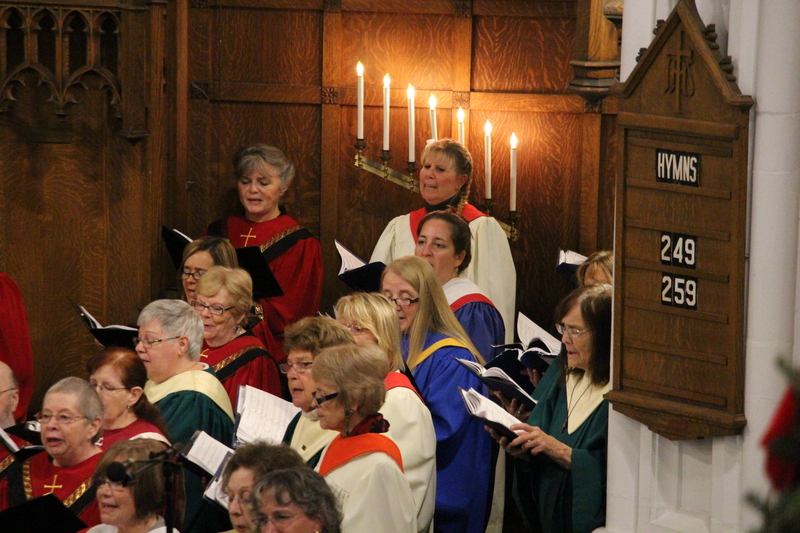 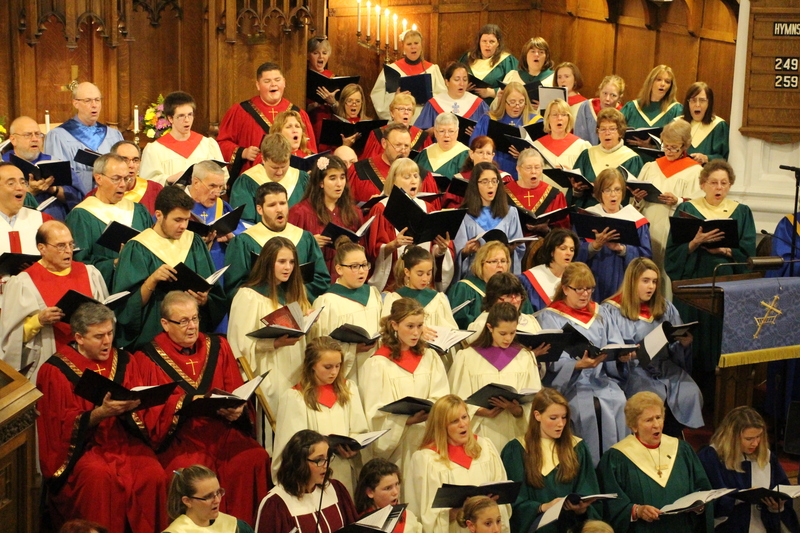 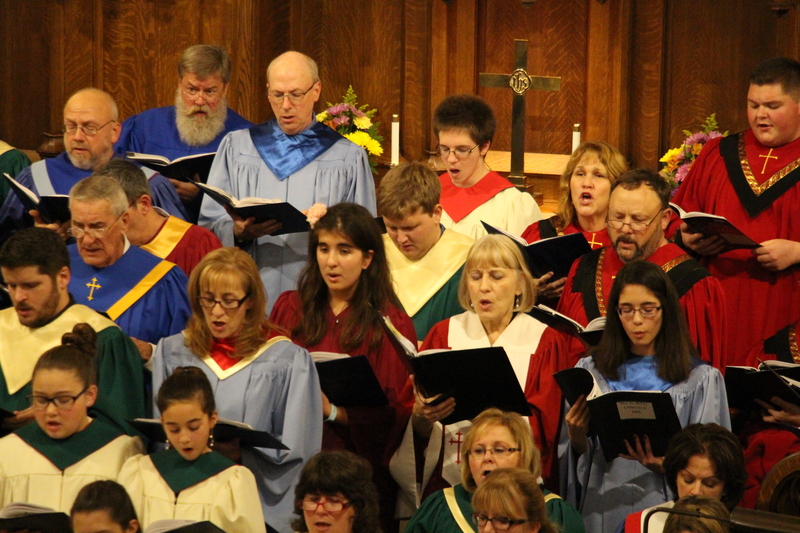 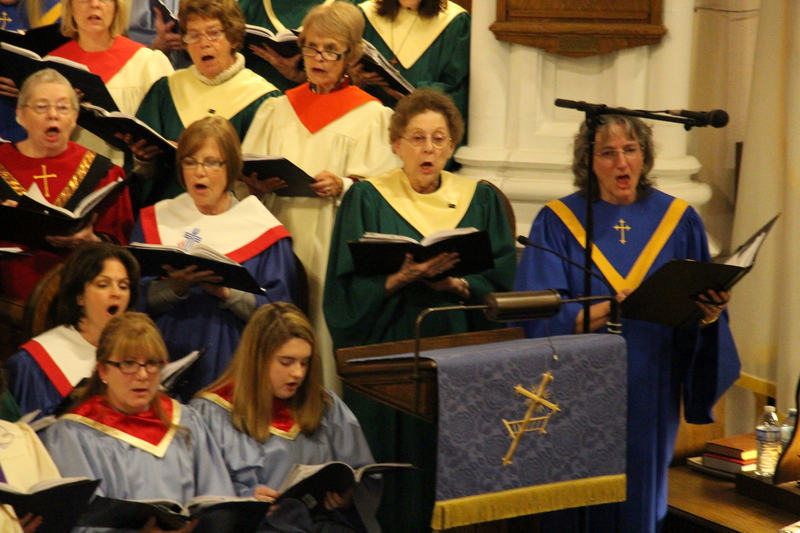 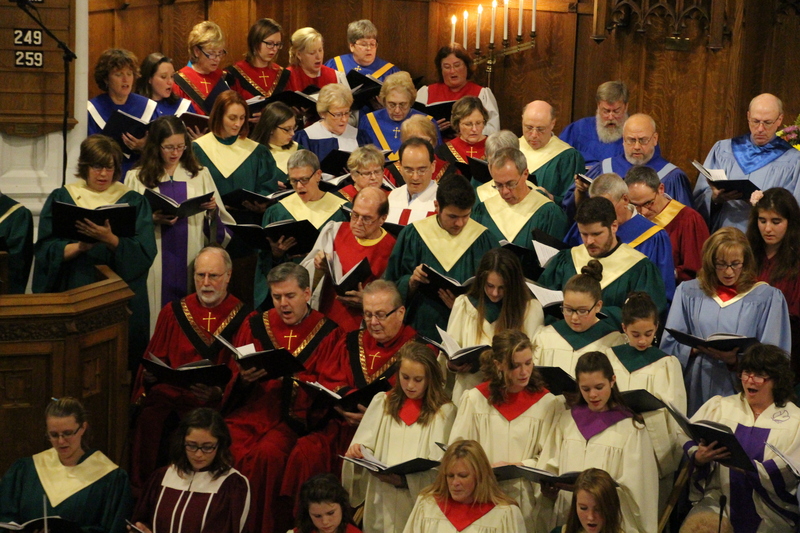 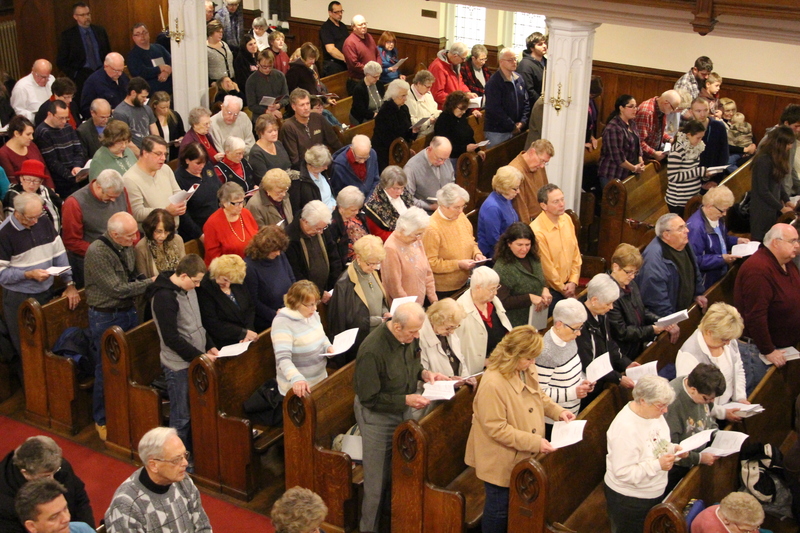 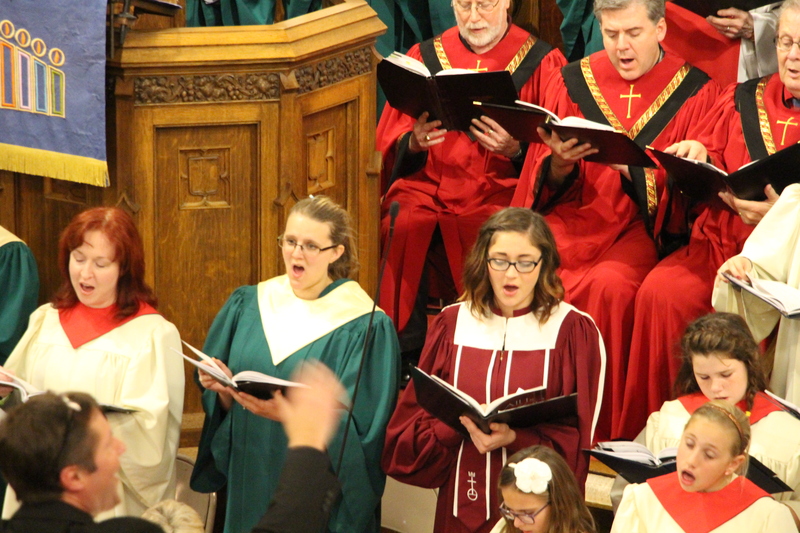 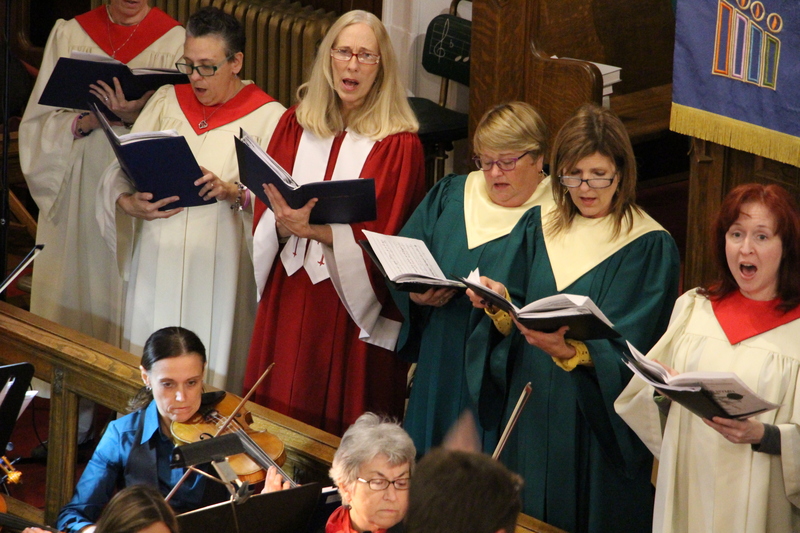 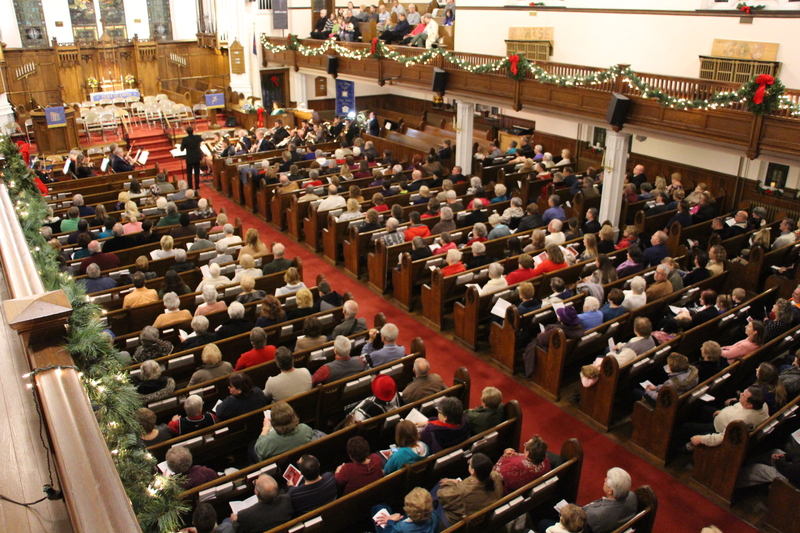 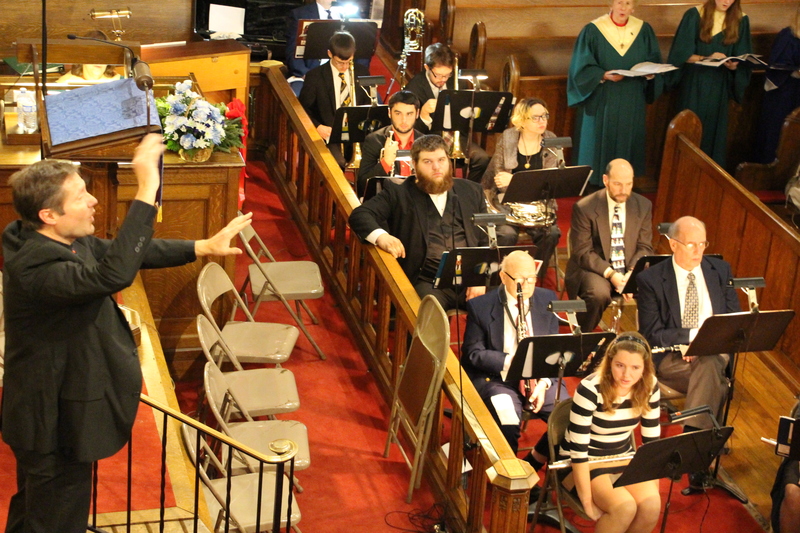 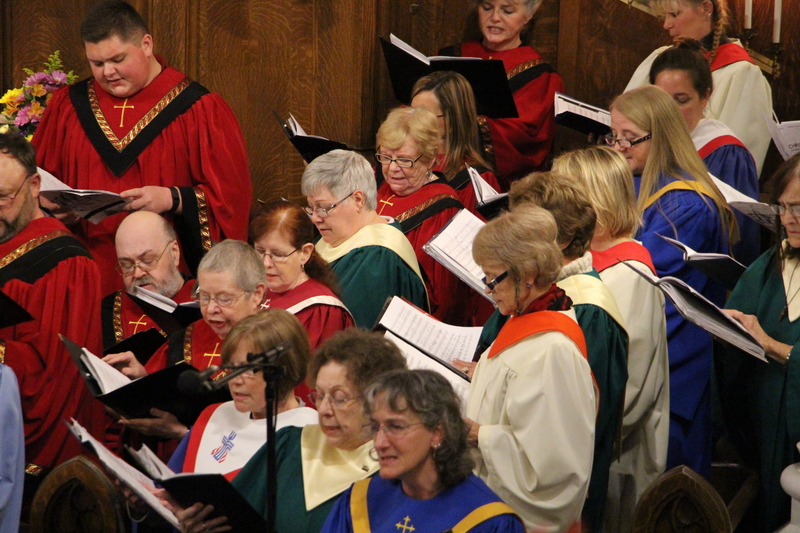 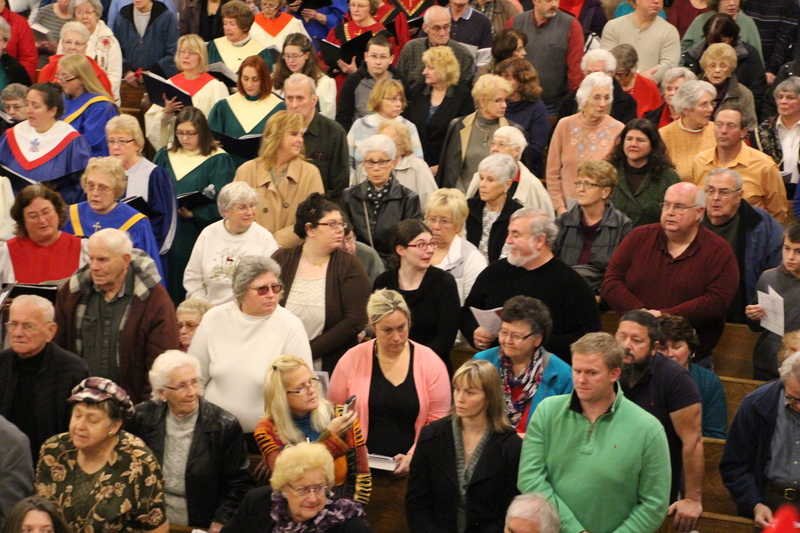 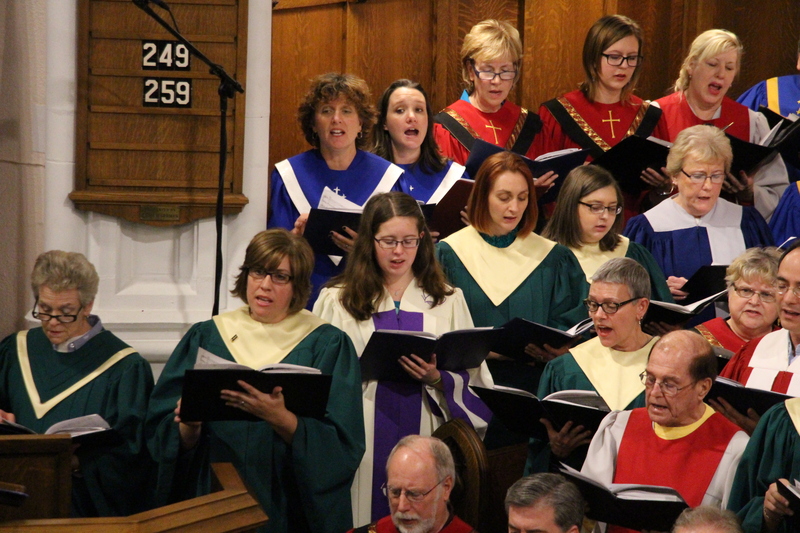 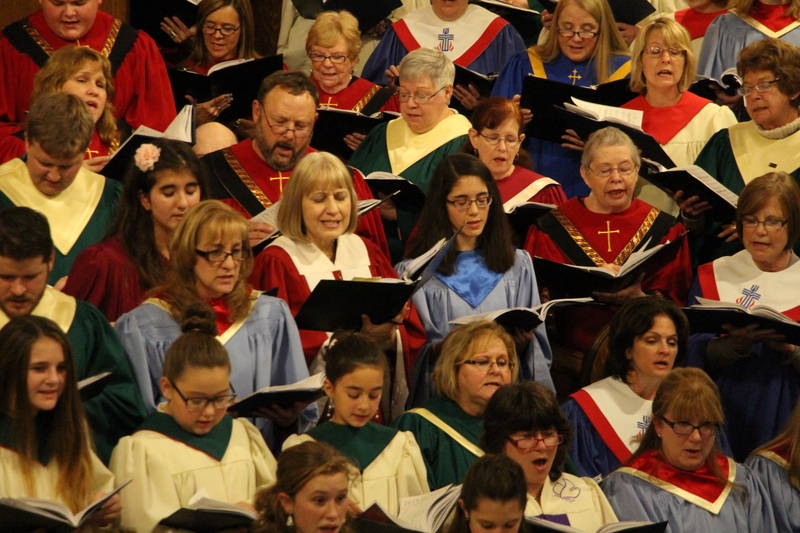 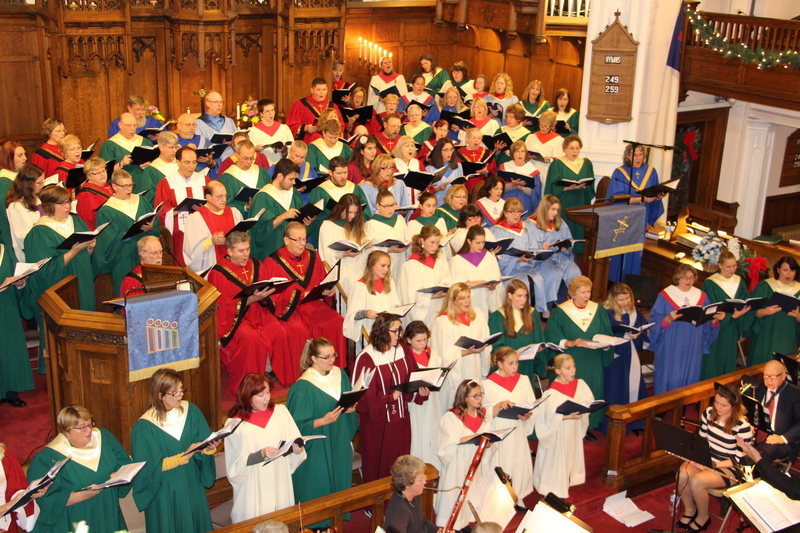 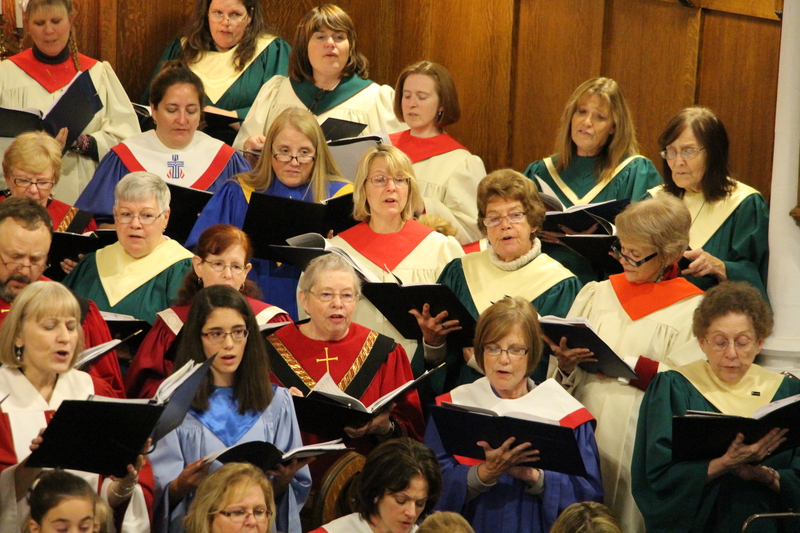 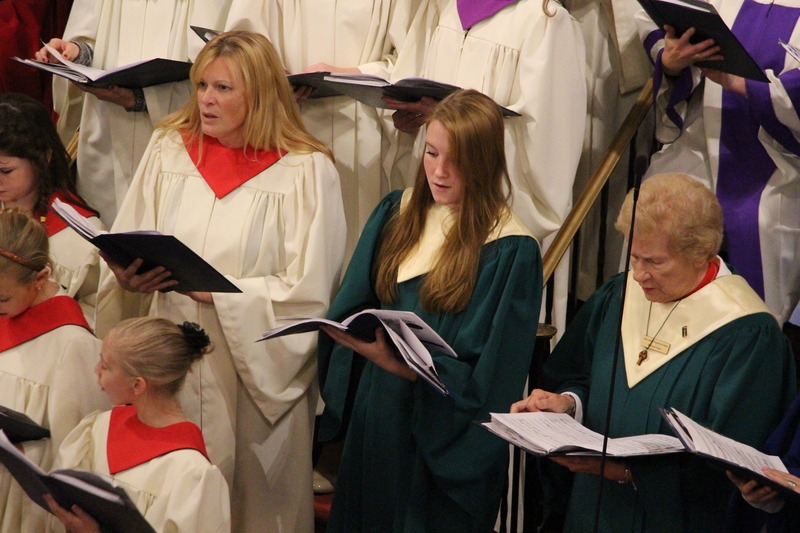 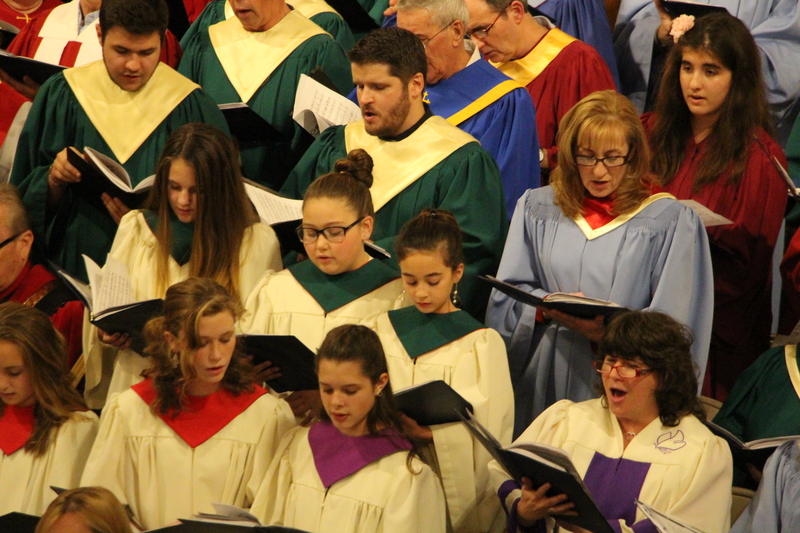 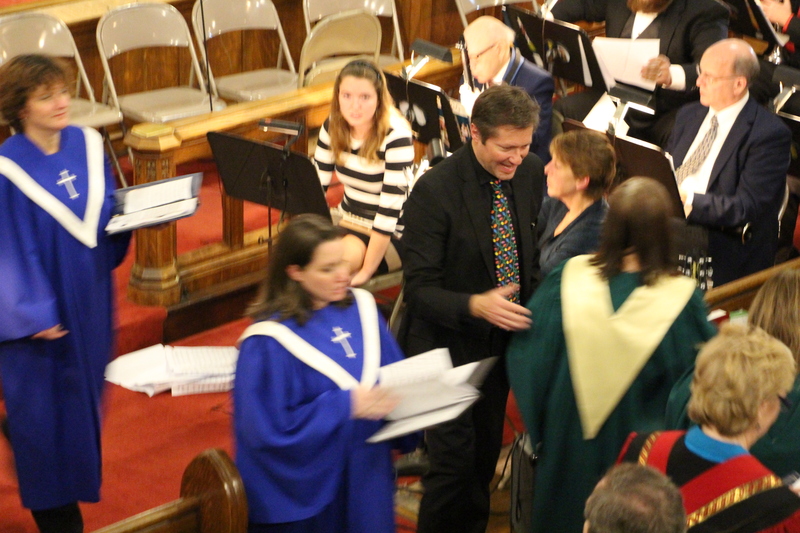 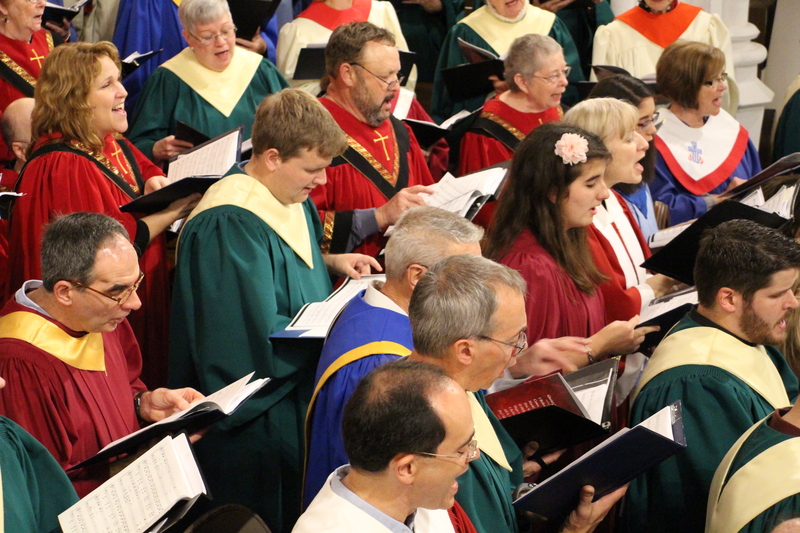 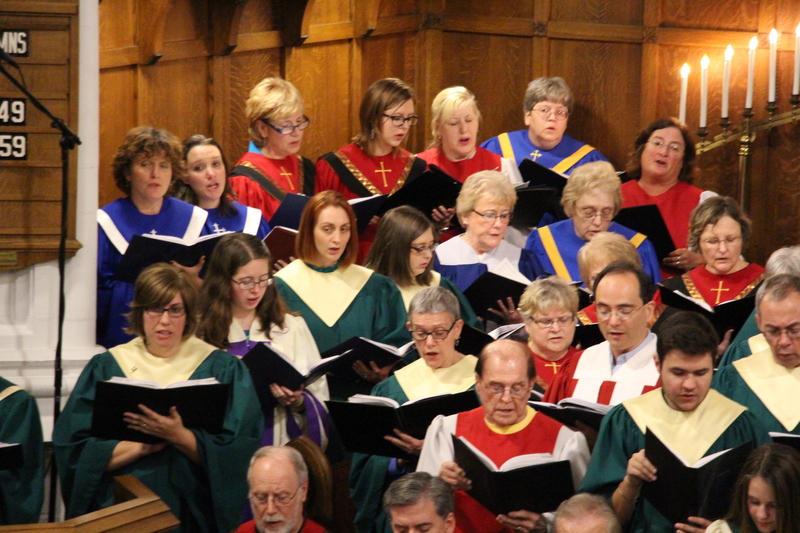 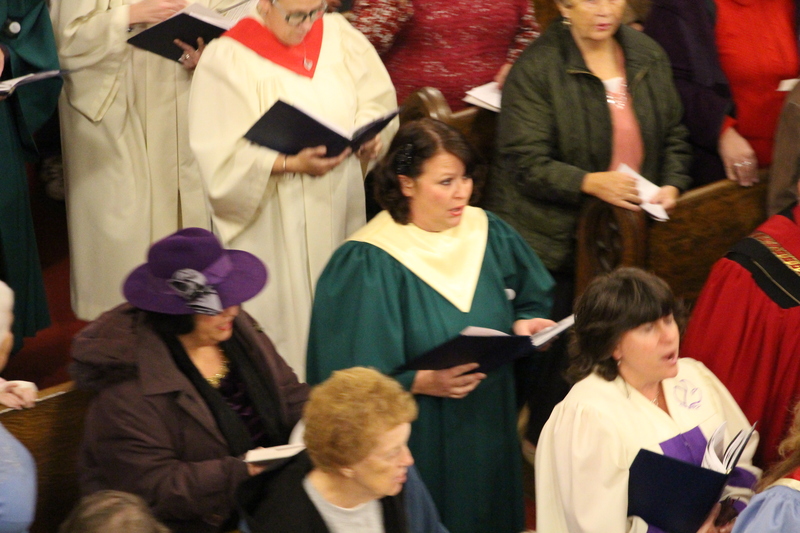 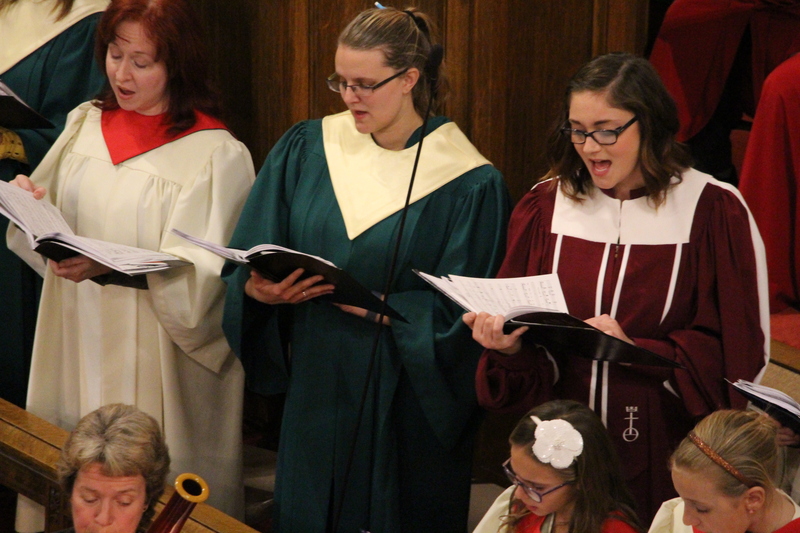 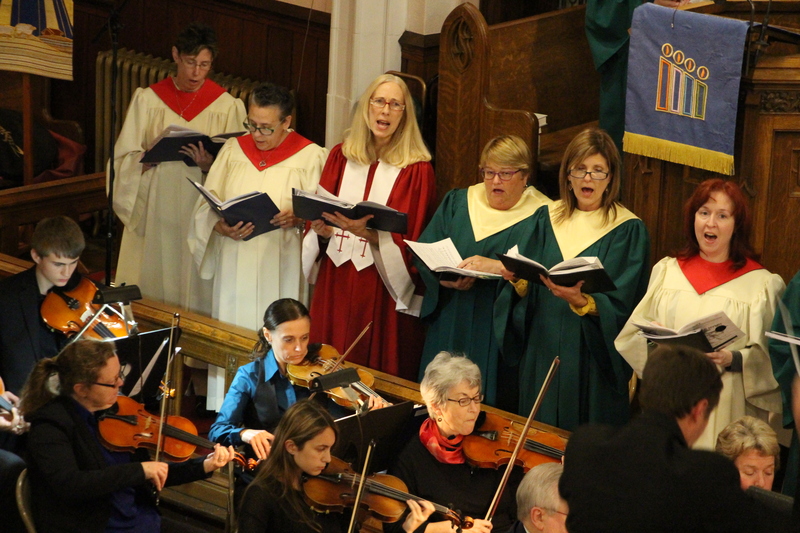 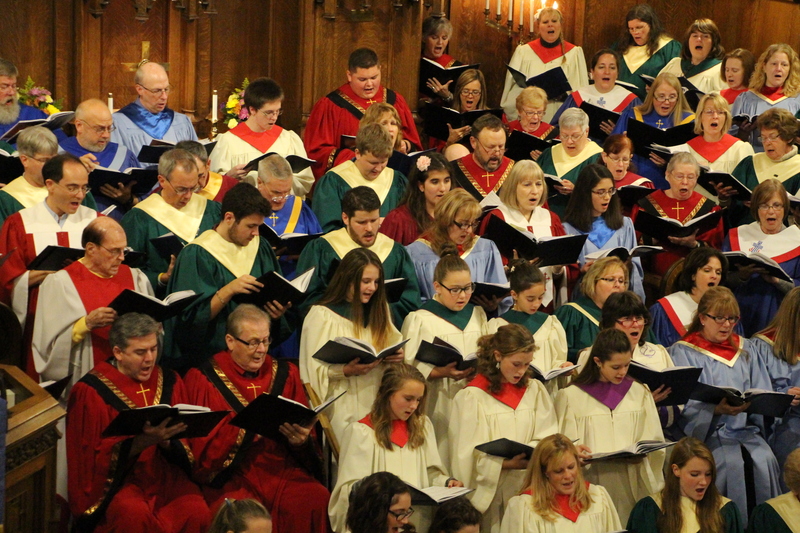 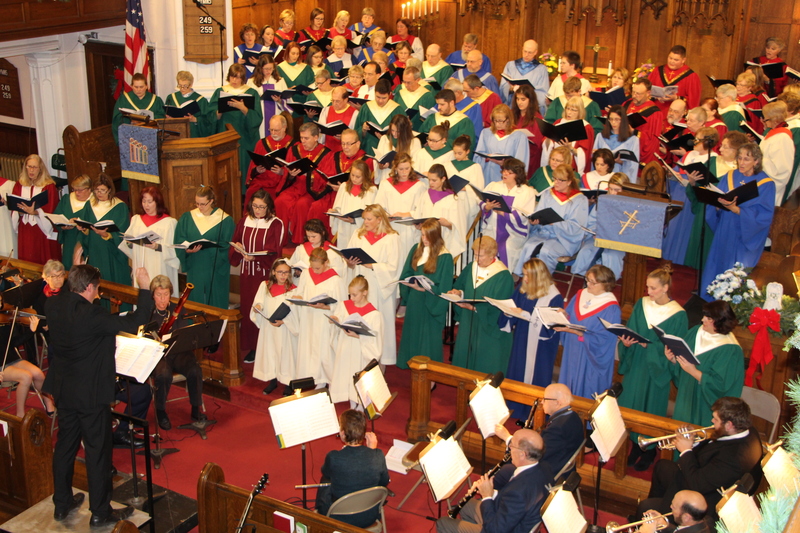 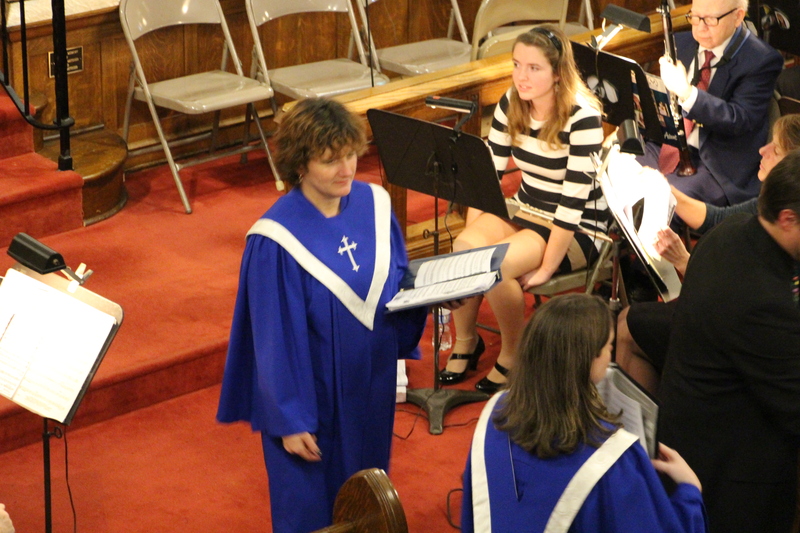 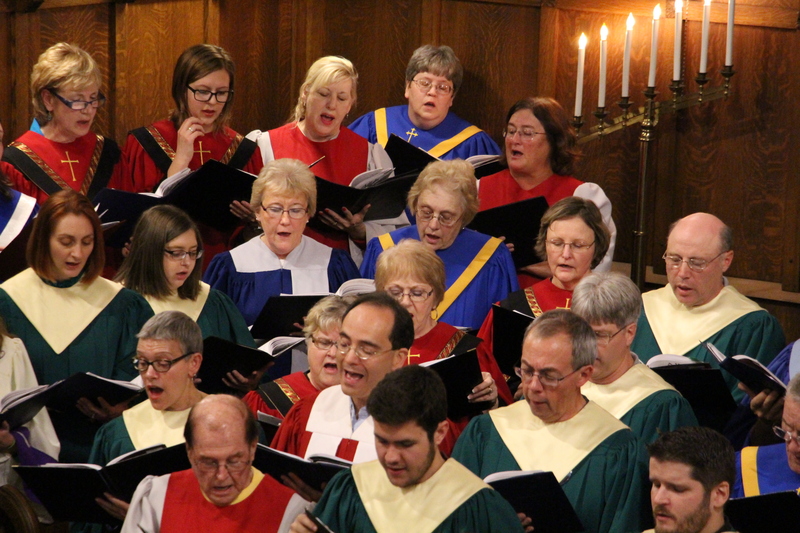 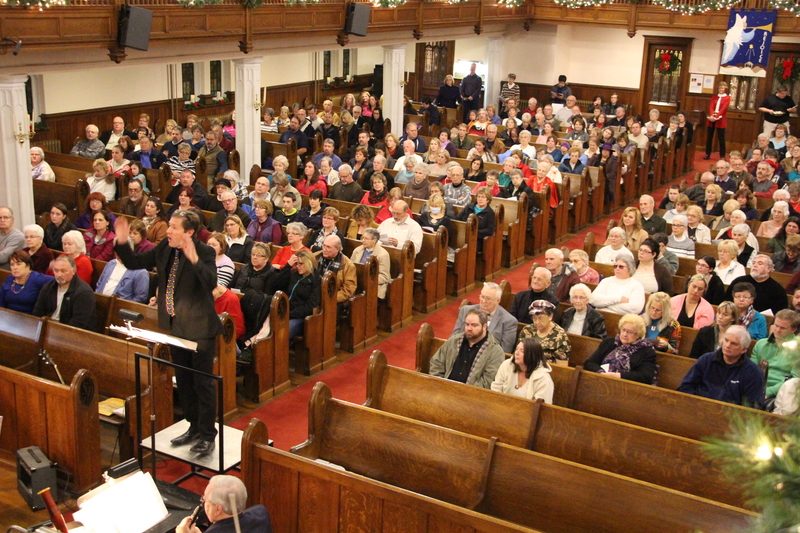 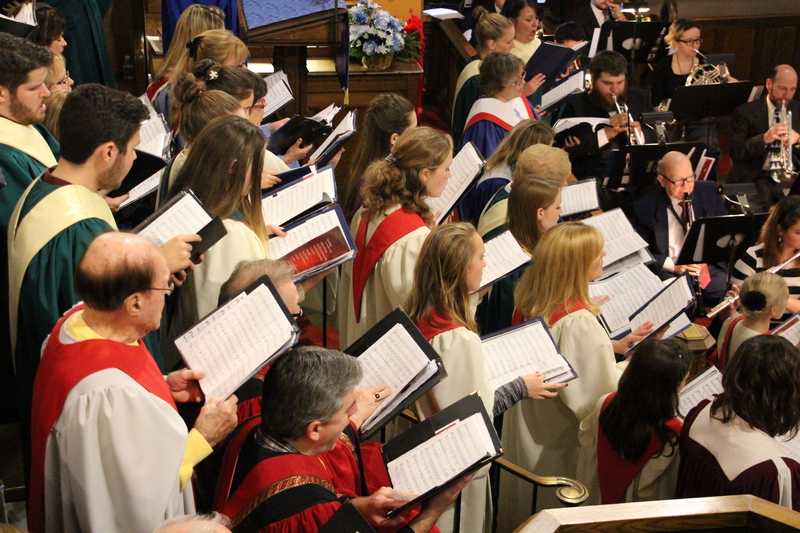 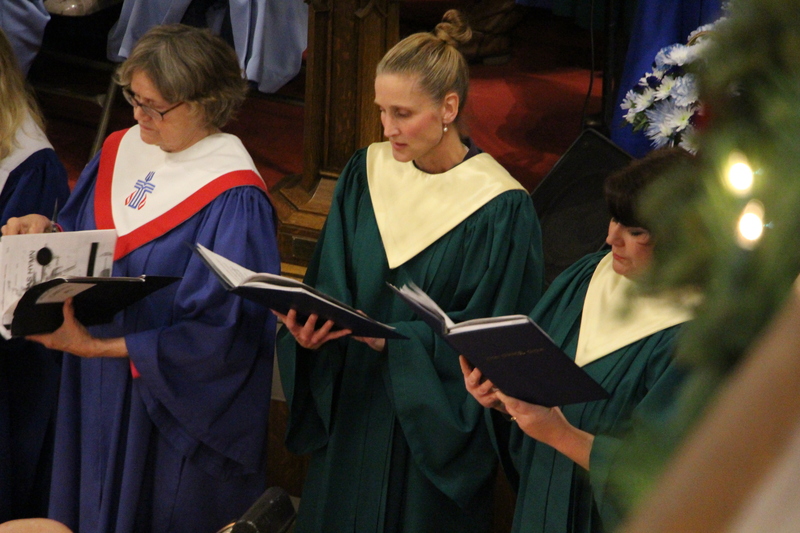 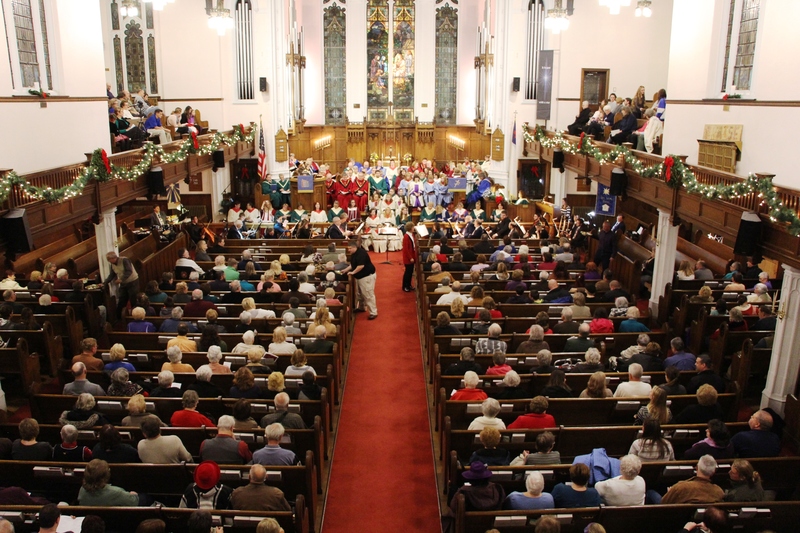 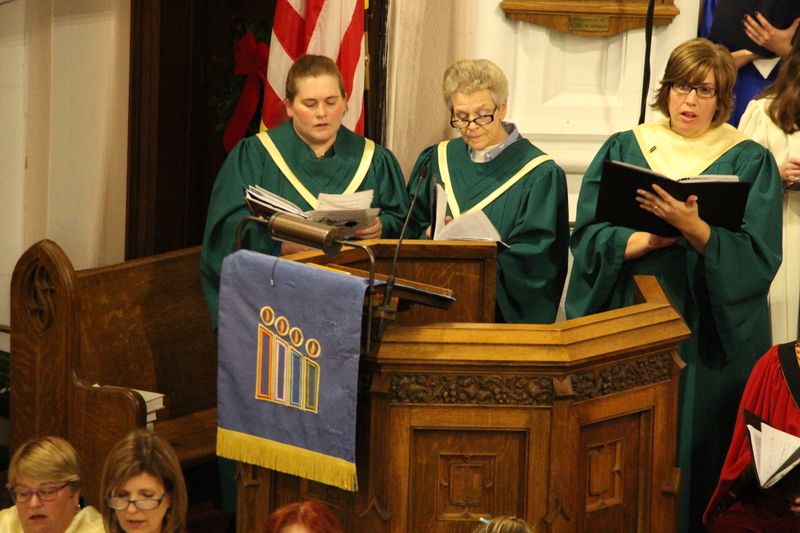 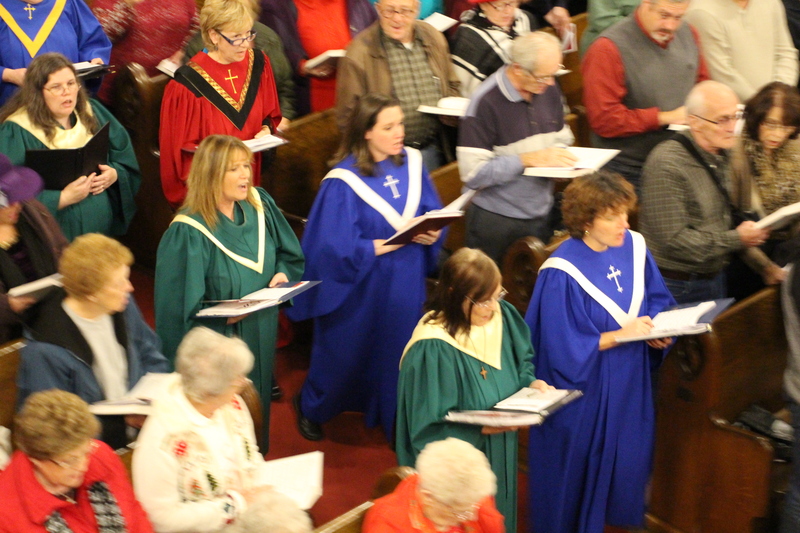 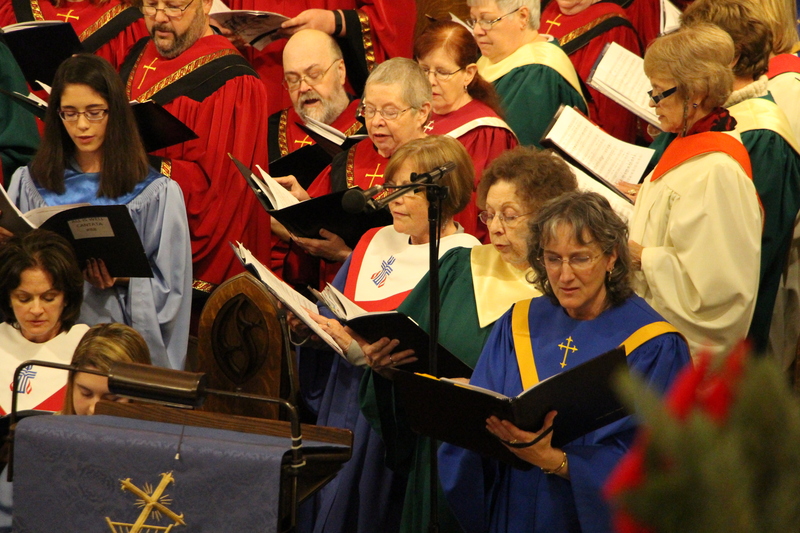 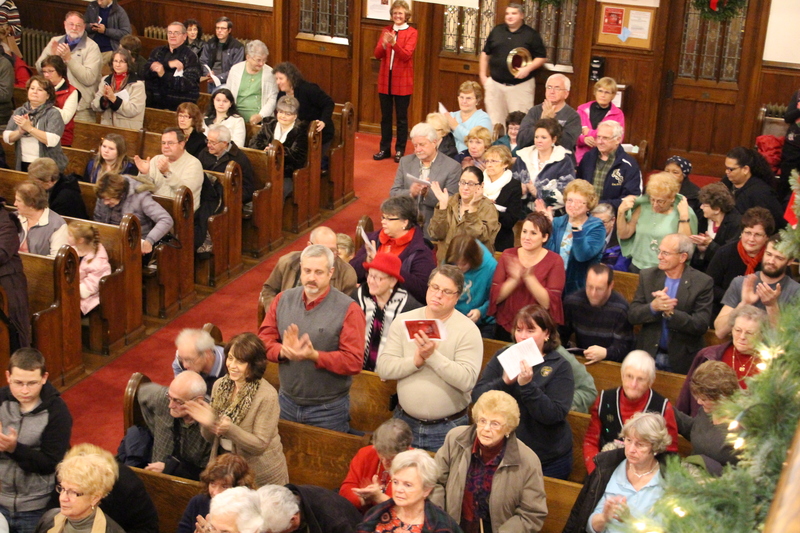 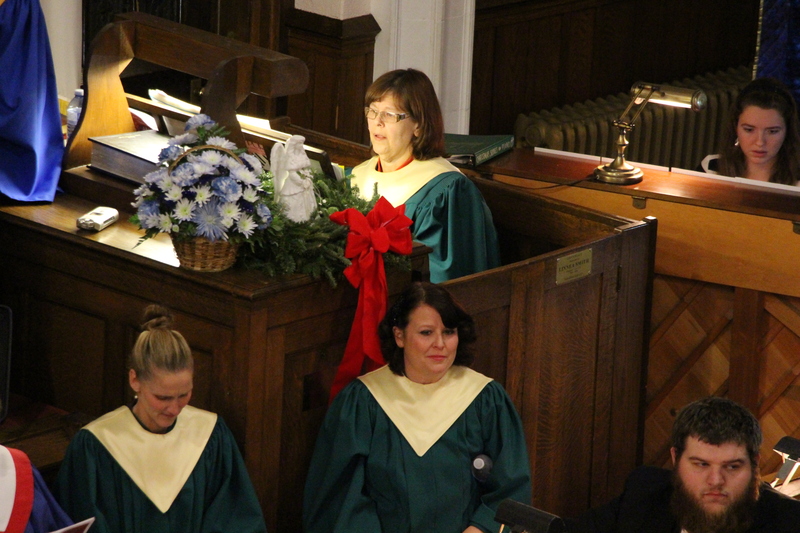 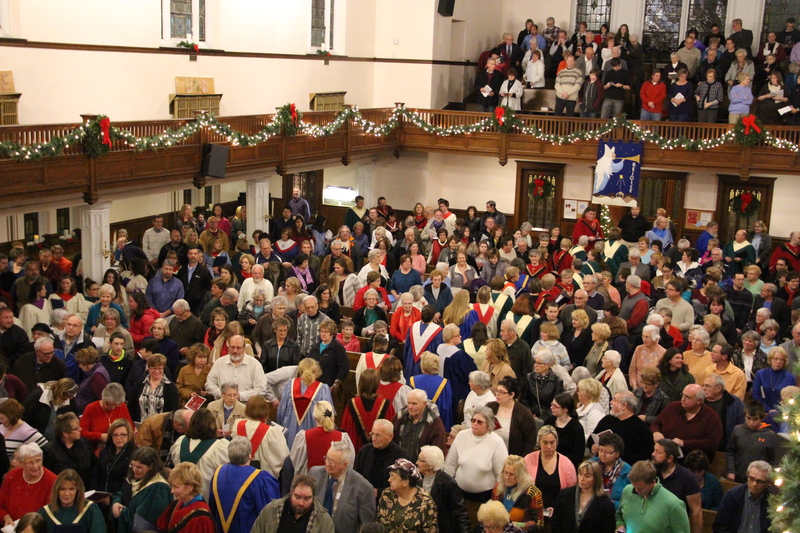 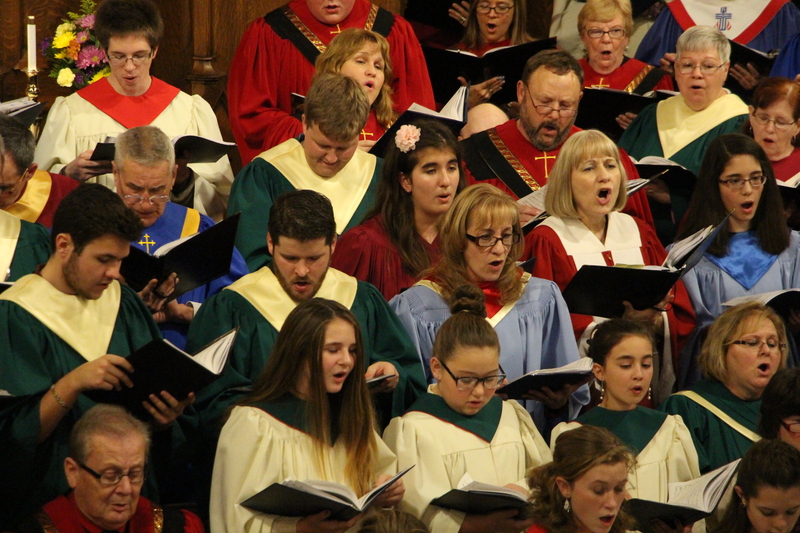 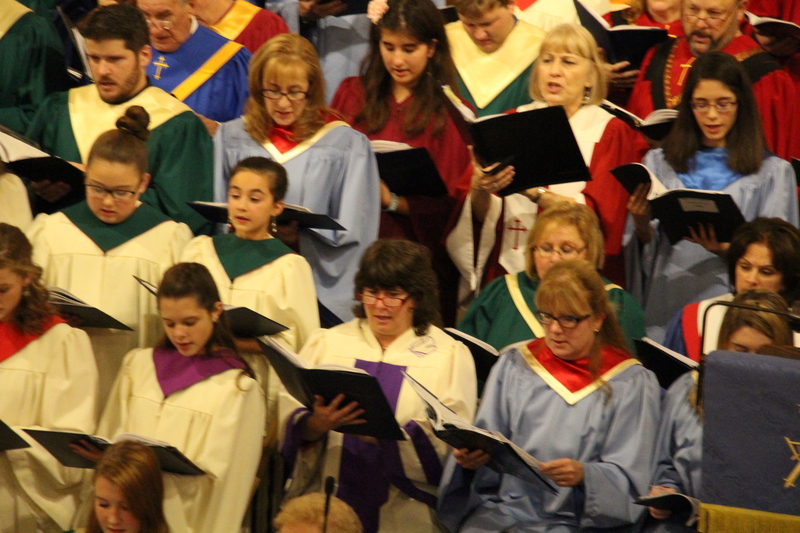 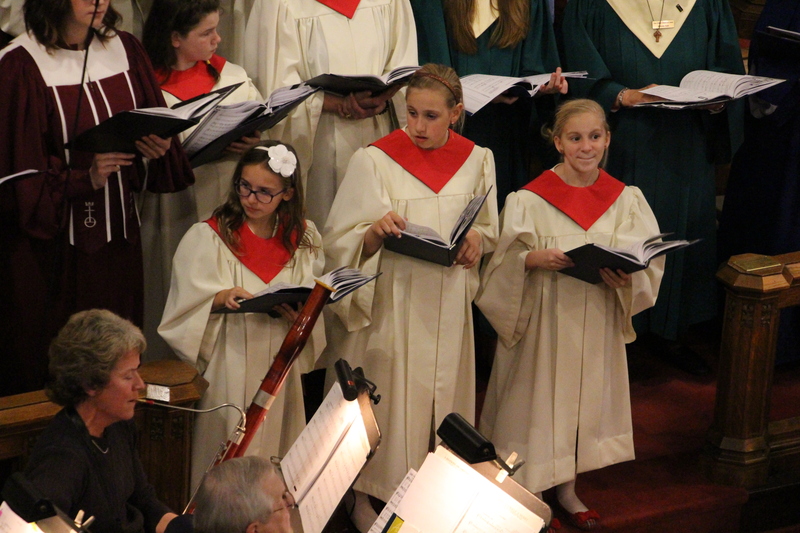 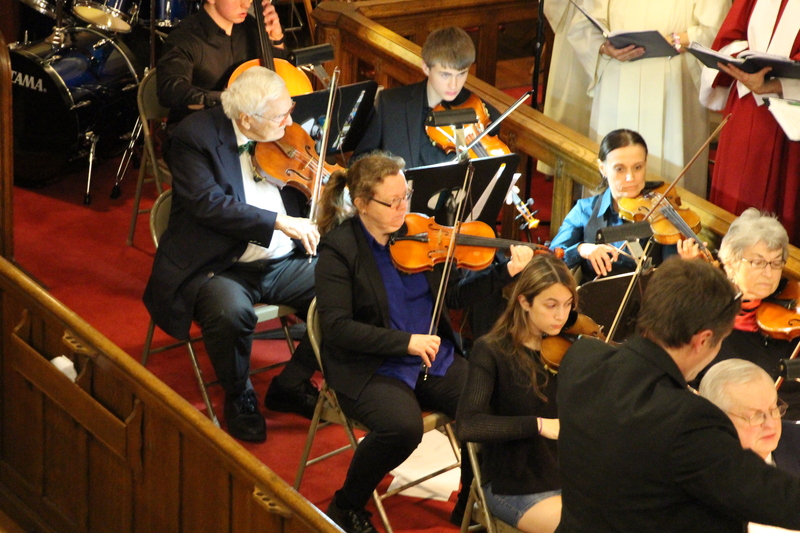 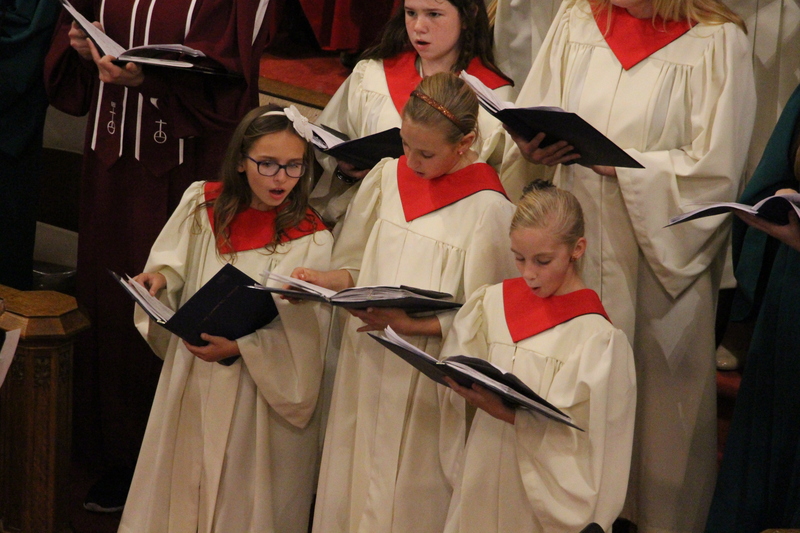 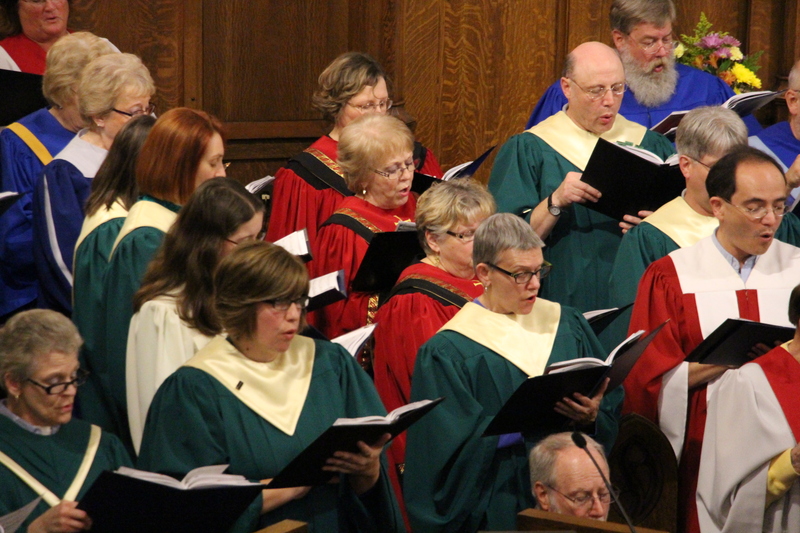 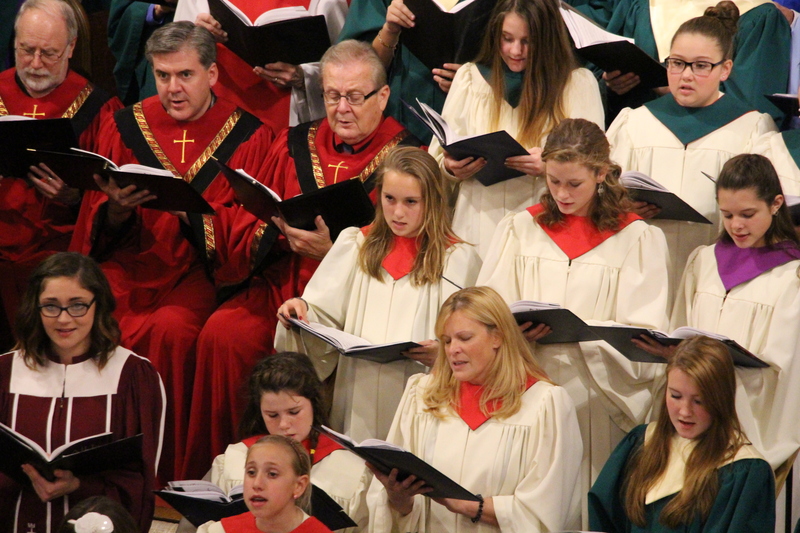 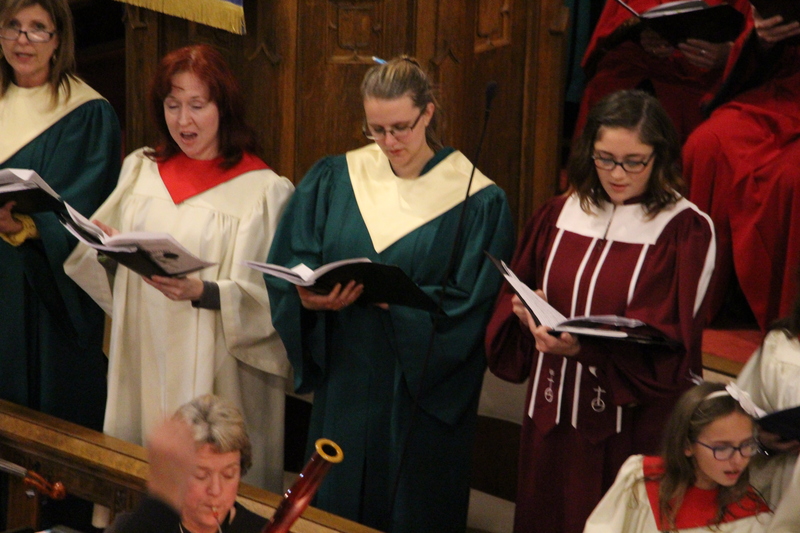 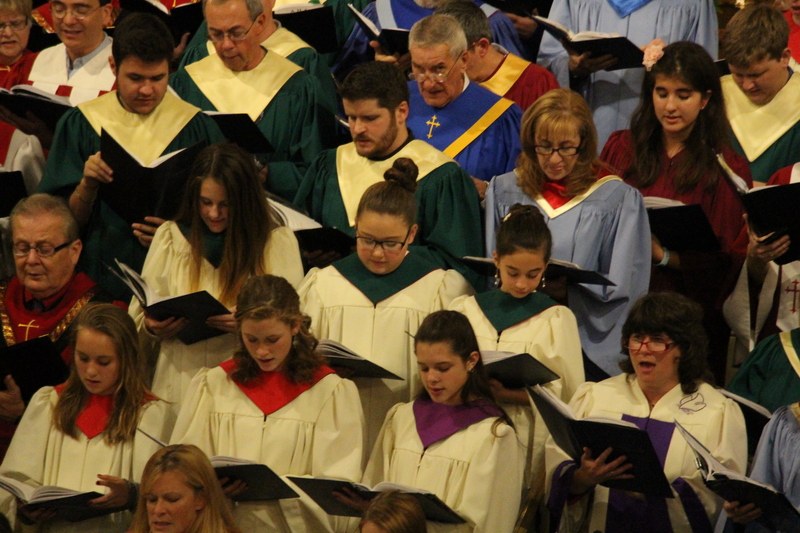 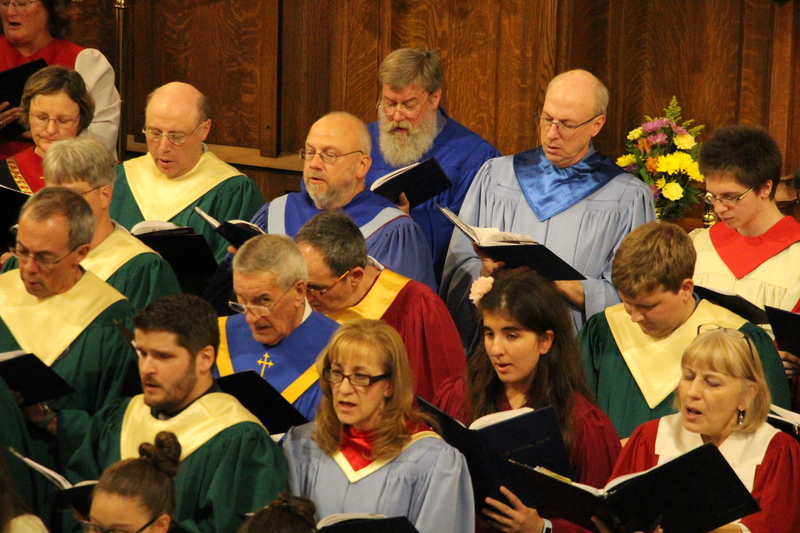 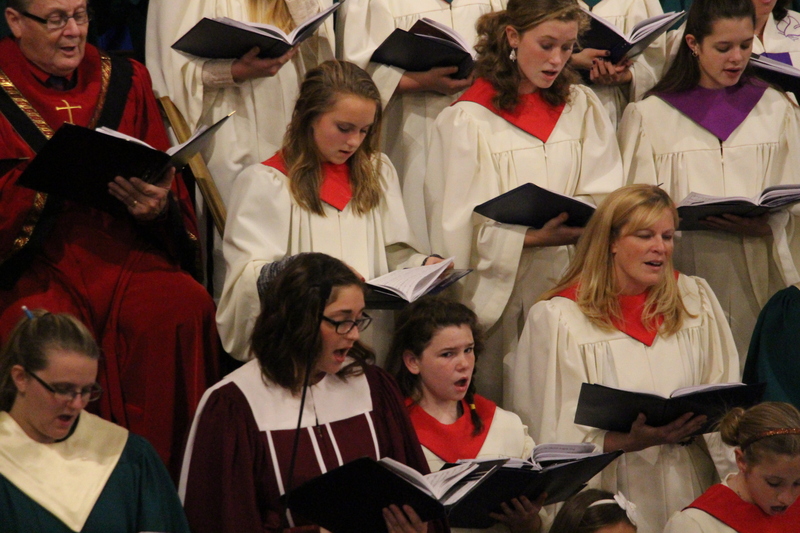 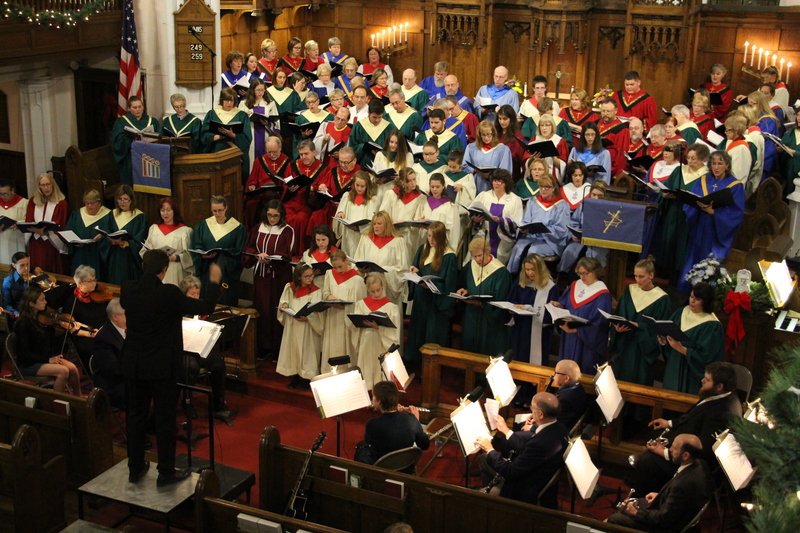 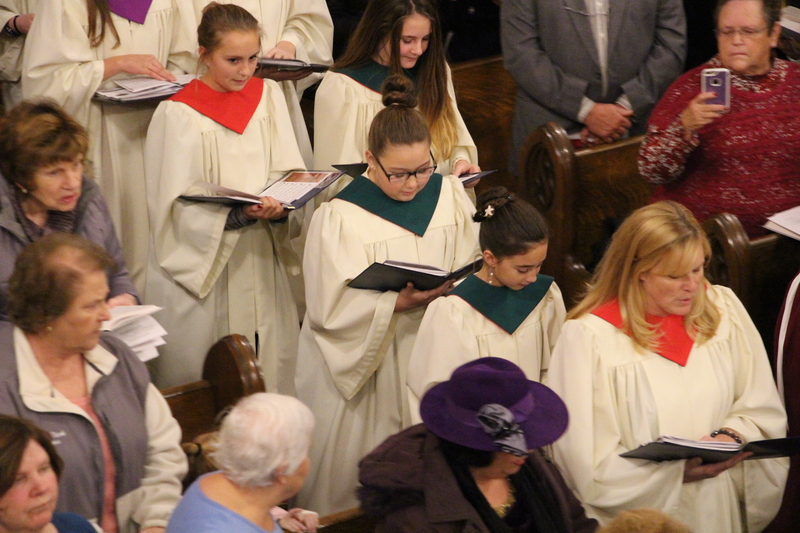 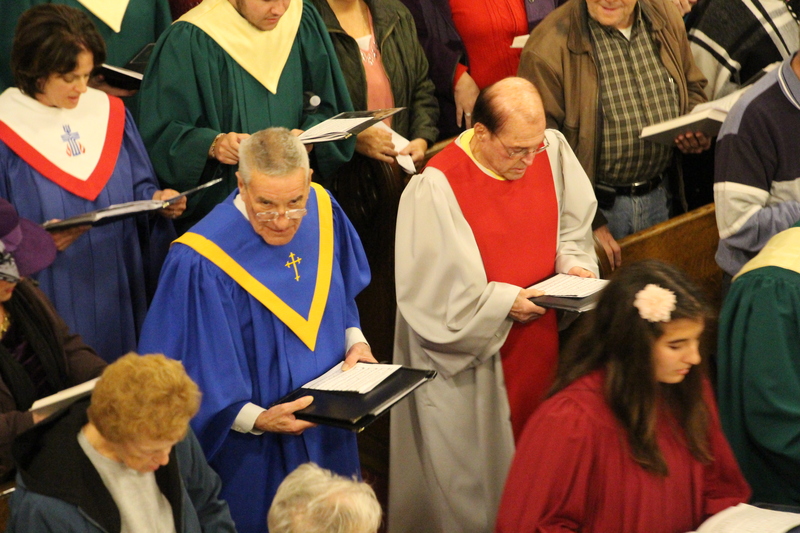 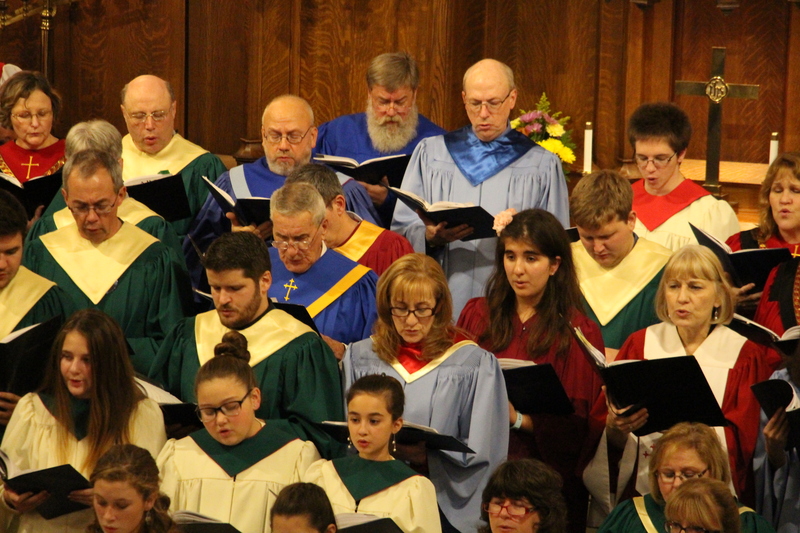 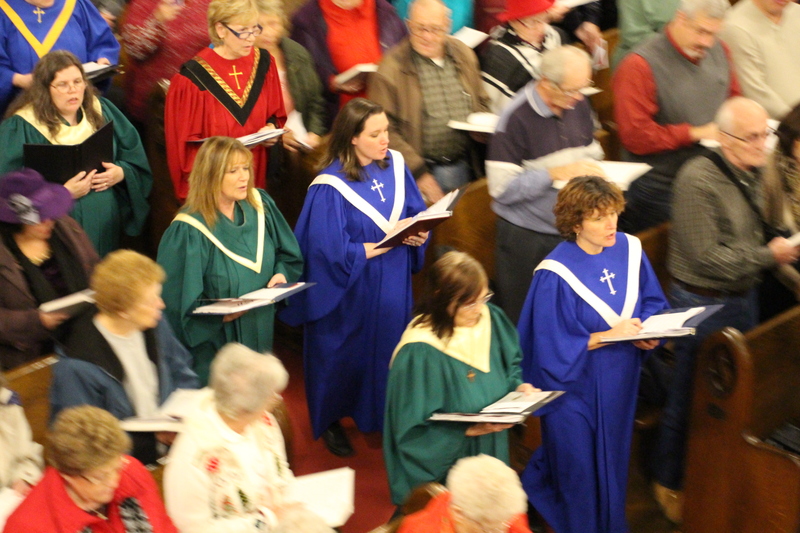 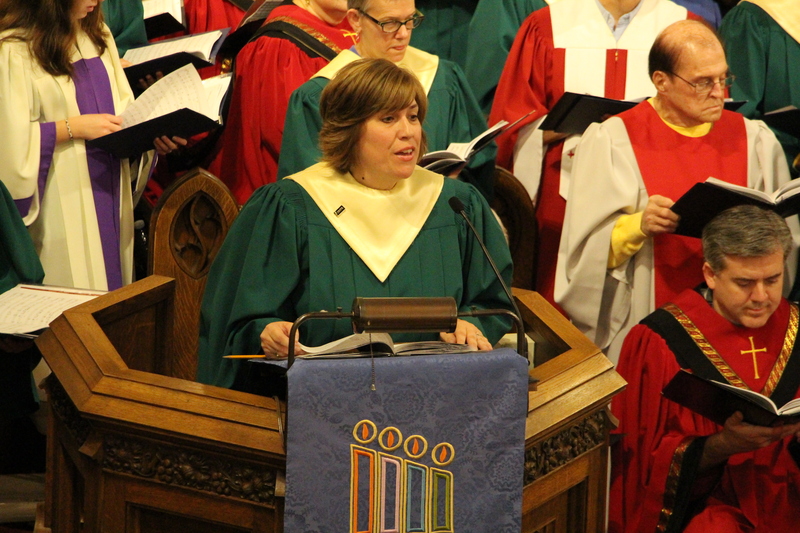 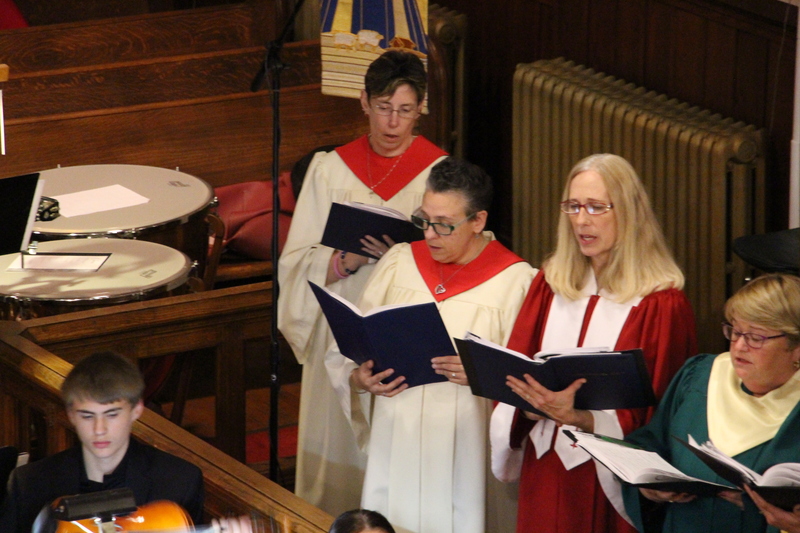 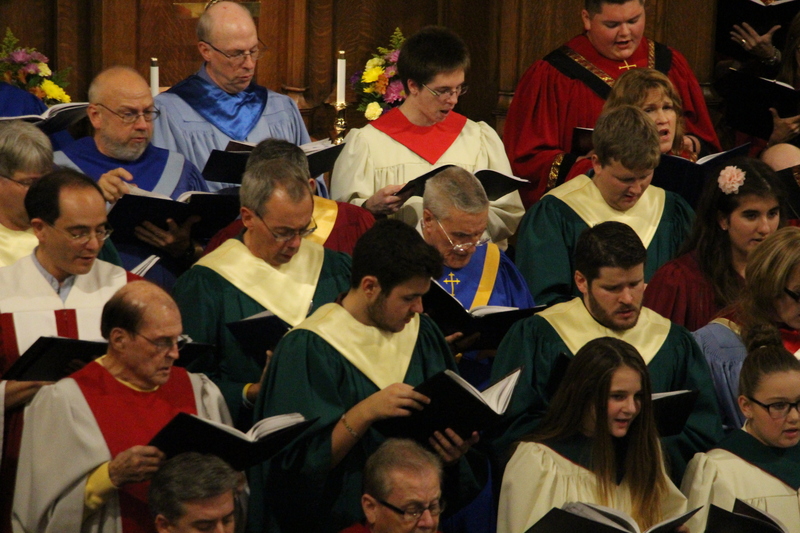 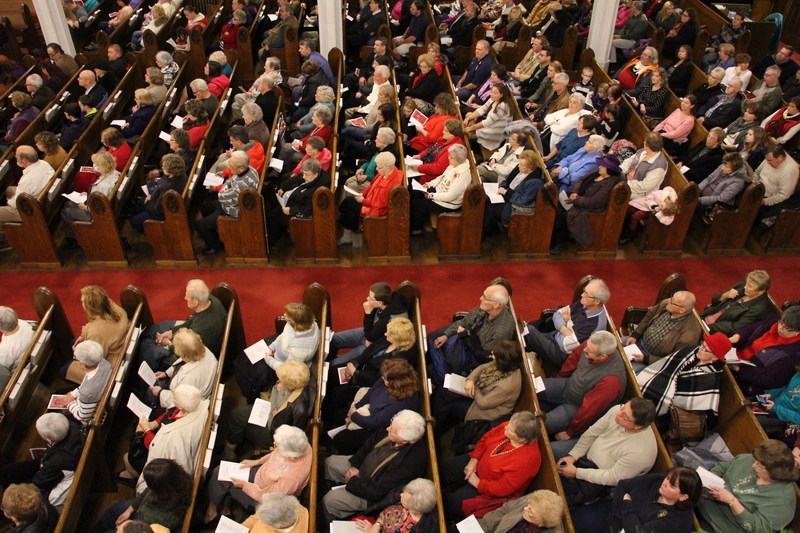 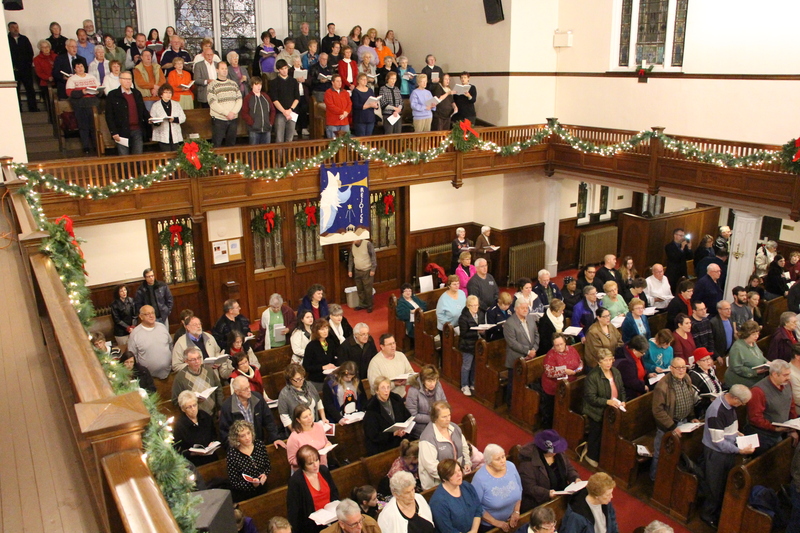 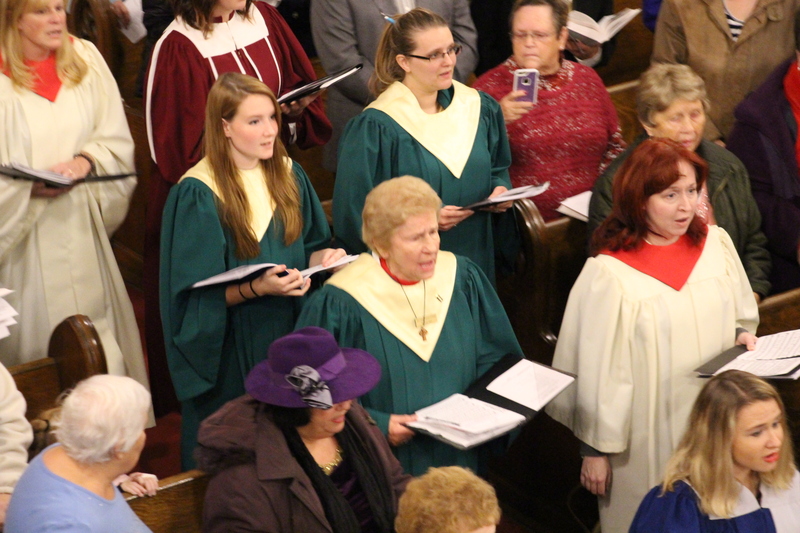 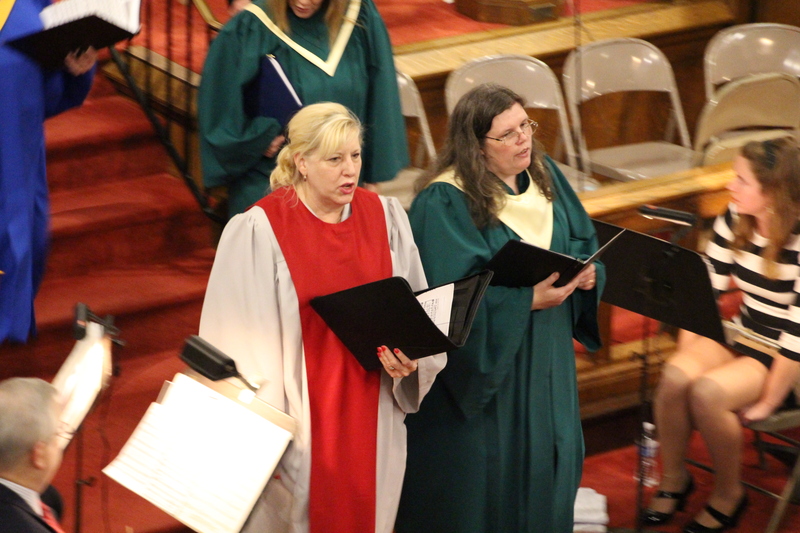 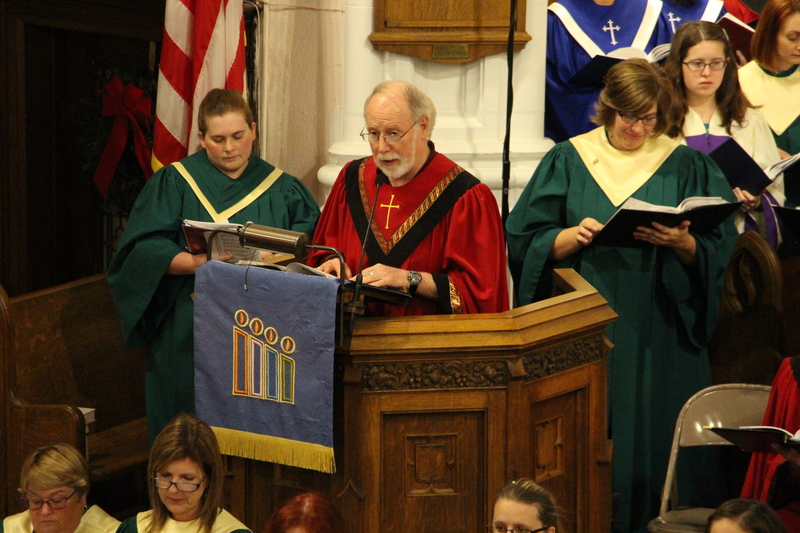 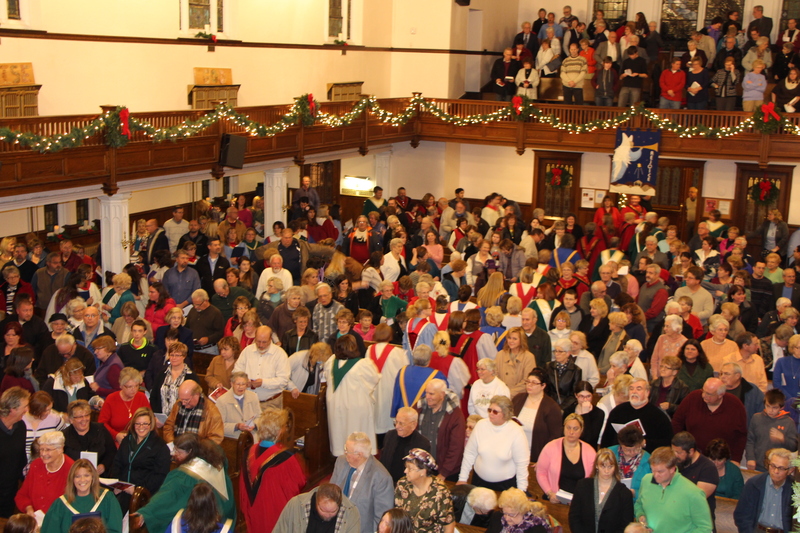 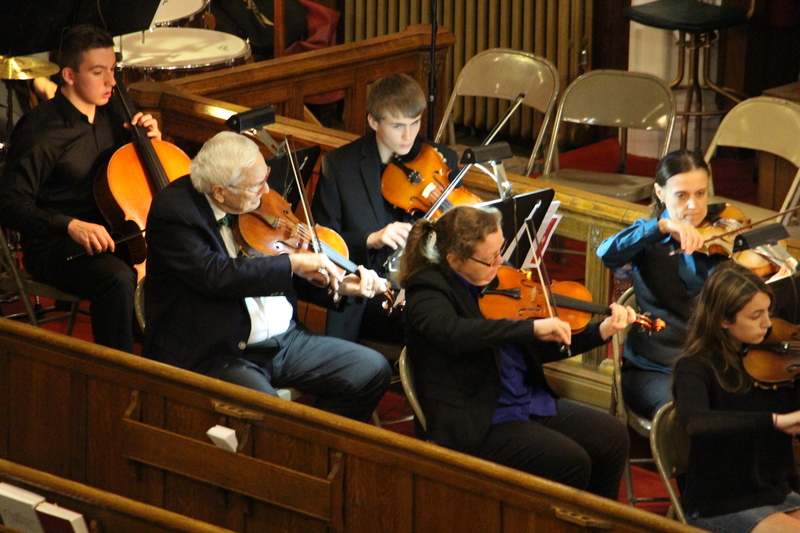 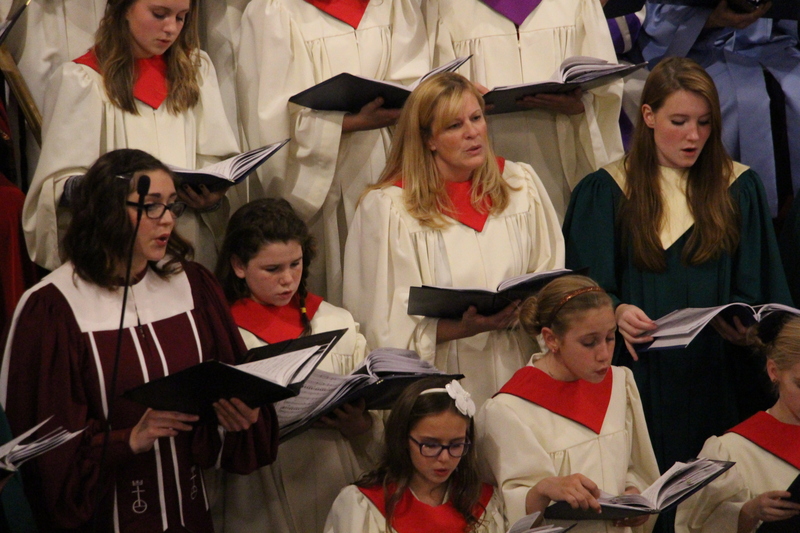 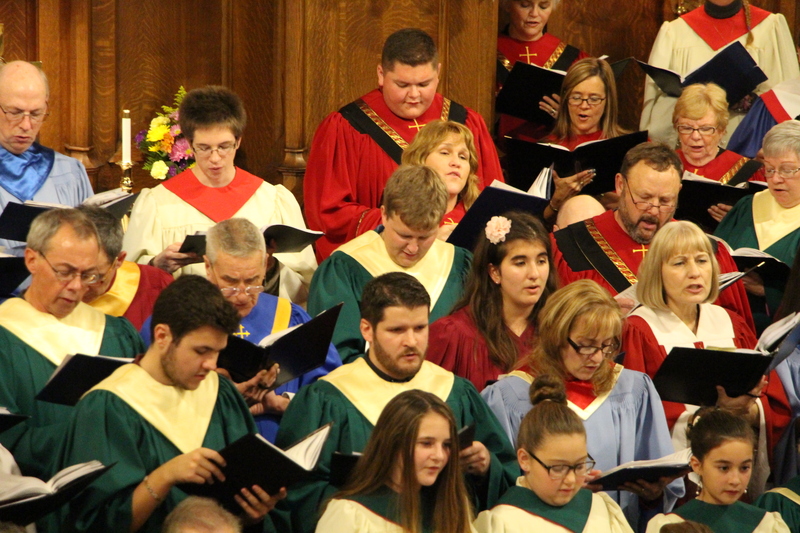 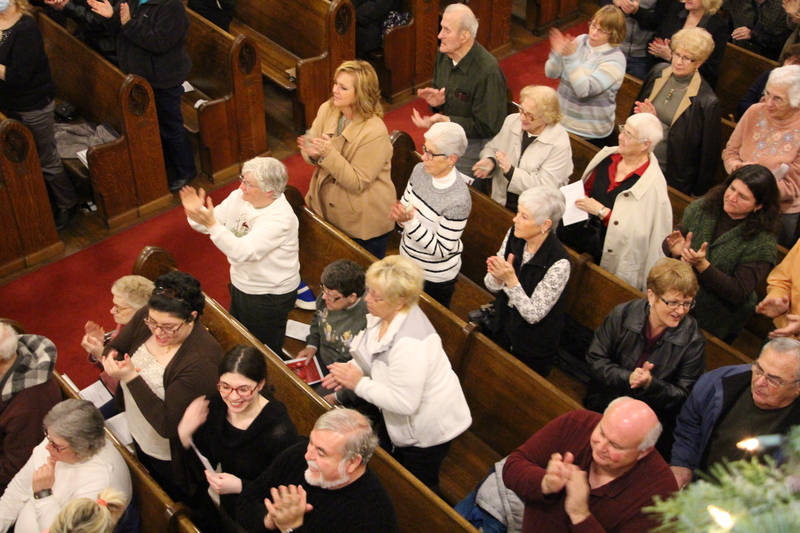 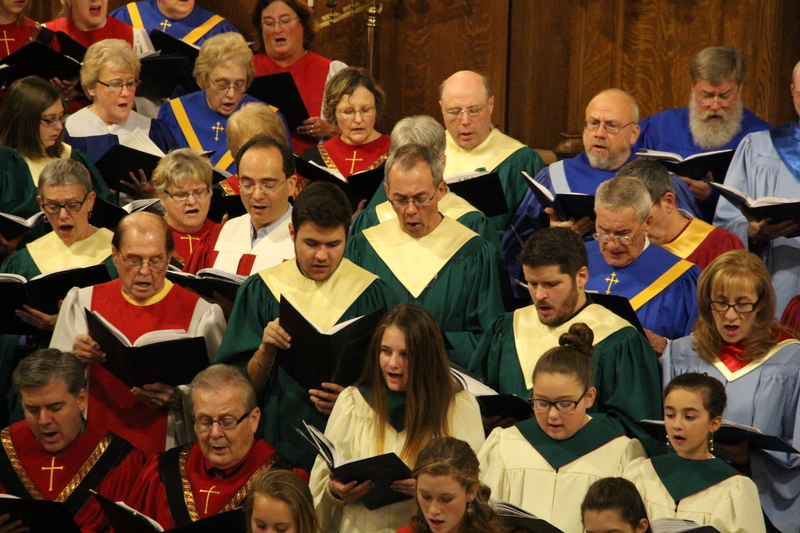 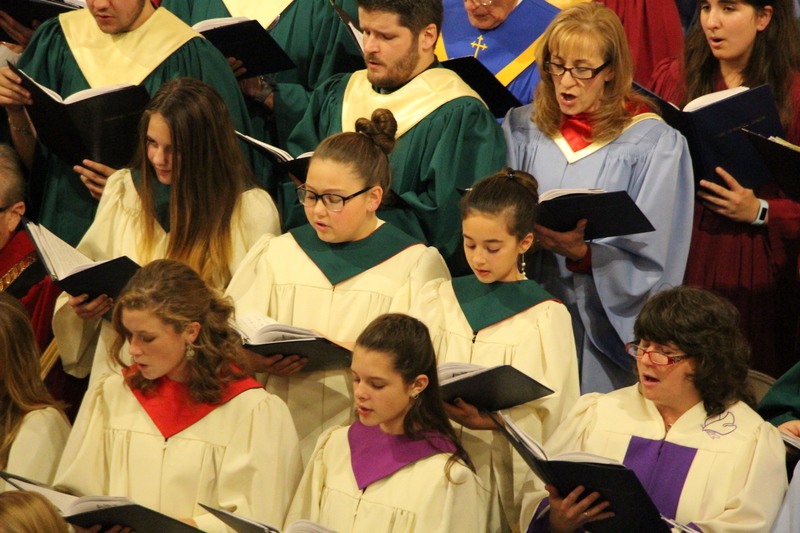 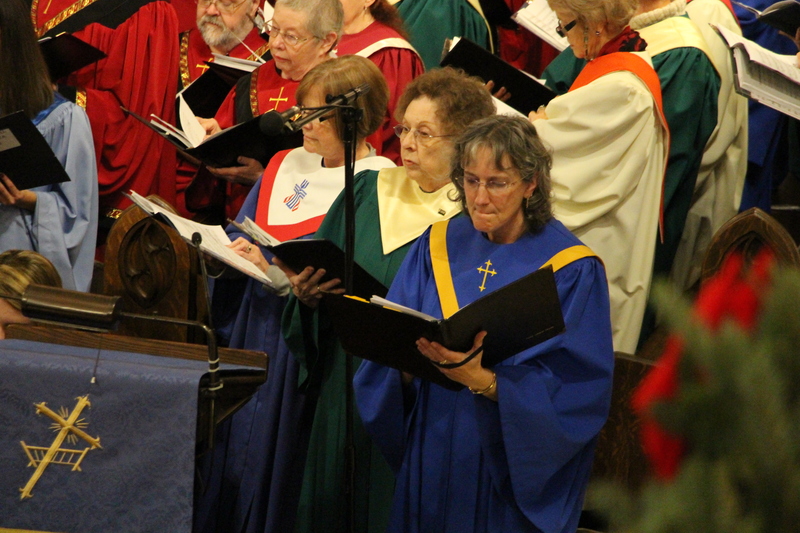 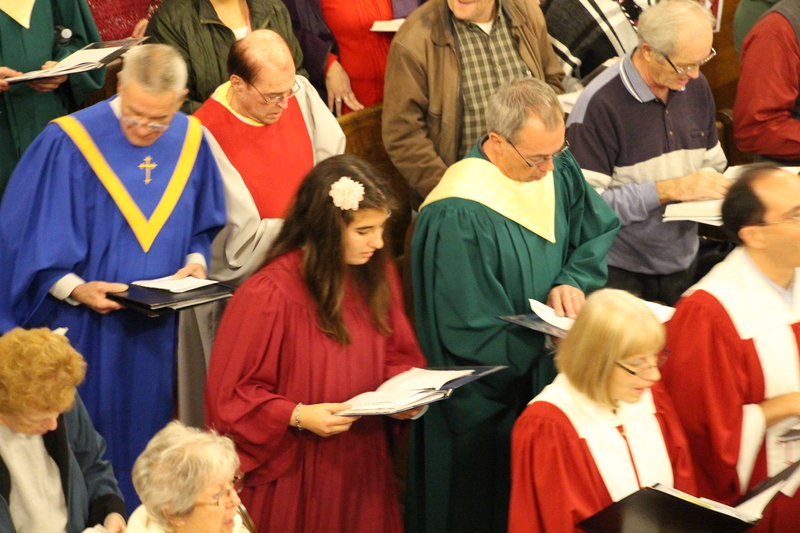 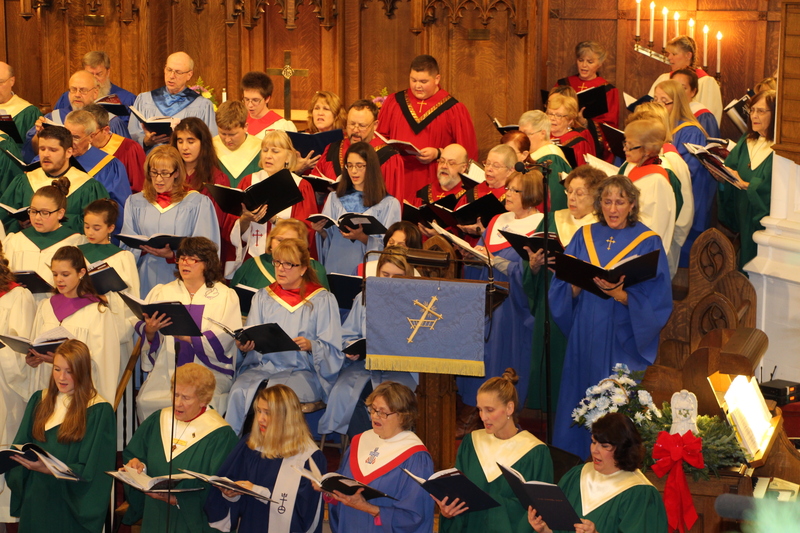 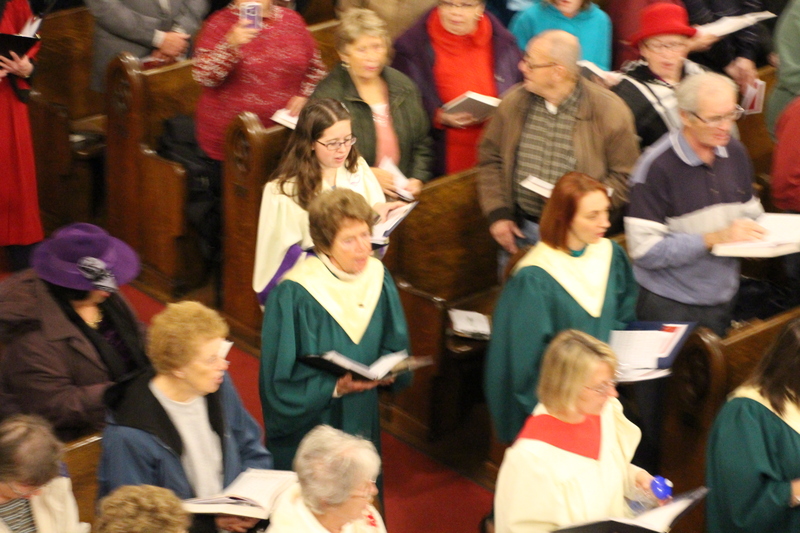 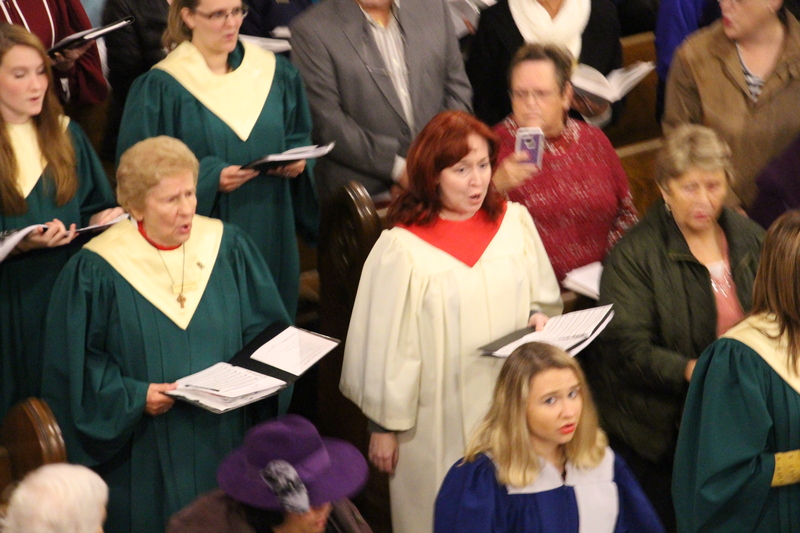 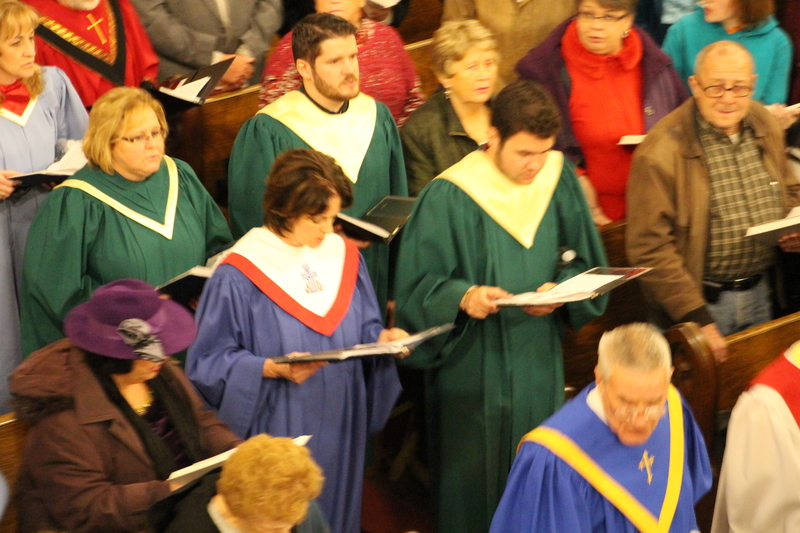 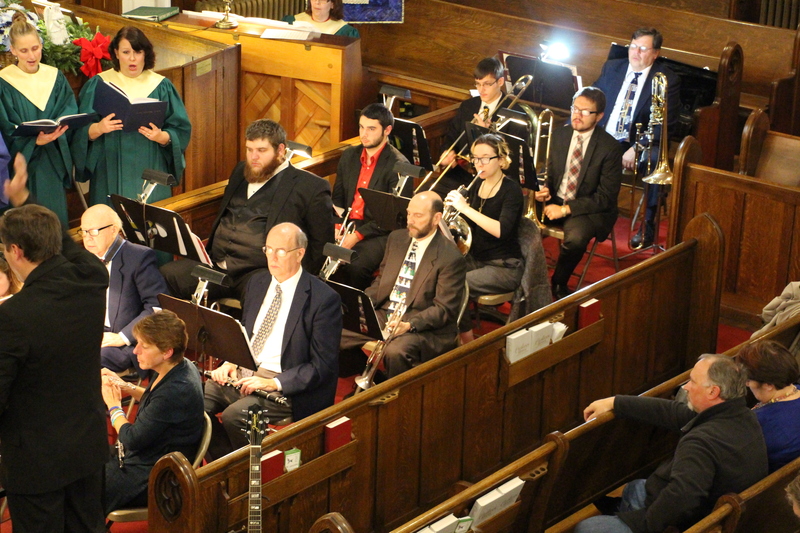 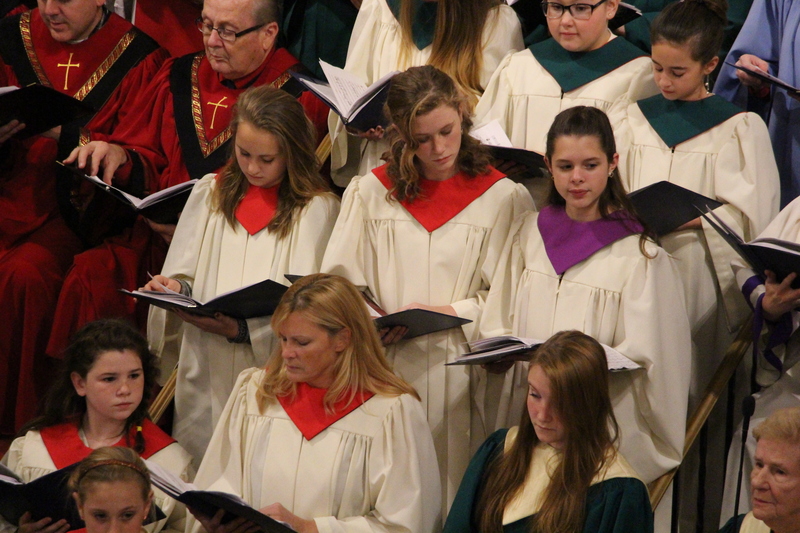 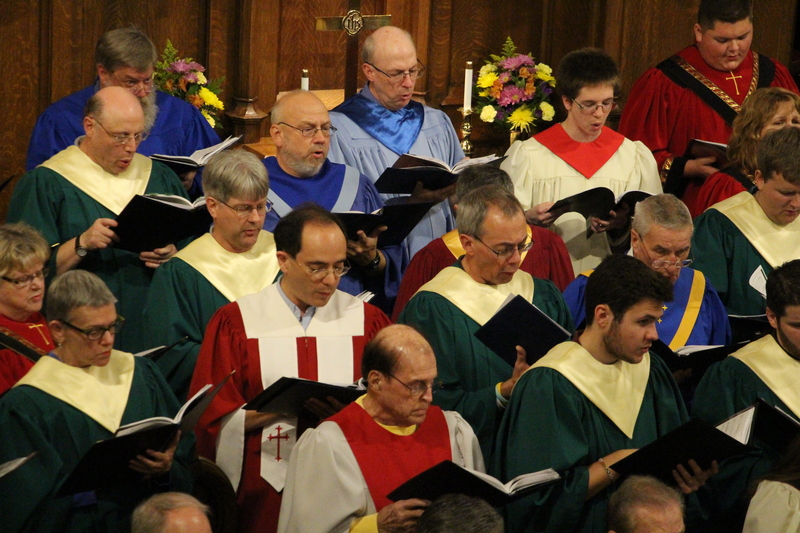 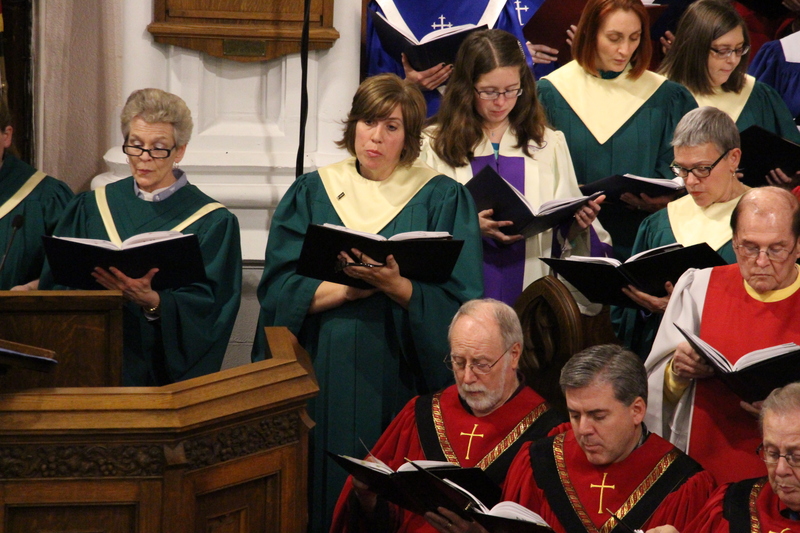 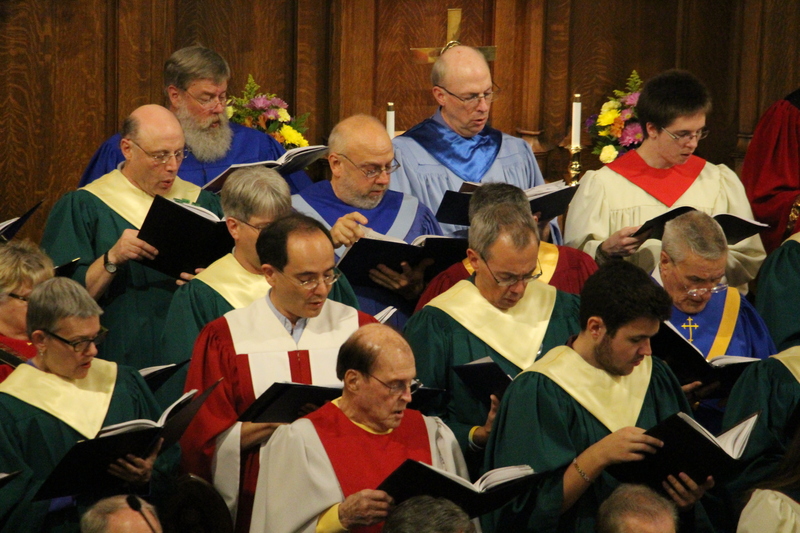 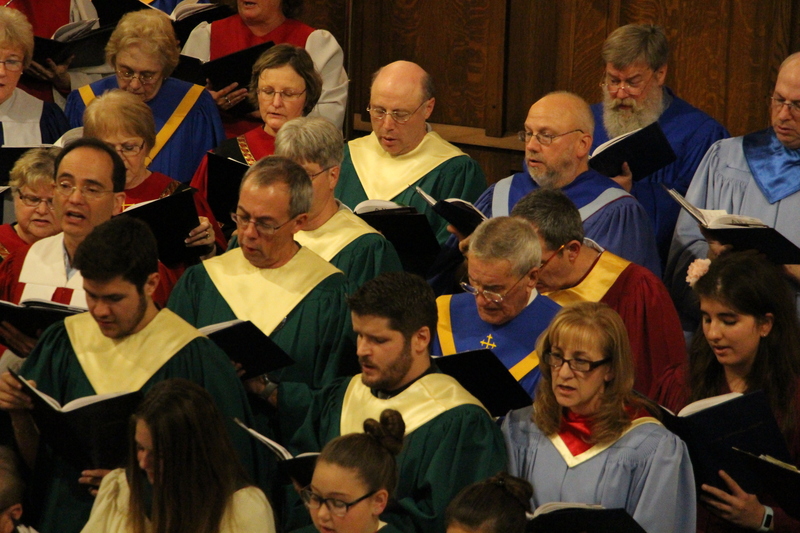 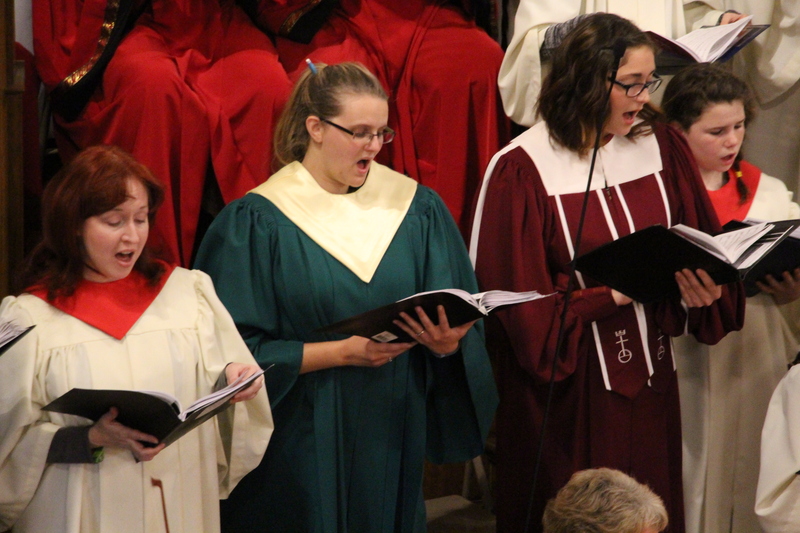 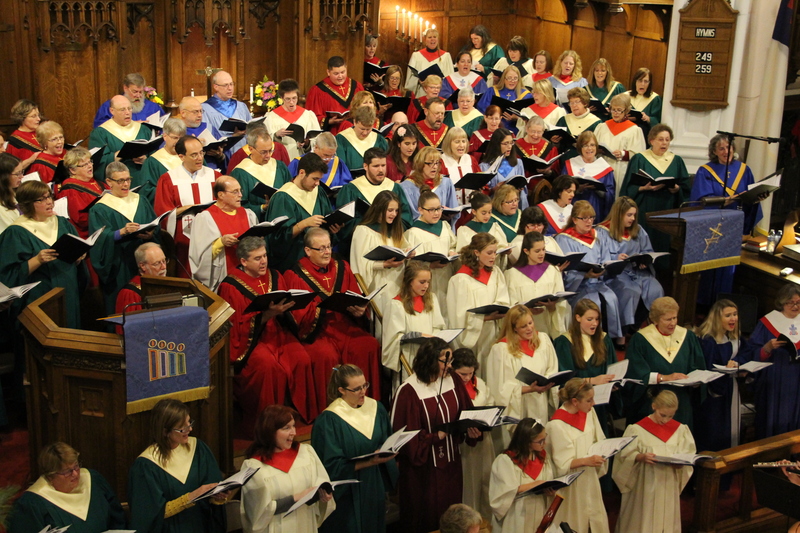 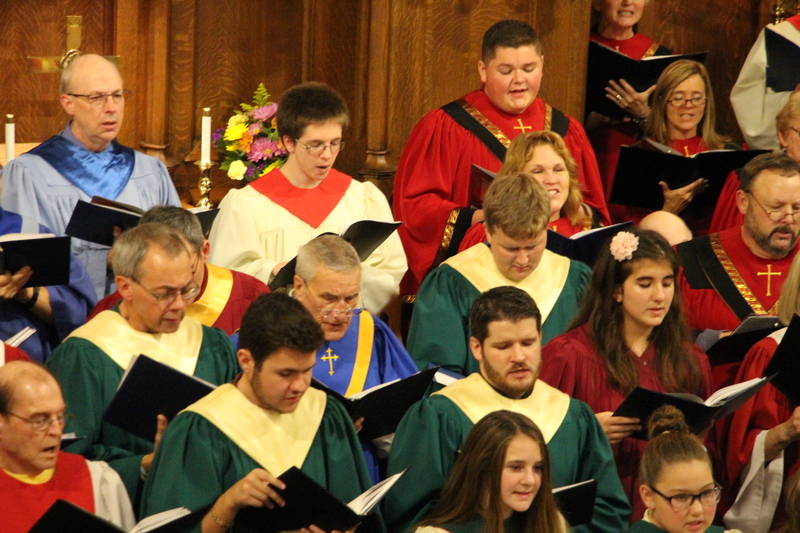 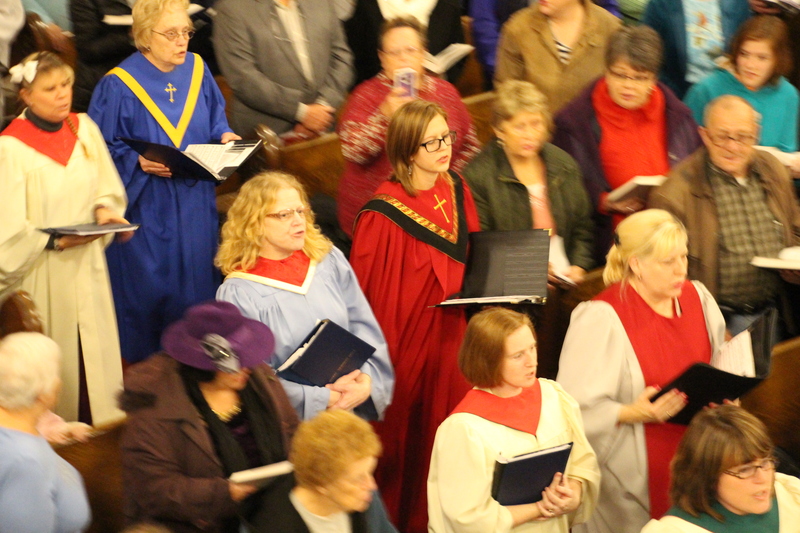 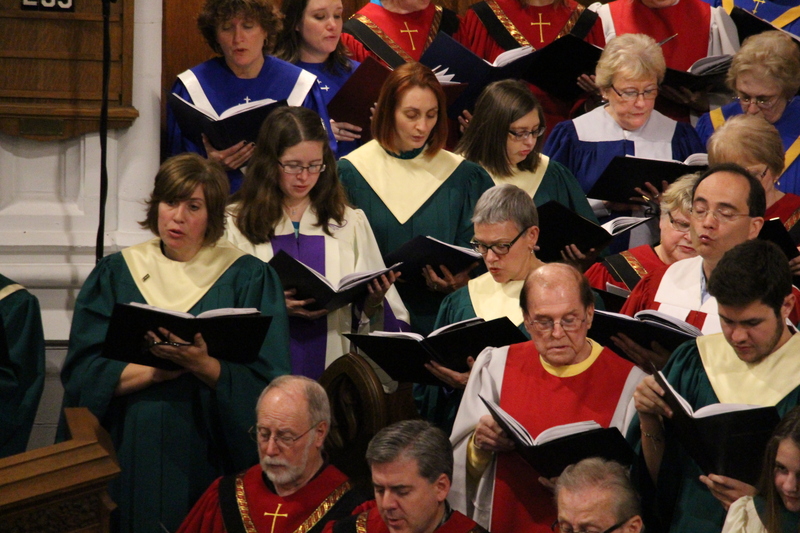 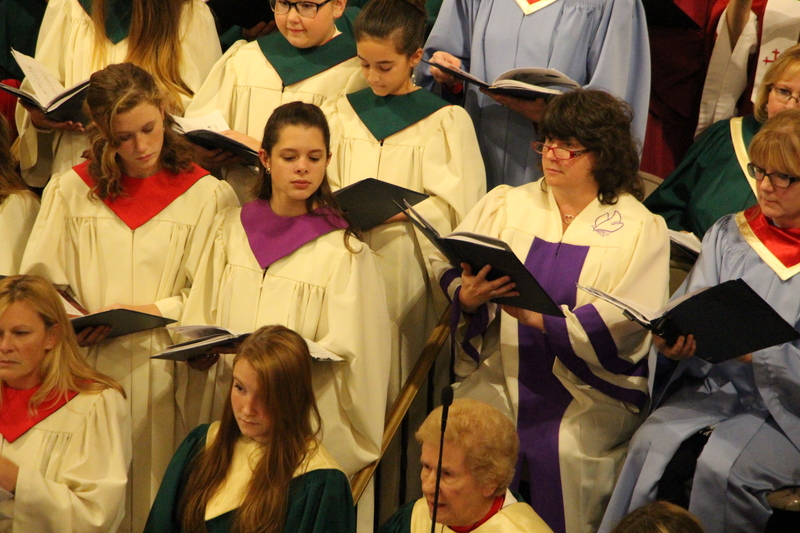 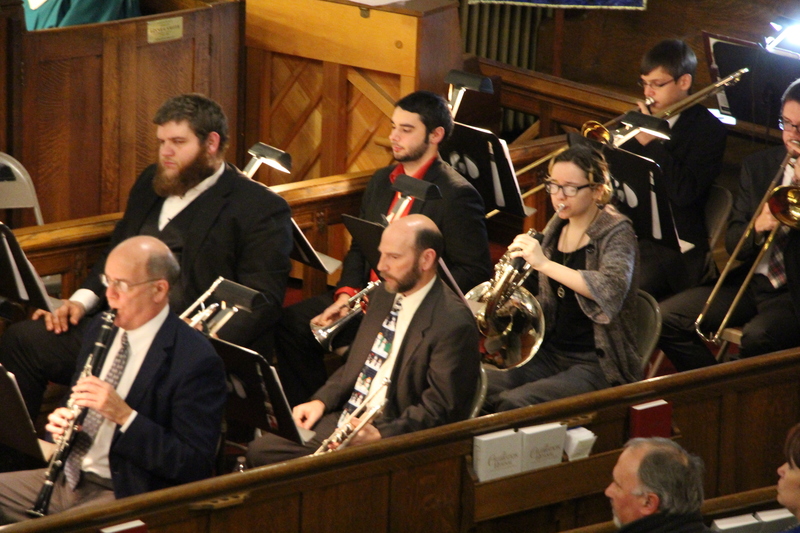 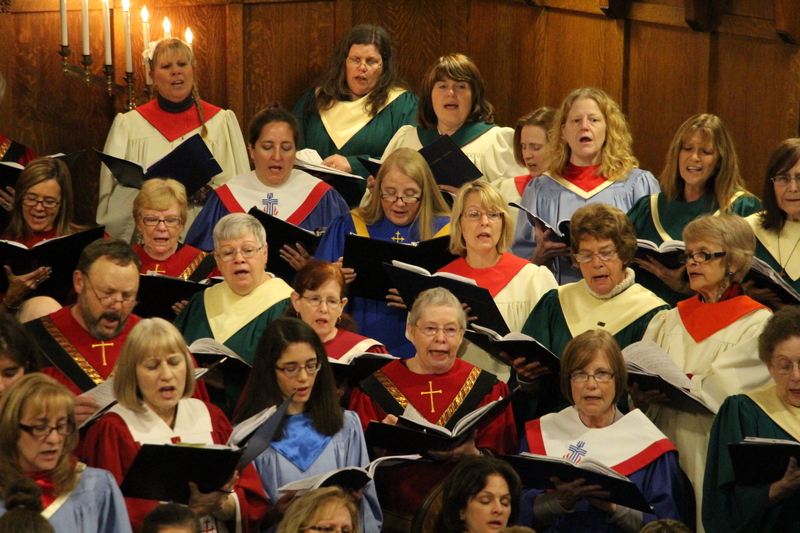 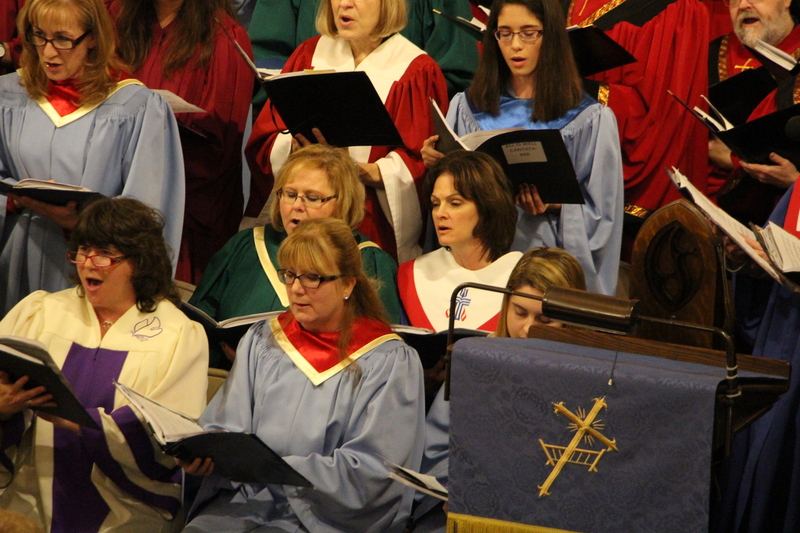 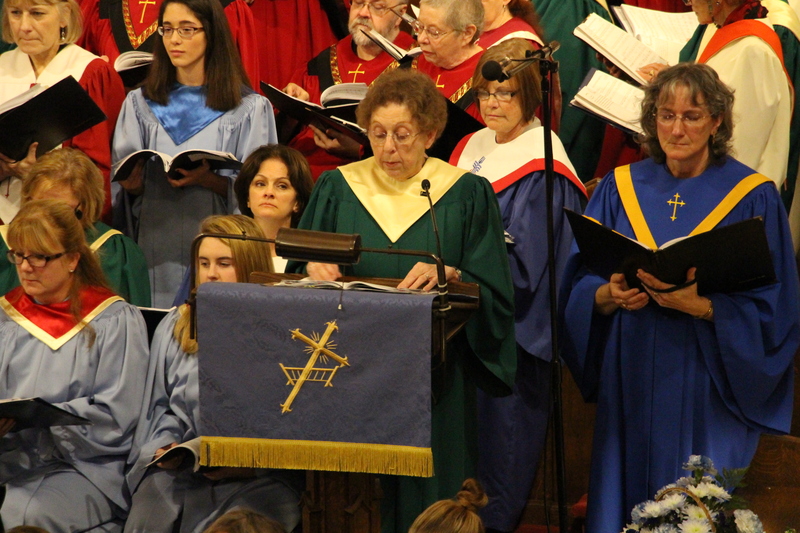 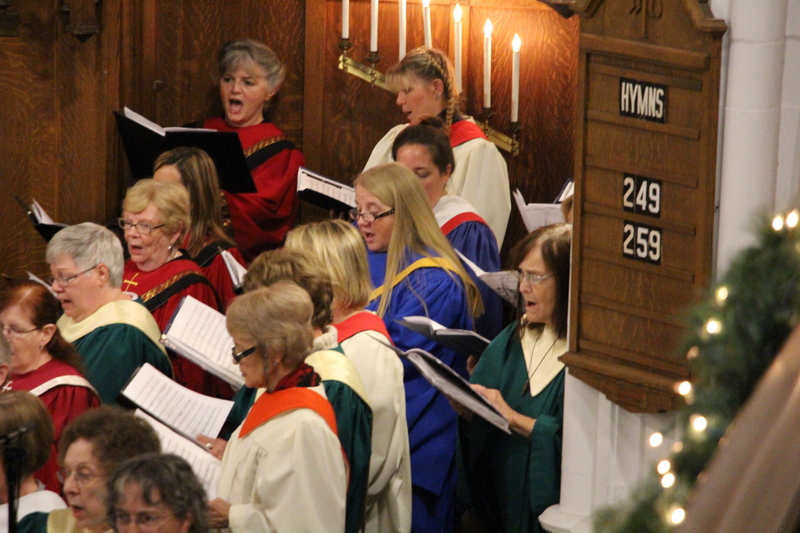 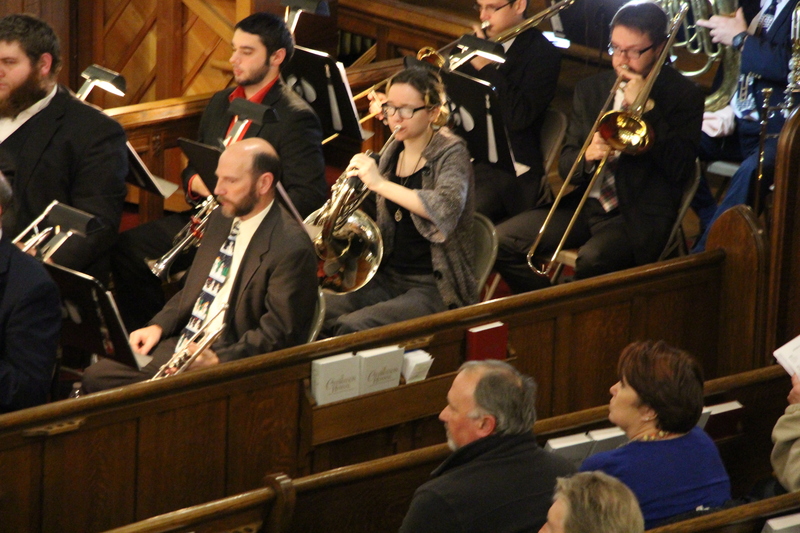 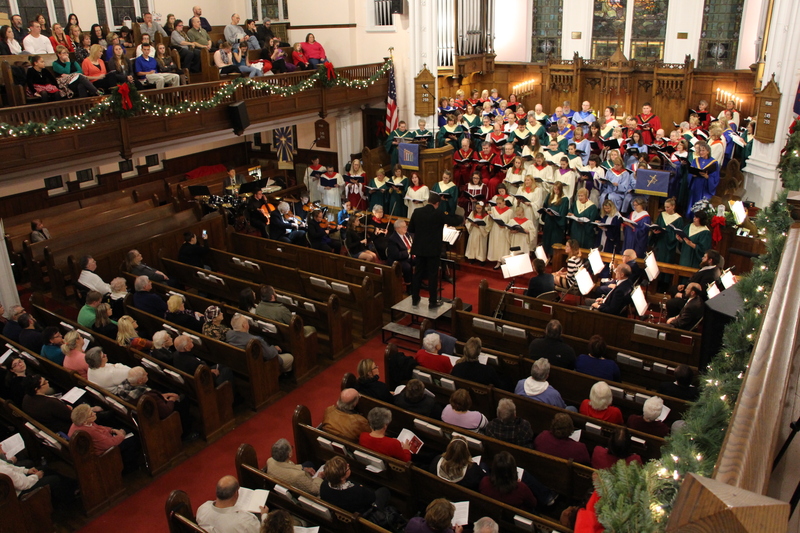 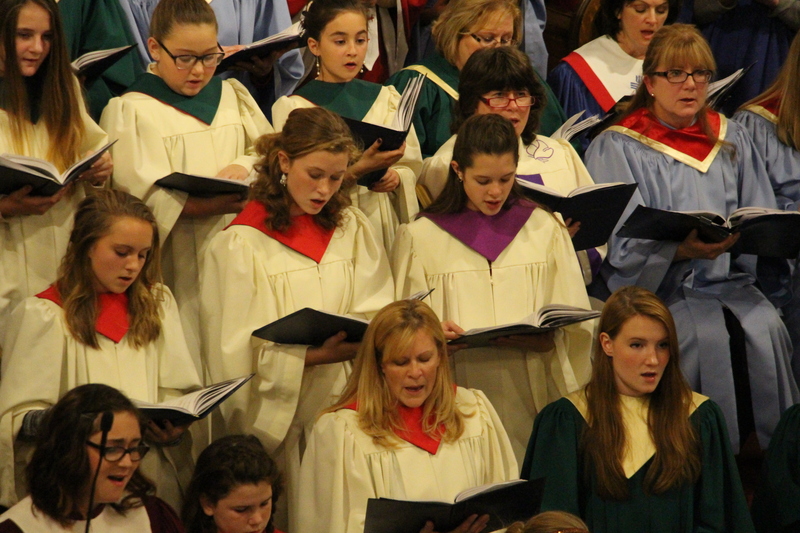 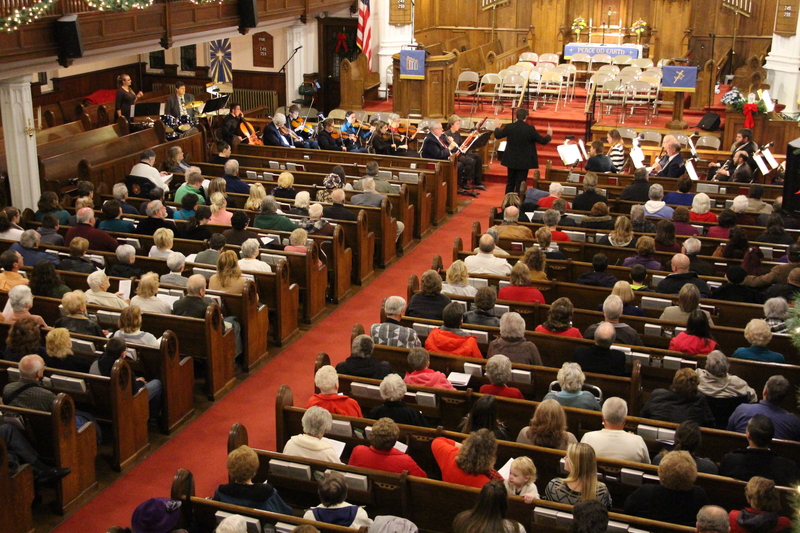 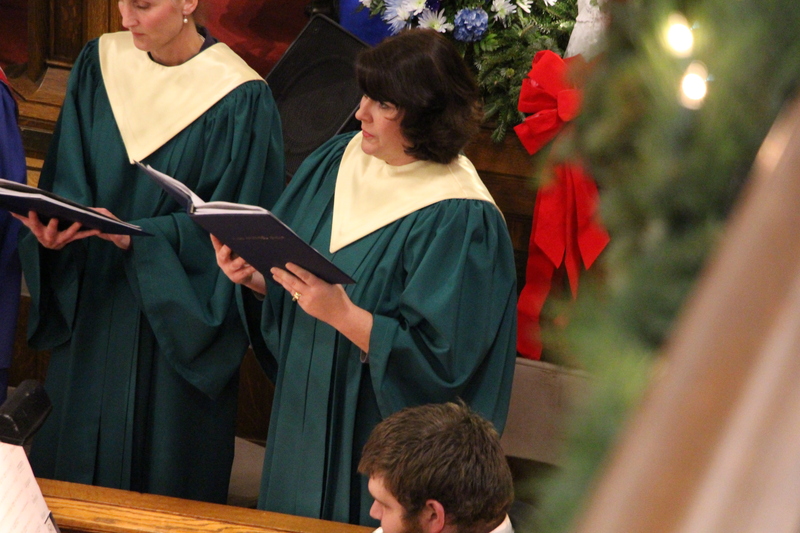 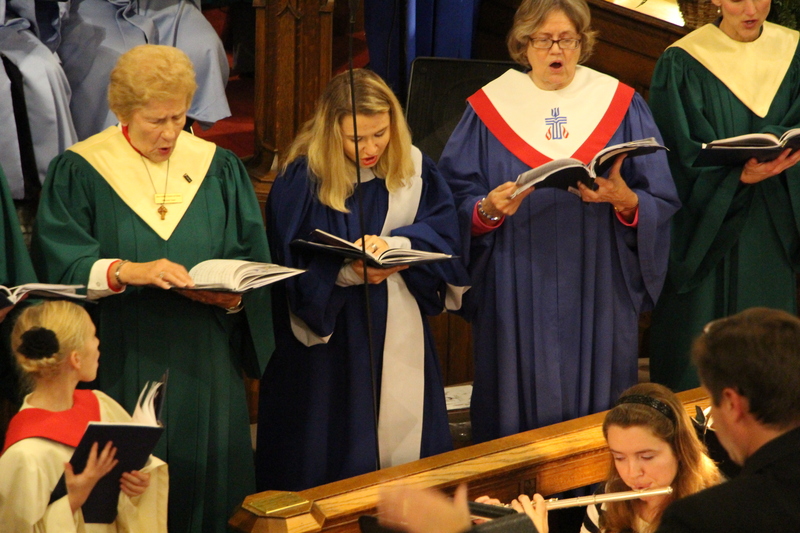 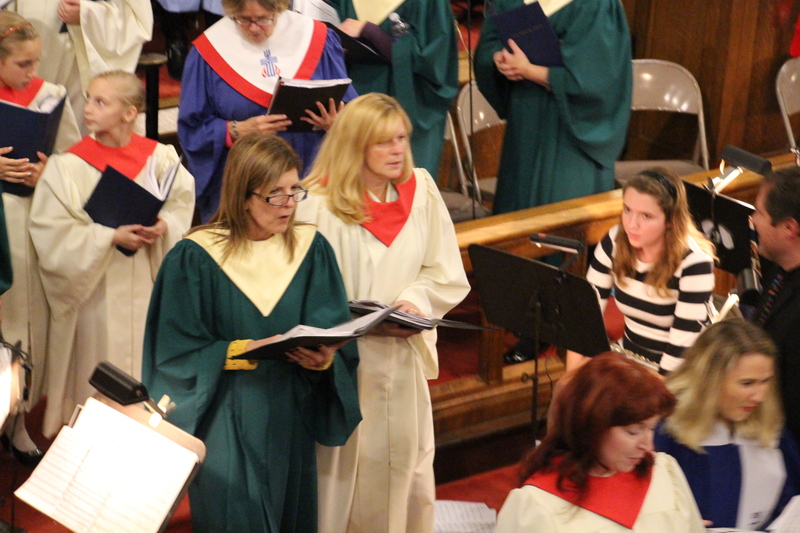 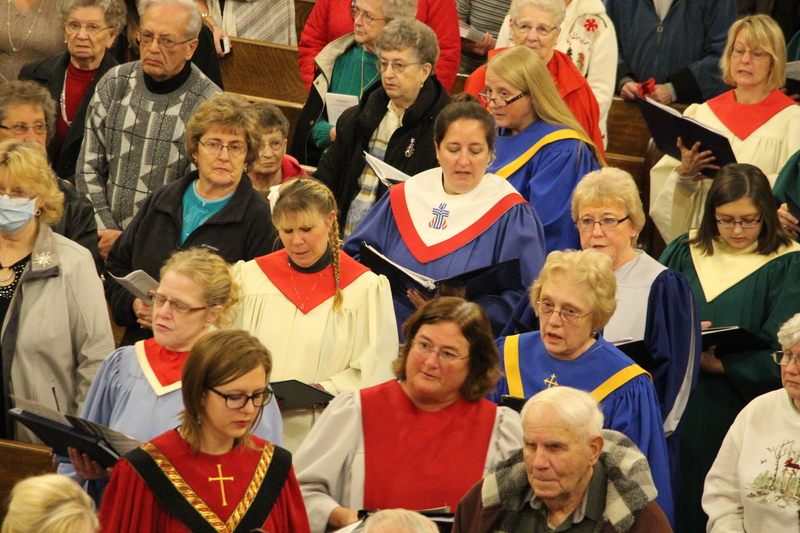 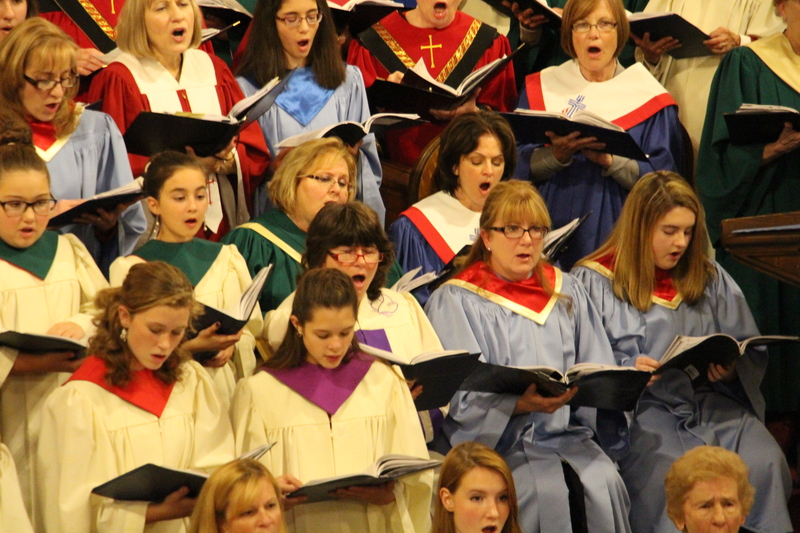 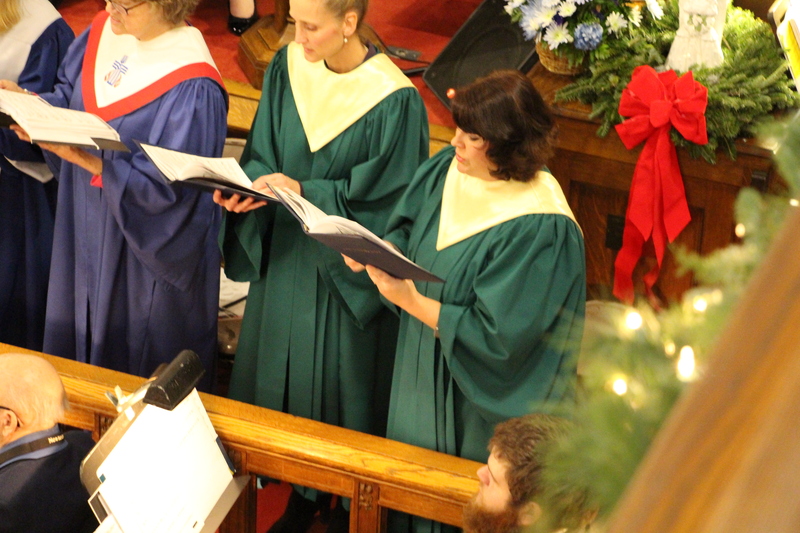 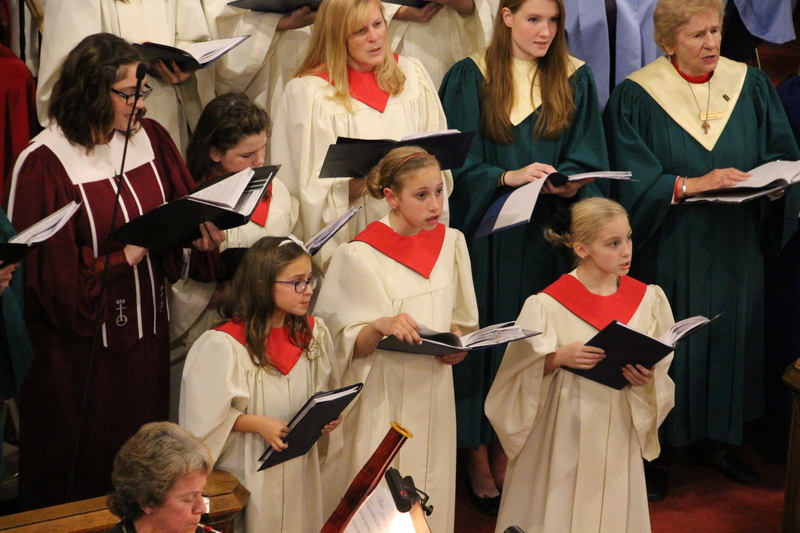 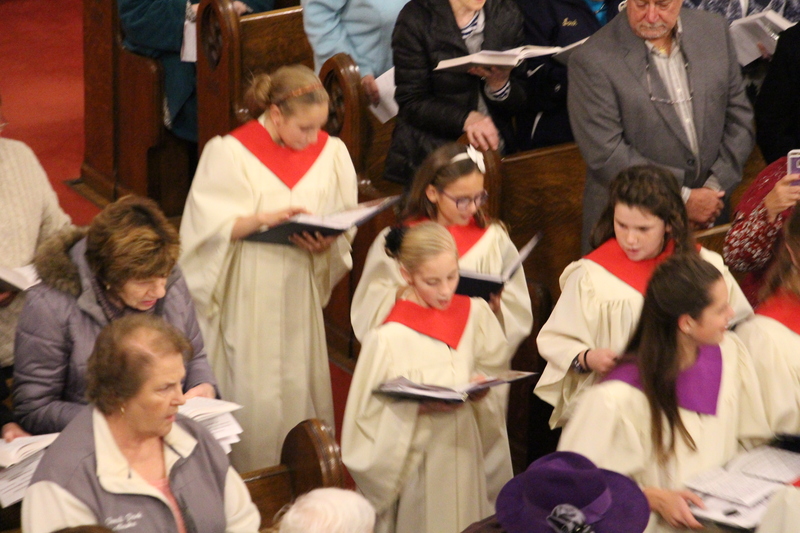 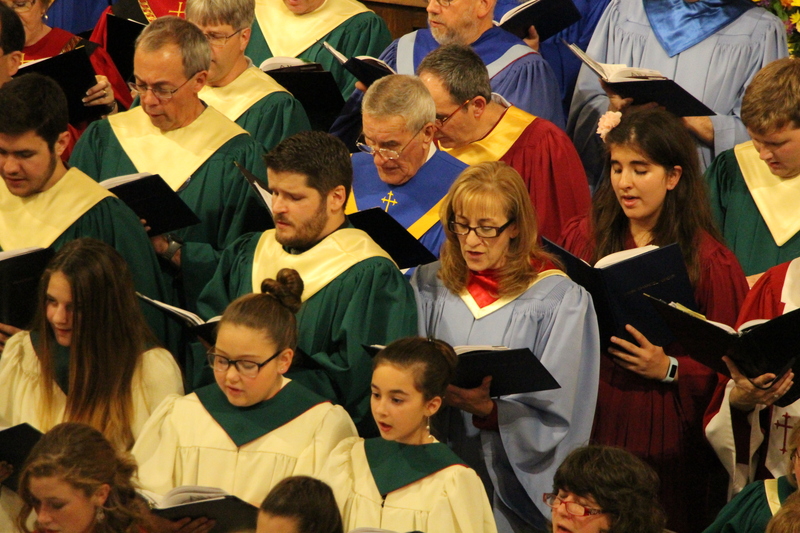 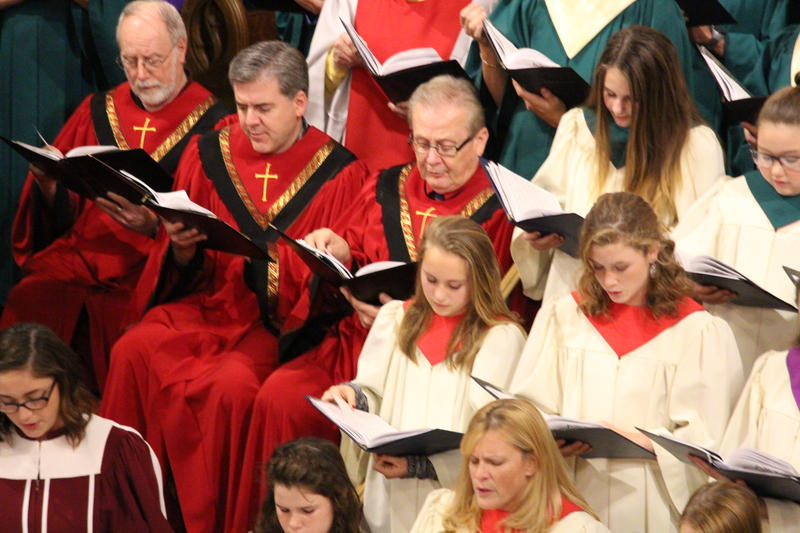 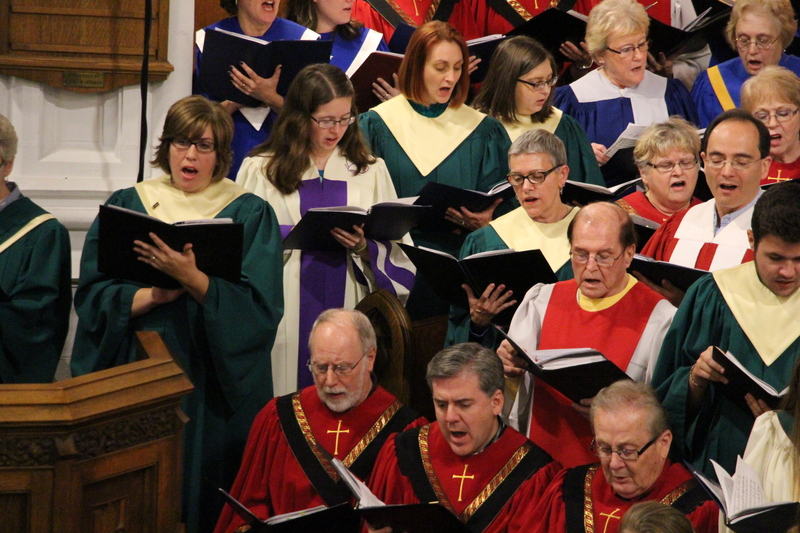 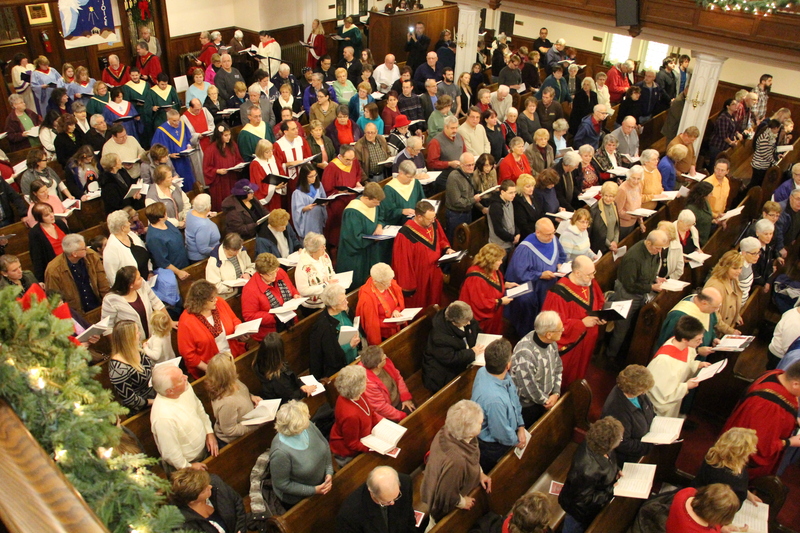 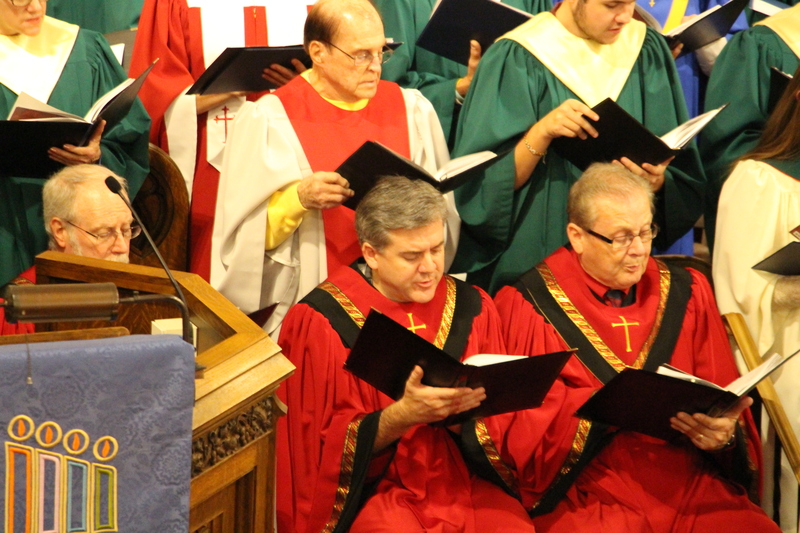 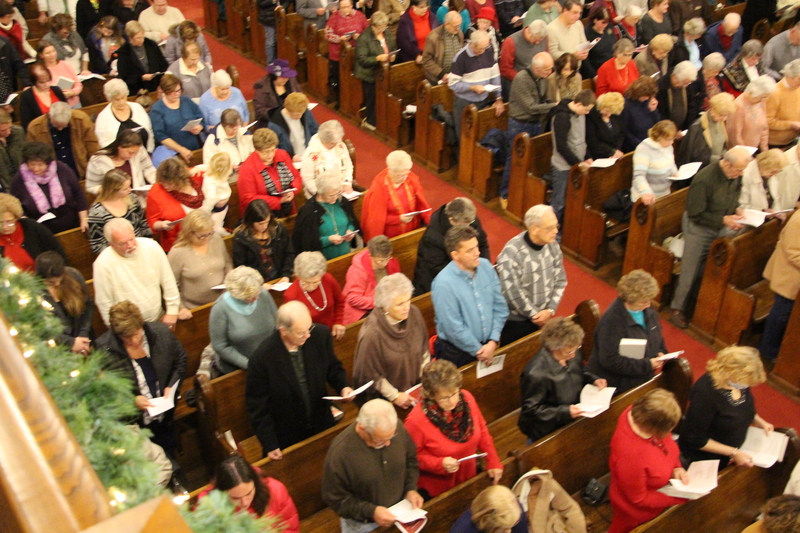 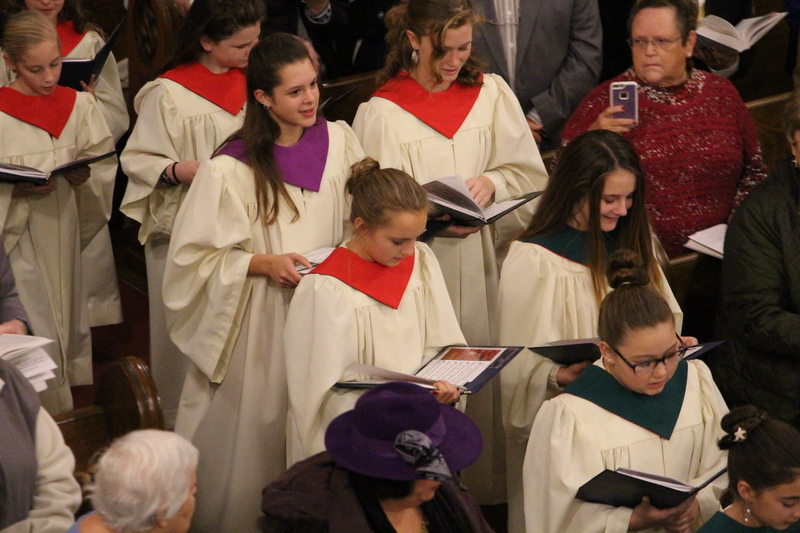 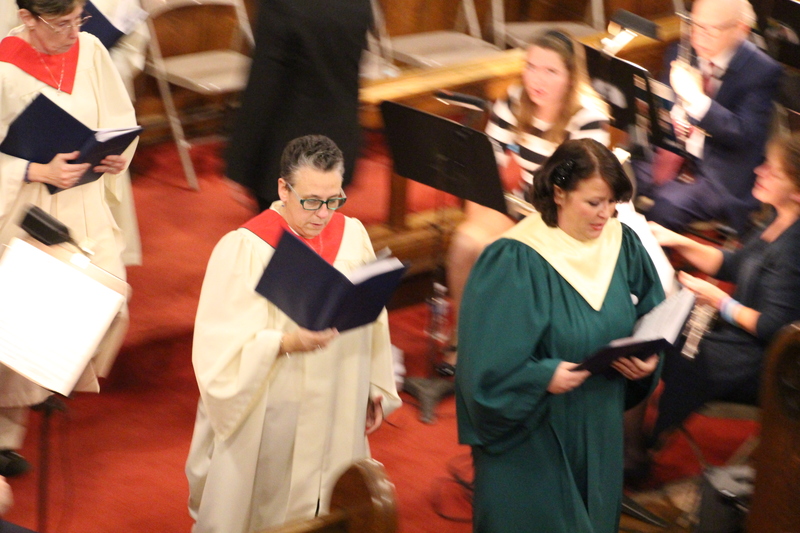 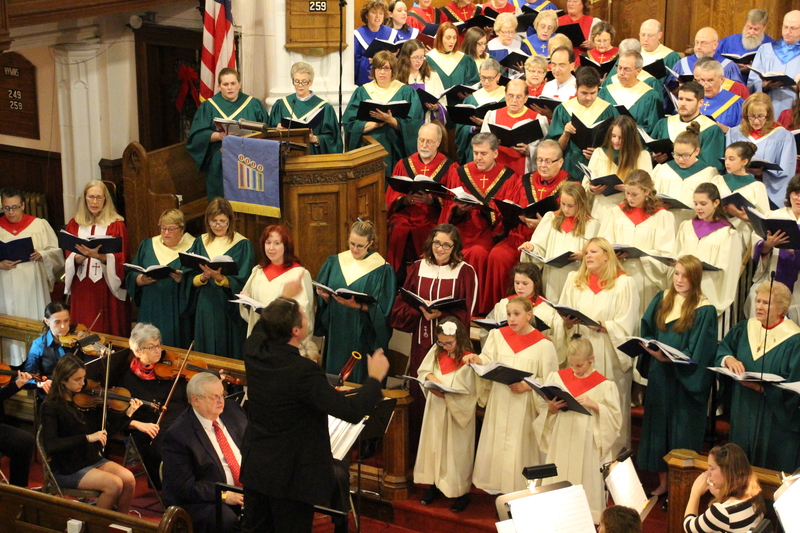 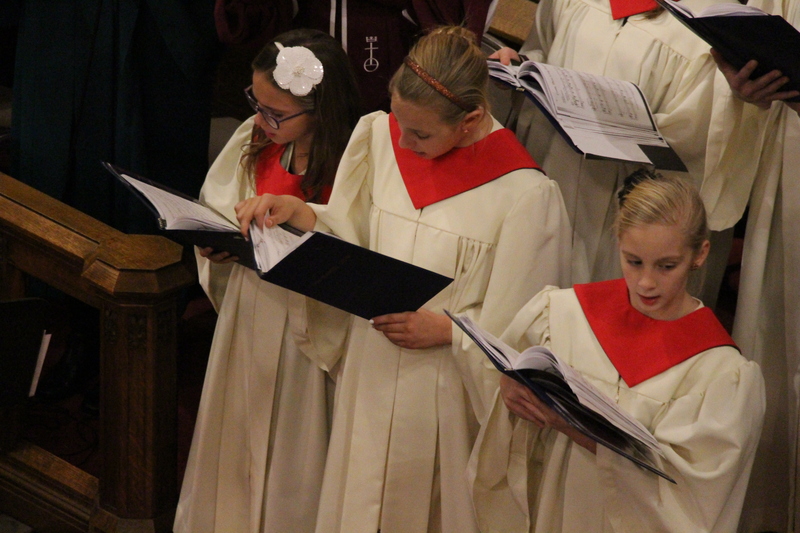 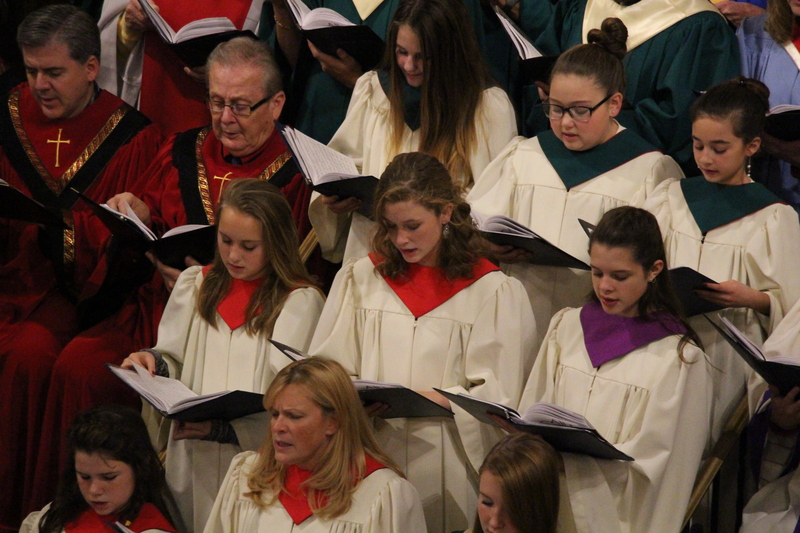 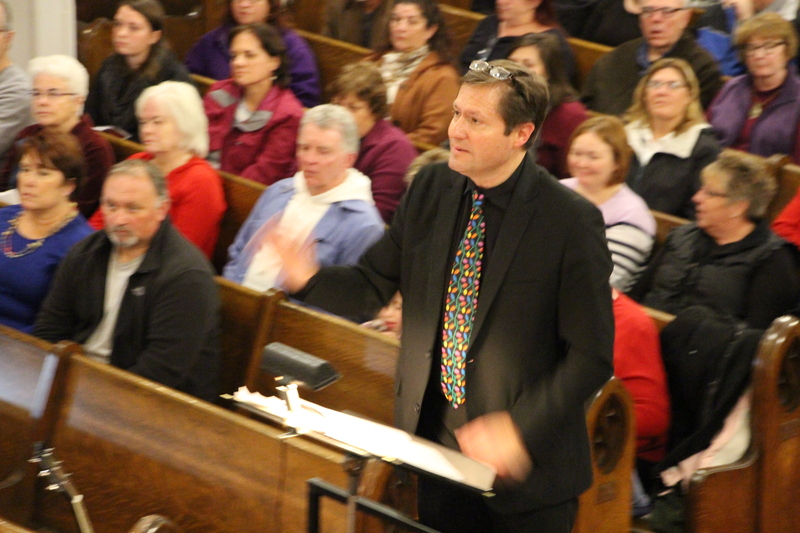 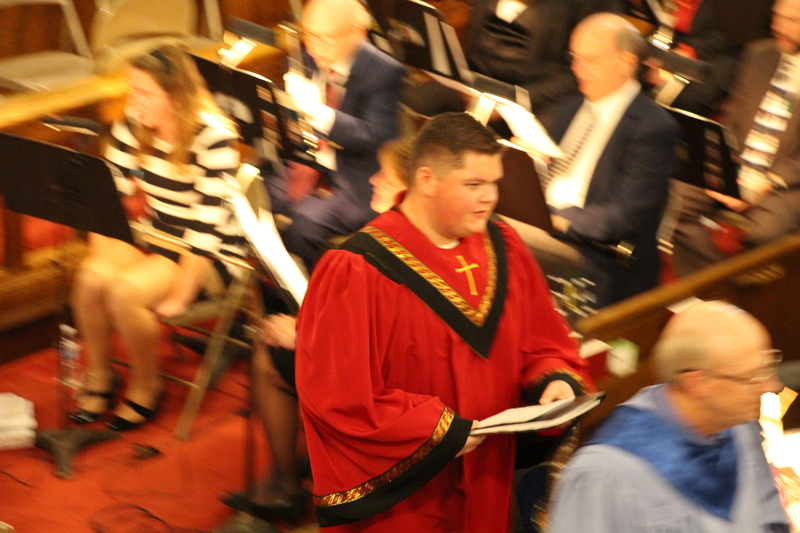 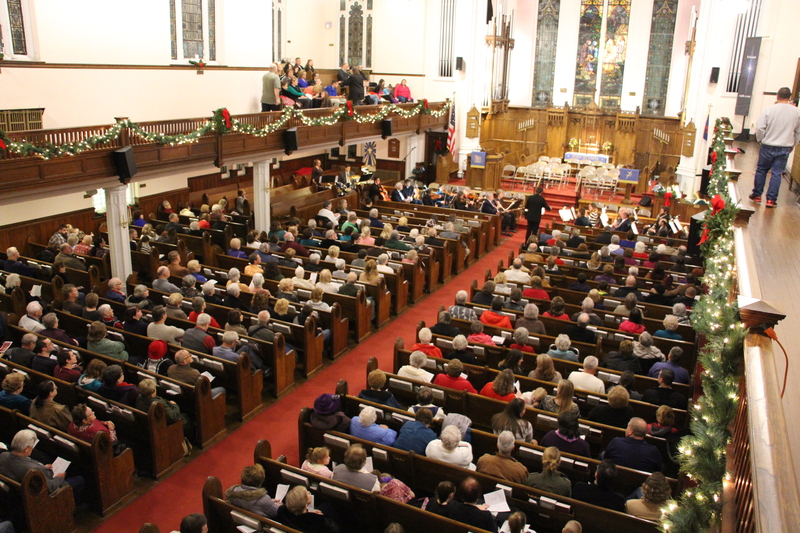 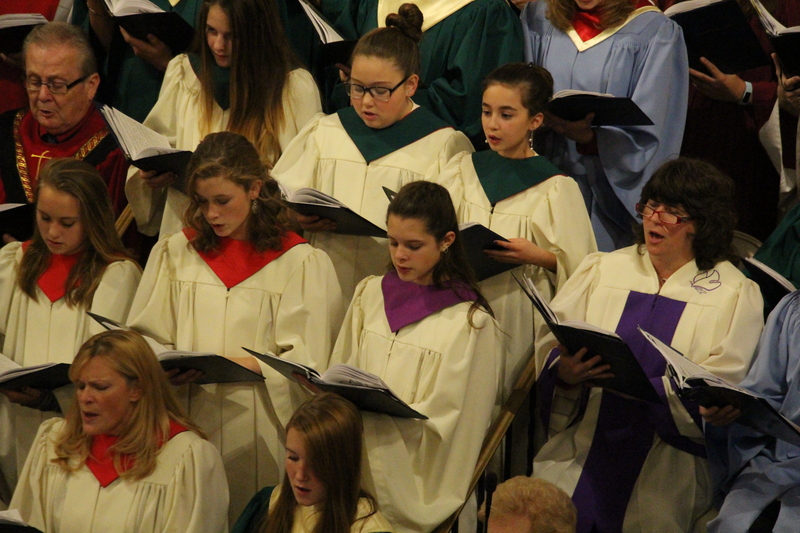 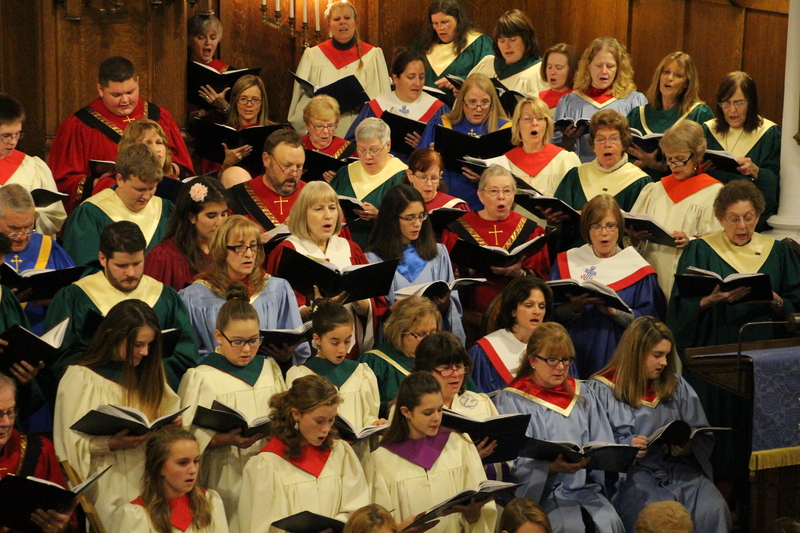 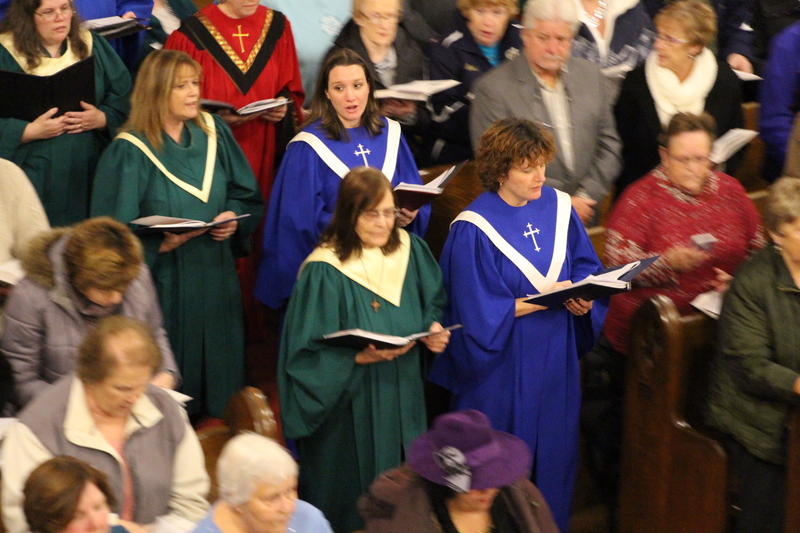 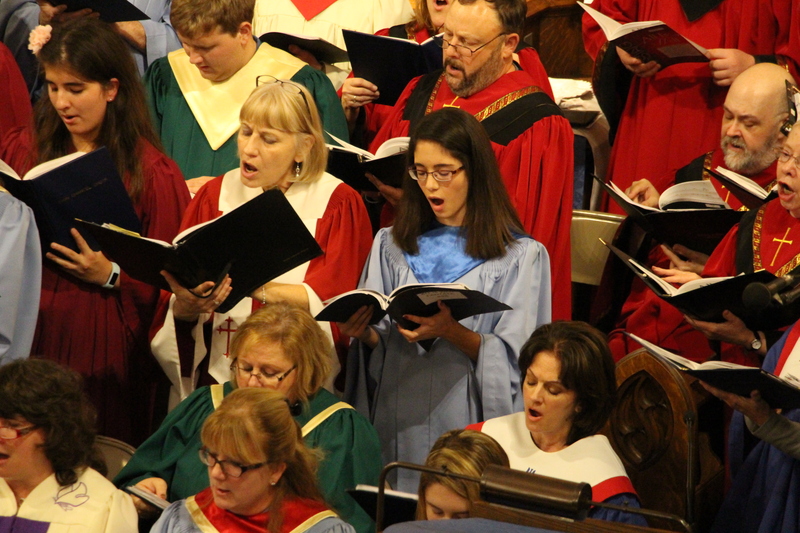 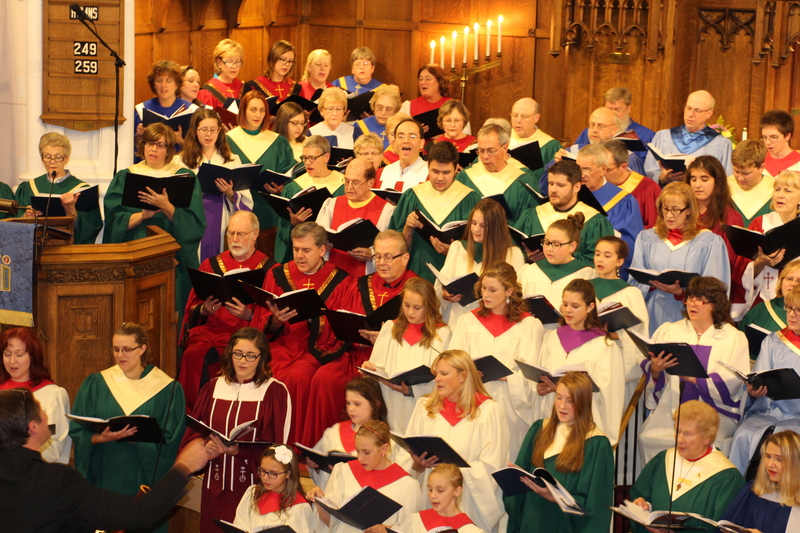 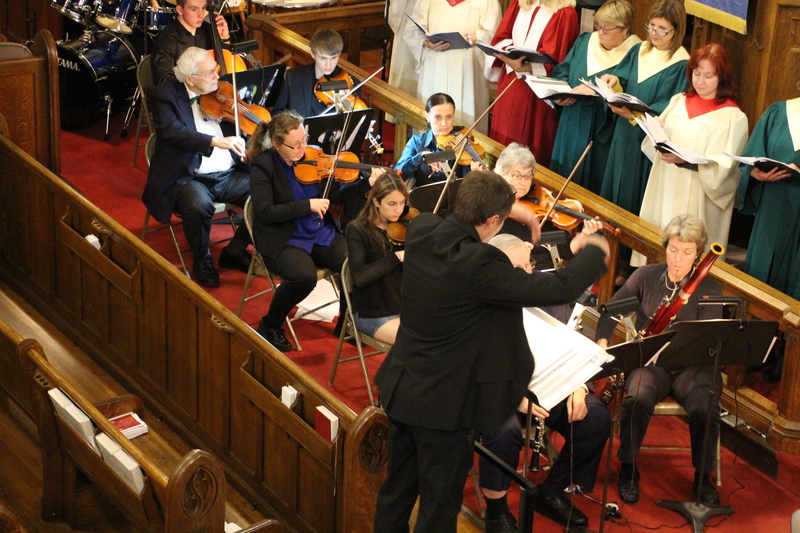 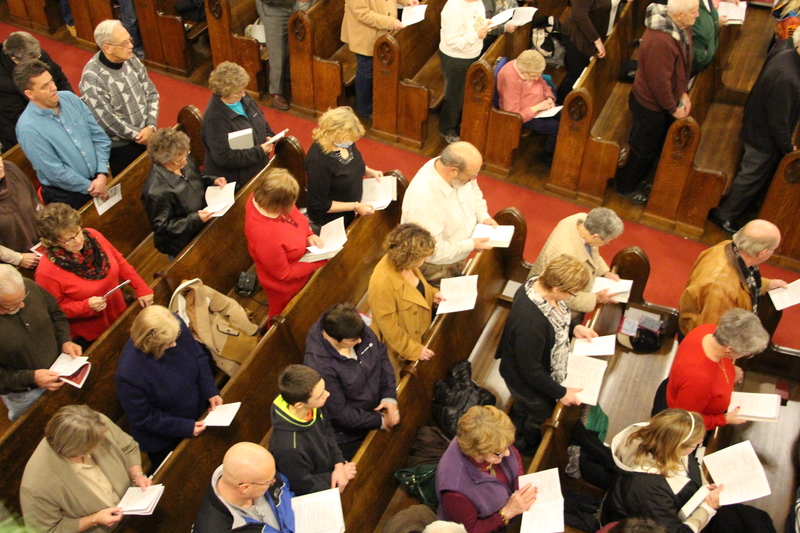 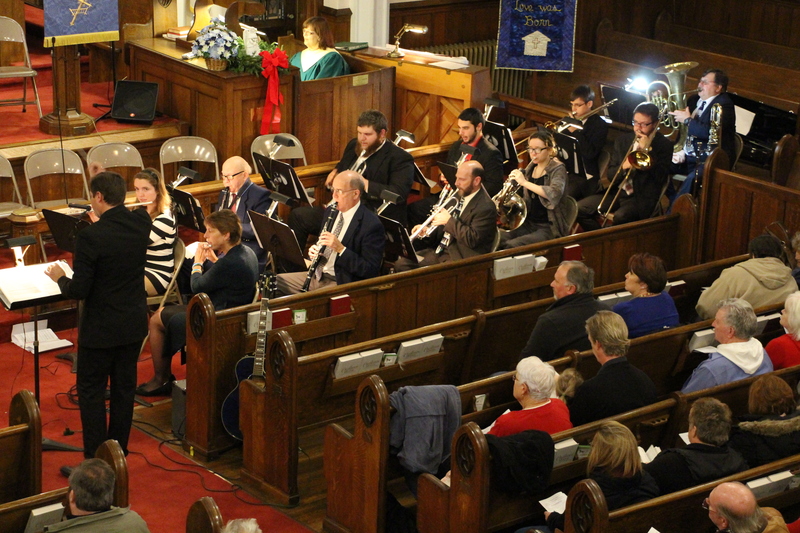 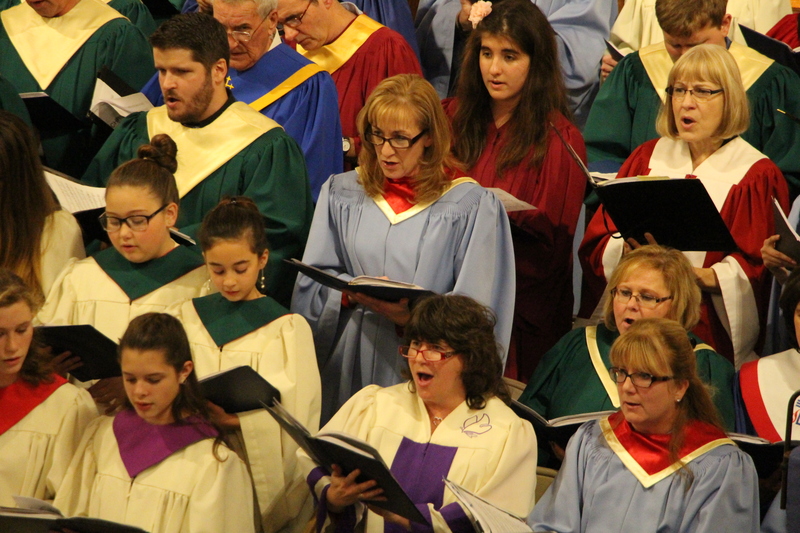 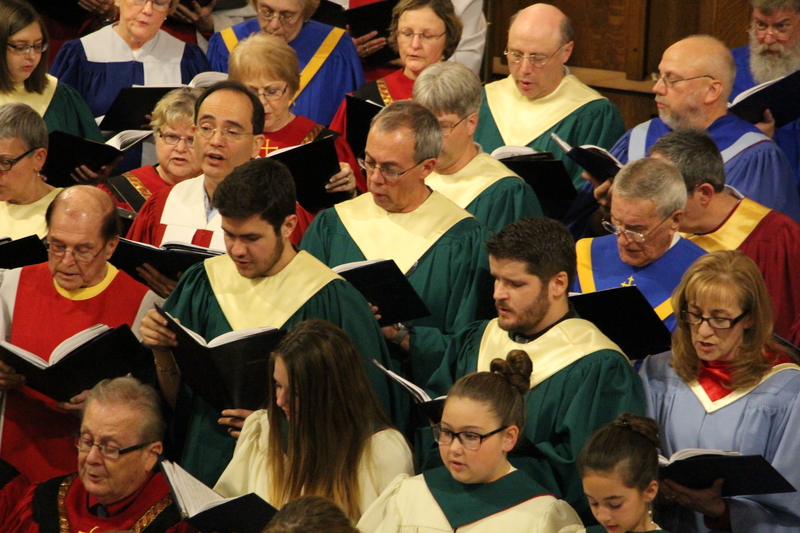 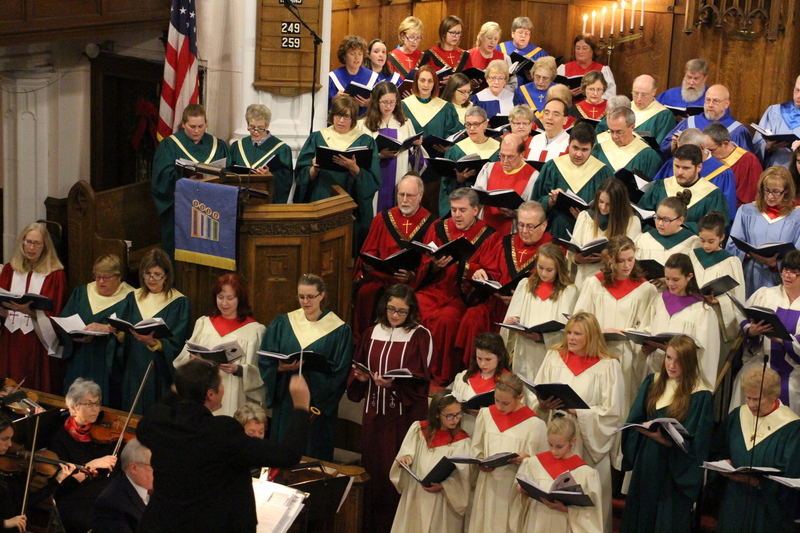 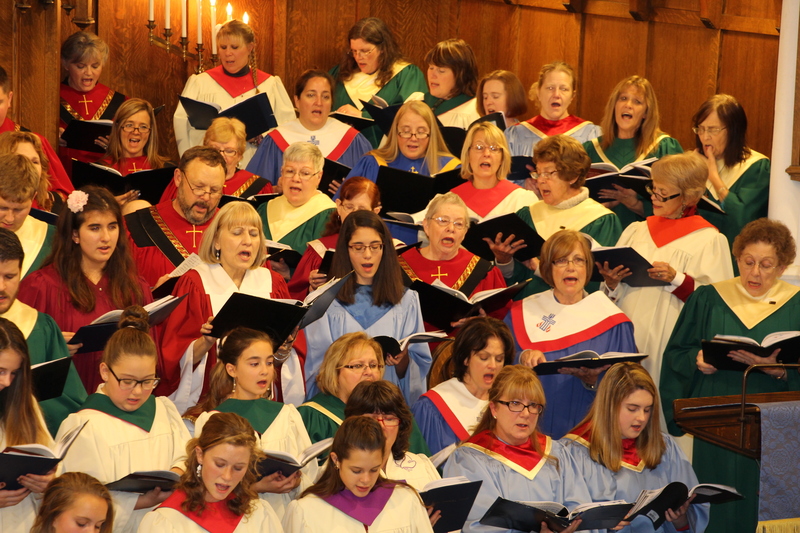 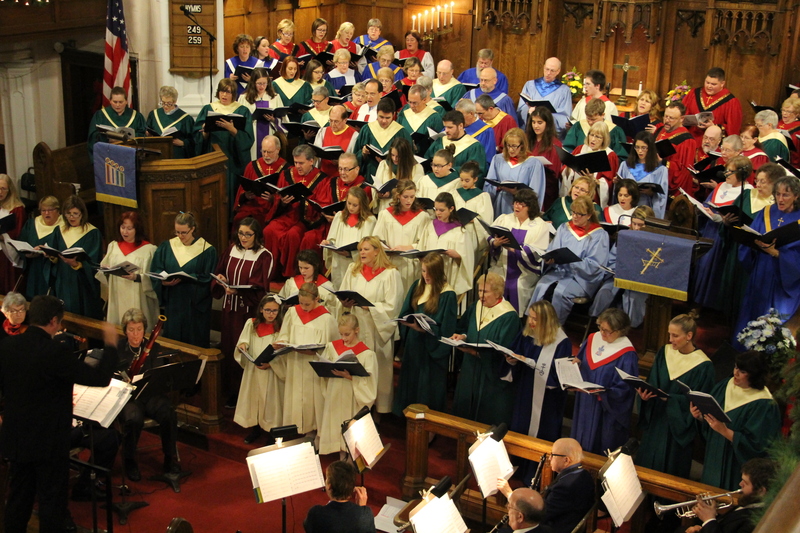 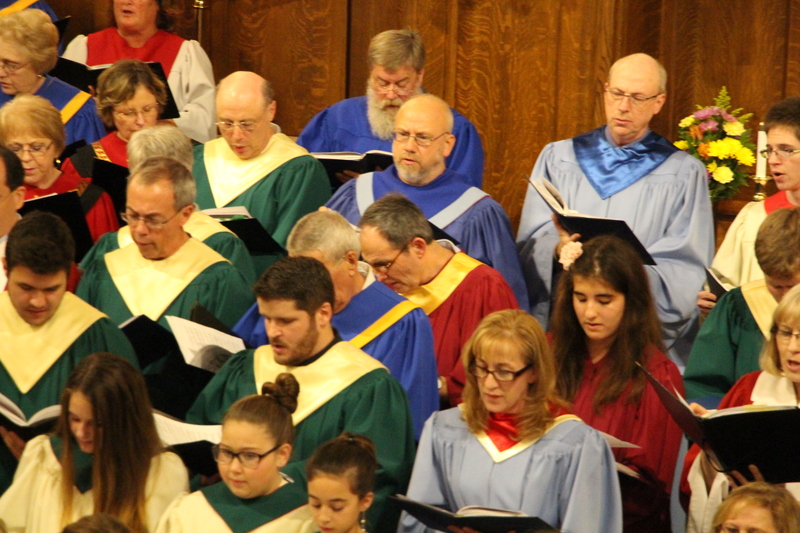 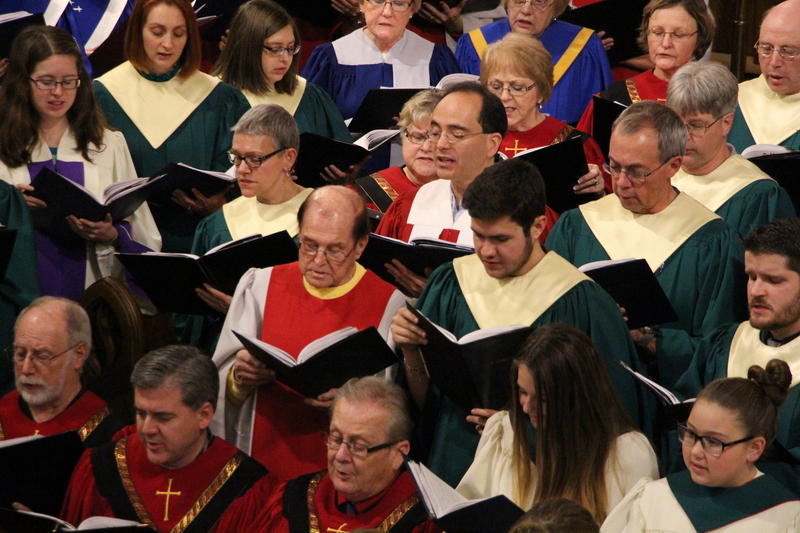 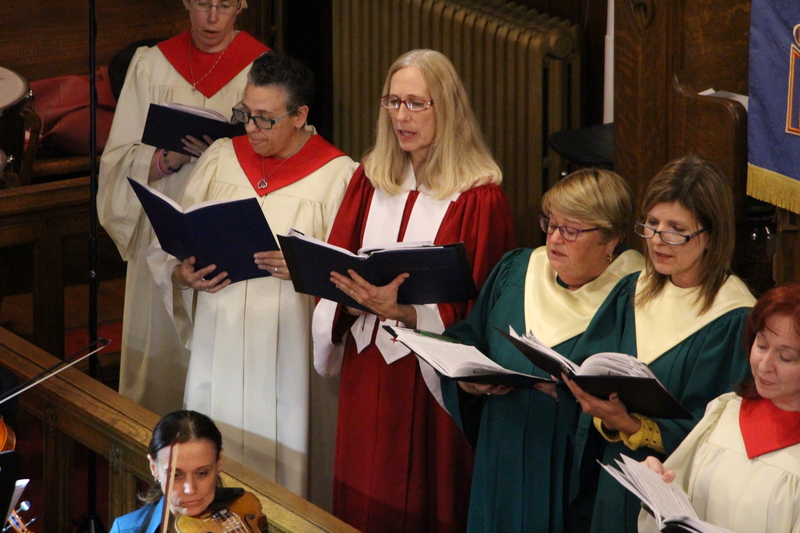 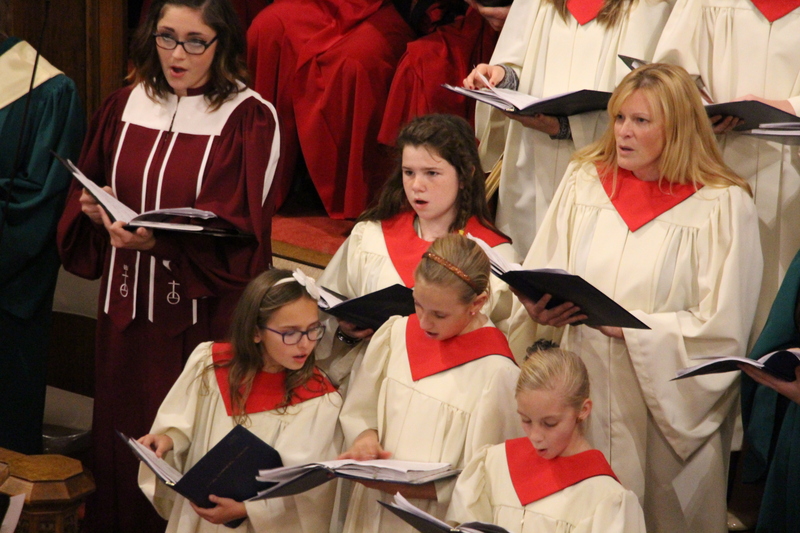 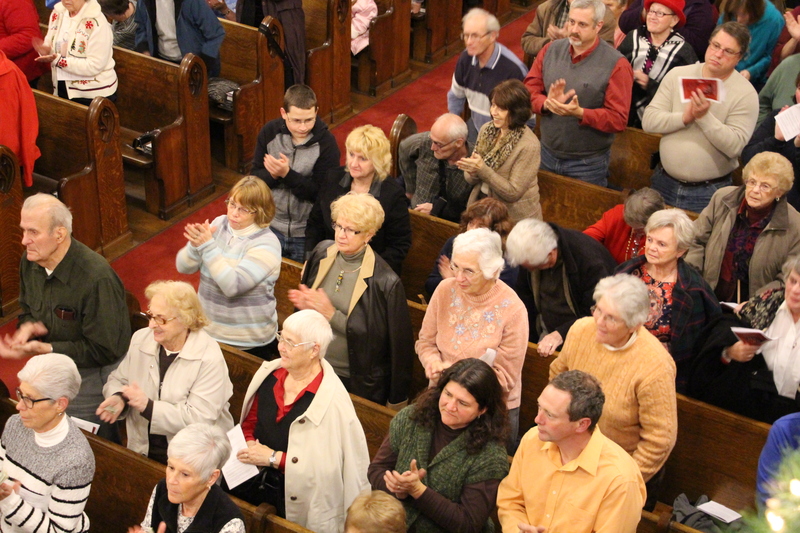 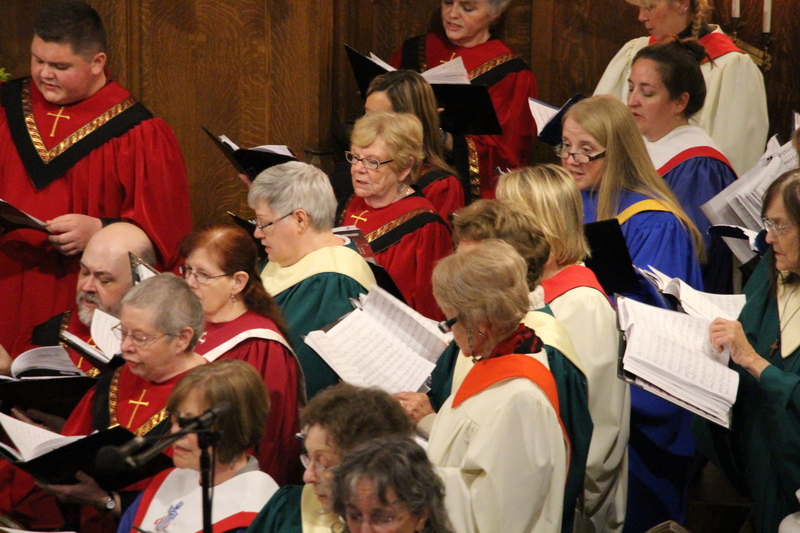 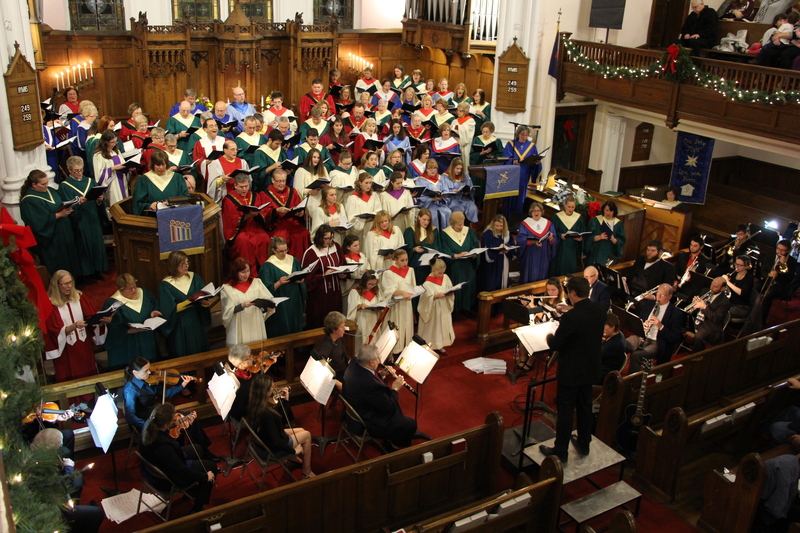 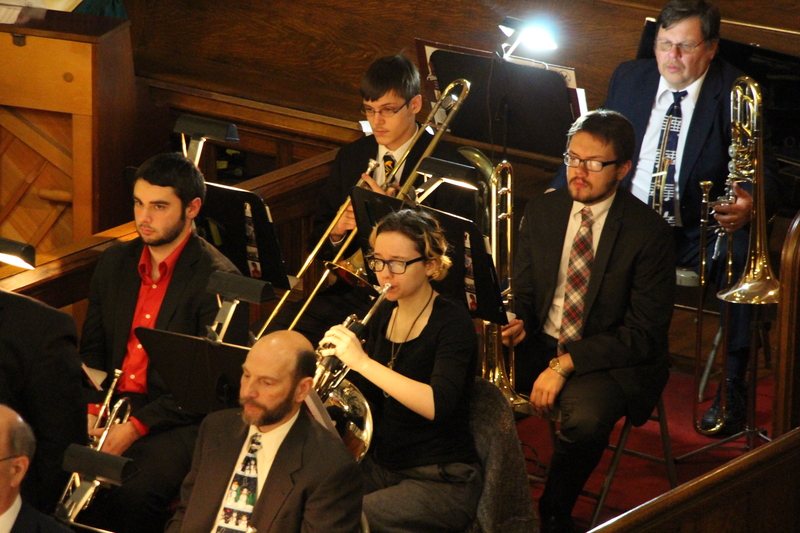 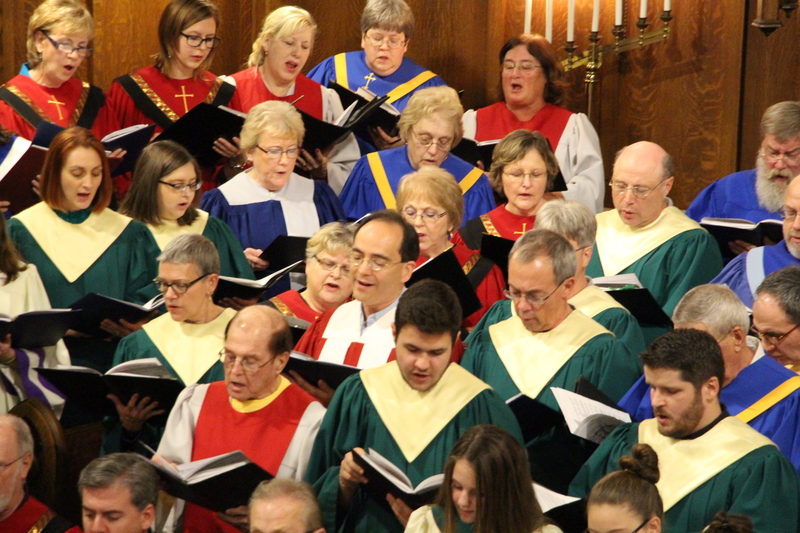 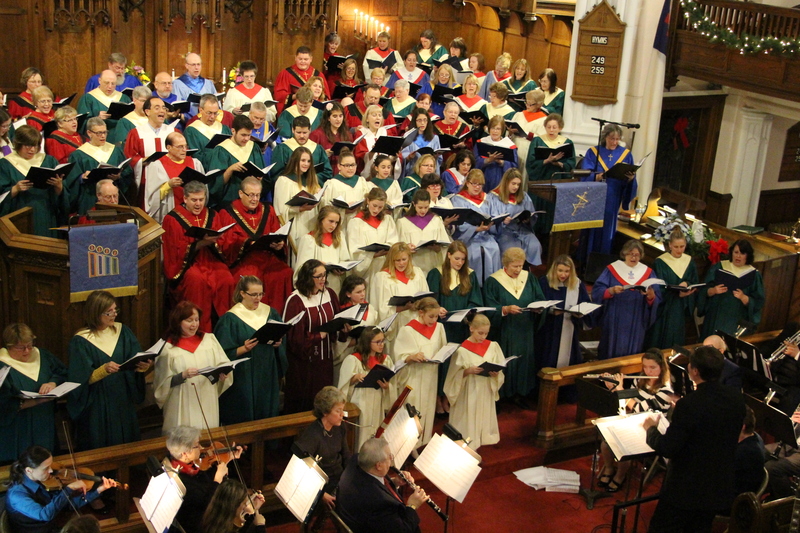 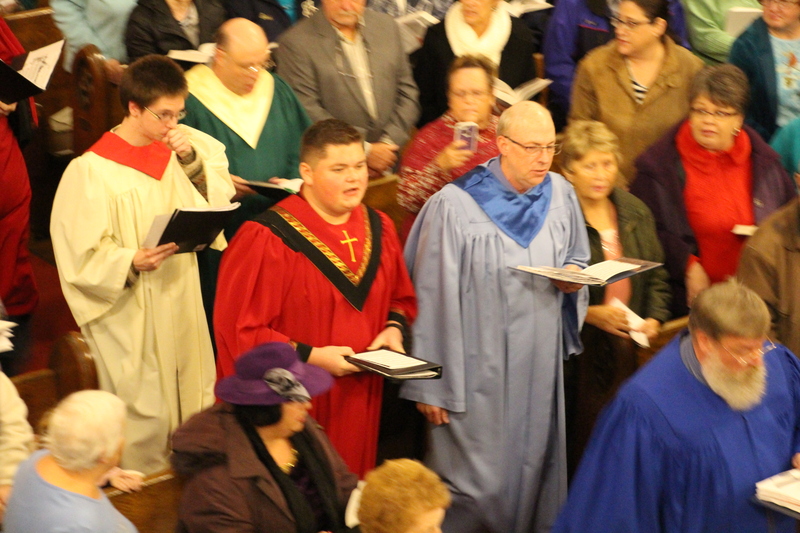 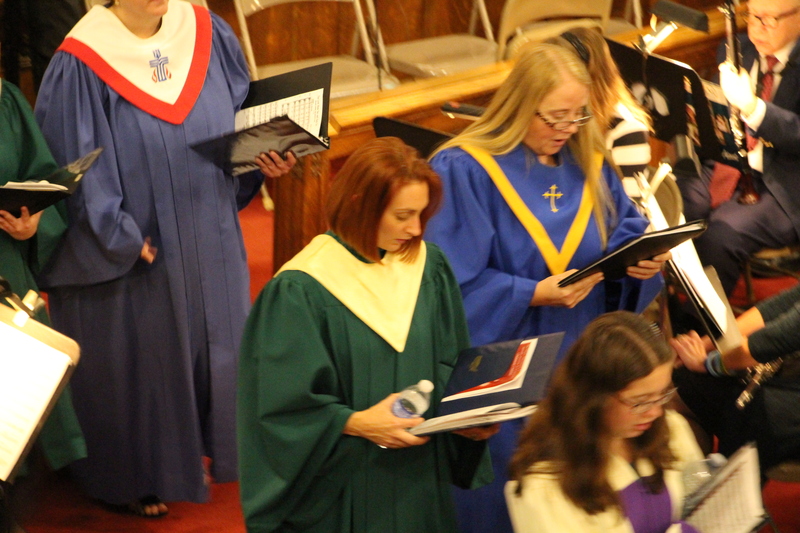 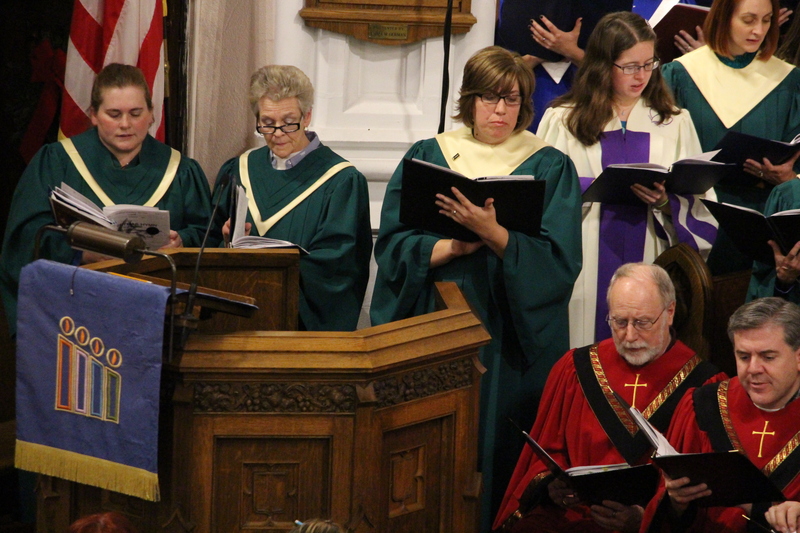 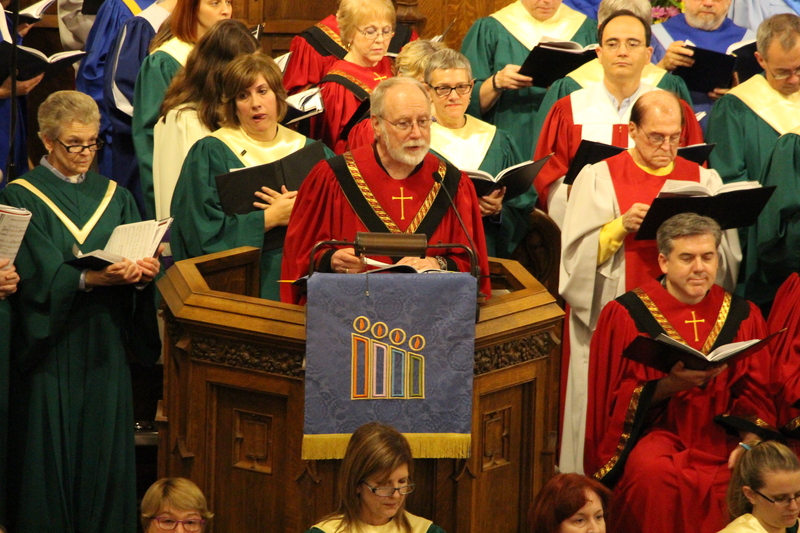 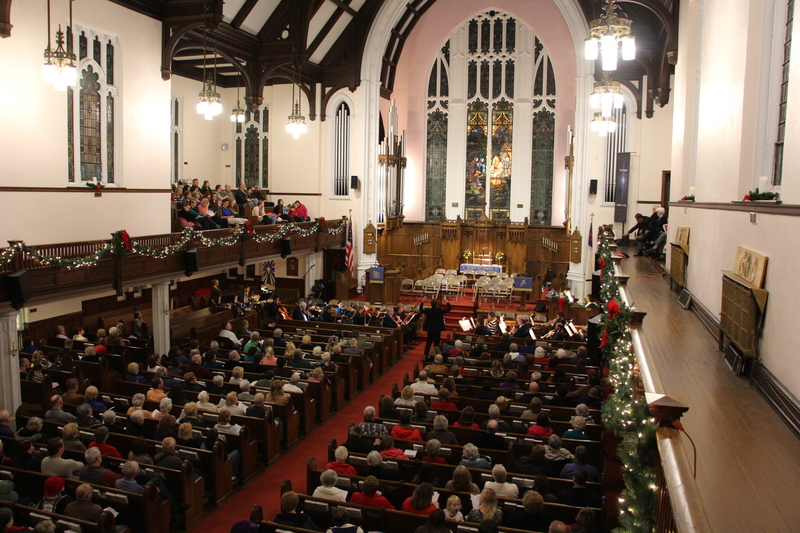 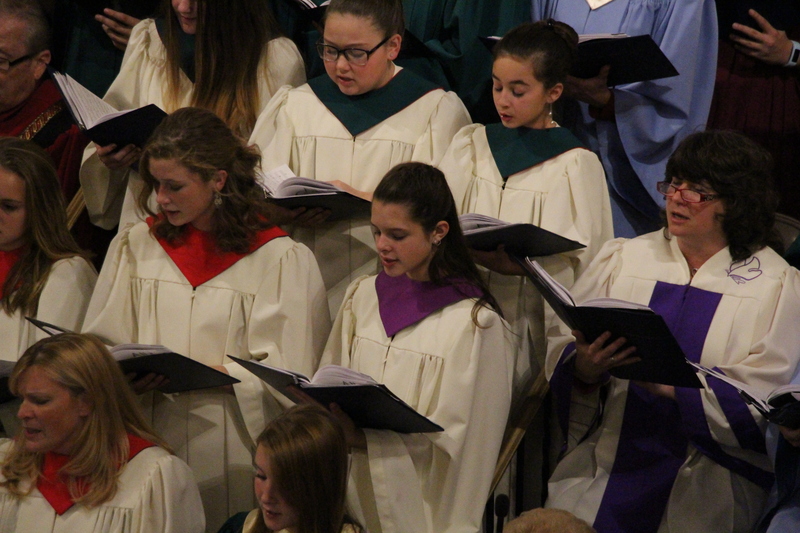 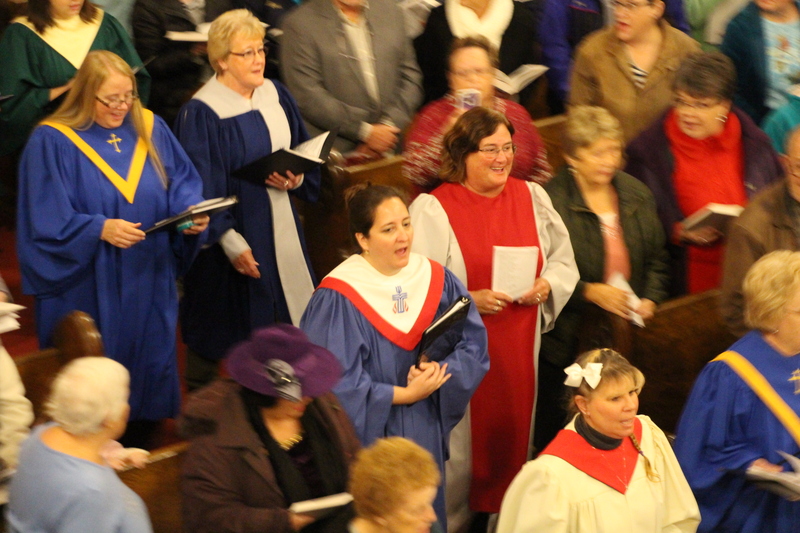 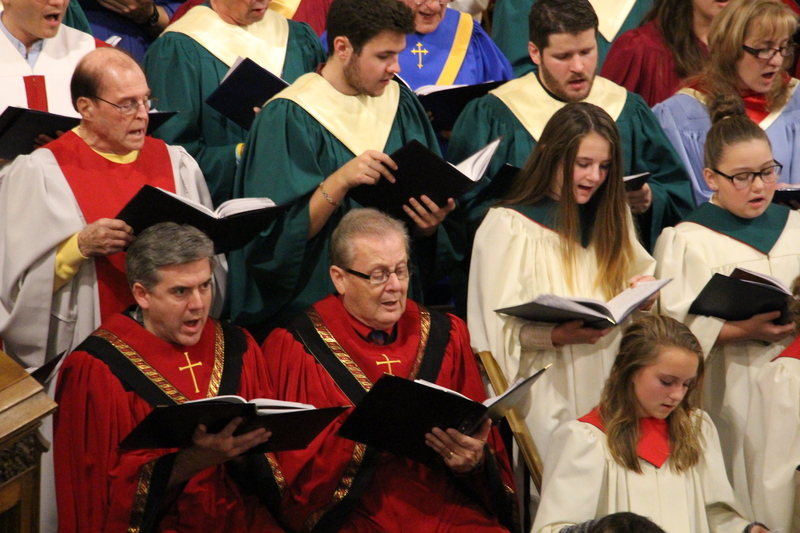 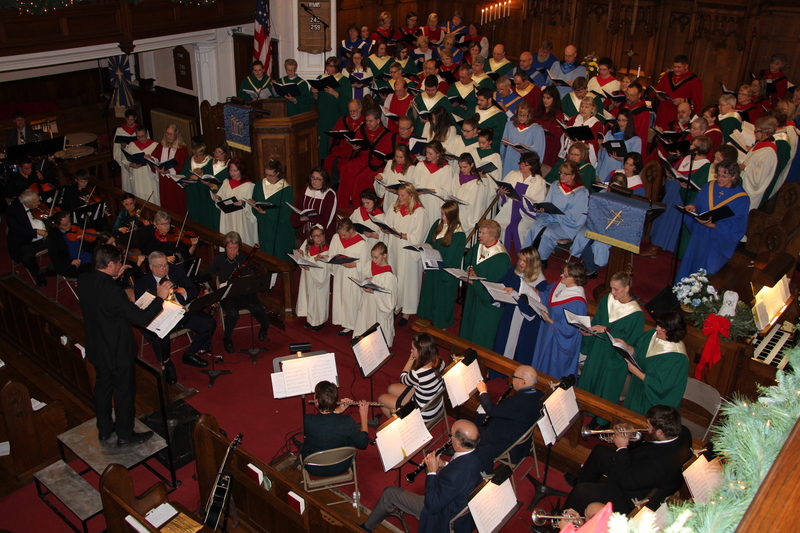 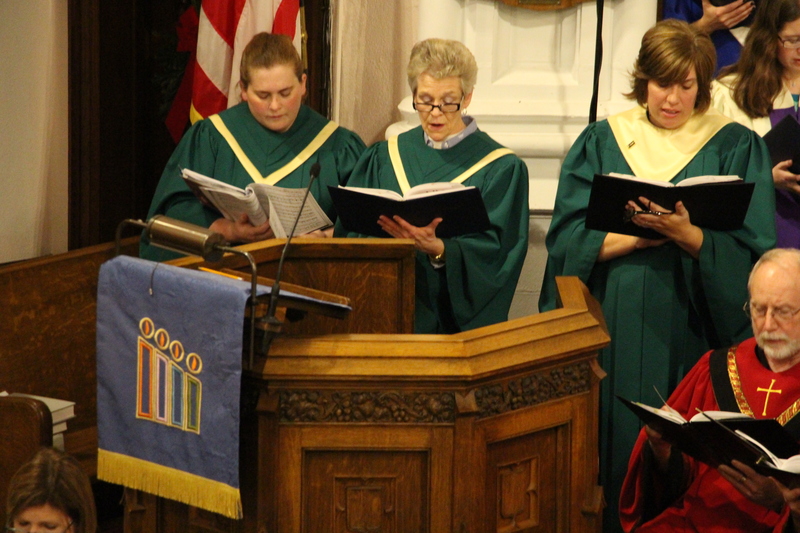 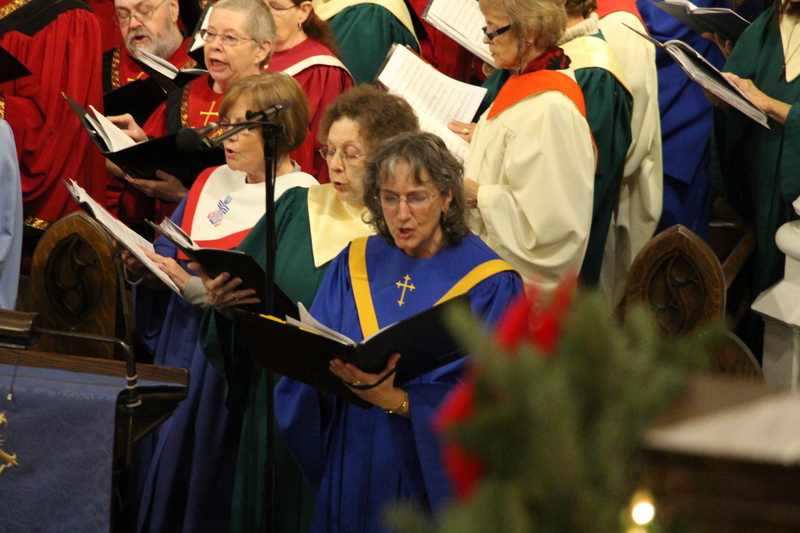 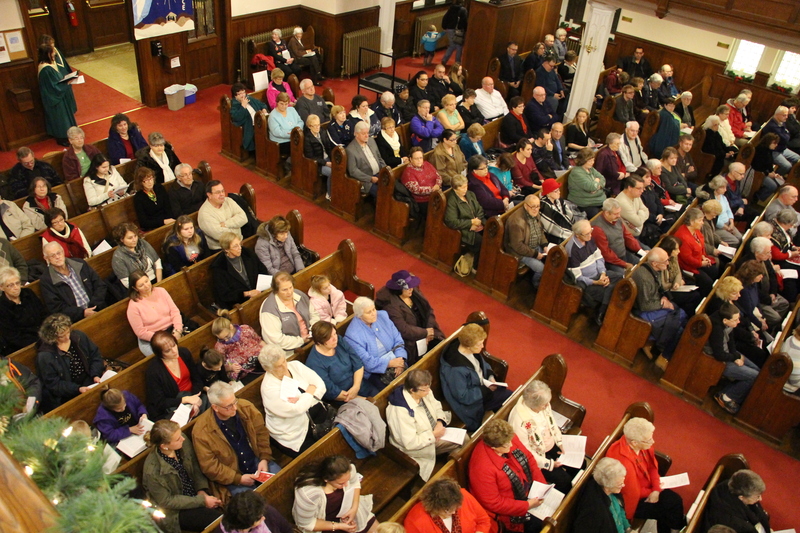 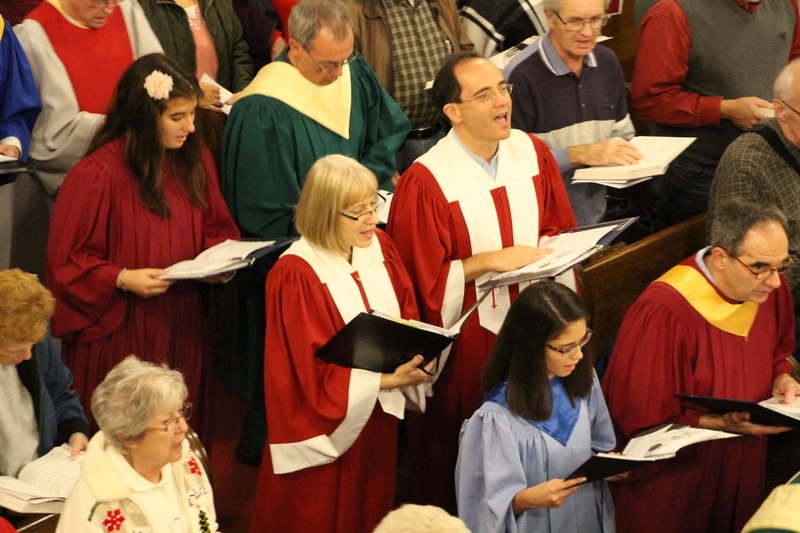 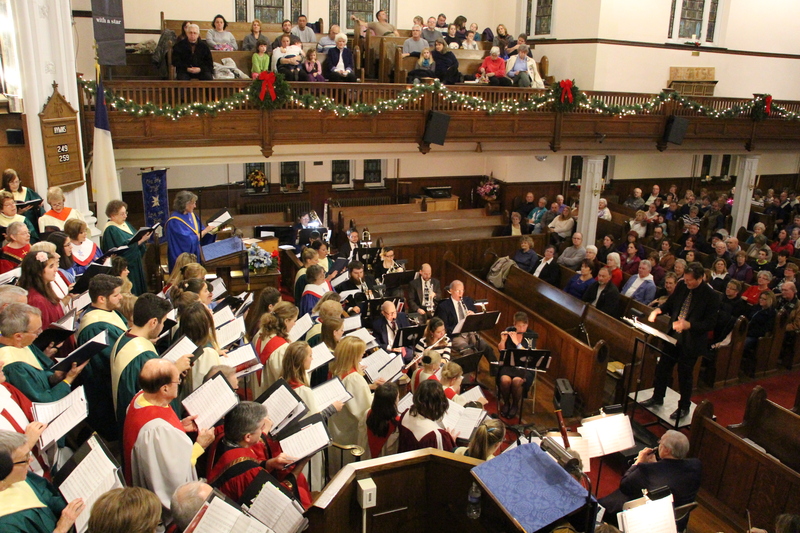 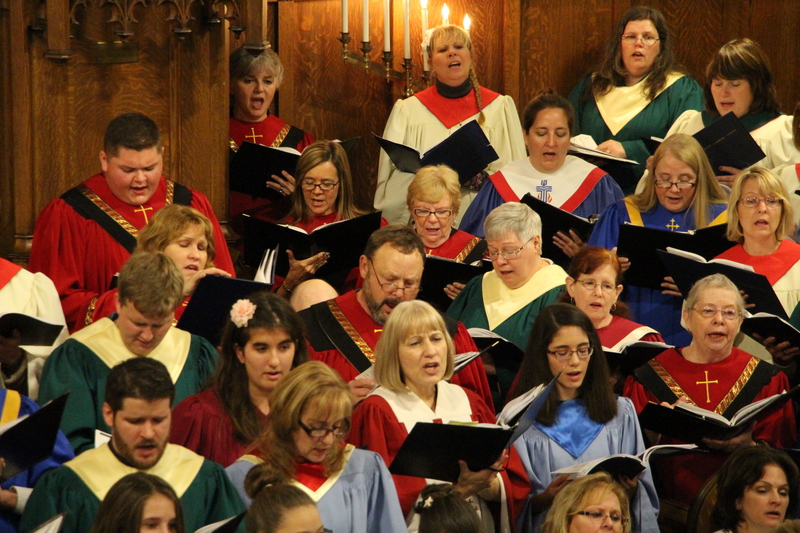 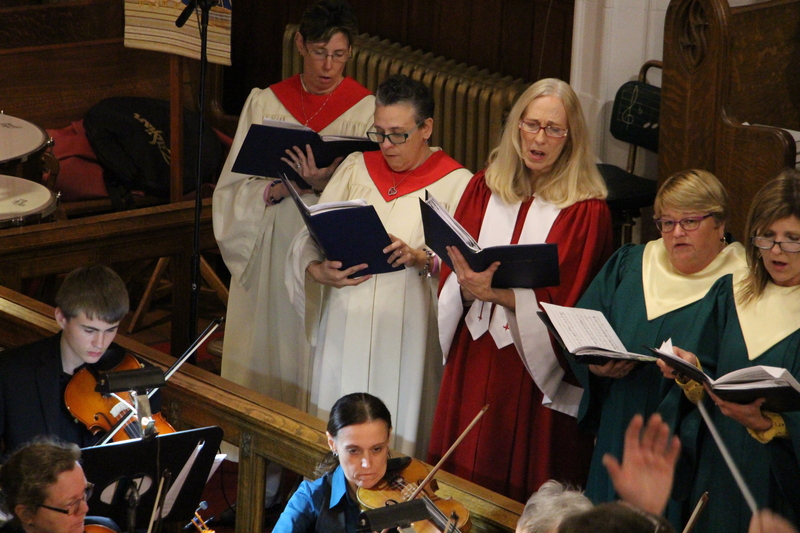 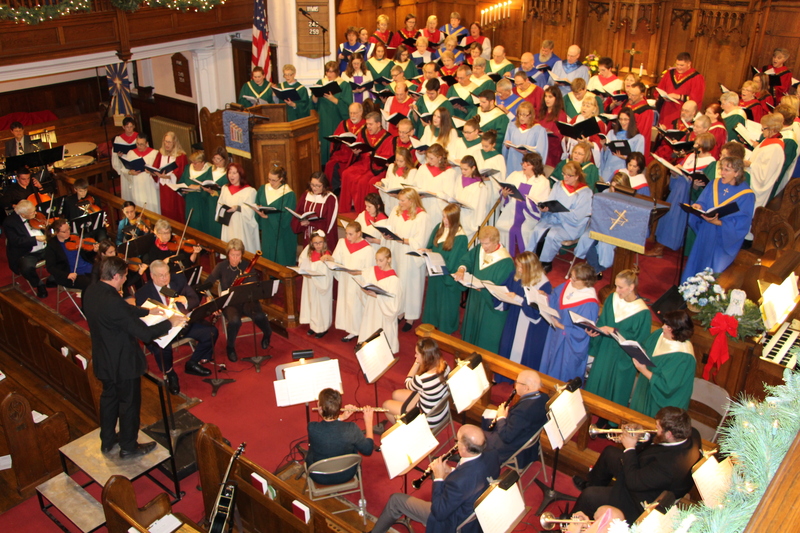 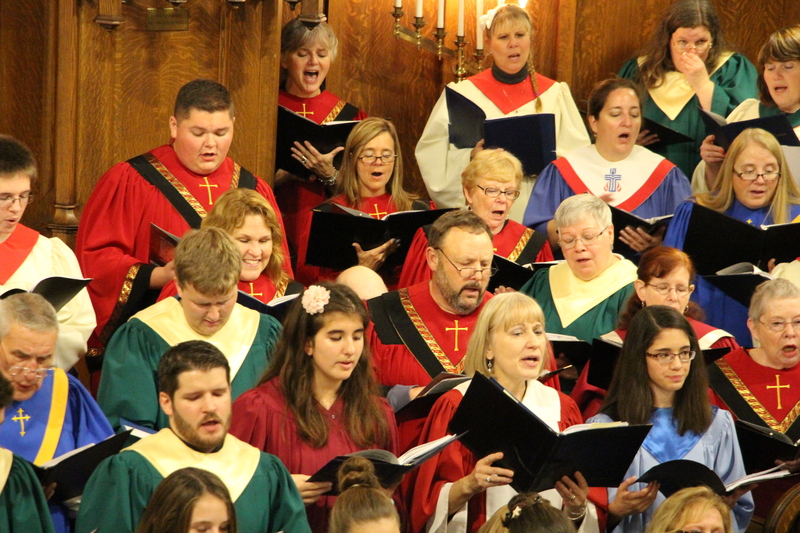 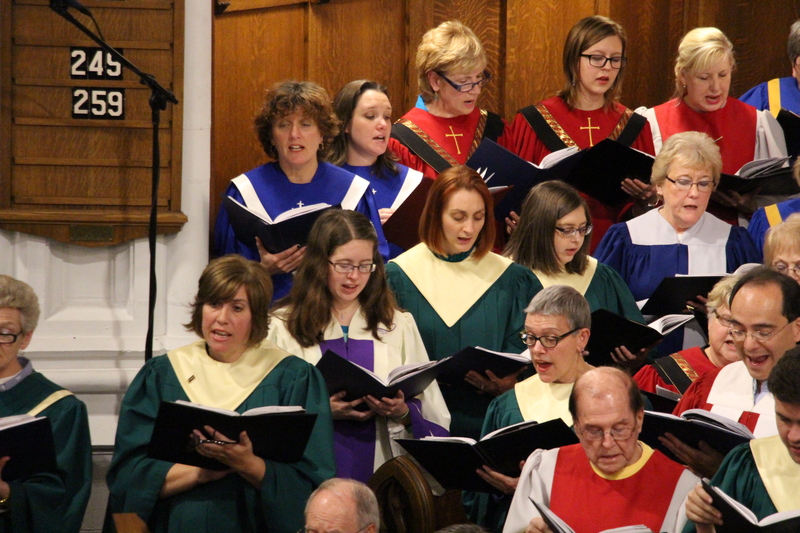 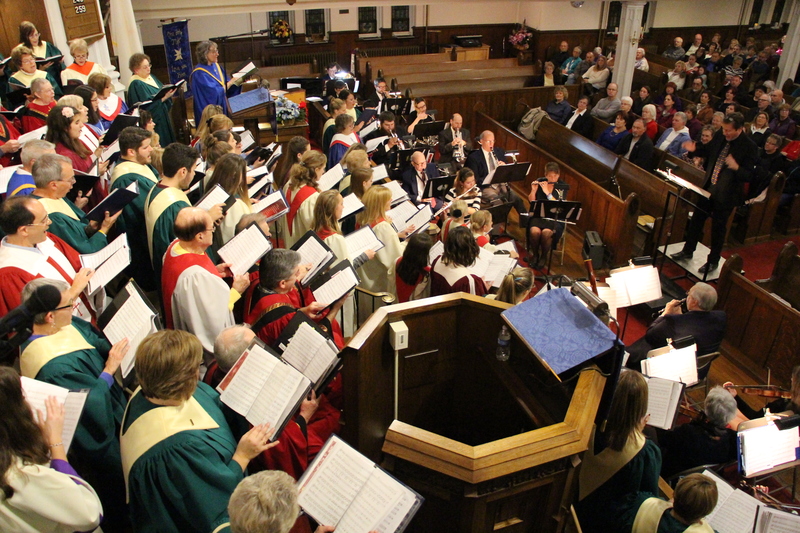 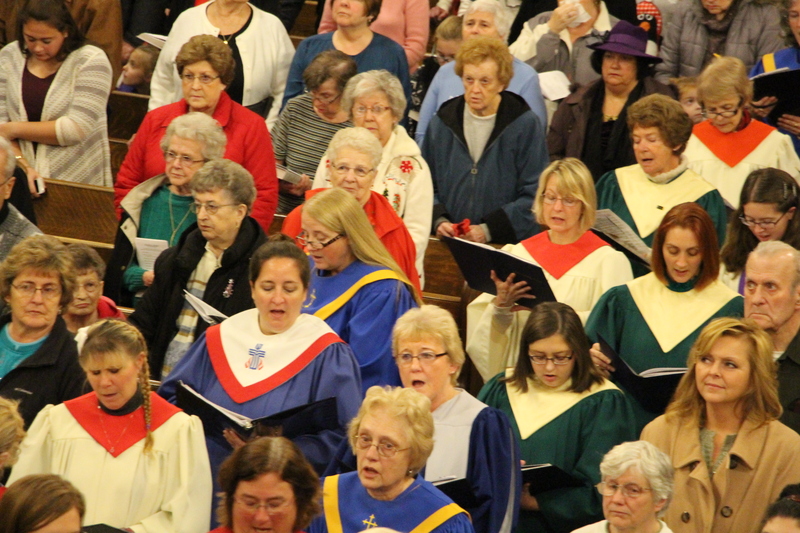 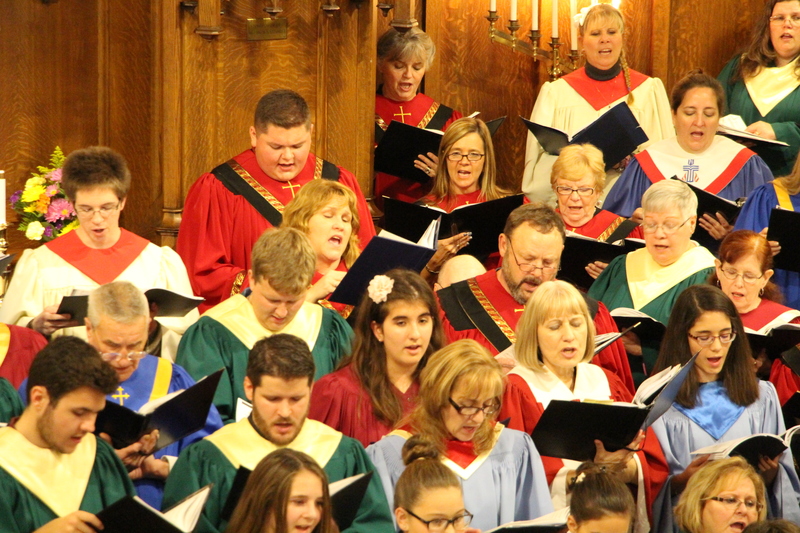 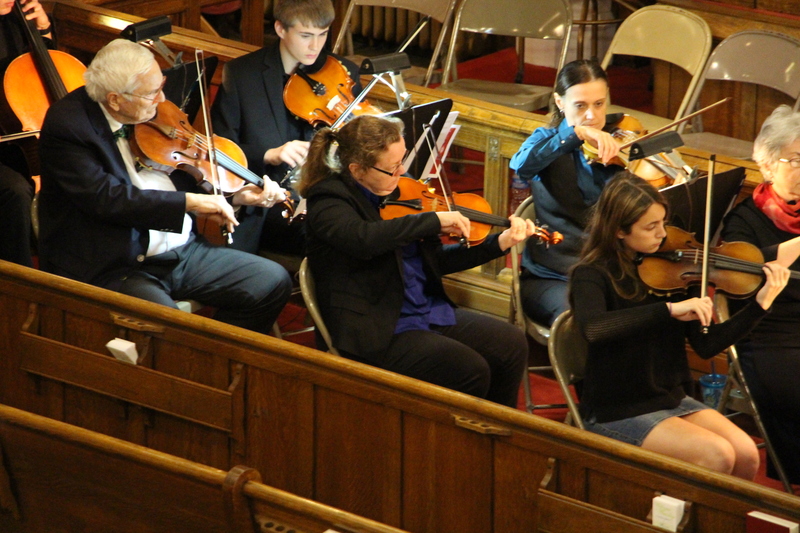 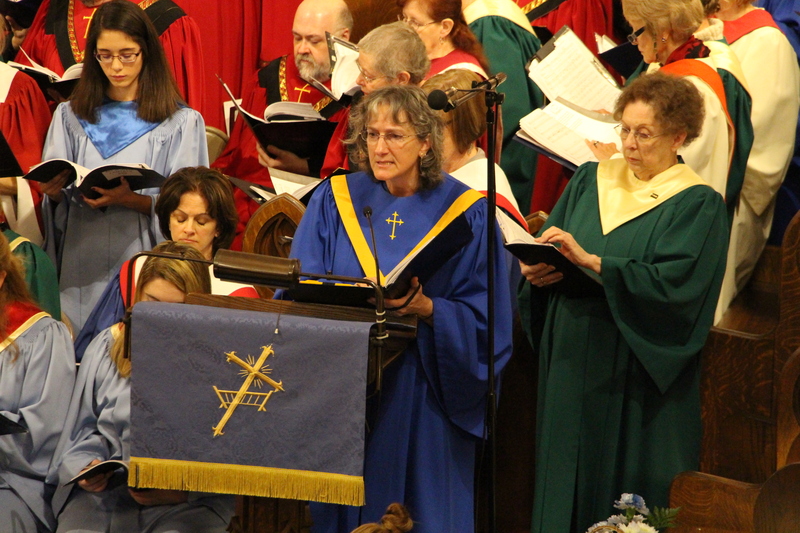 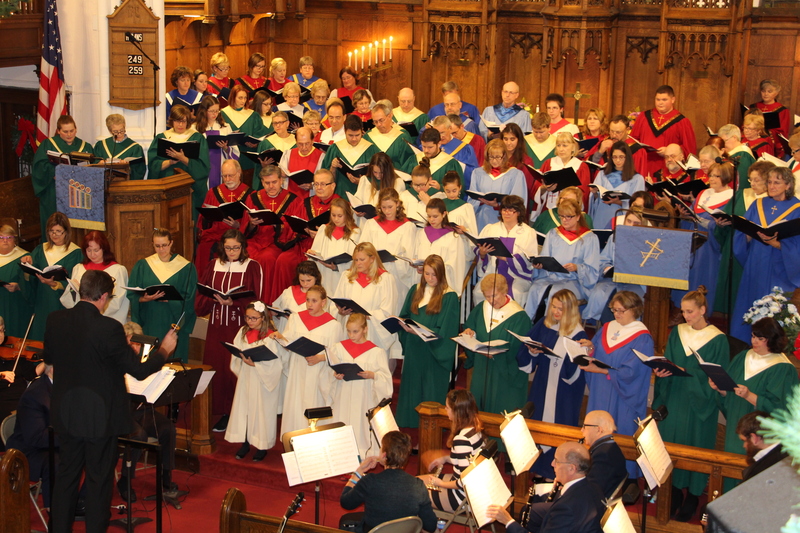 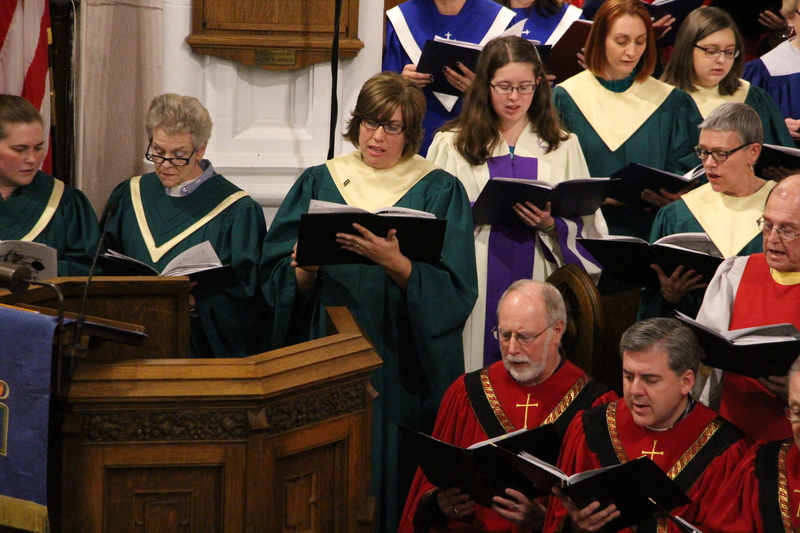 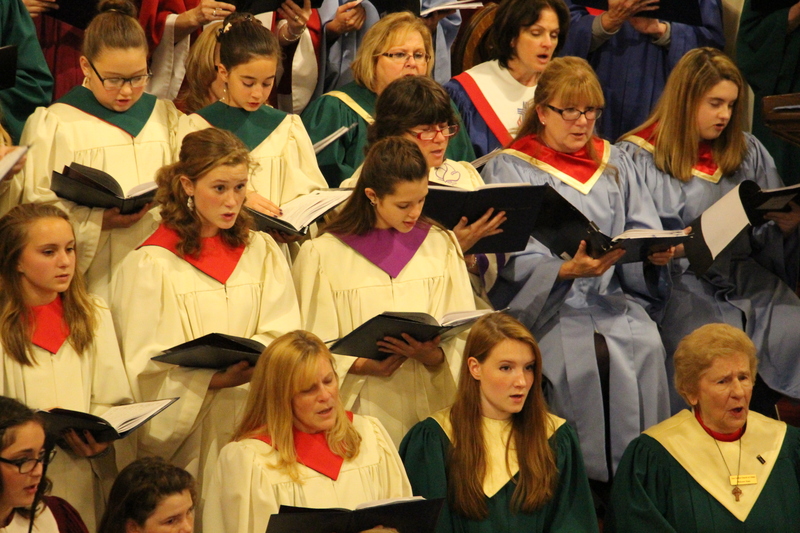 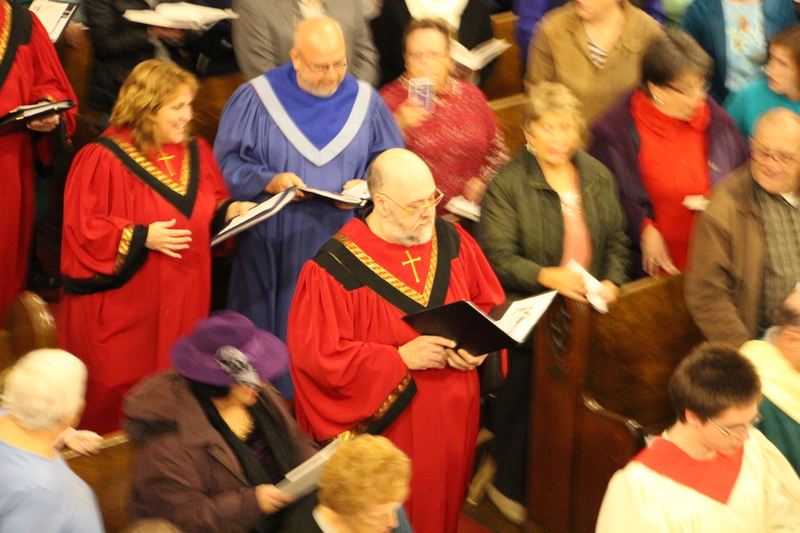 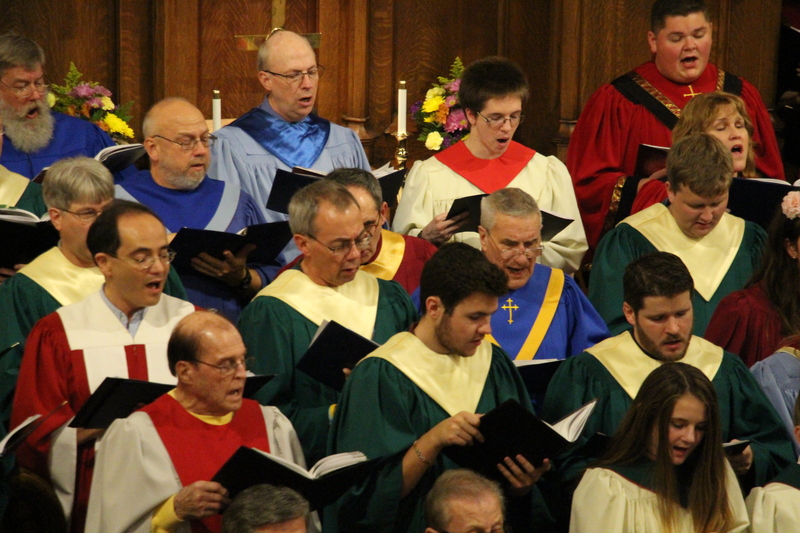 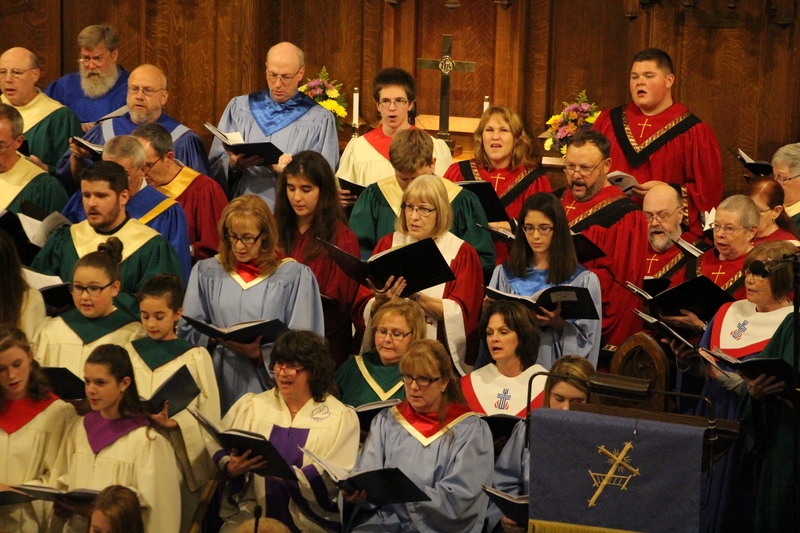 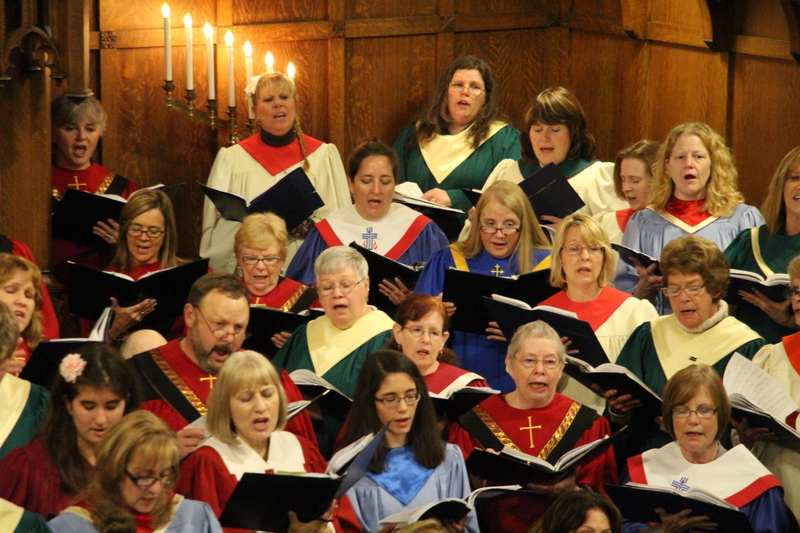 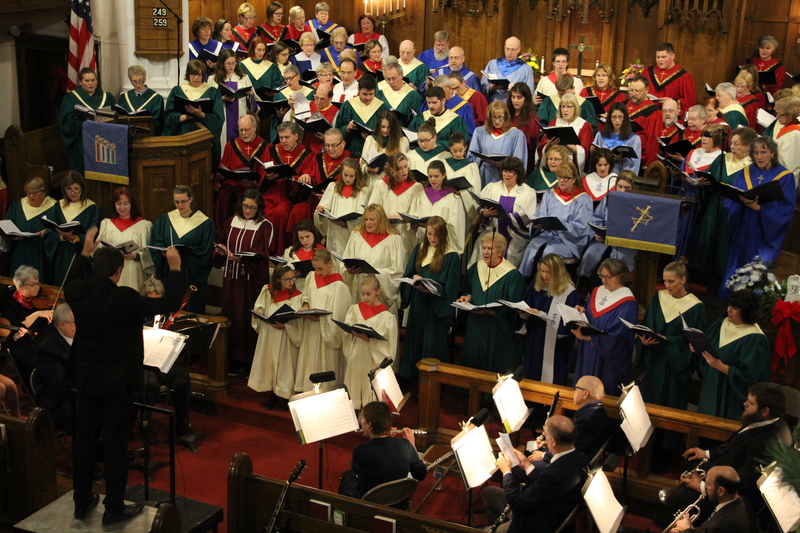 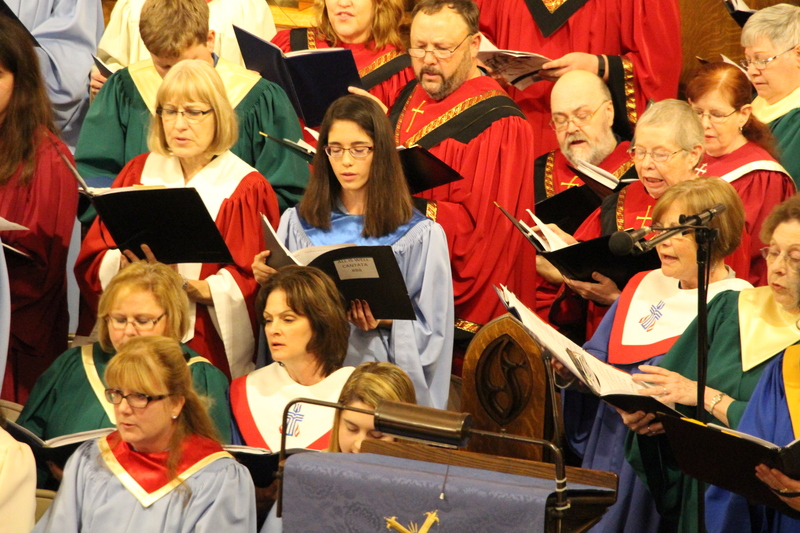 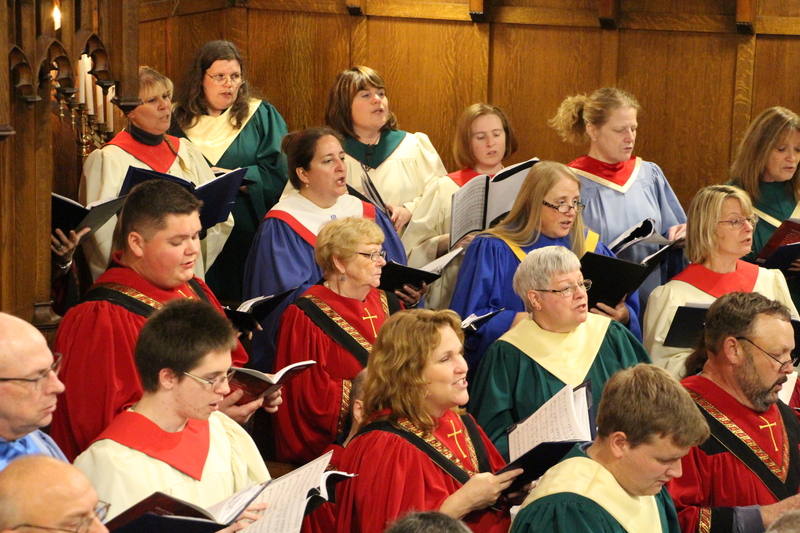 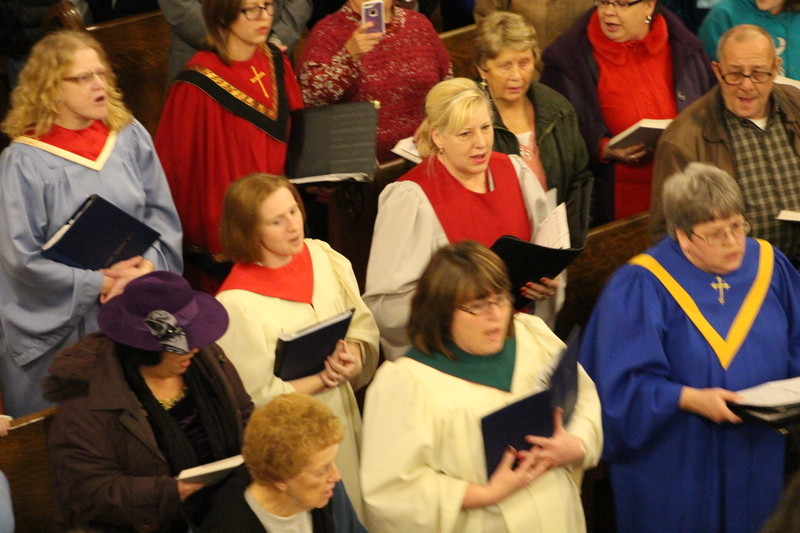 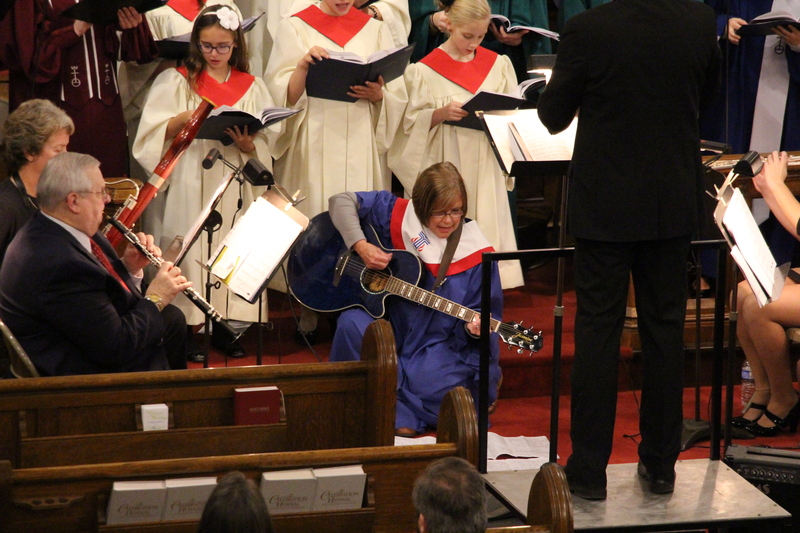 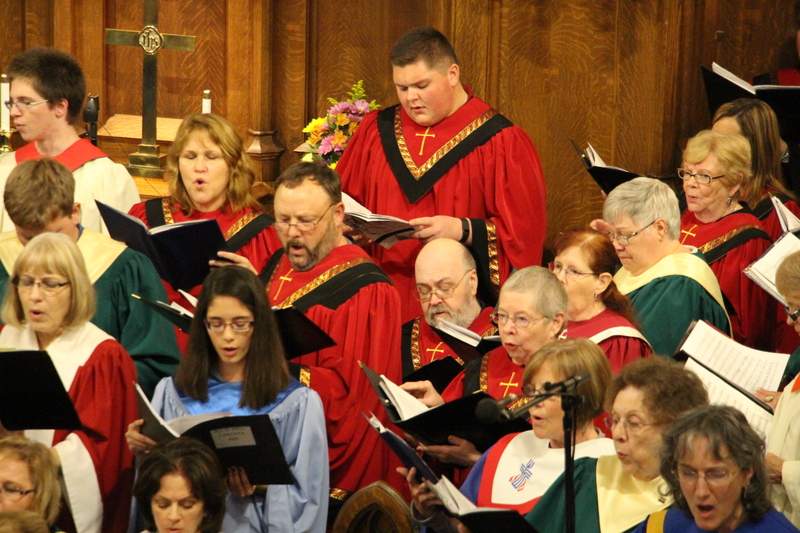 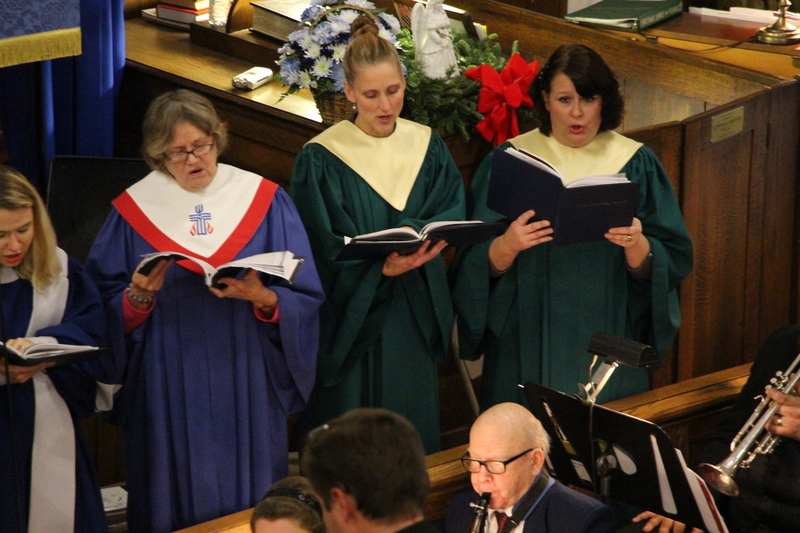 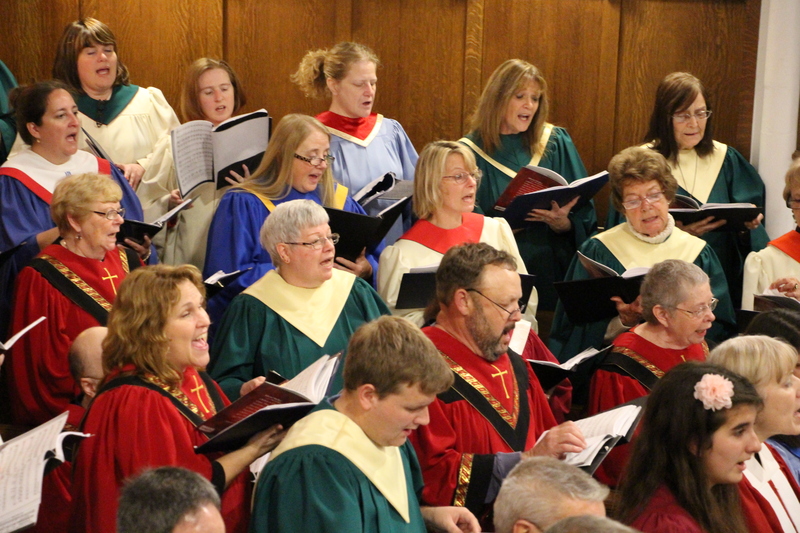 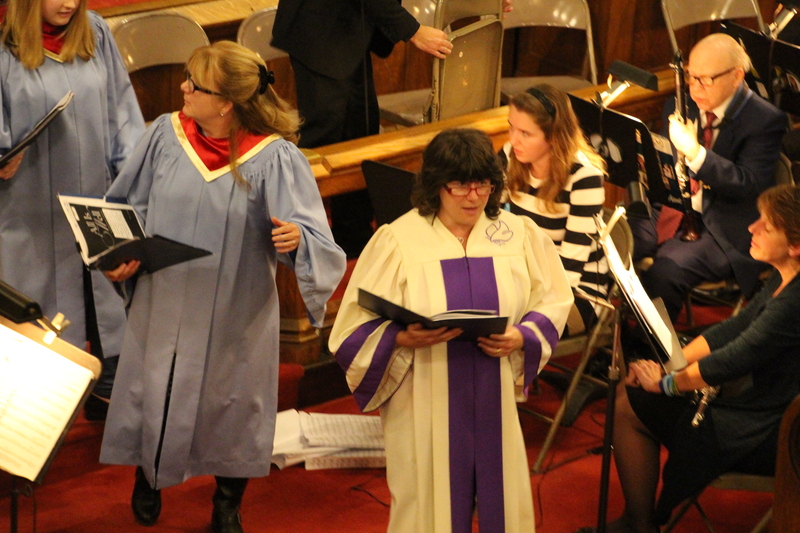 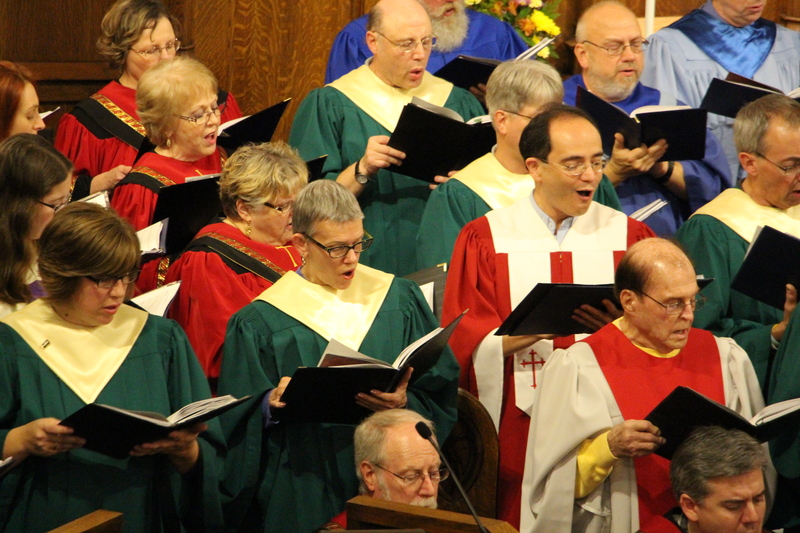 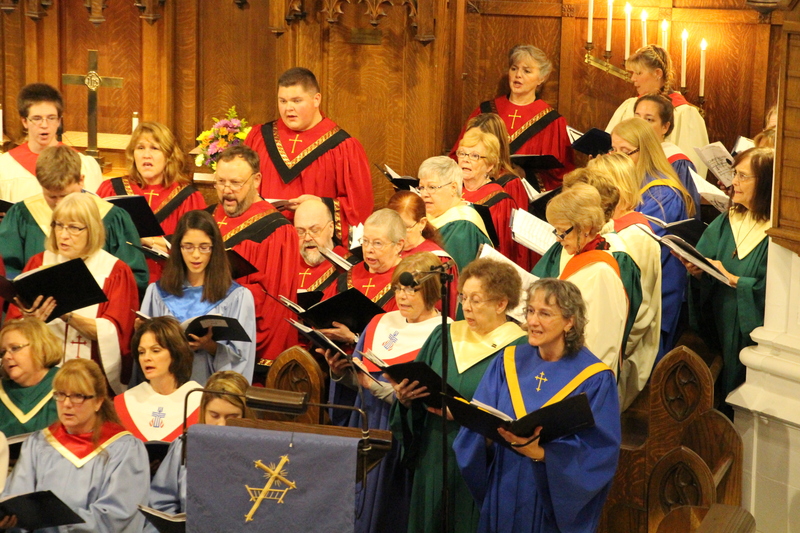 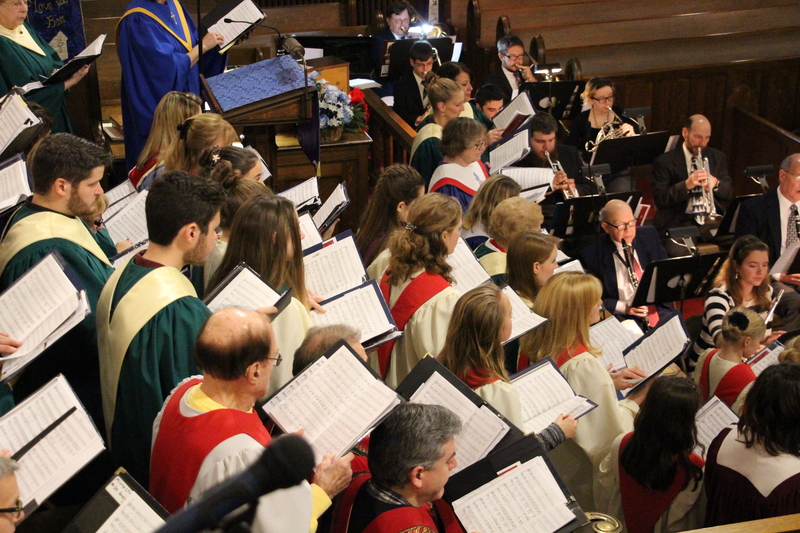 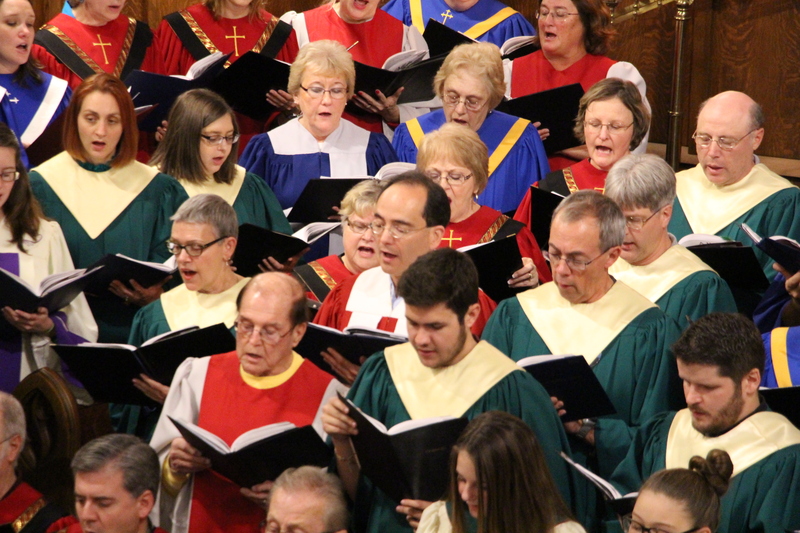 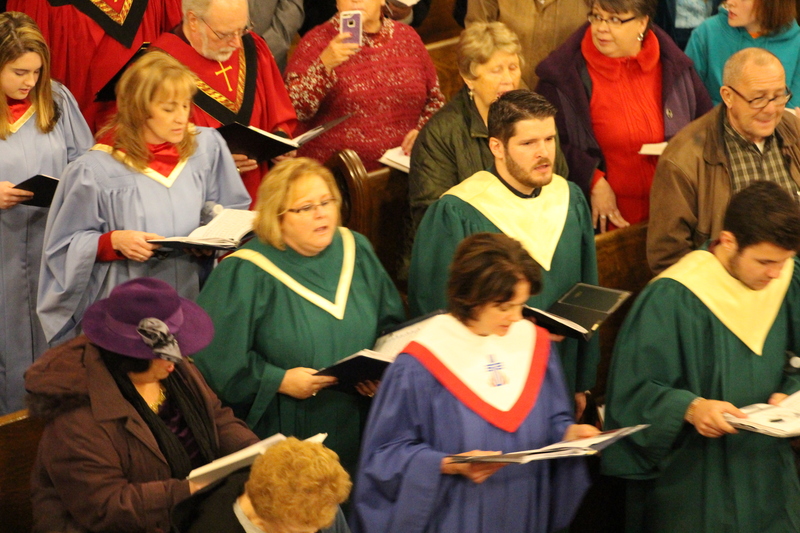 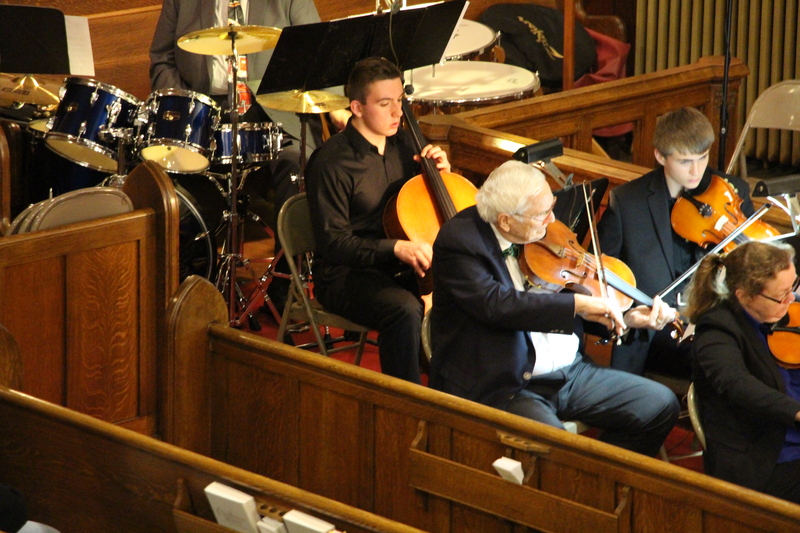 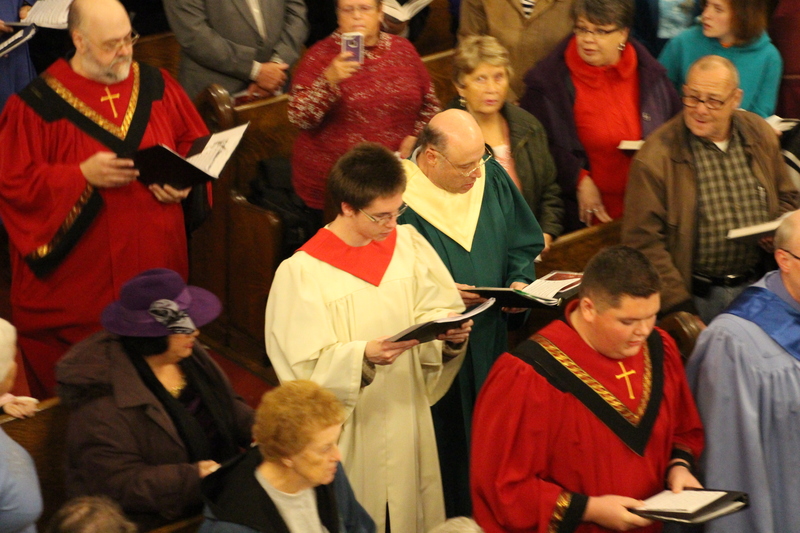 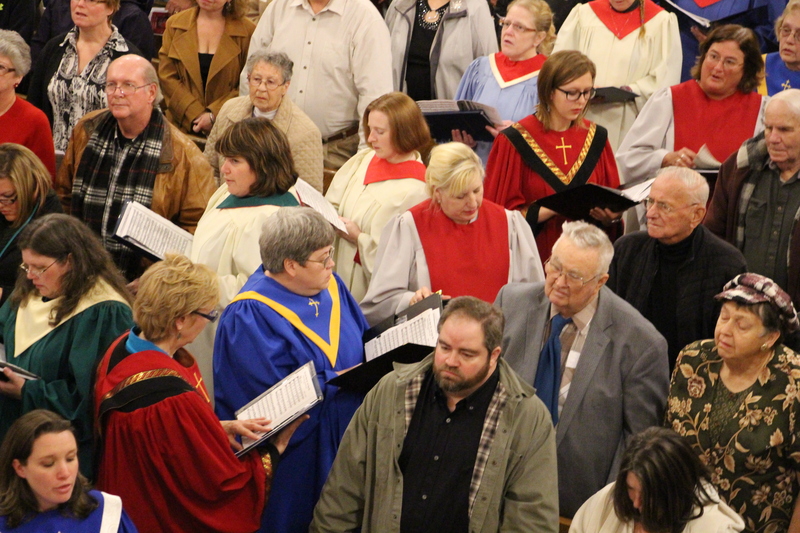 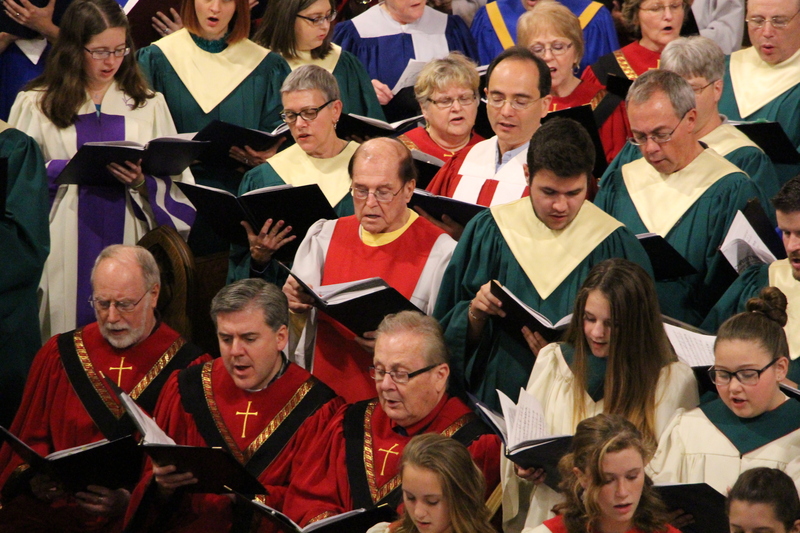 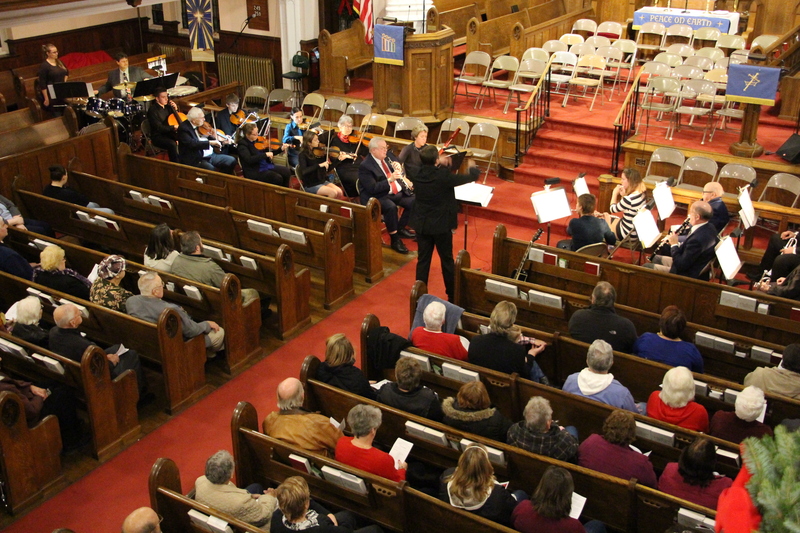 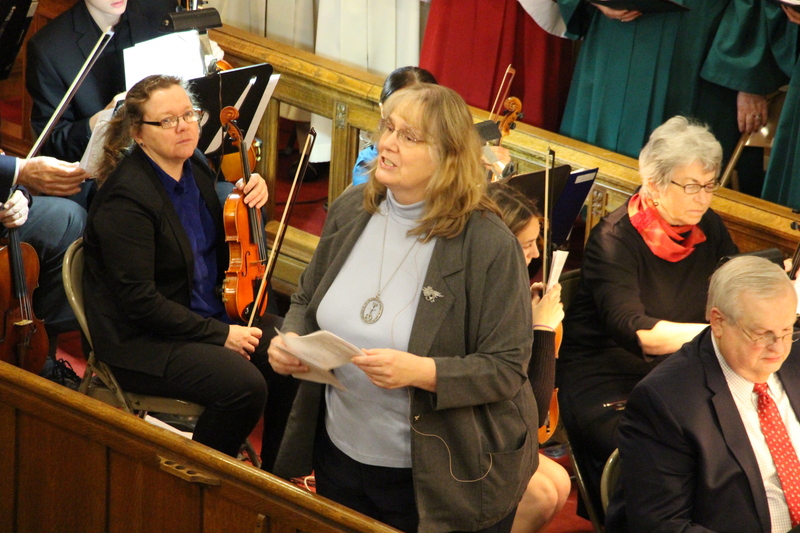 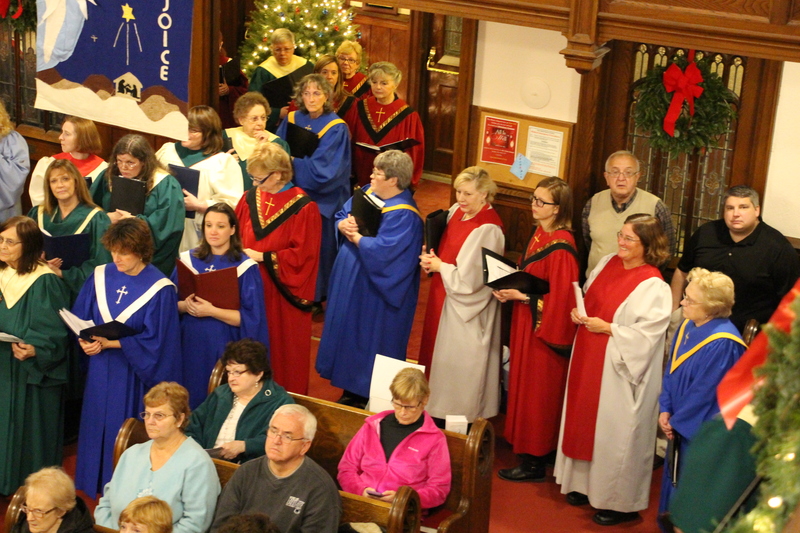 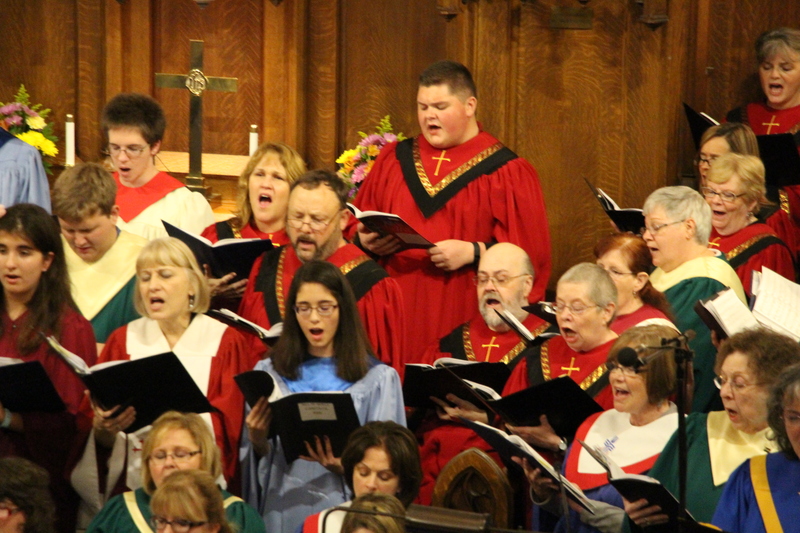 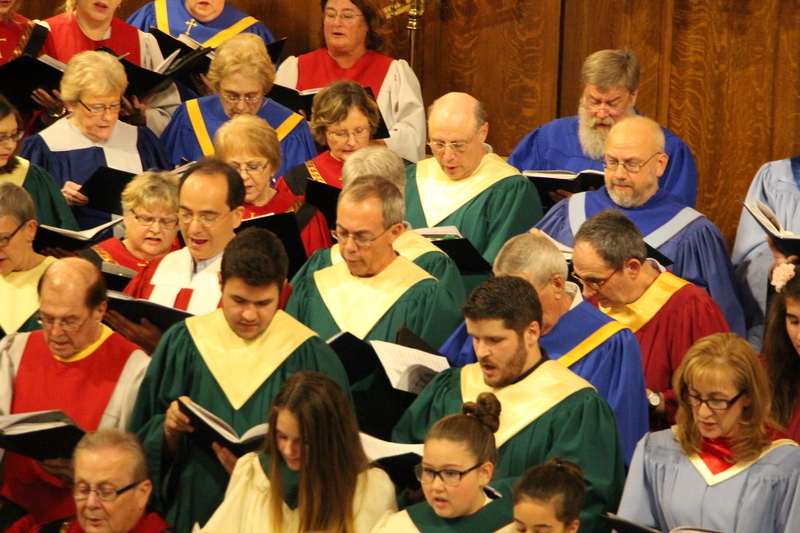 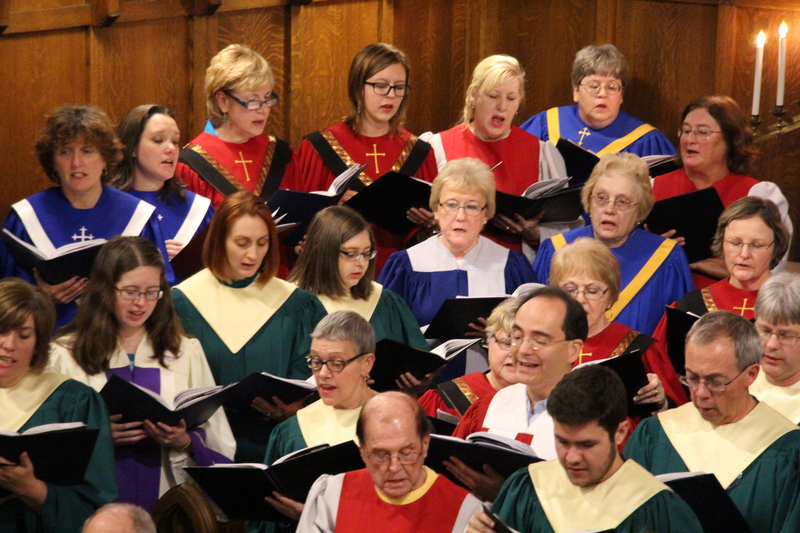 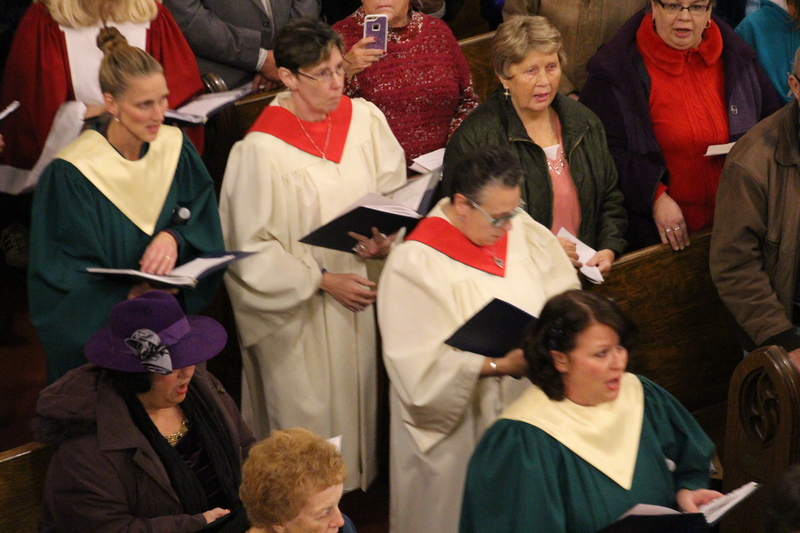 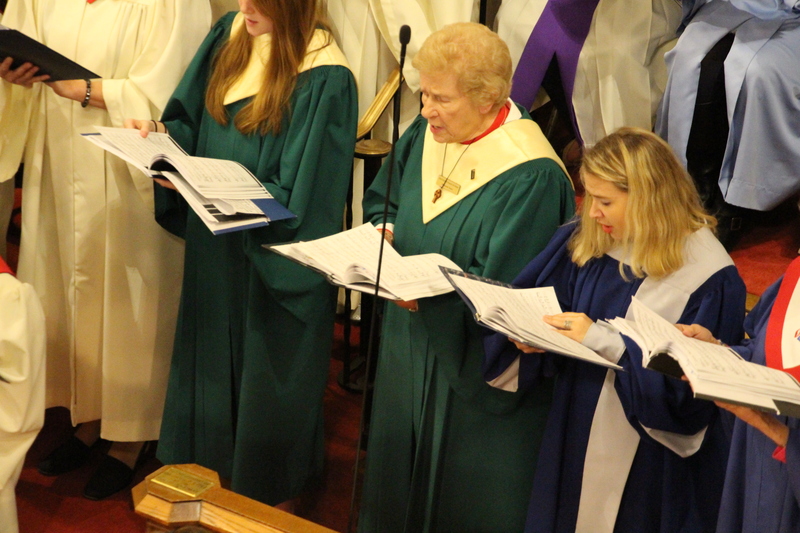 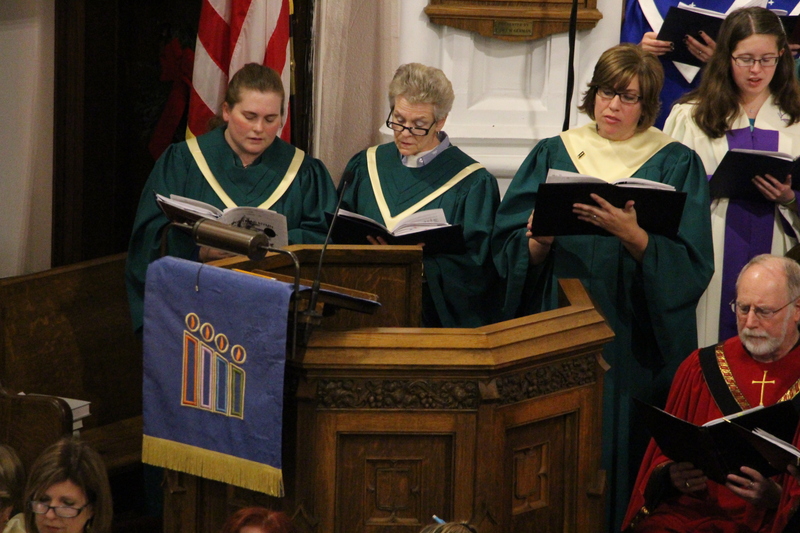 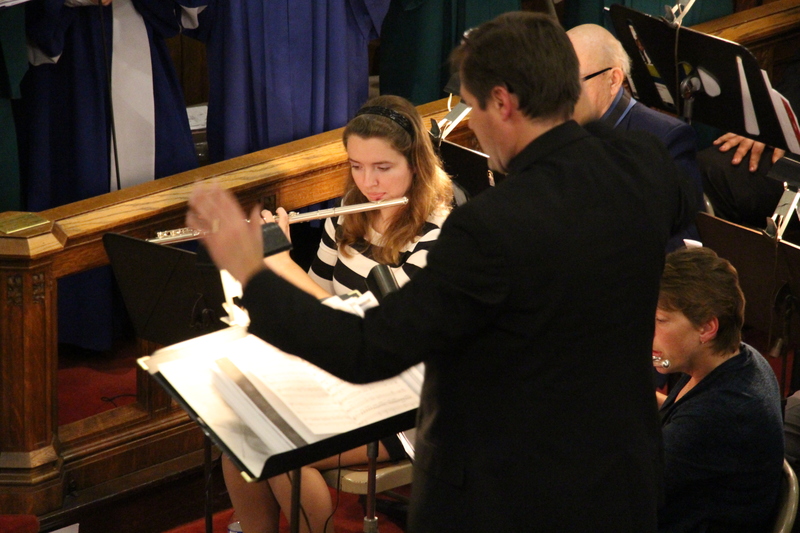 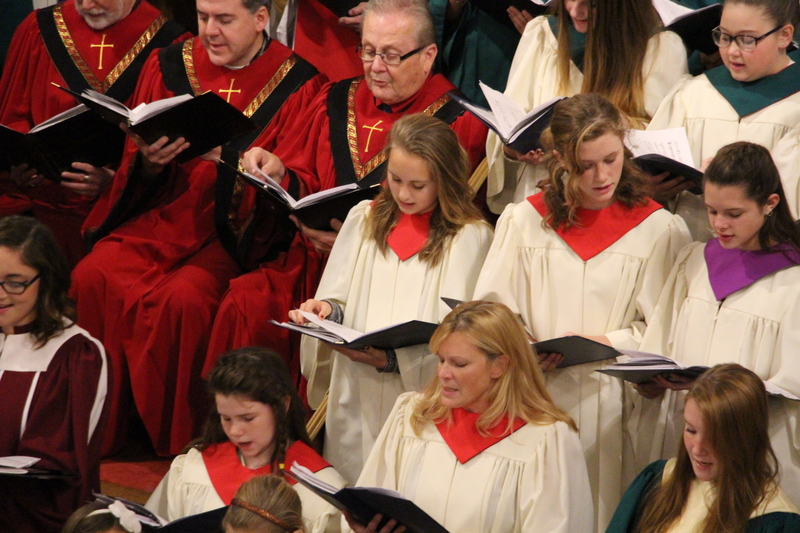 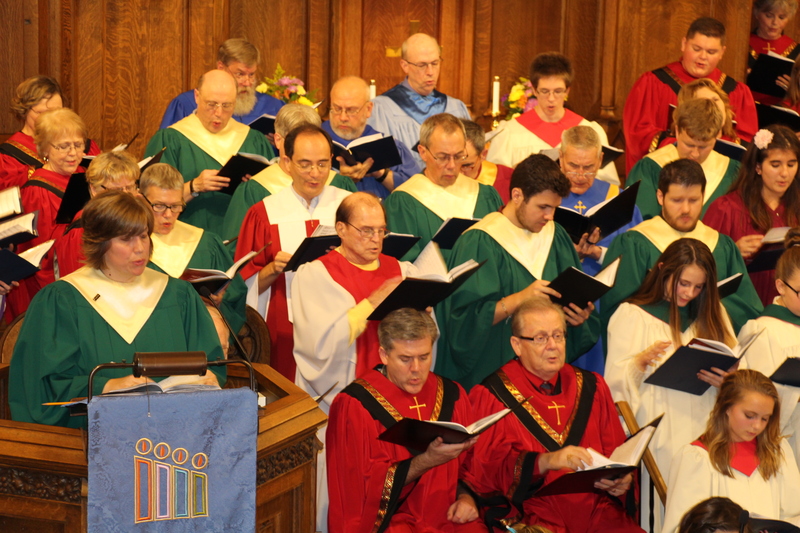 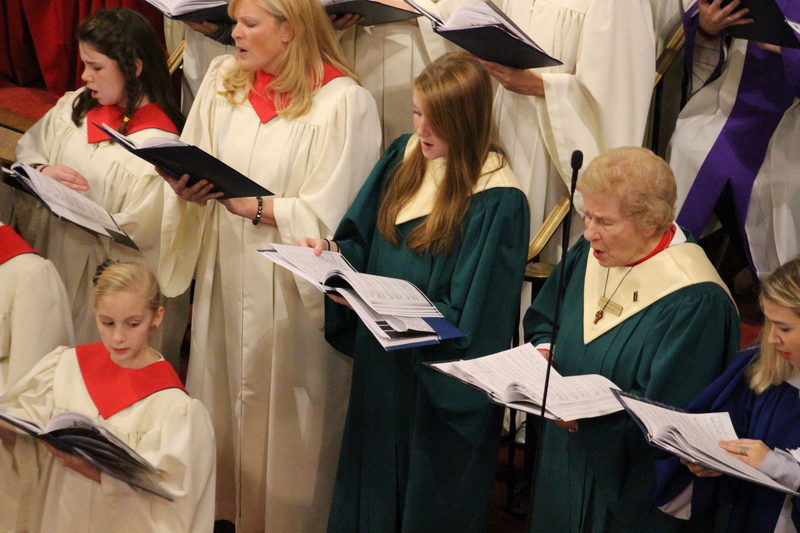 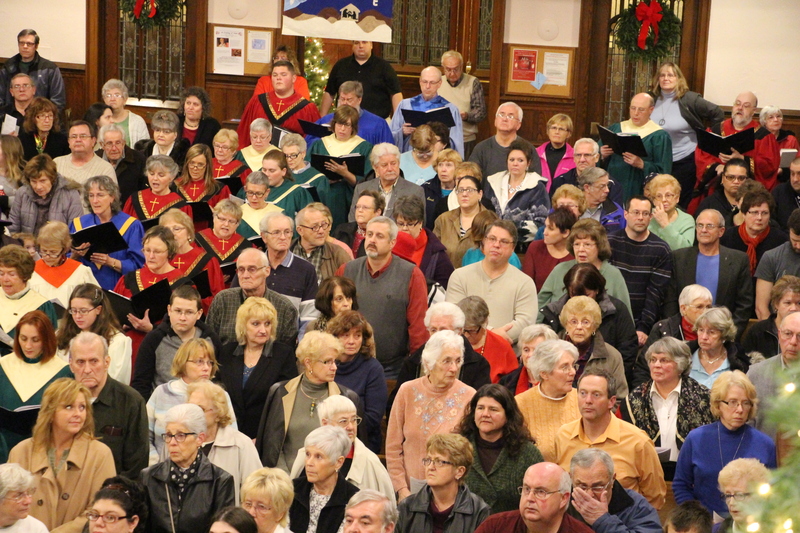 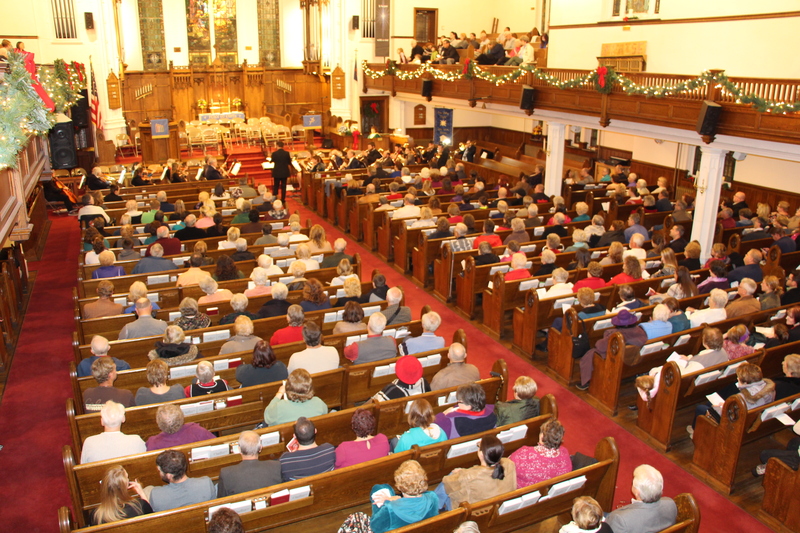 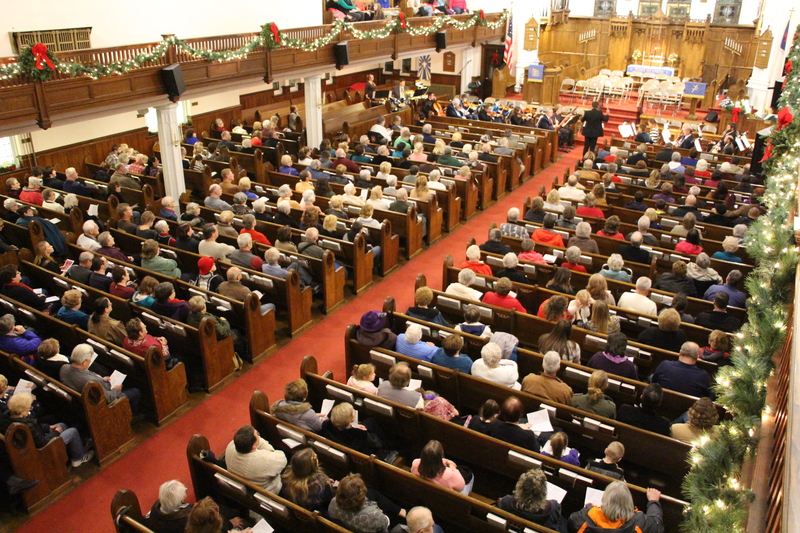 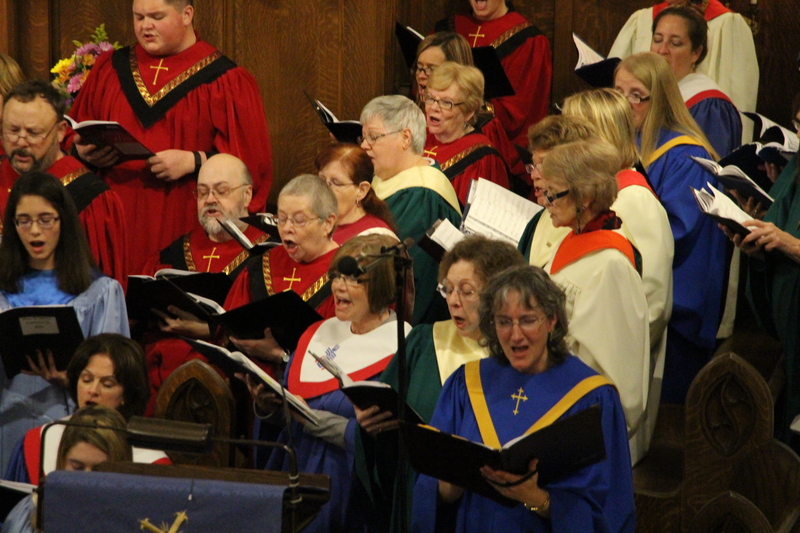 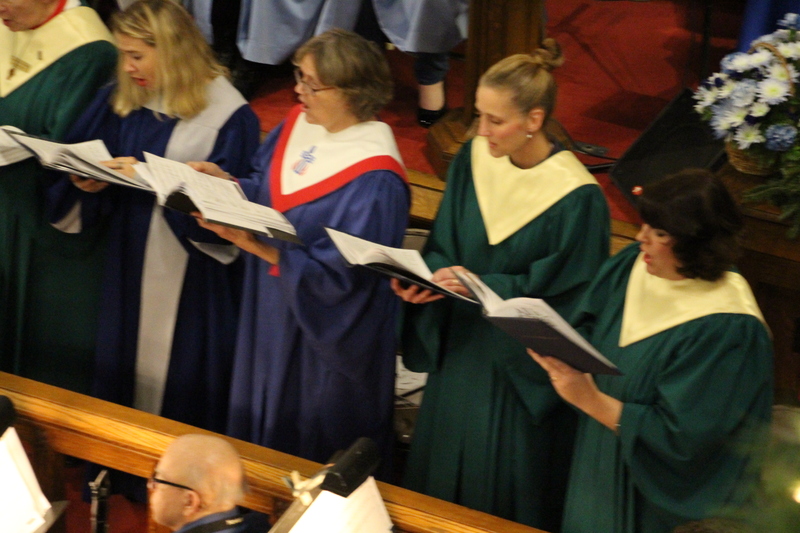 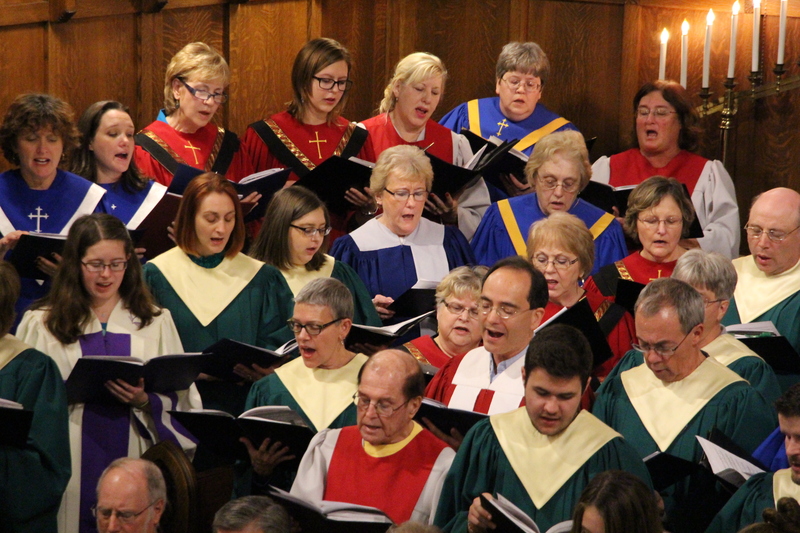 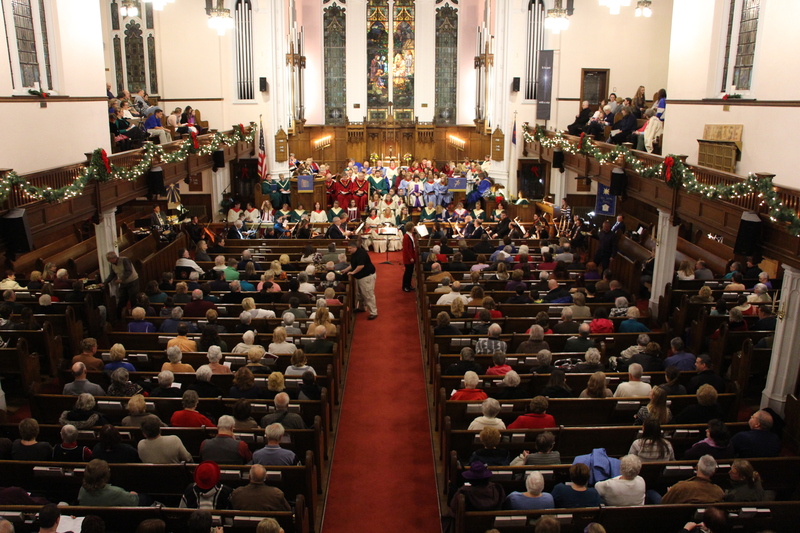 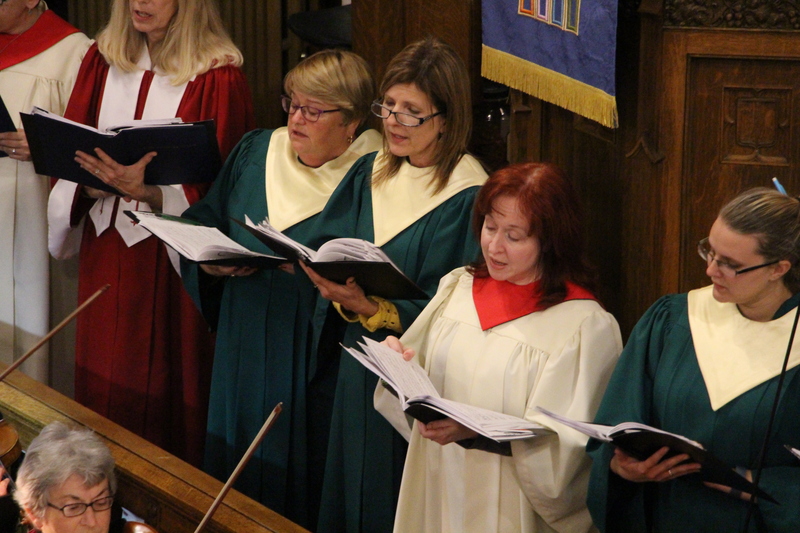 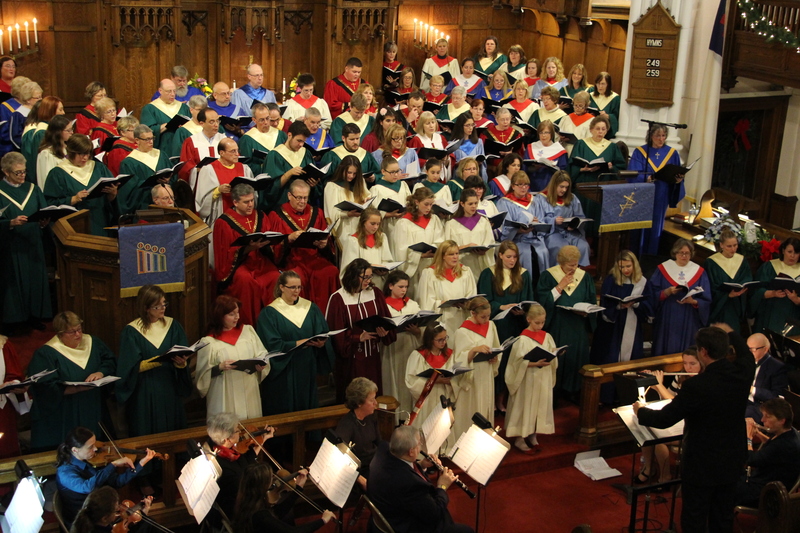 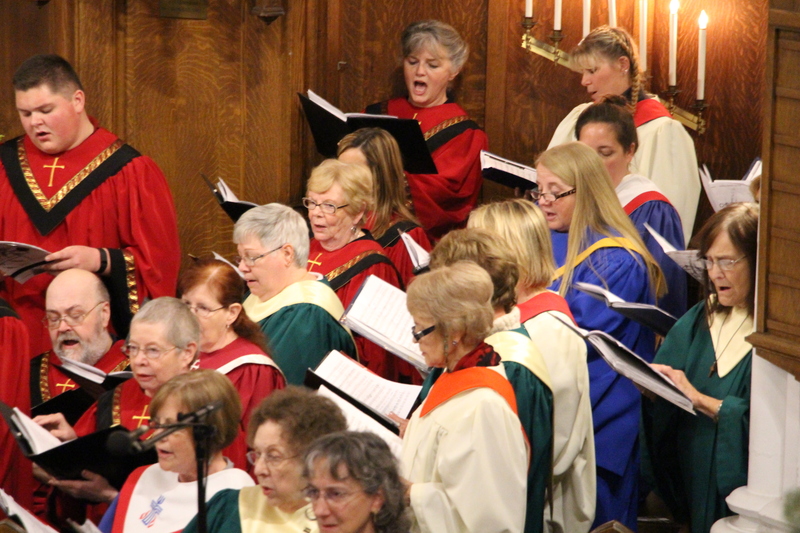 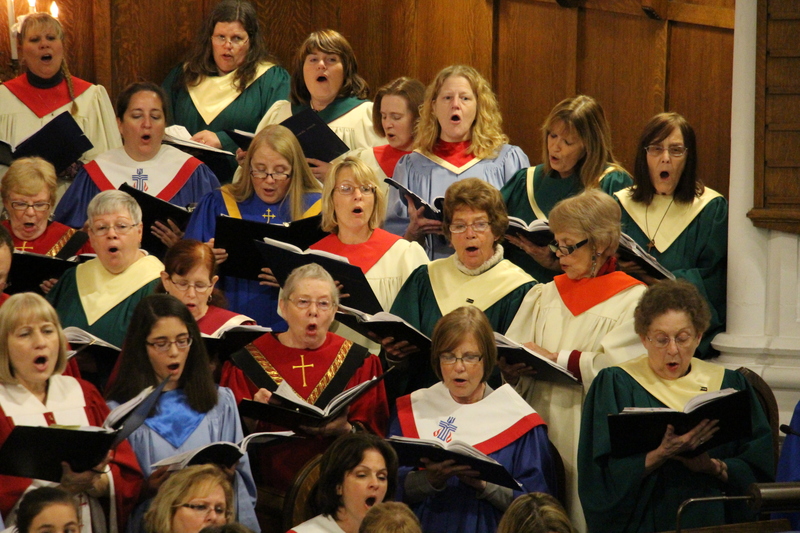 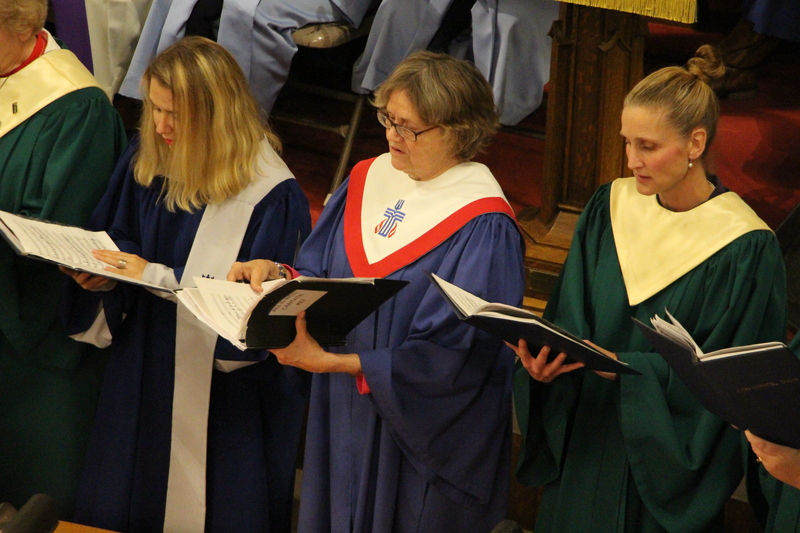 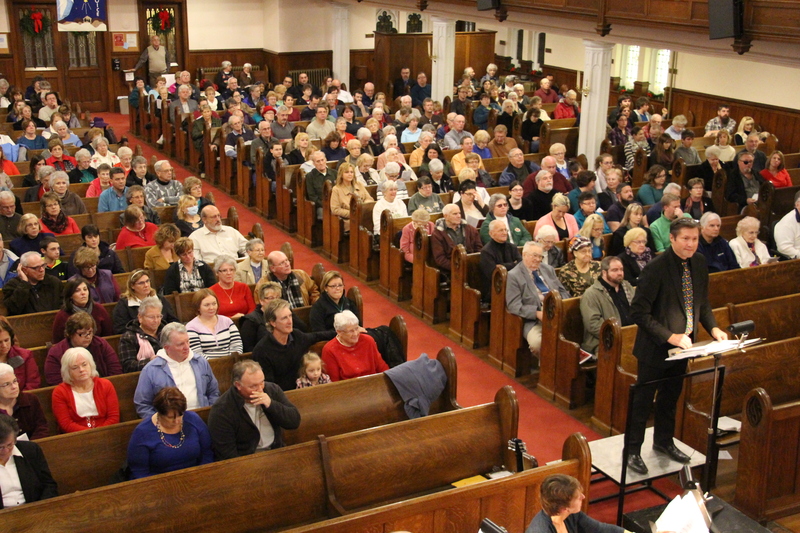 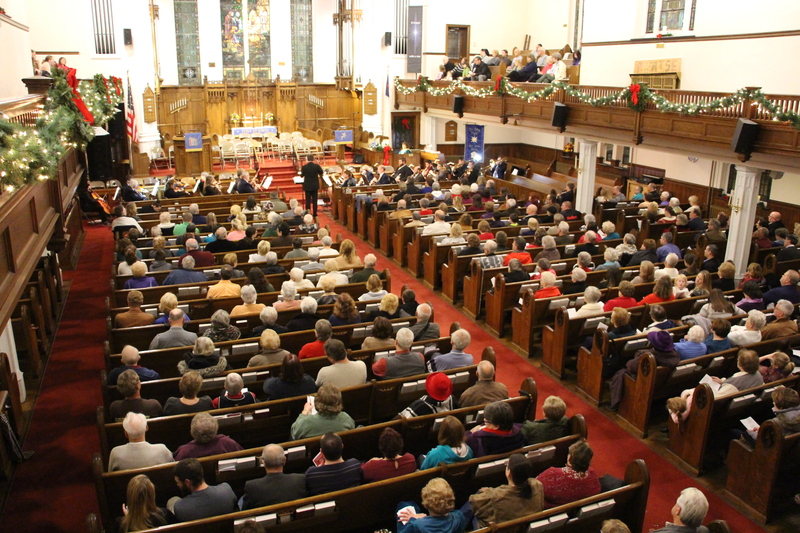 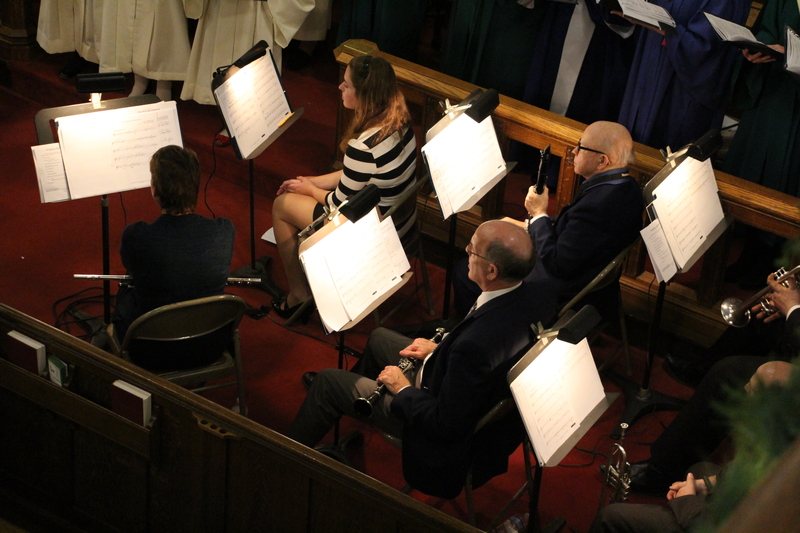 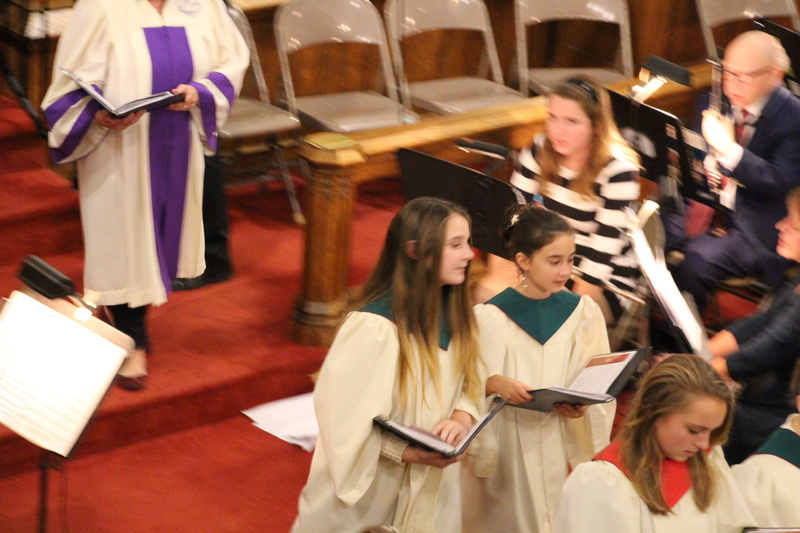 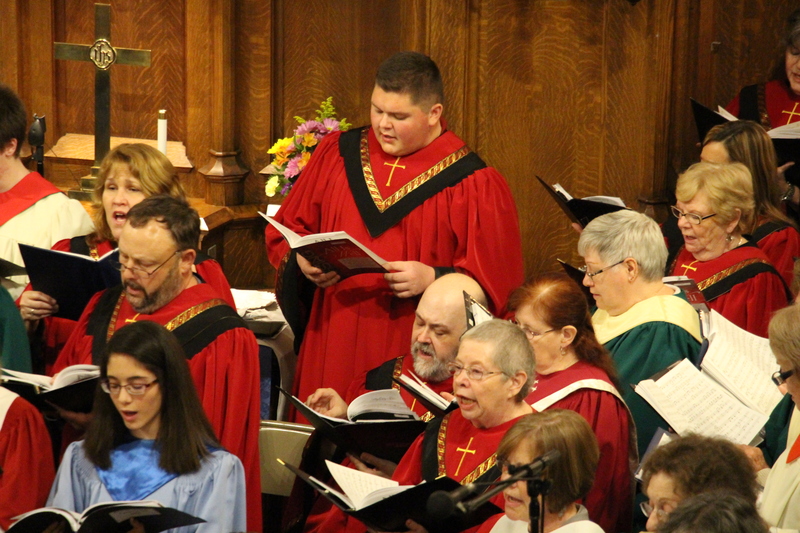 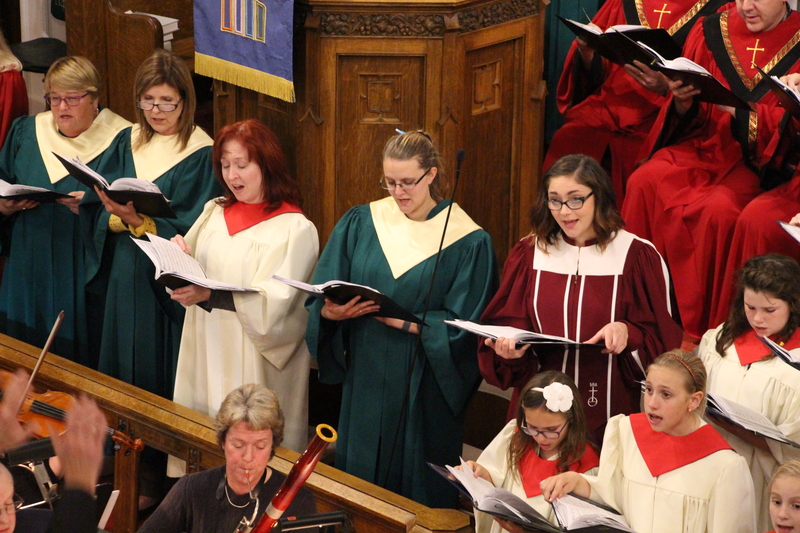 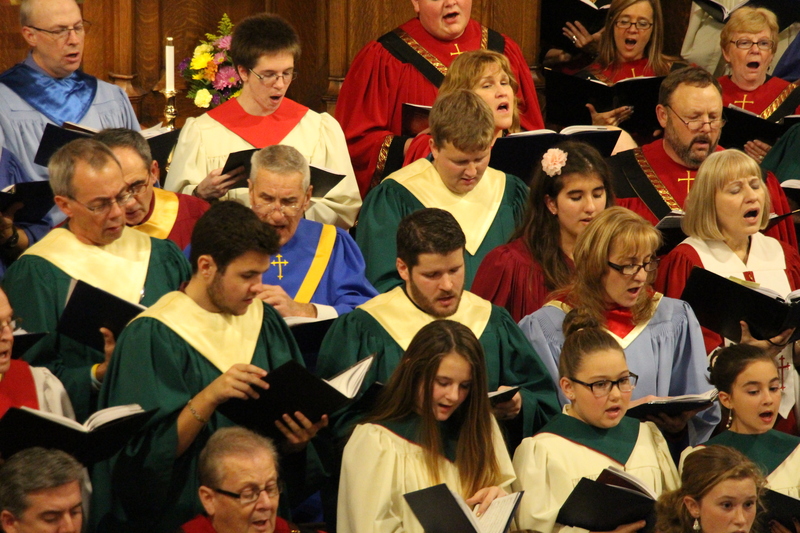 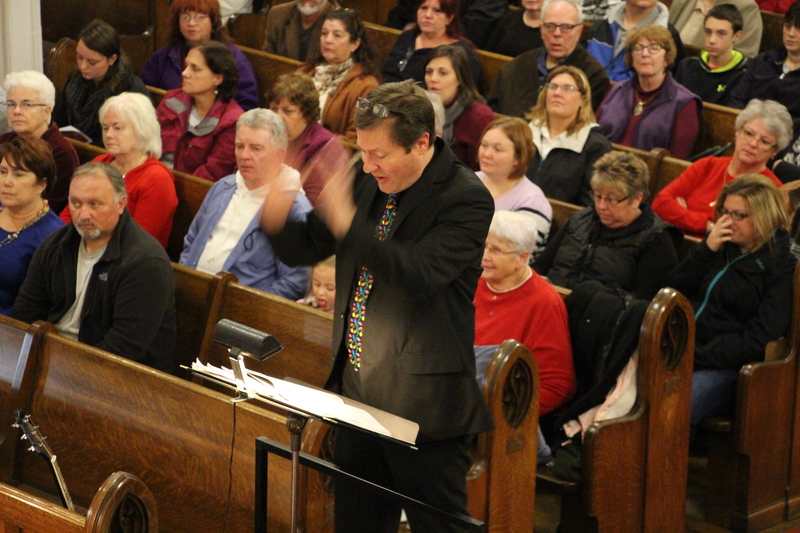 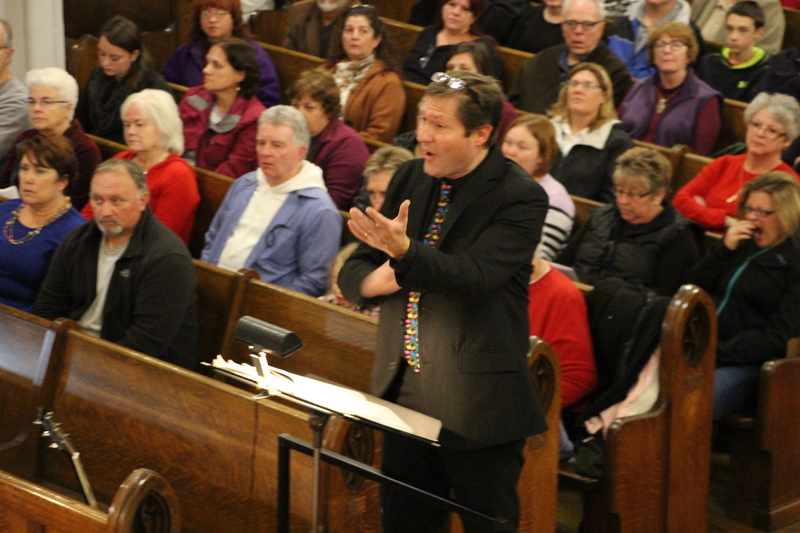 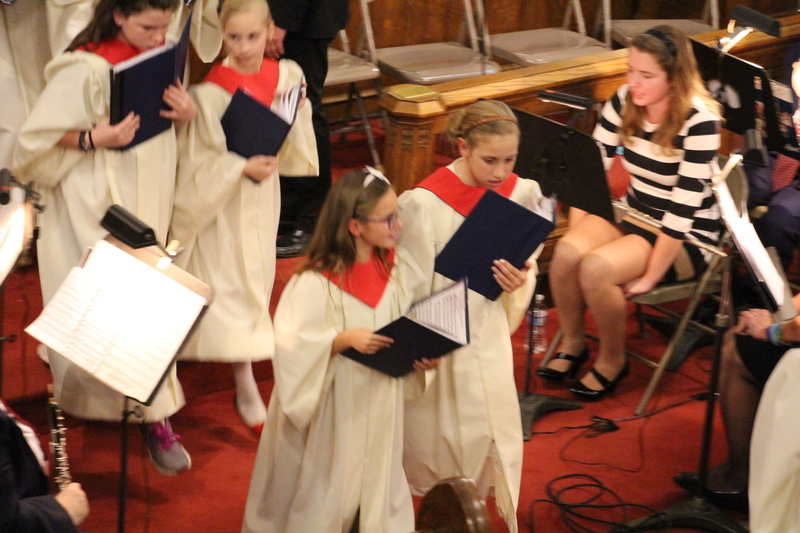 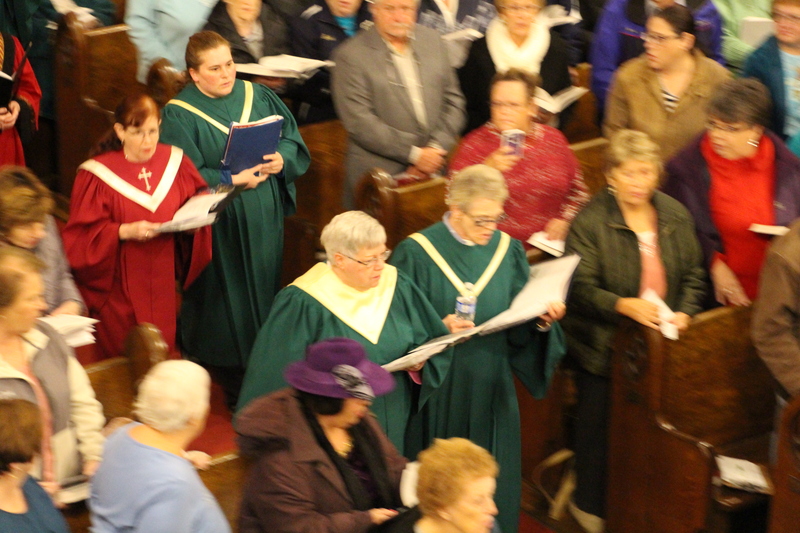 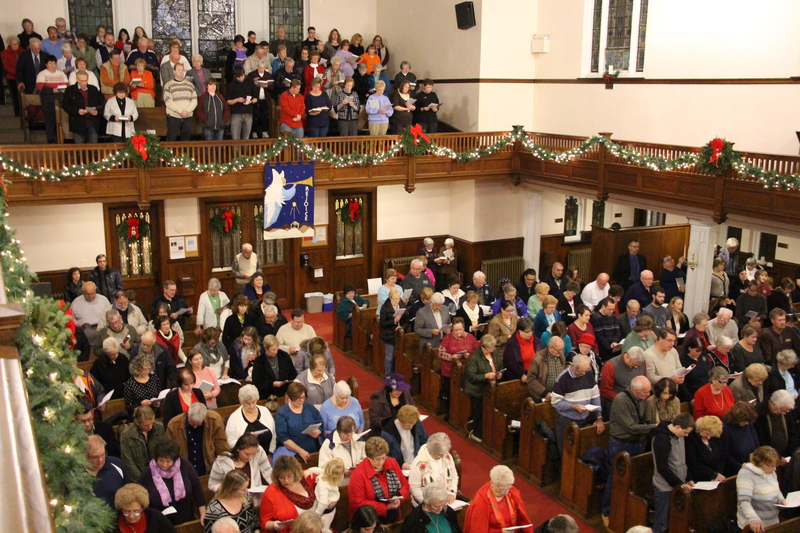 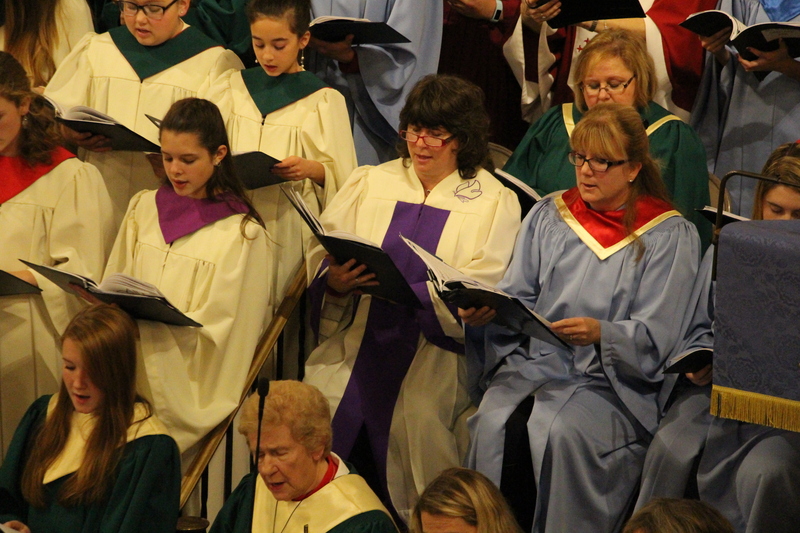 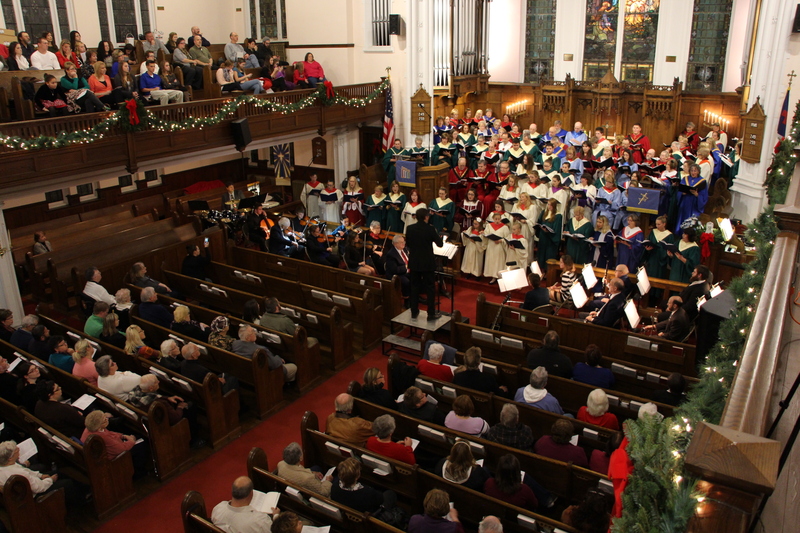 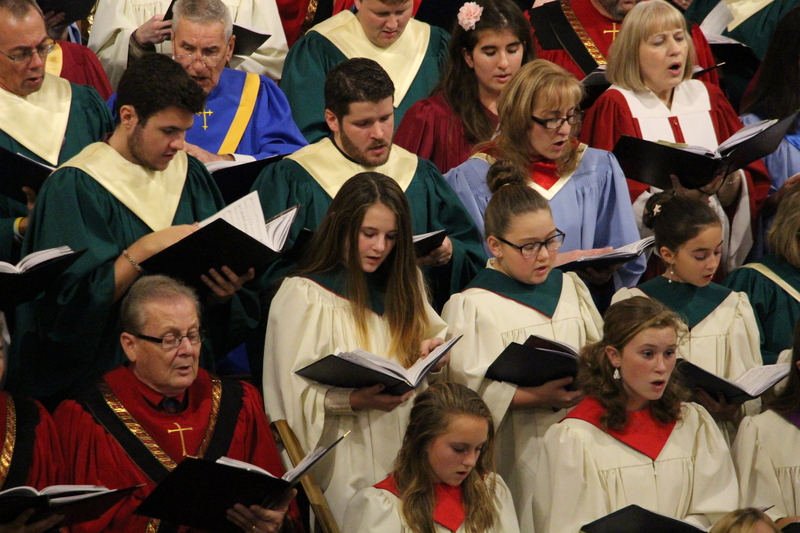 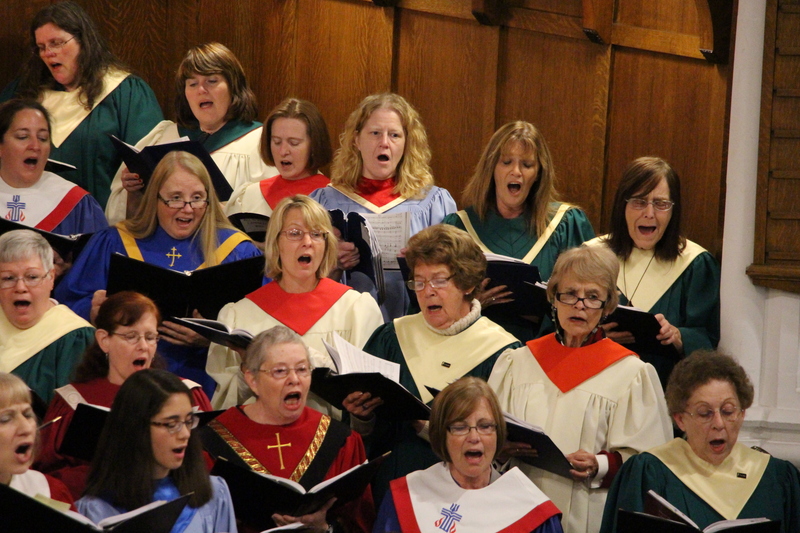 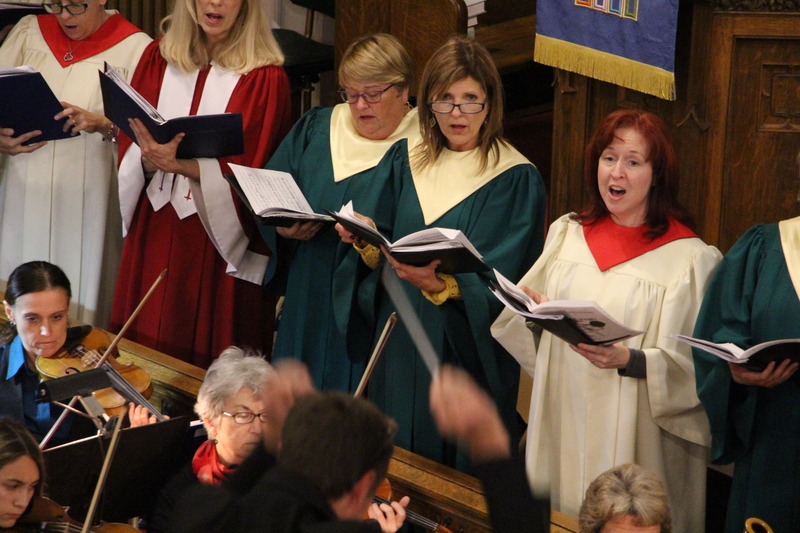 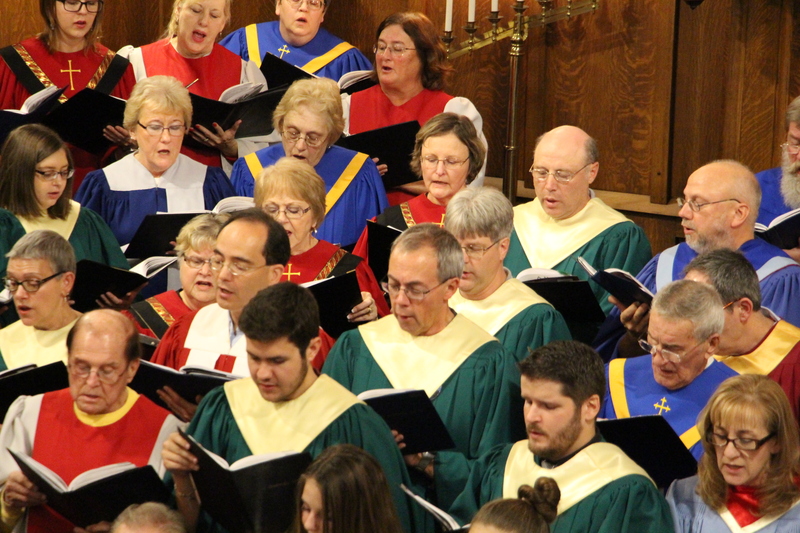 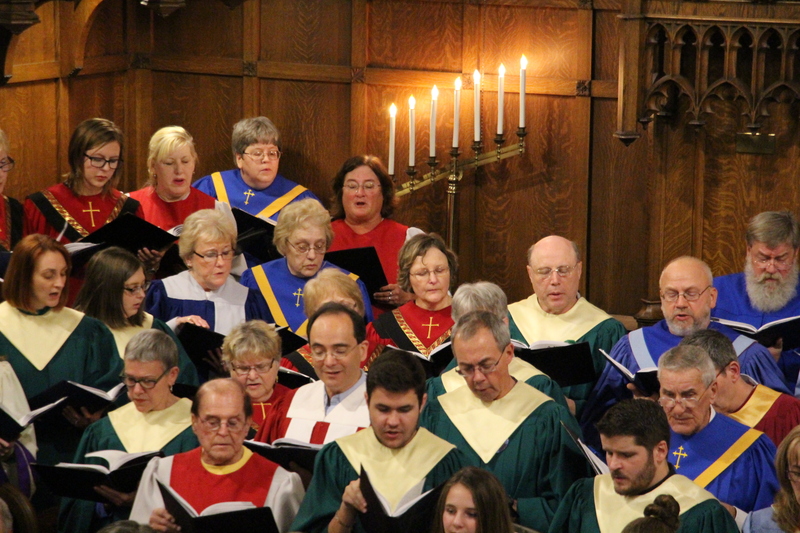 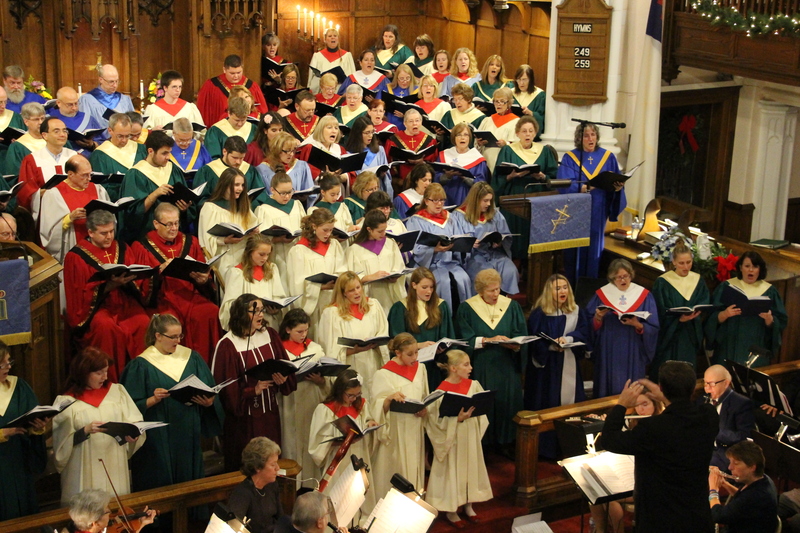 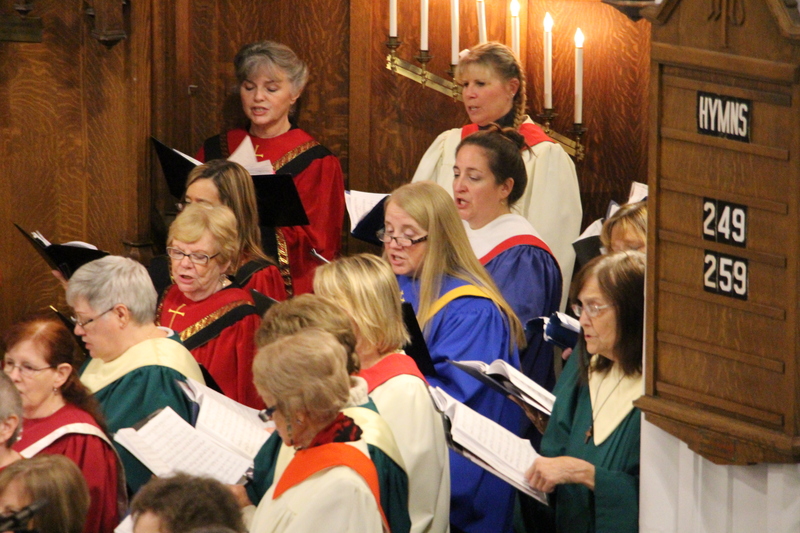 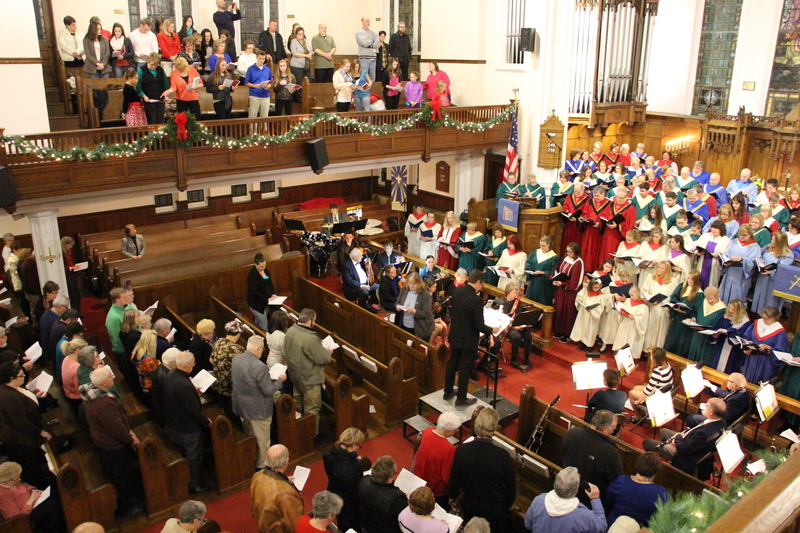 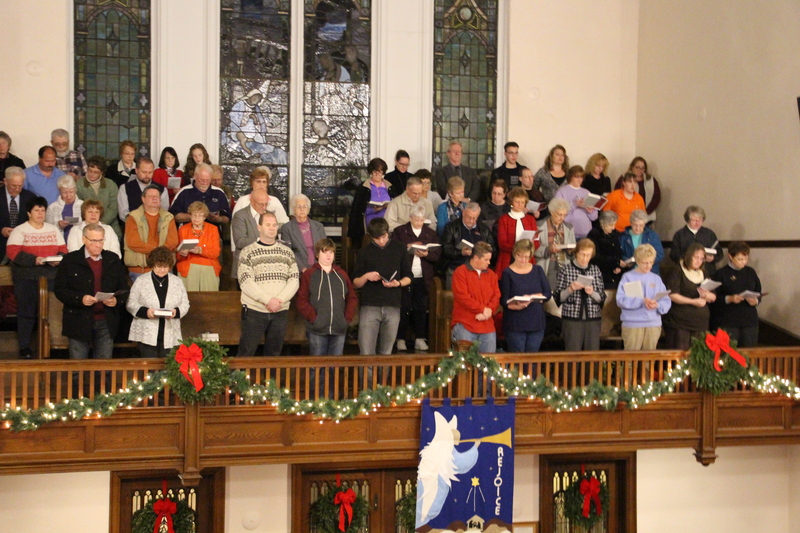 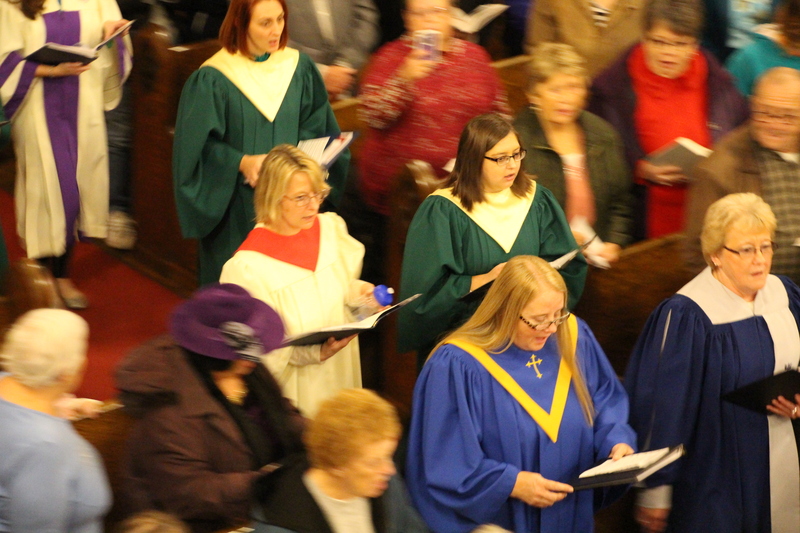 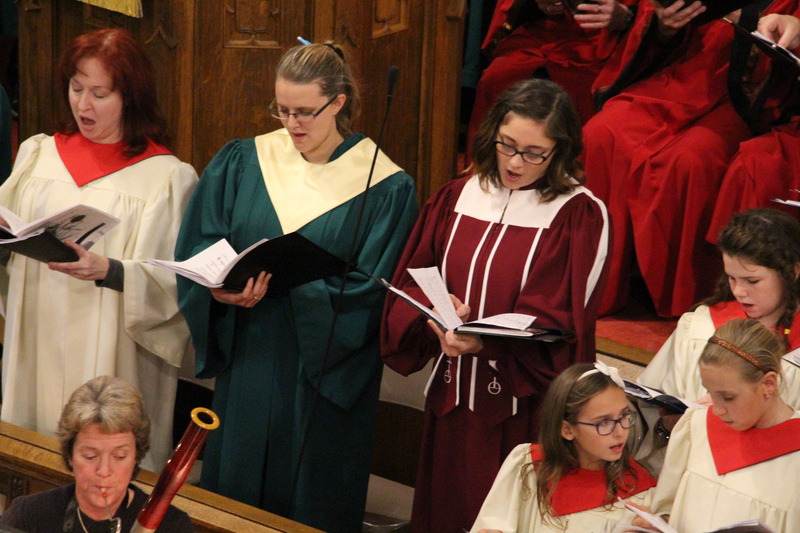 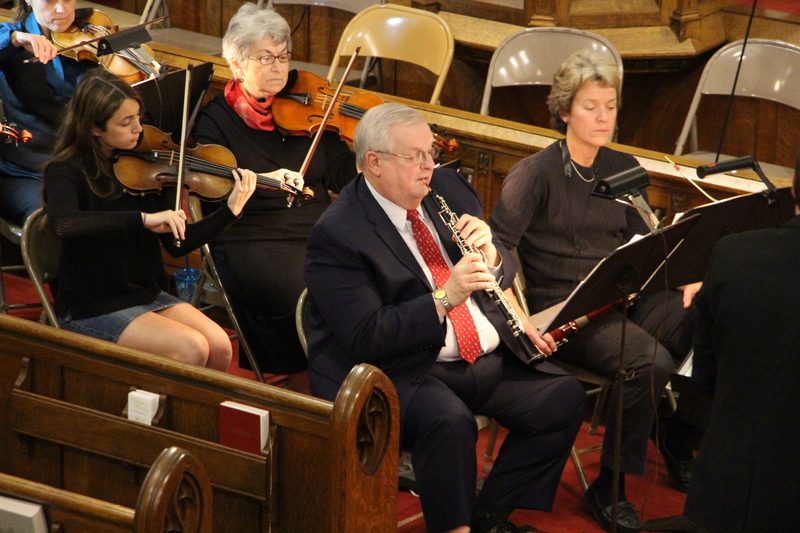 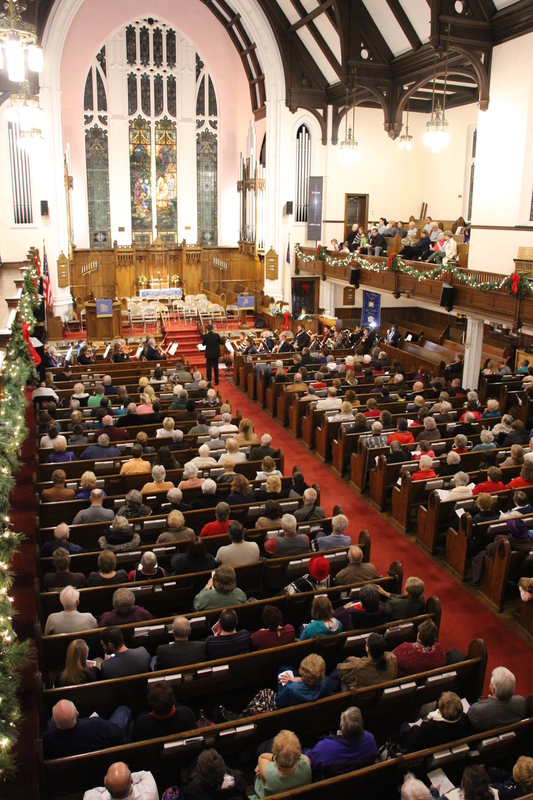 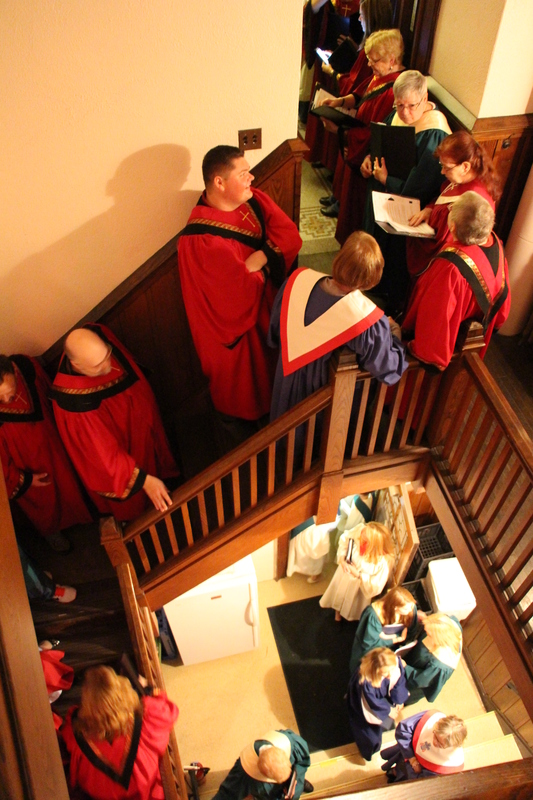 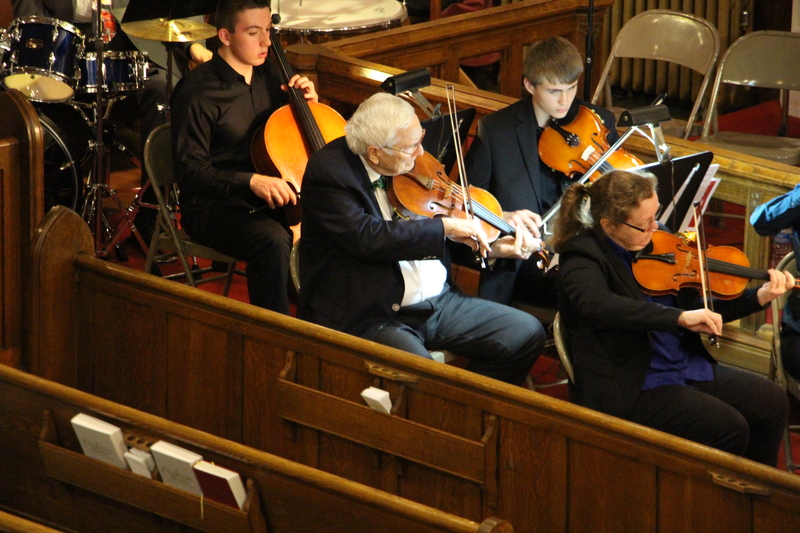 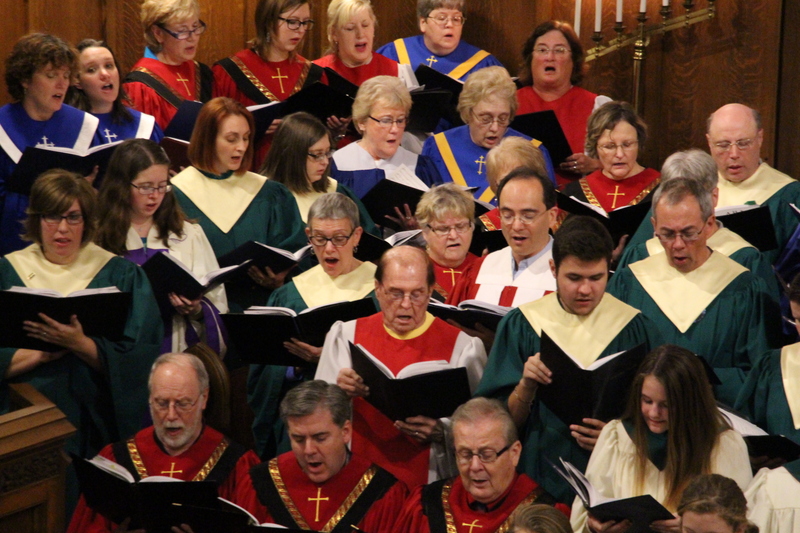 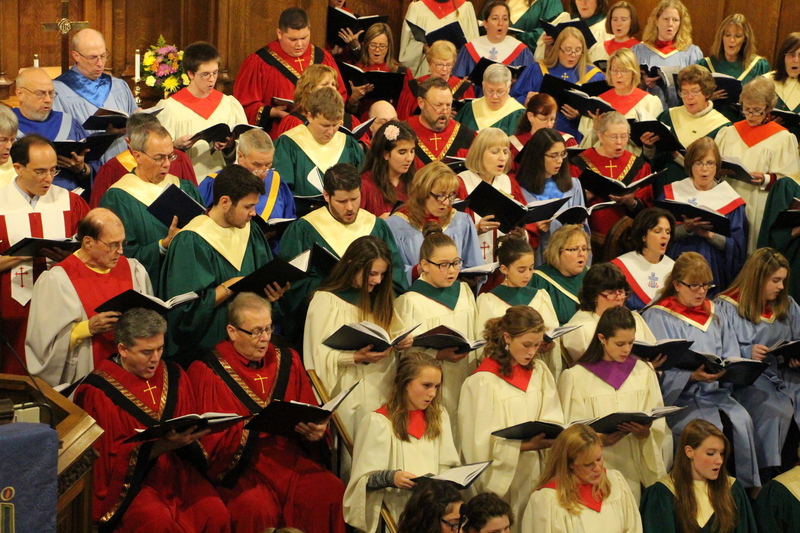 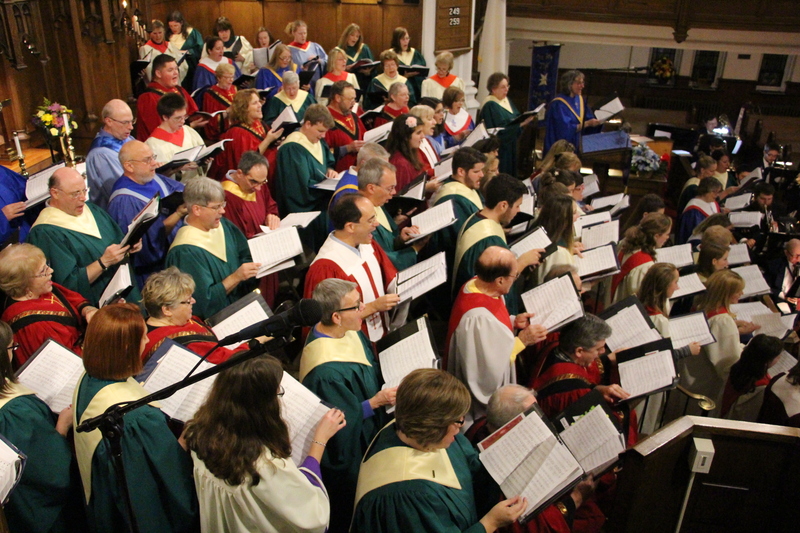 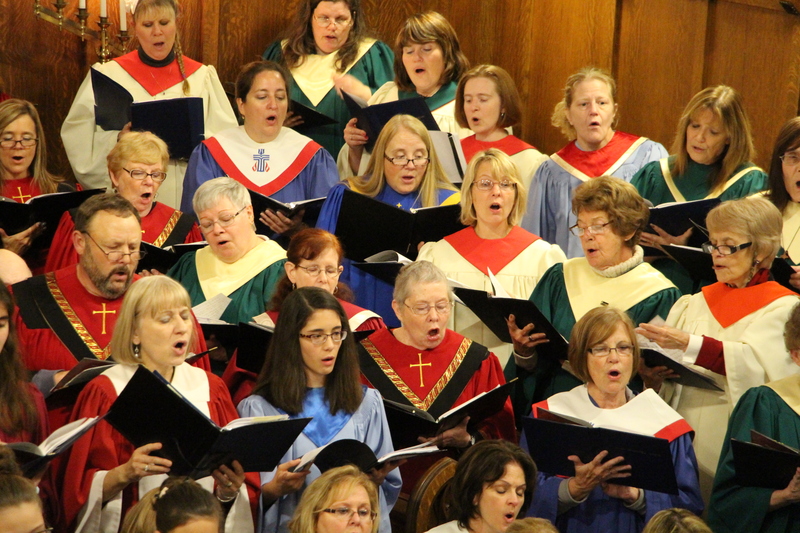 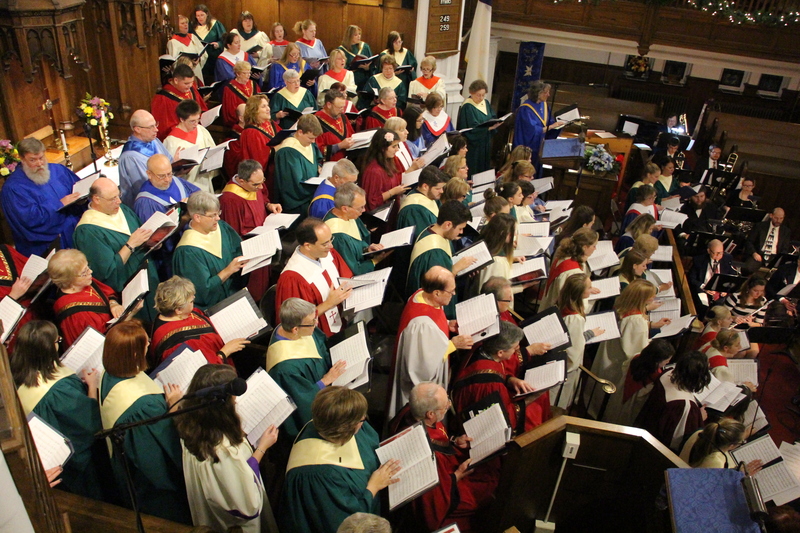 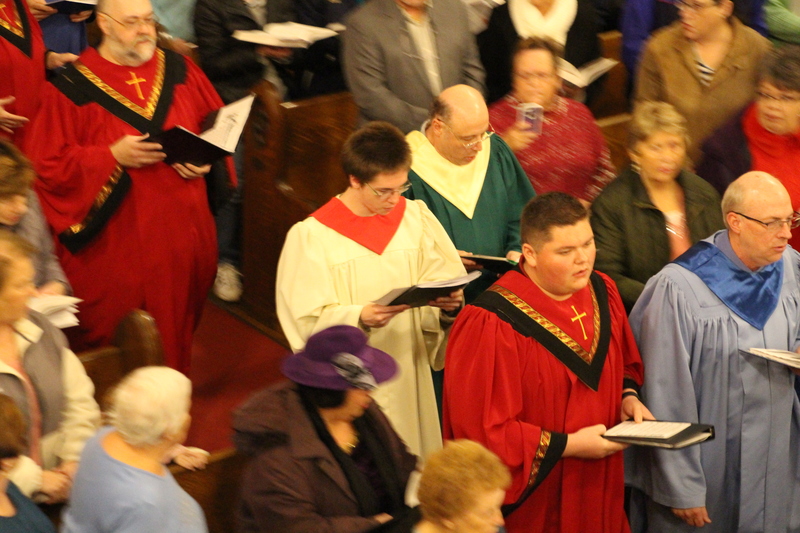 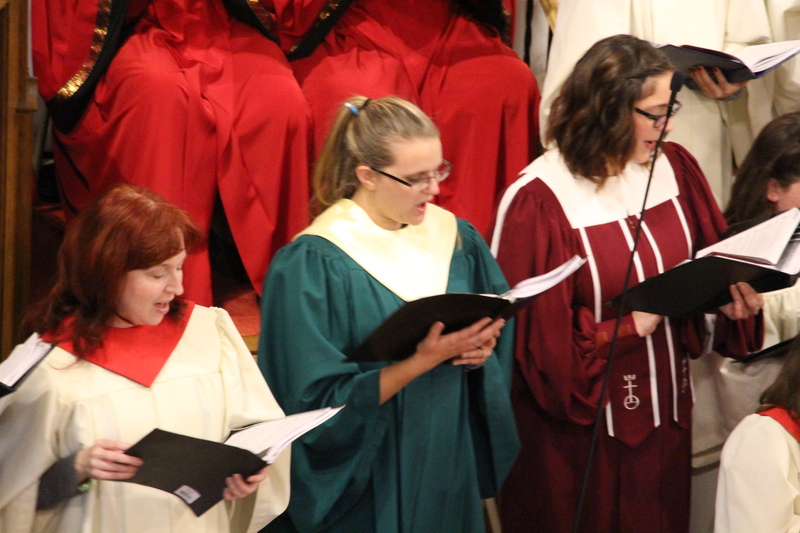 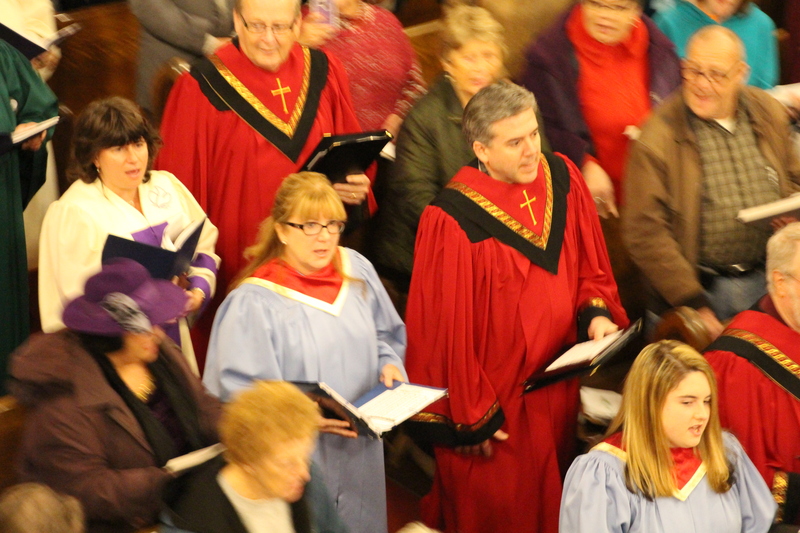 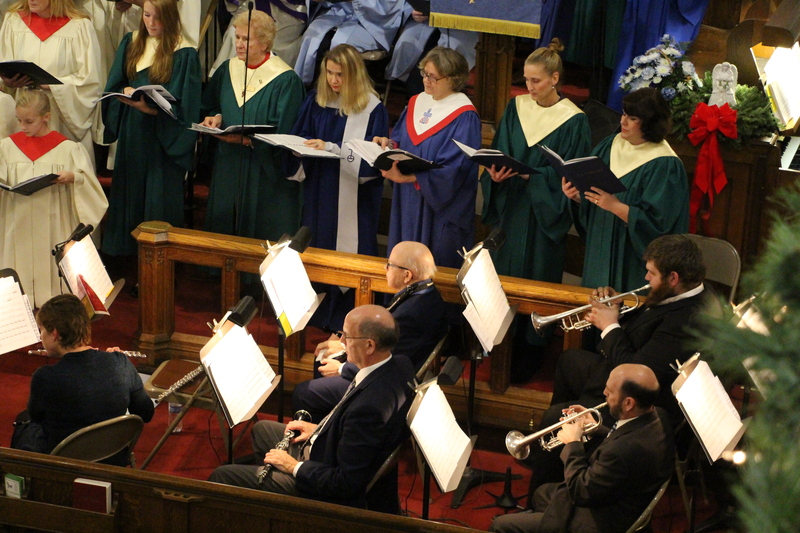 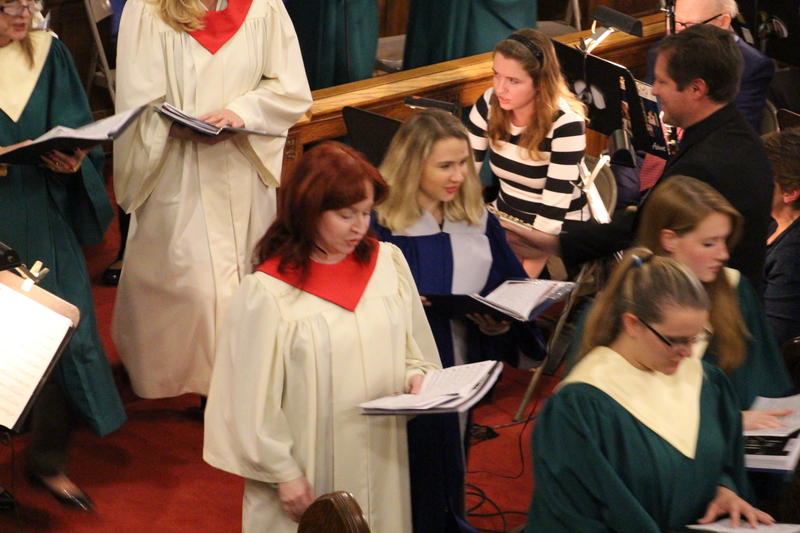 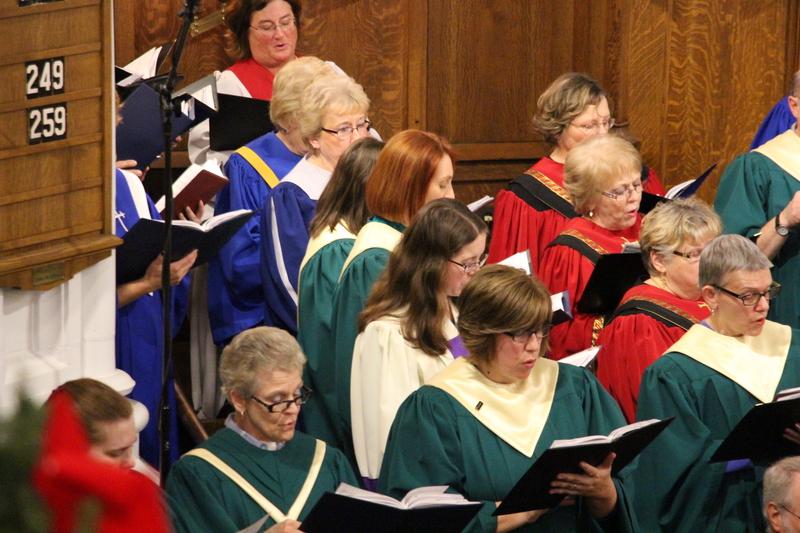 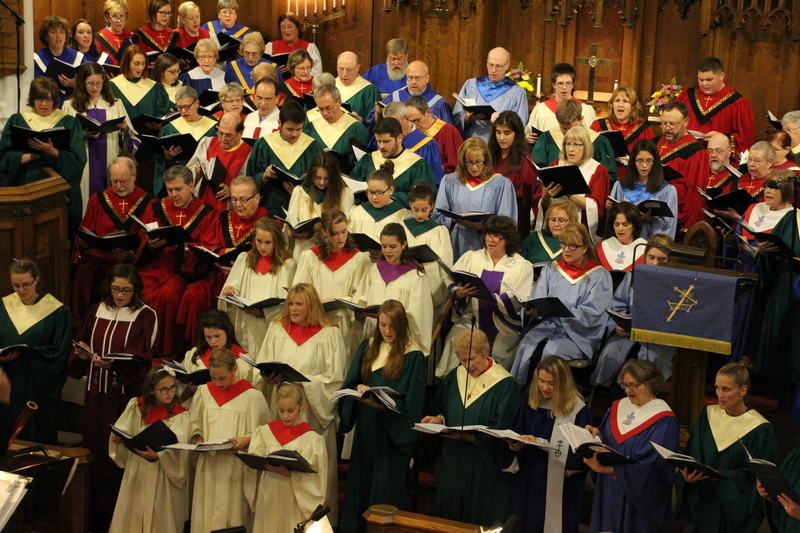 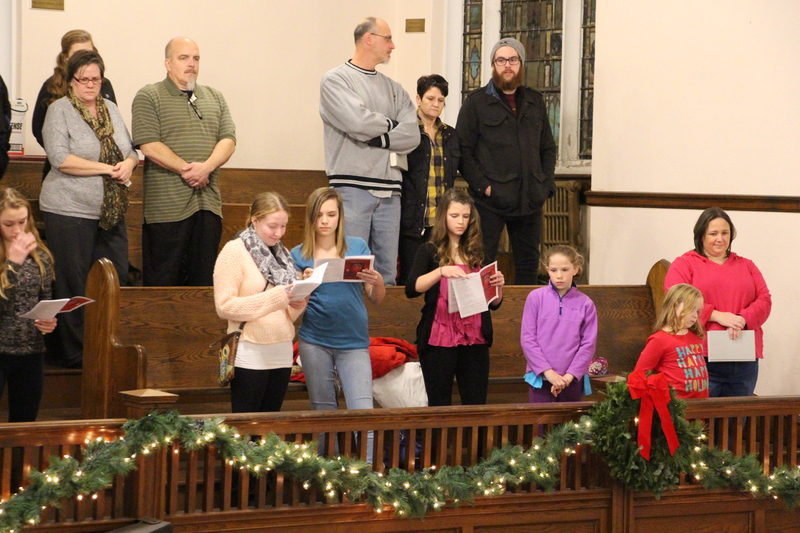 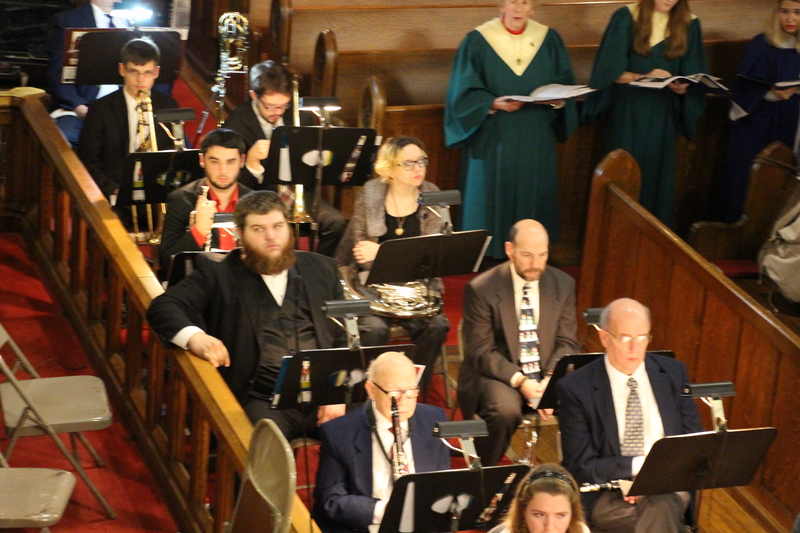 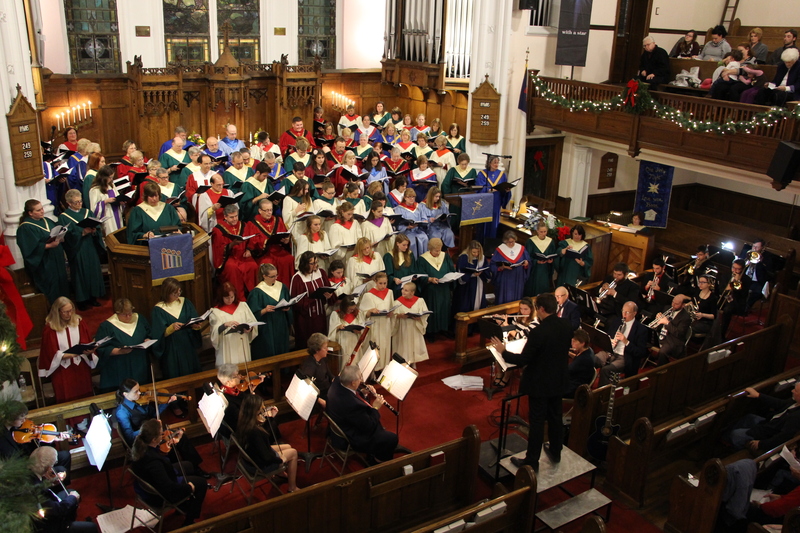 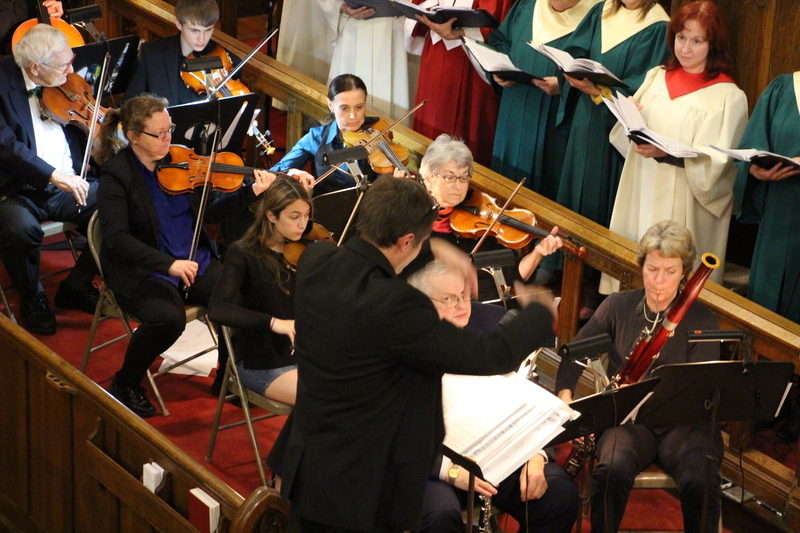 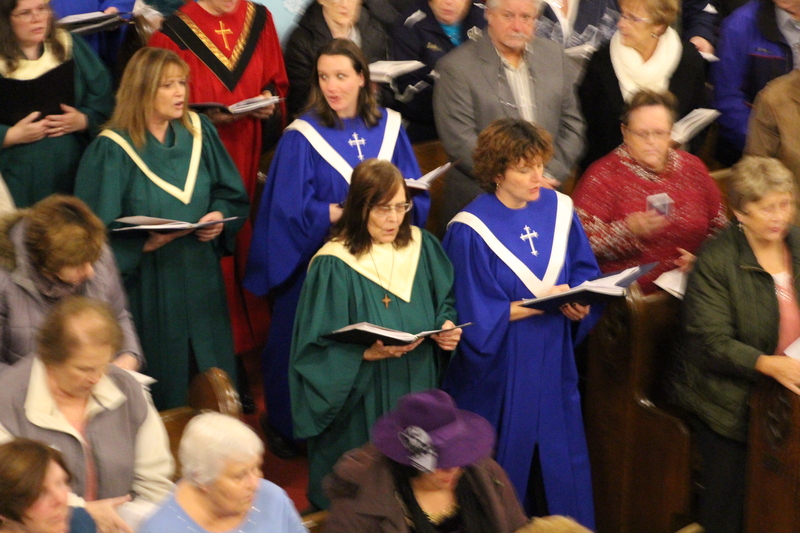 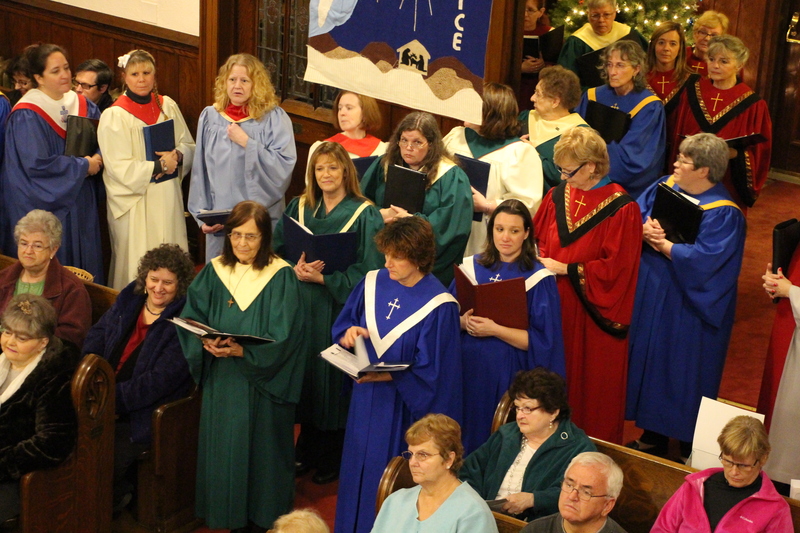 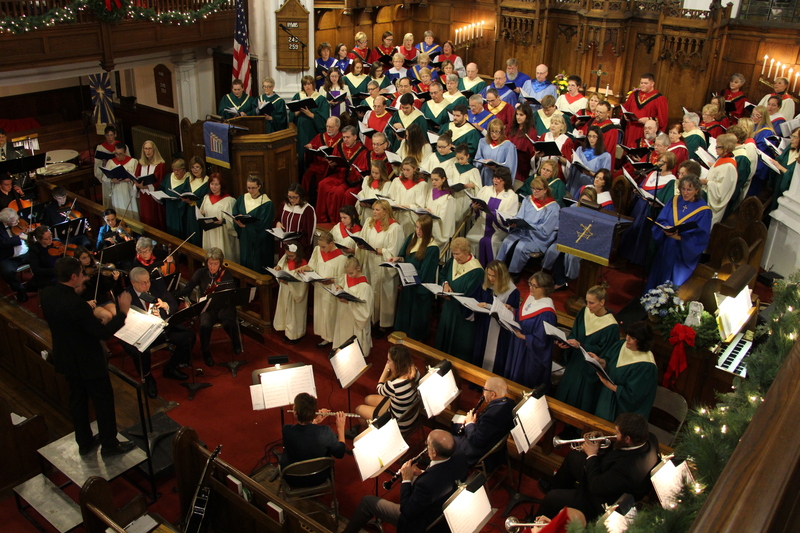 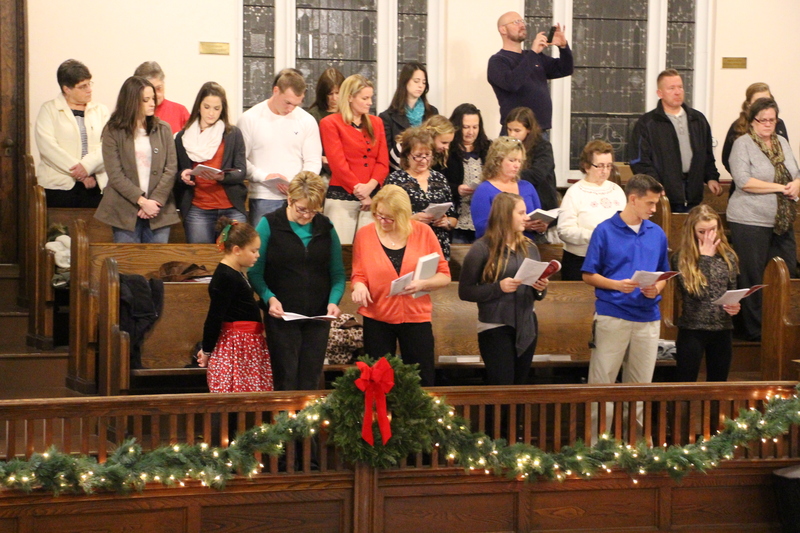 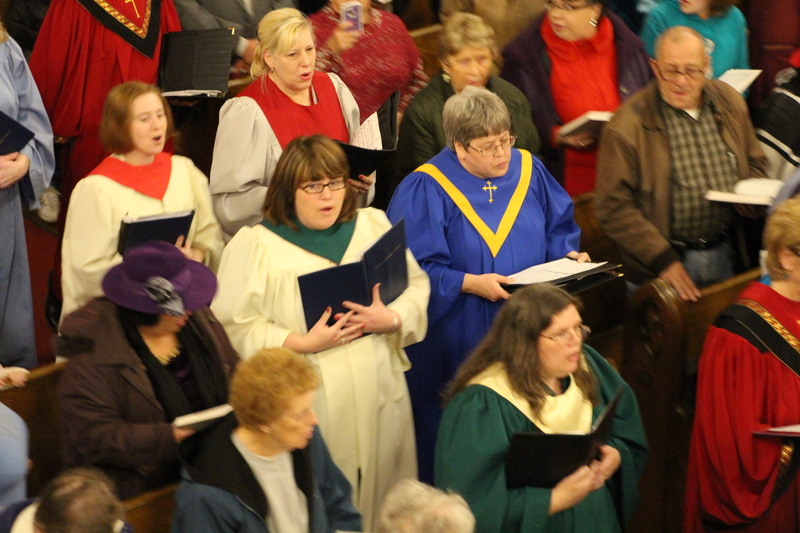 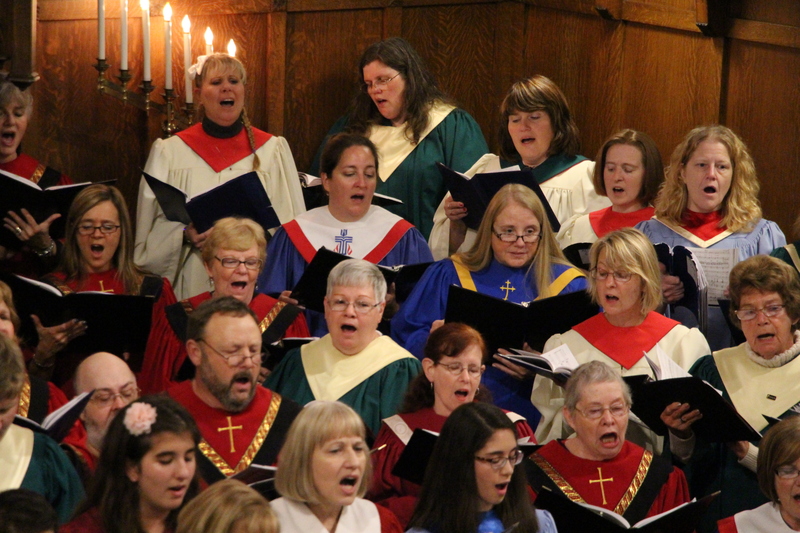 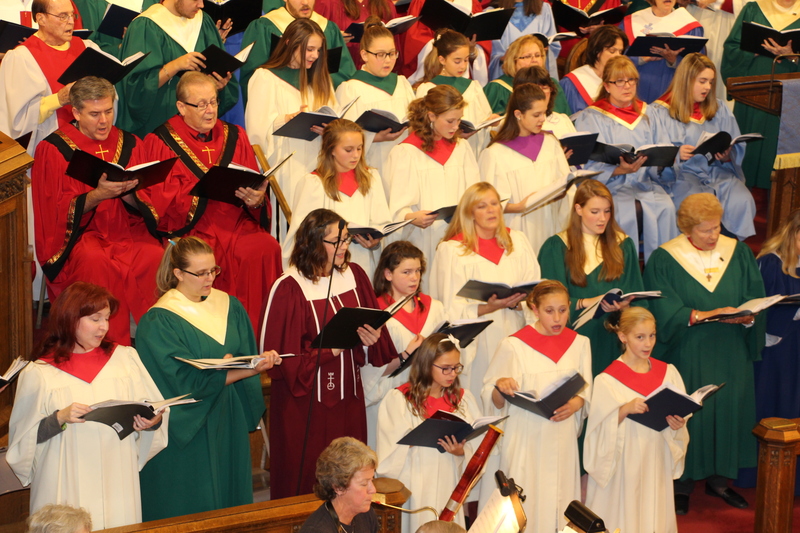 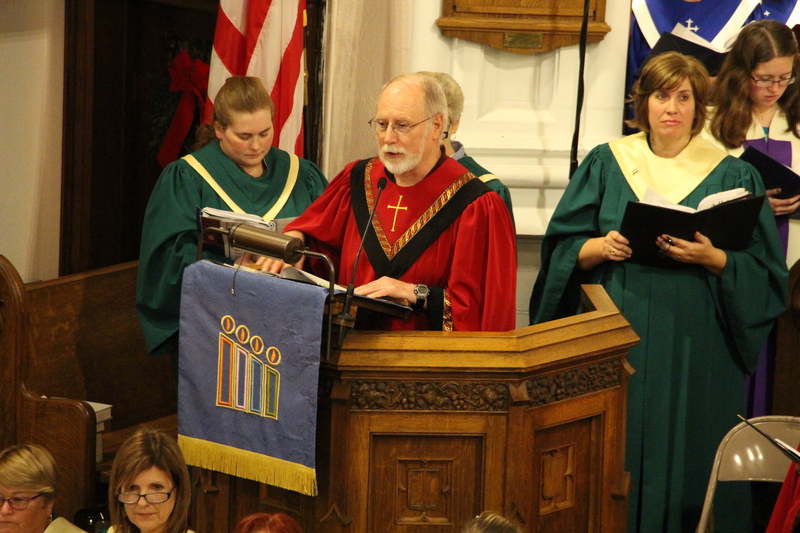 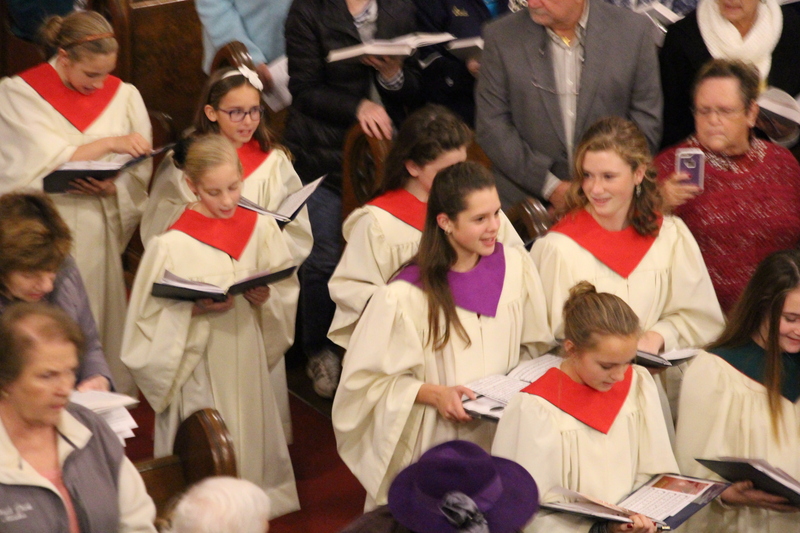 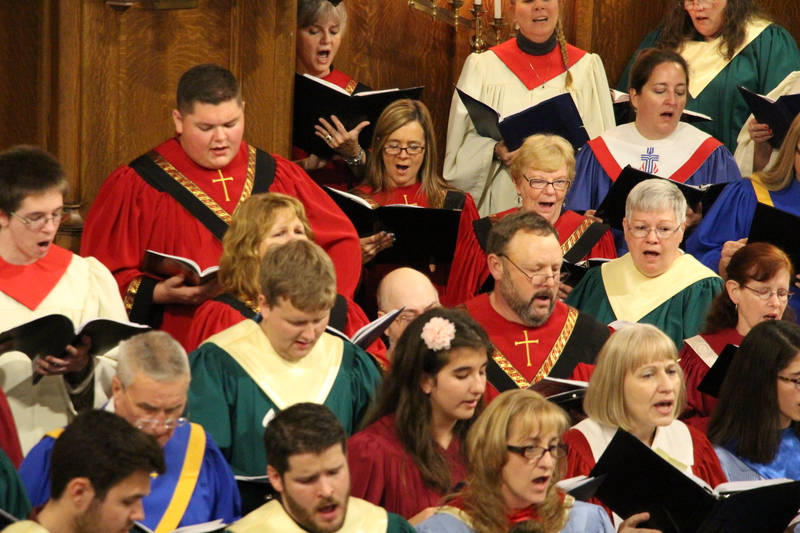 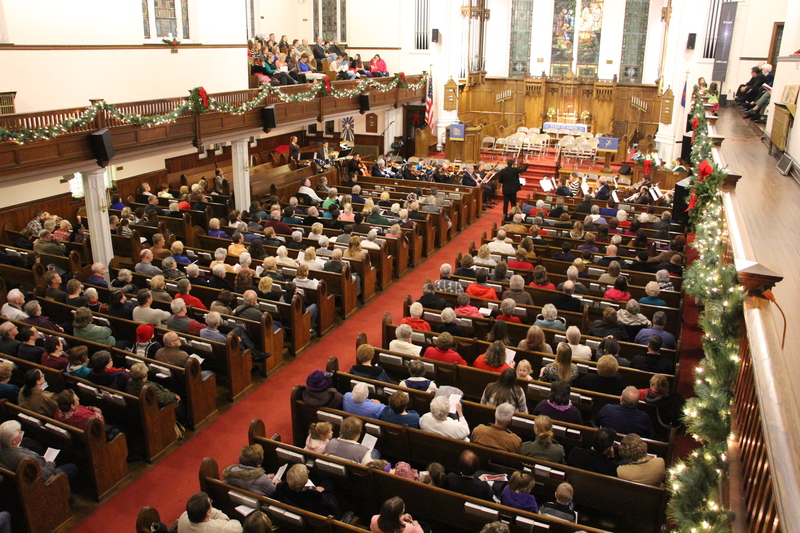 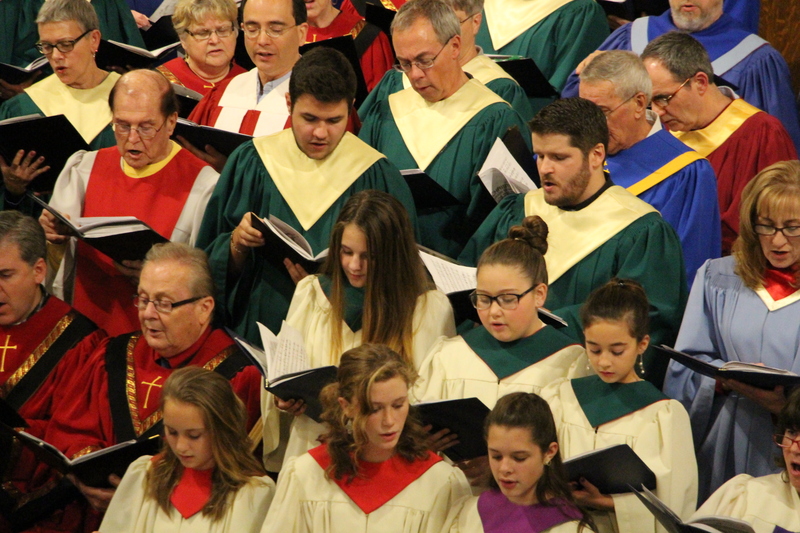 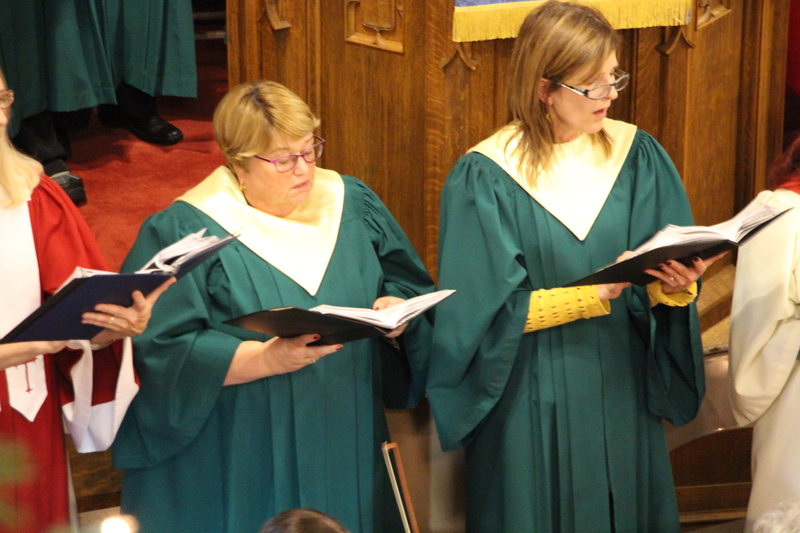 106 parishioners and 22 orchestra members from over 30 churches in Carbon, Schuylkill and surrounding counties participated in this year’s Lehighton Ecumenical Christmas Cantata at the Zion United Church of Christ in Lehighton. 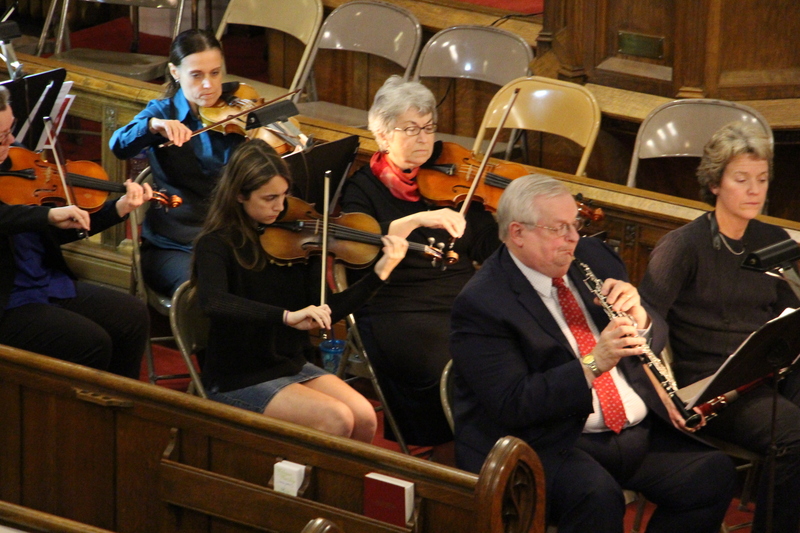 The event was held on Sunday, November 29, 2015. 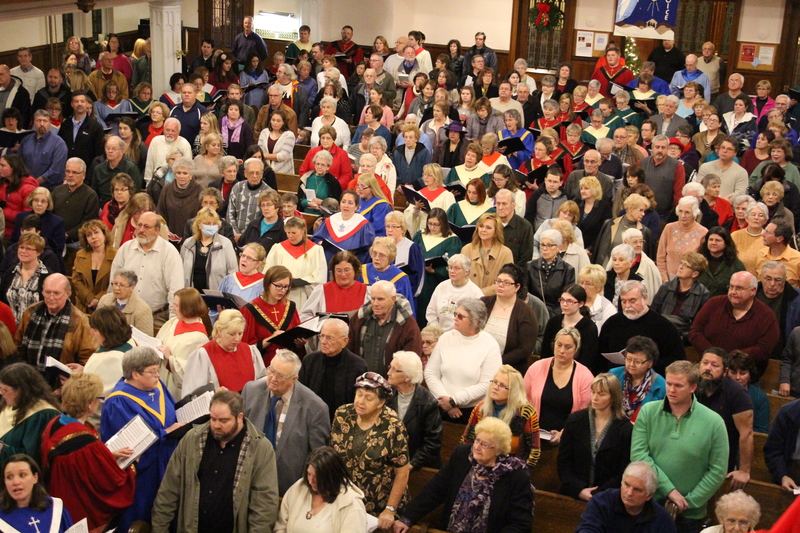 Participating churches were (in alphabetical order) Bethany E.C. 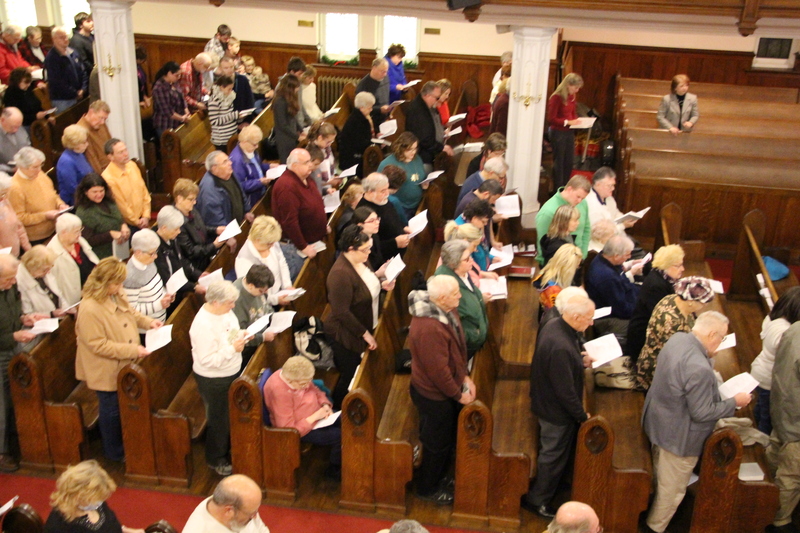 in Tamaqua, Blue Mountain Community Church in Palmerton, Christ Evangelical Free Church in Lehighton, Crossroads Community Church in Lehighton, Dinkey Memorial Church in Lehighton, Emmanuel U.C.C. 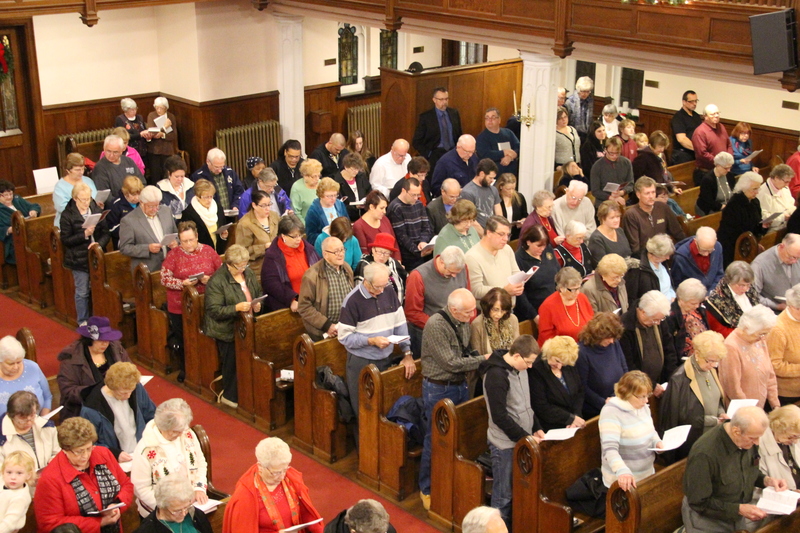 in Bowmanstown, Faith Alive U.M.C. 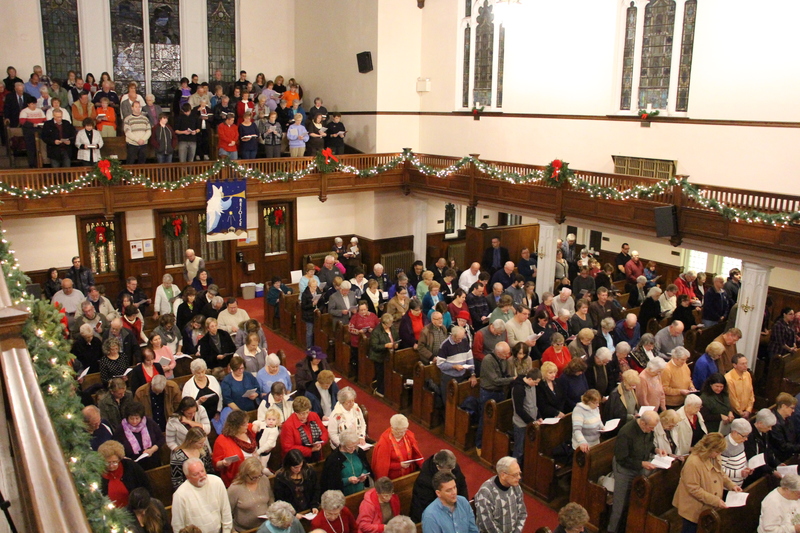 in Bowmanstown, First Presbyterian Church in Lehighton, Grove United Methodist Church in West Chester, Hope of Christ Presbyterian Church in Summit Hill, Immaculate Conception in Jim Thorpe, Lighthouse Baptist Church in Lehighton, Metropolitan Community Church of the Lehigh Valley, New Apostolic Church in Allentown, St. John Neumann School in Palmerton, St. John’s in Nesquehoning, St. John’s East in Jim Thorpe, St. John’s Lutheran Church in Mahoning Valley, St. John’s Lutheran Church in Towamensing, St. John’s Russian Orthodox Church in Nesquehoning, St. Joseph’s Catholic Church in Jim Thorpe, St. Joseph’s Church in Summit Hill, St. Joseph’s Regional Academy in Jim Thorpe, St. Katherine Drexel in Lansford, St. Mark’s in Jim Thorpe, St. Matthew’s Lutheran Church in Weissport, Sacred Heart Catholic Church in Palmerton, Ss. 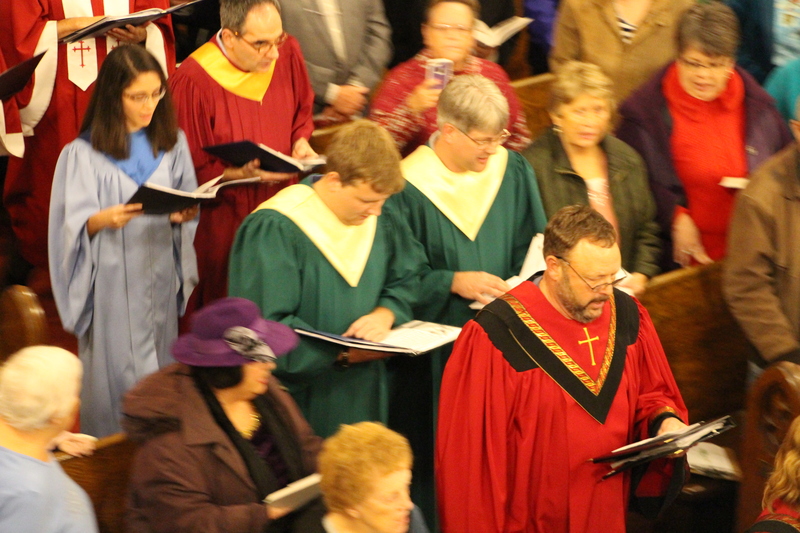 Peter and Paul Catholic Church in Lehighton, Trinity Lutheran Church in Lehighton, Zion Opera Workshop in Lehighton and Zion U.C.C. 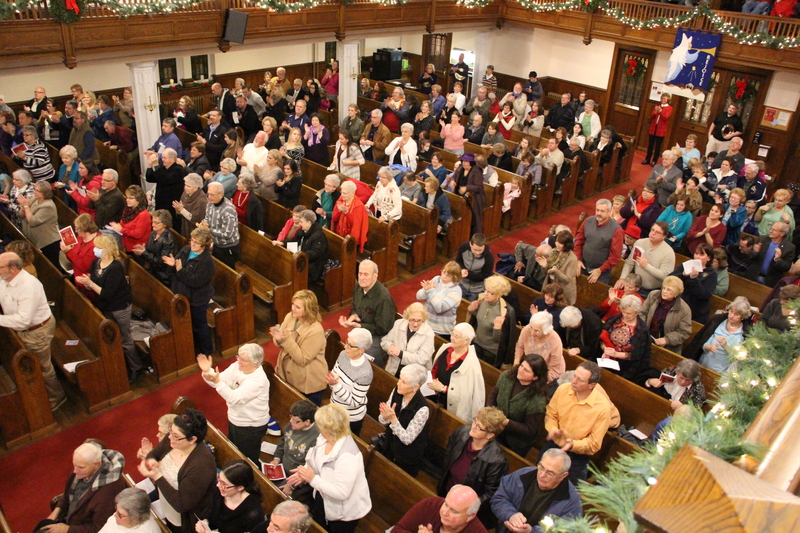 in Lehighton. 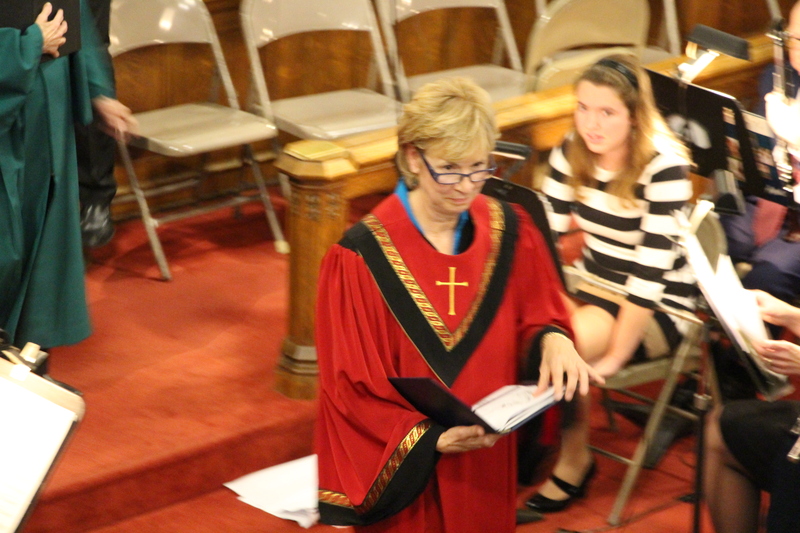 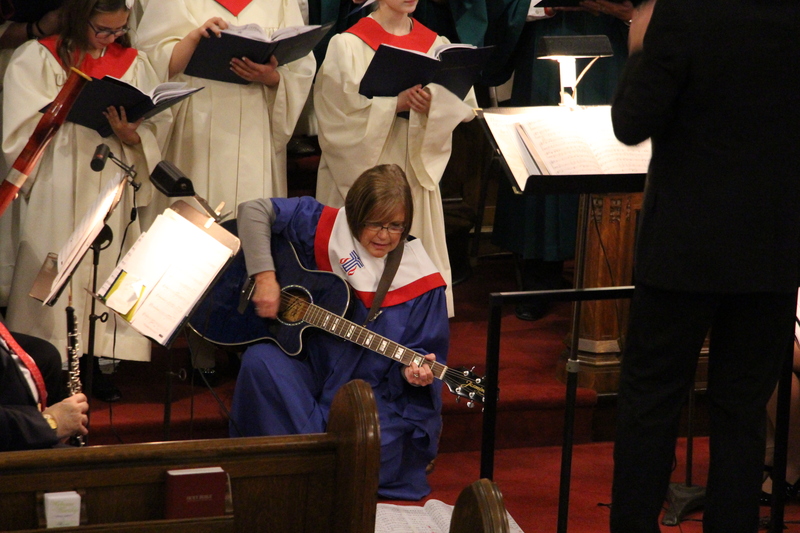 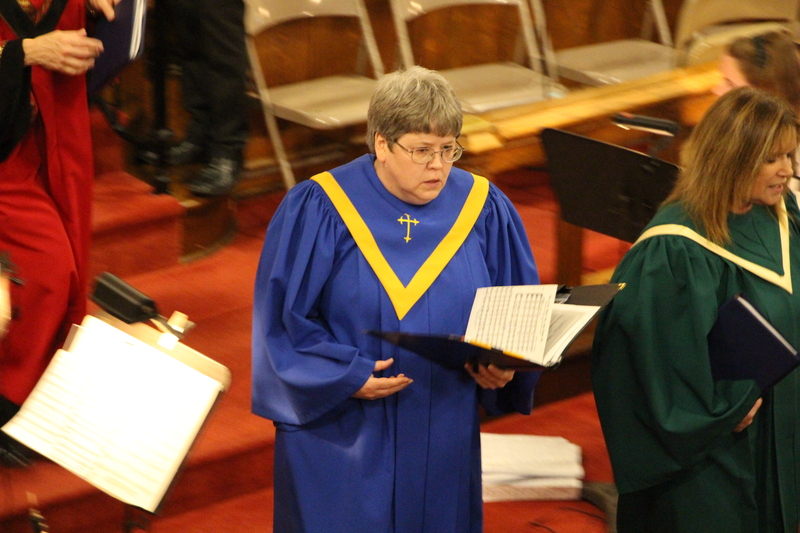 Reverend Dr. Jennifer Bannerman lead the program and offered prayer and scripture readings. 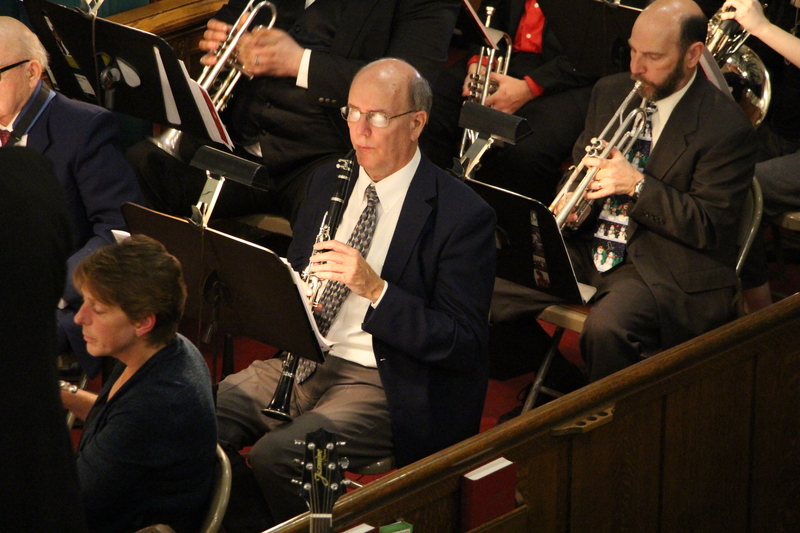 Conductor was Bradly R. Cressley. 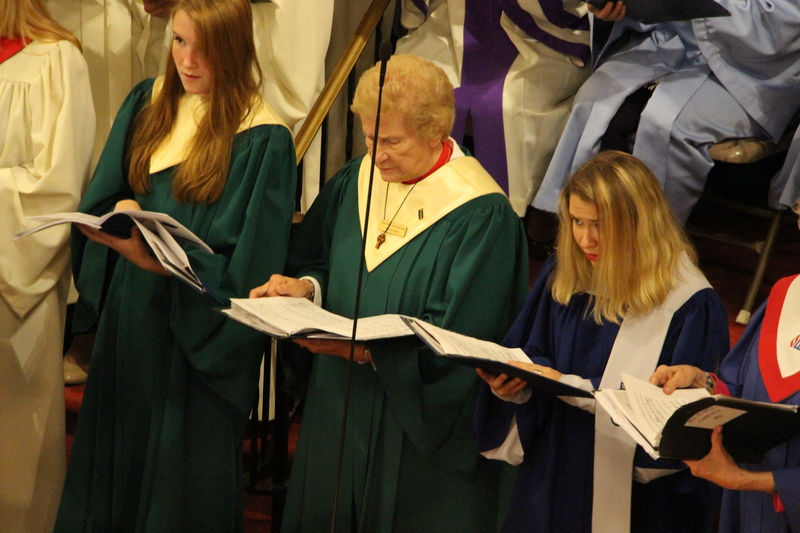 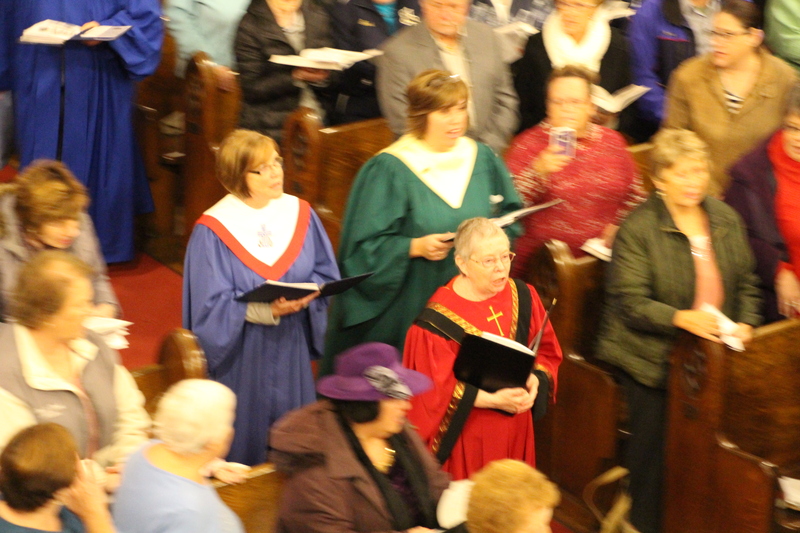 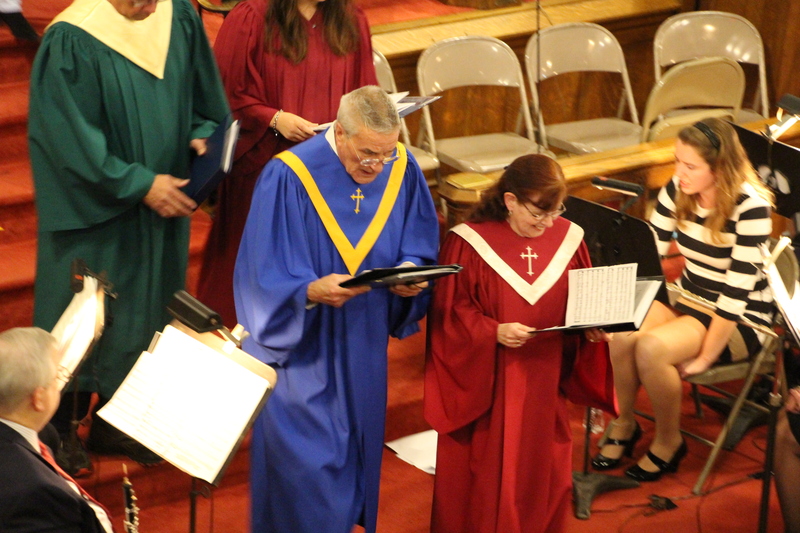 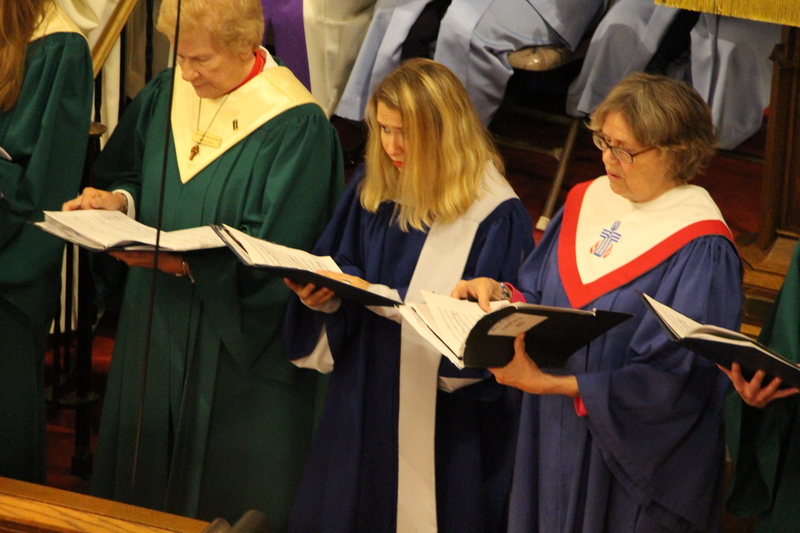 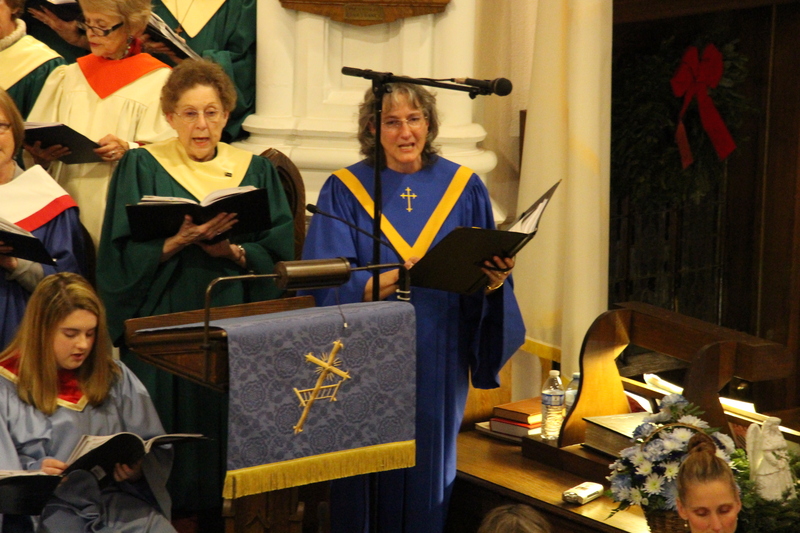 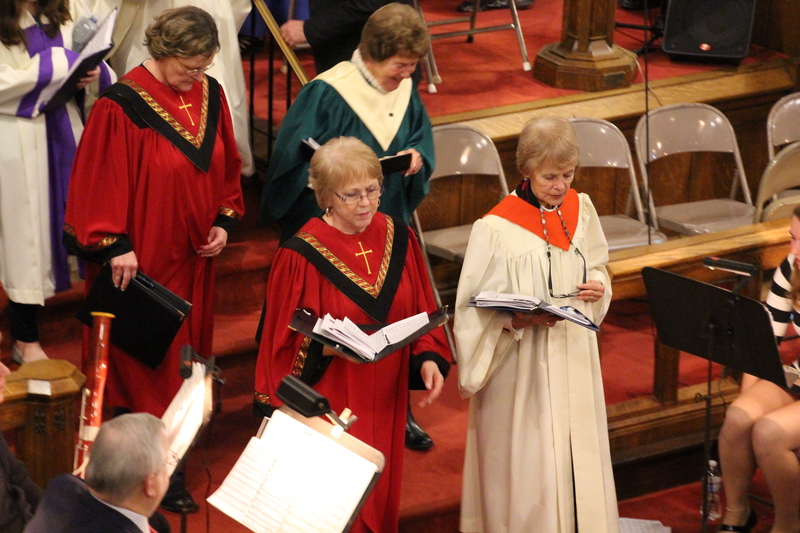 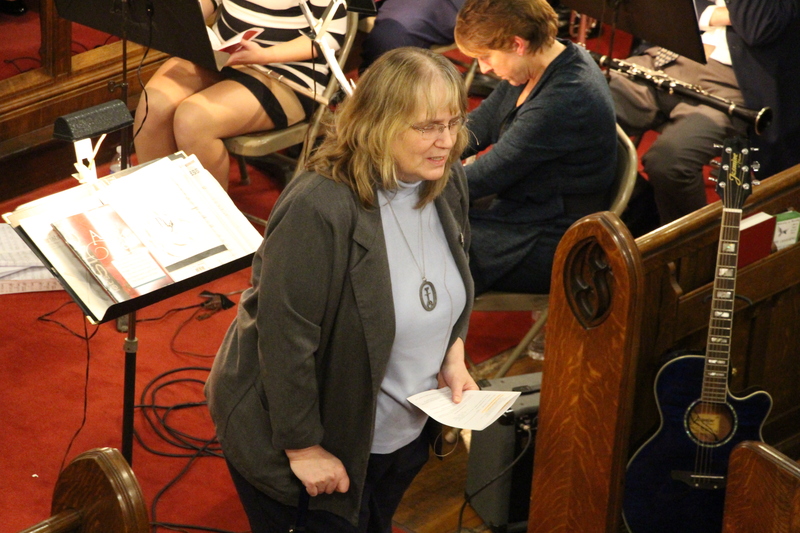 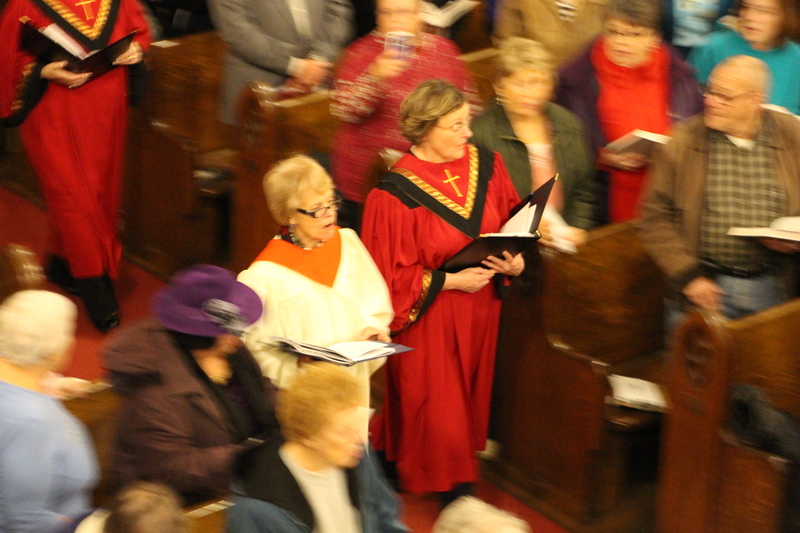 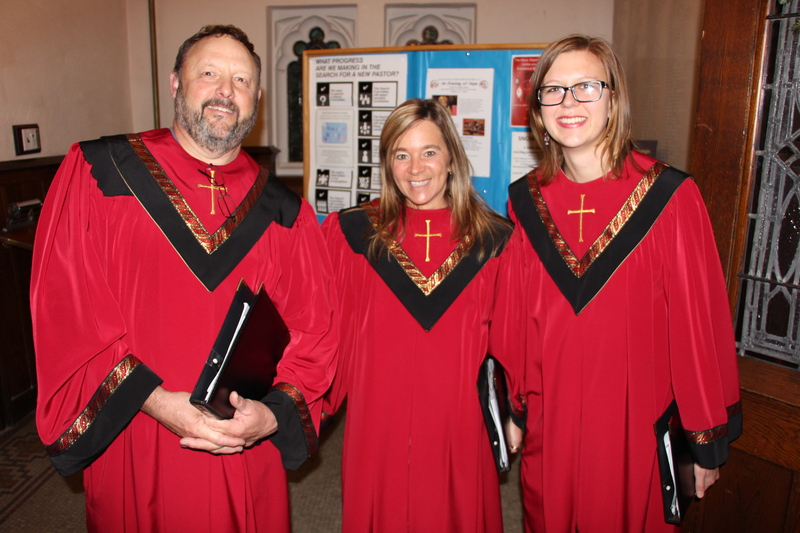 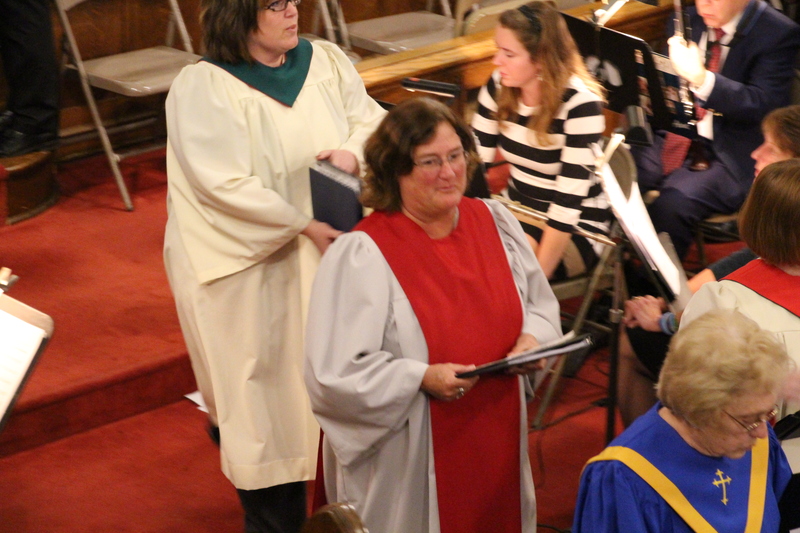 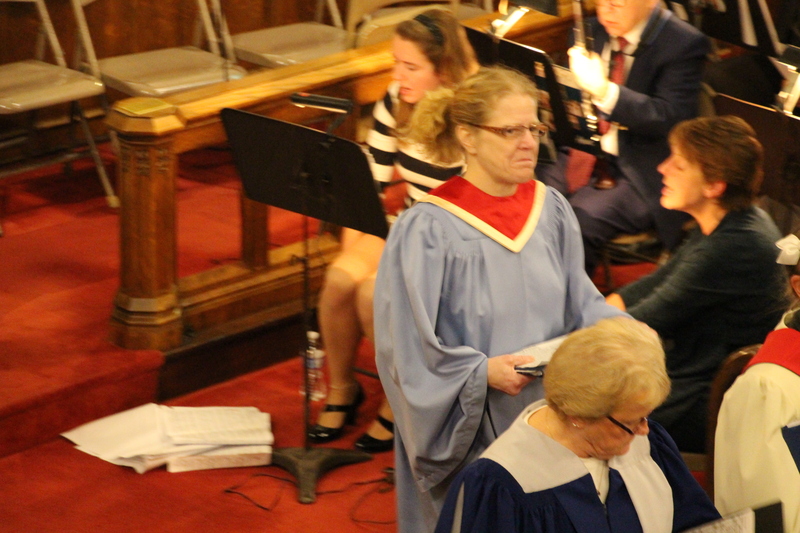 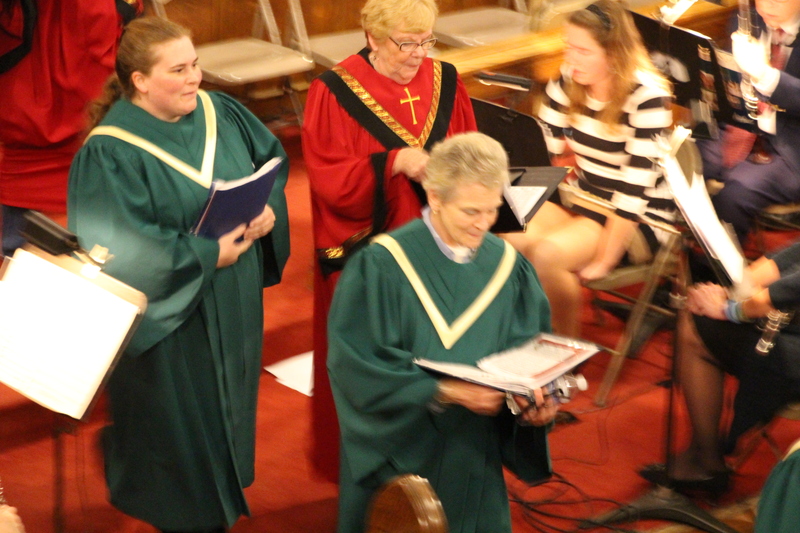 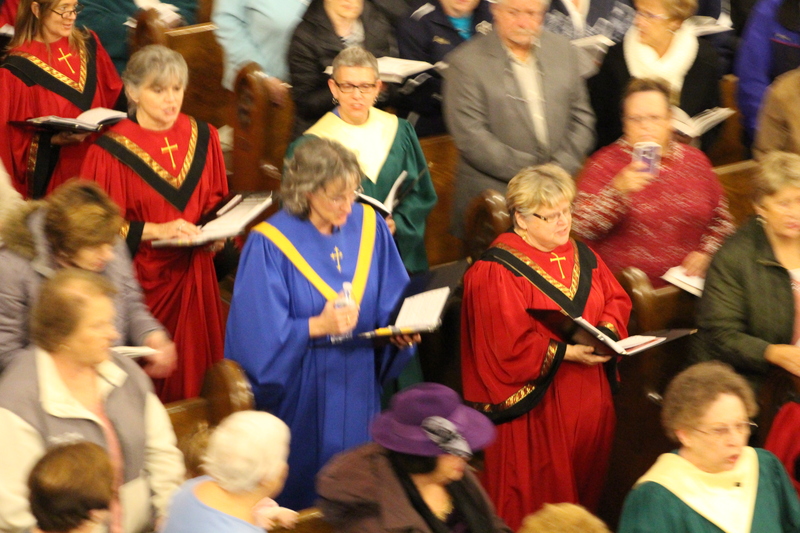 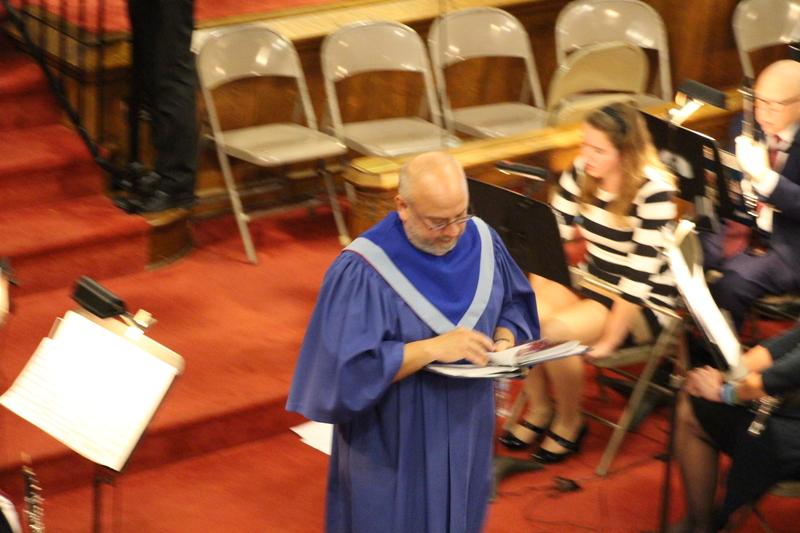 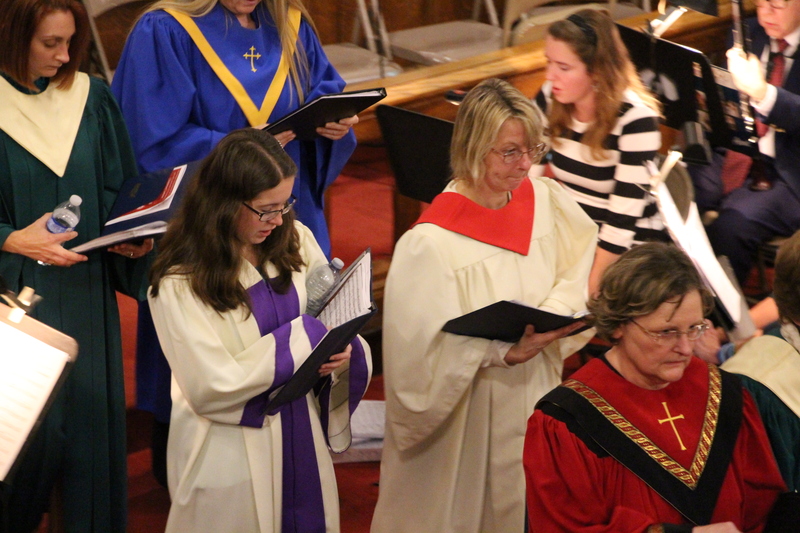 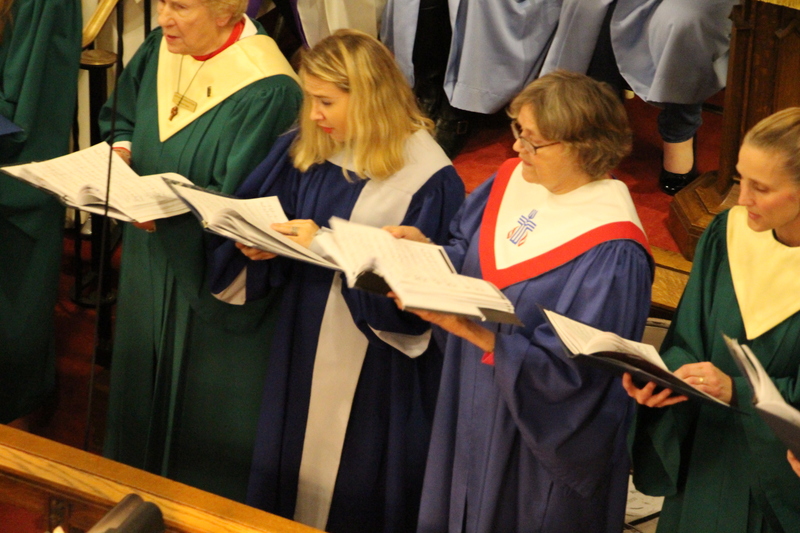 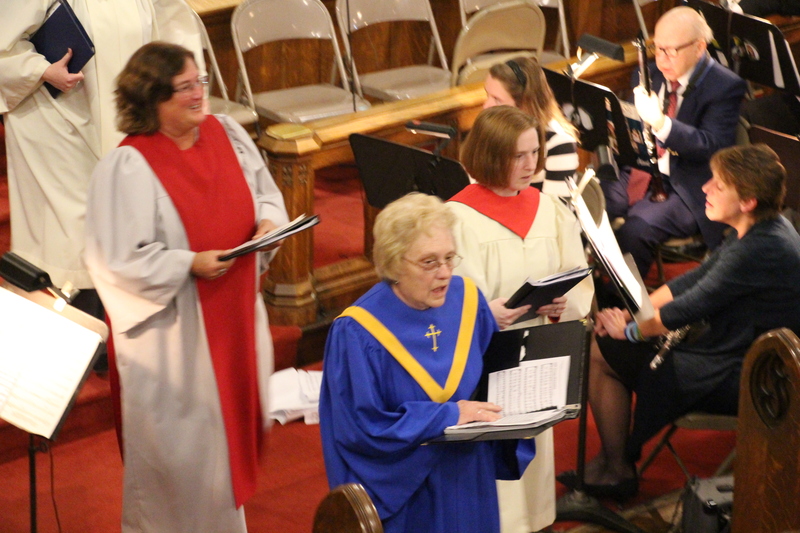 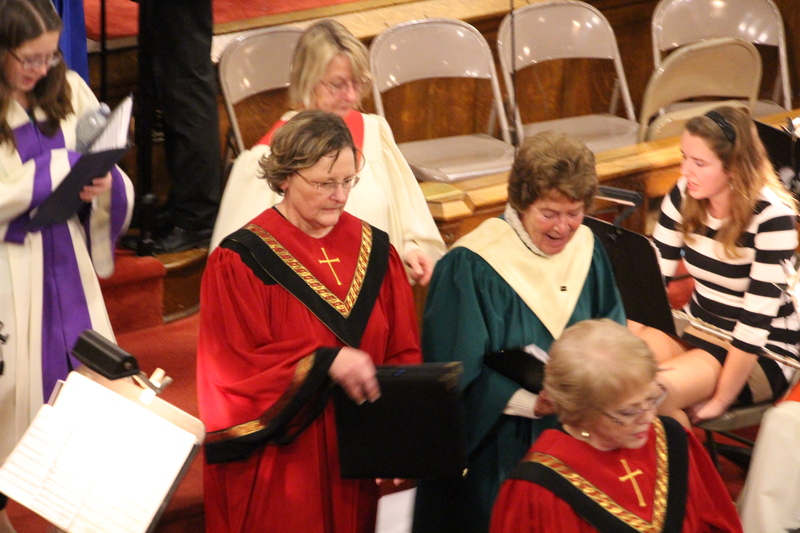 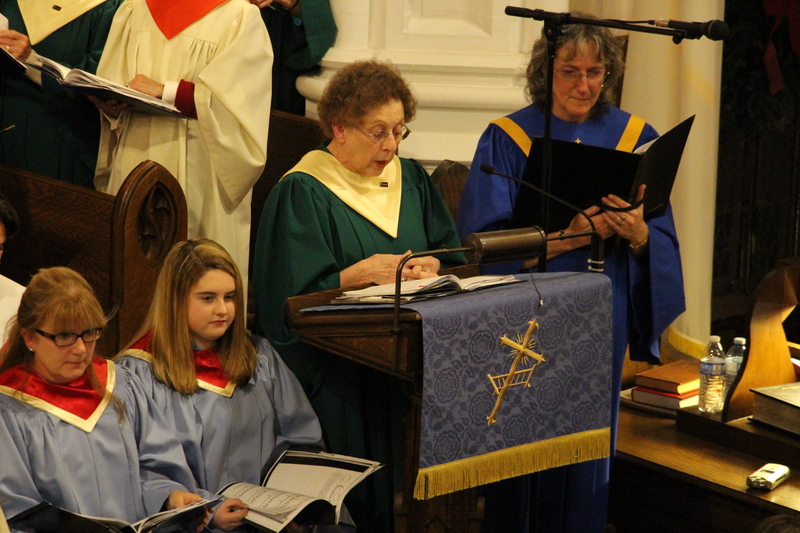 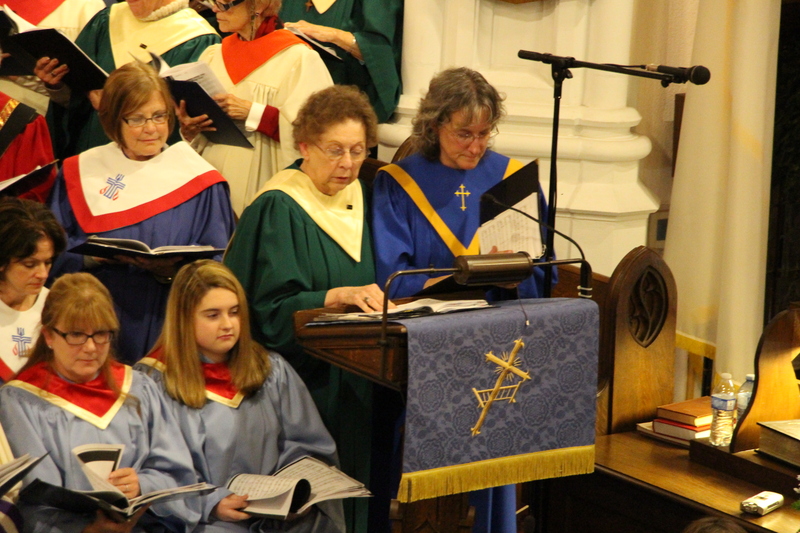 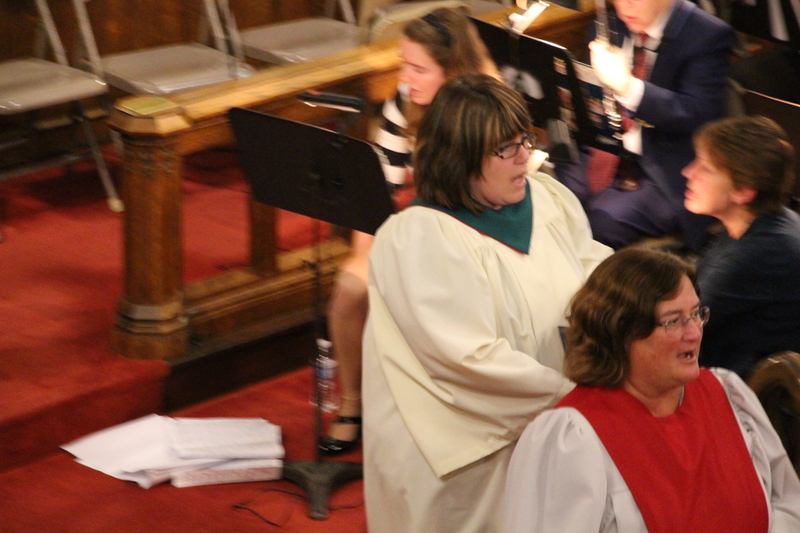 Narrators for the evening were Deacon Evans, Kathy Long and Judy Harris. 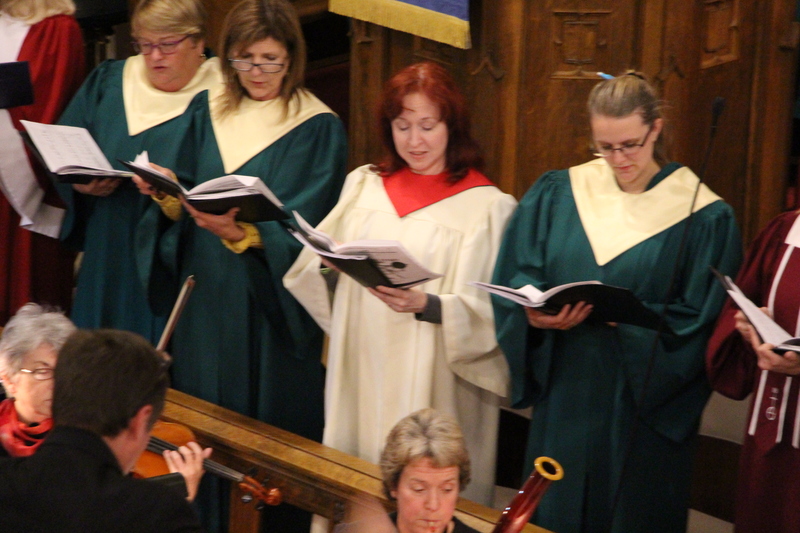 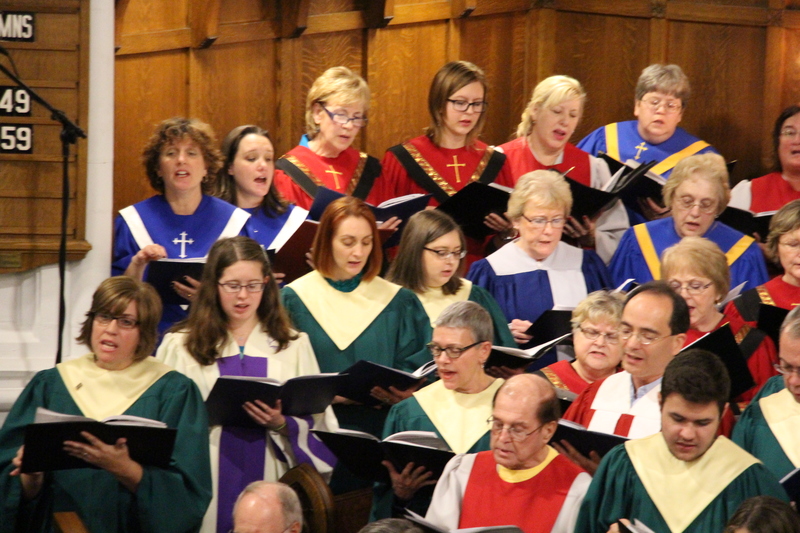 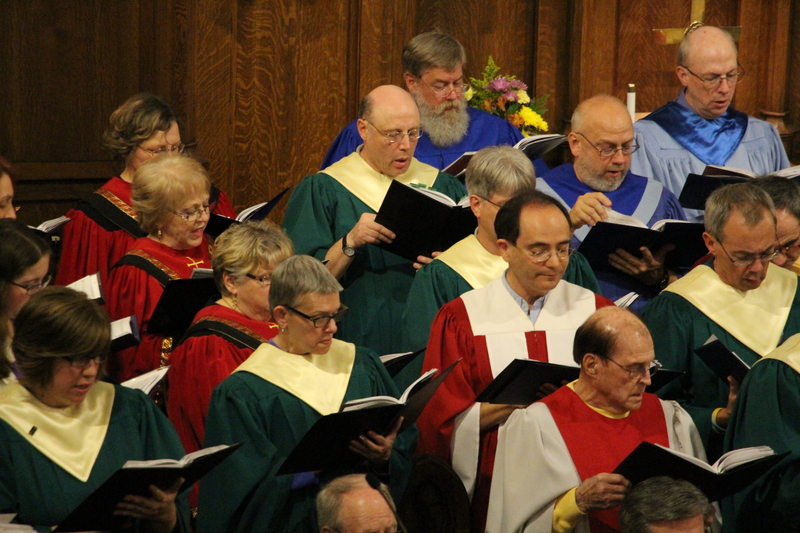 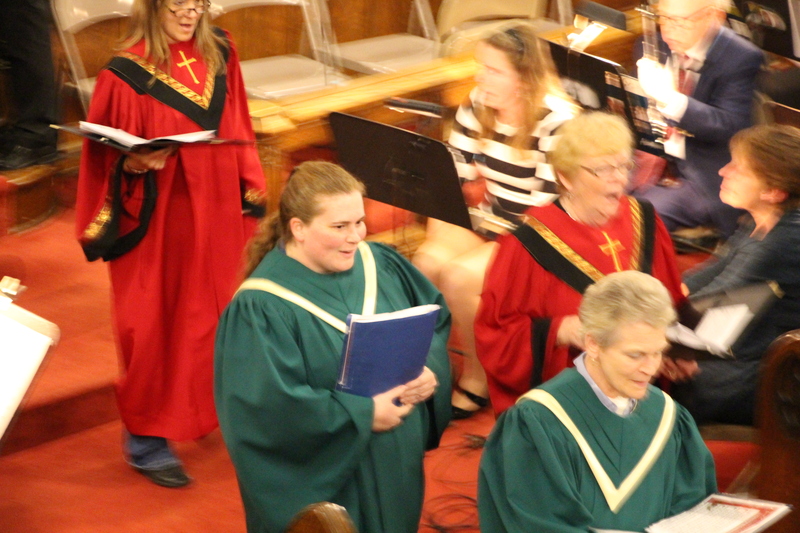 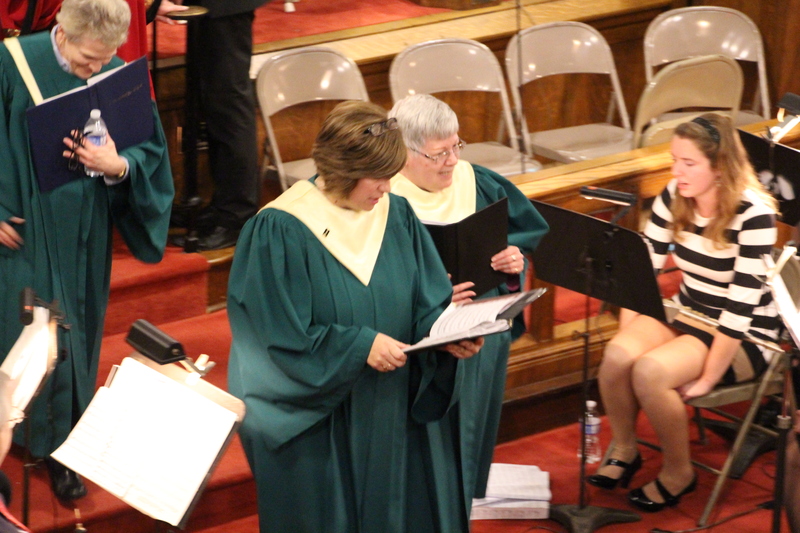 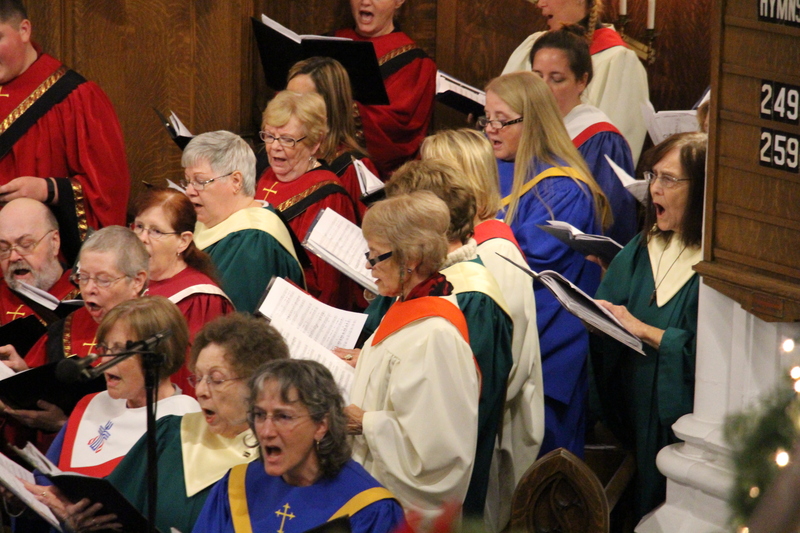 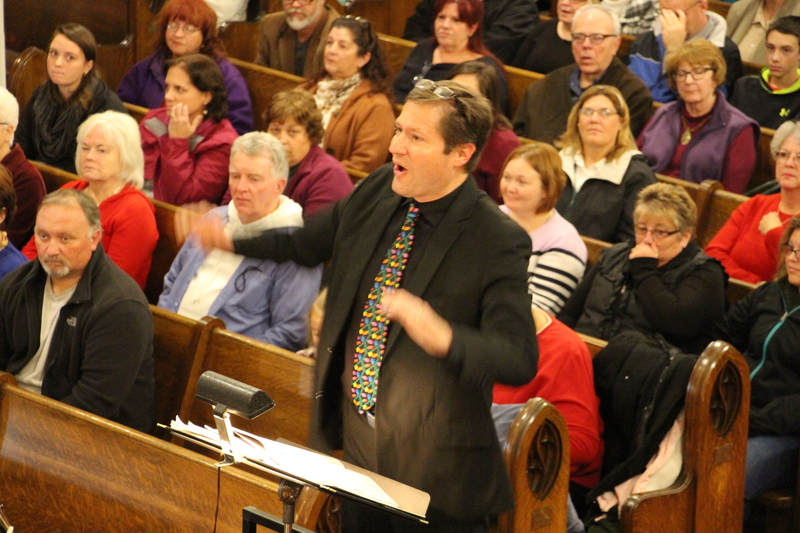 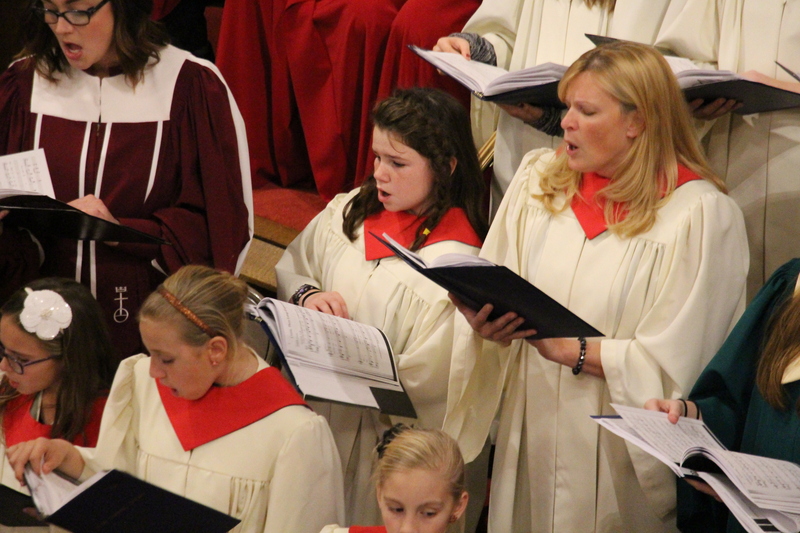 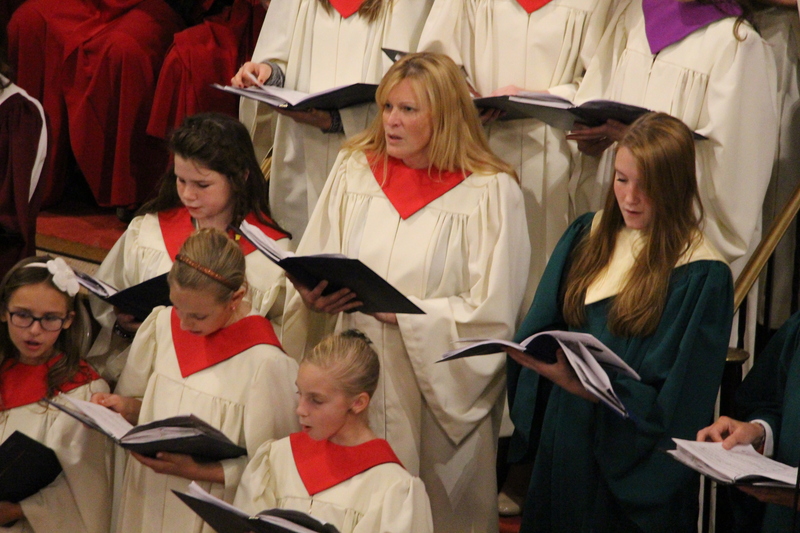 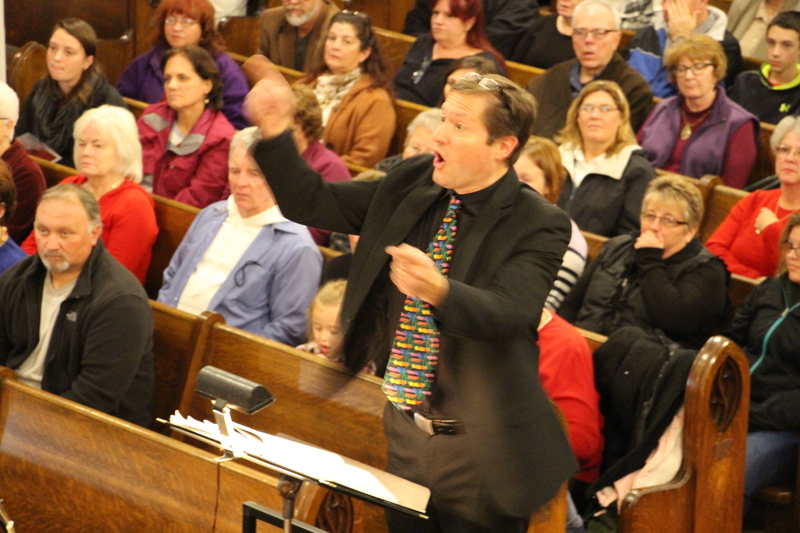 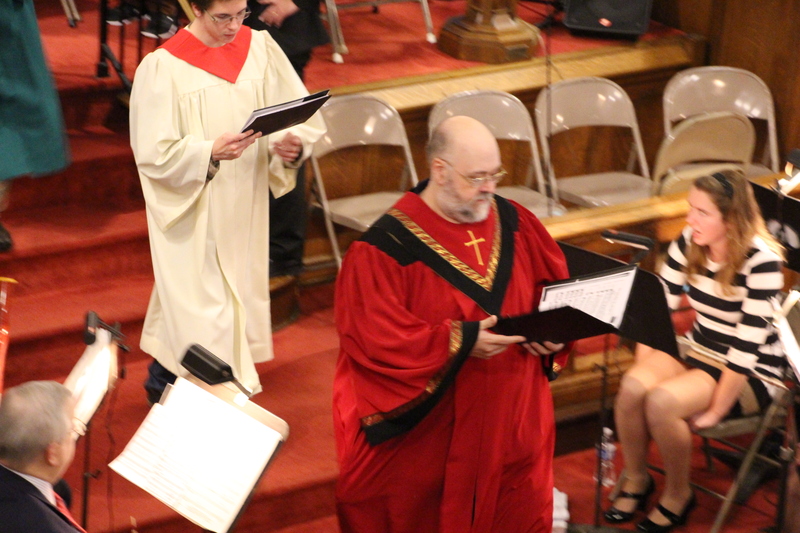 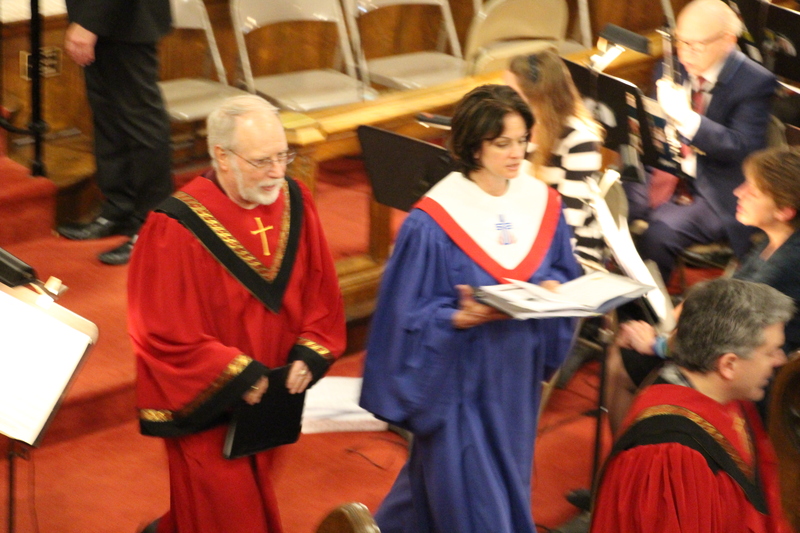 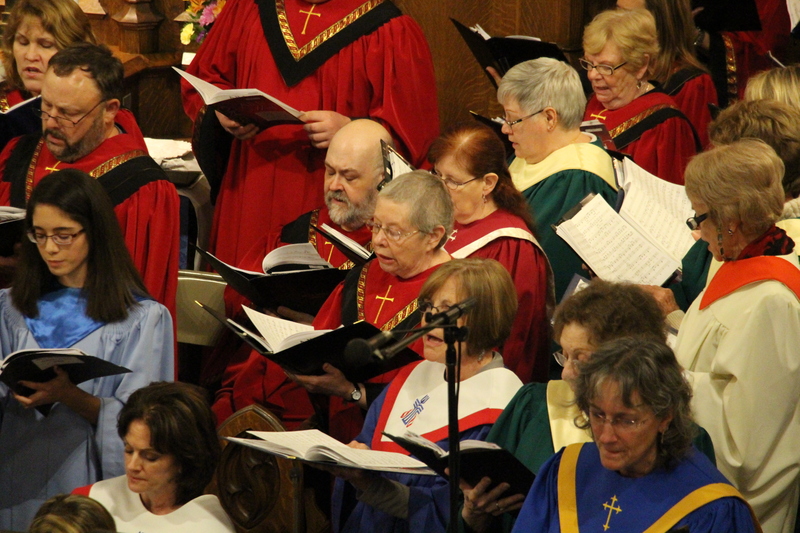 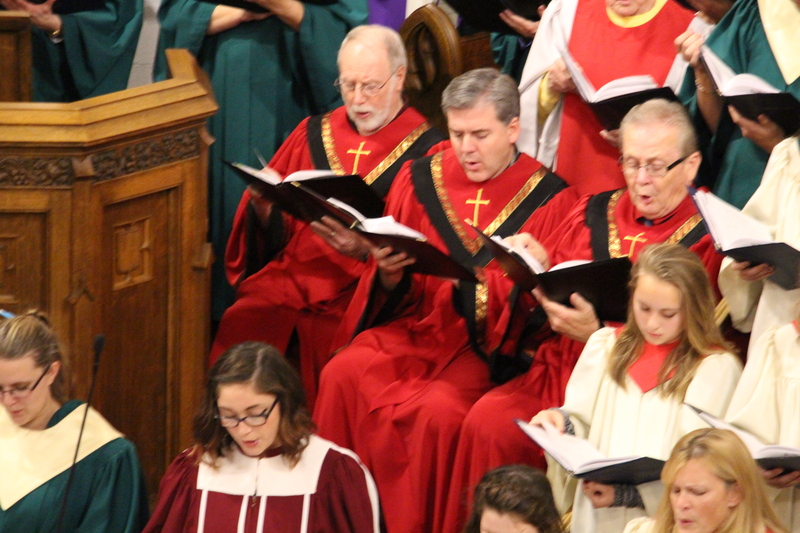 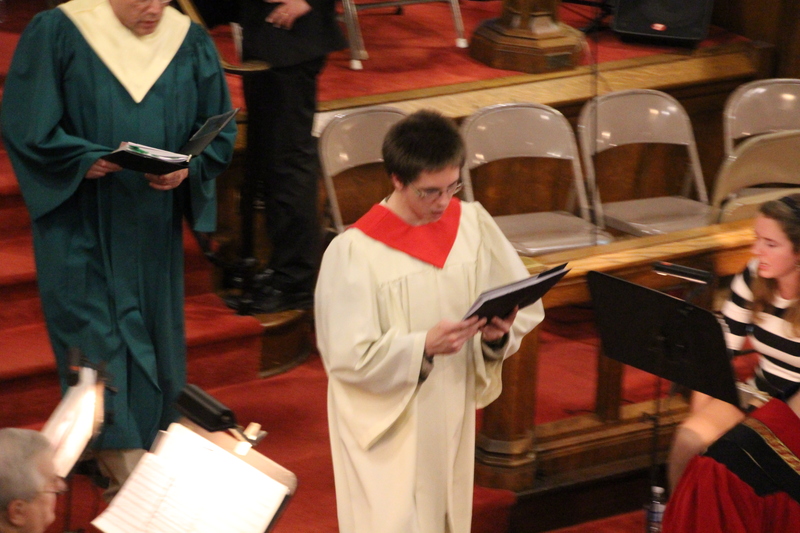 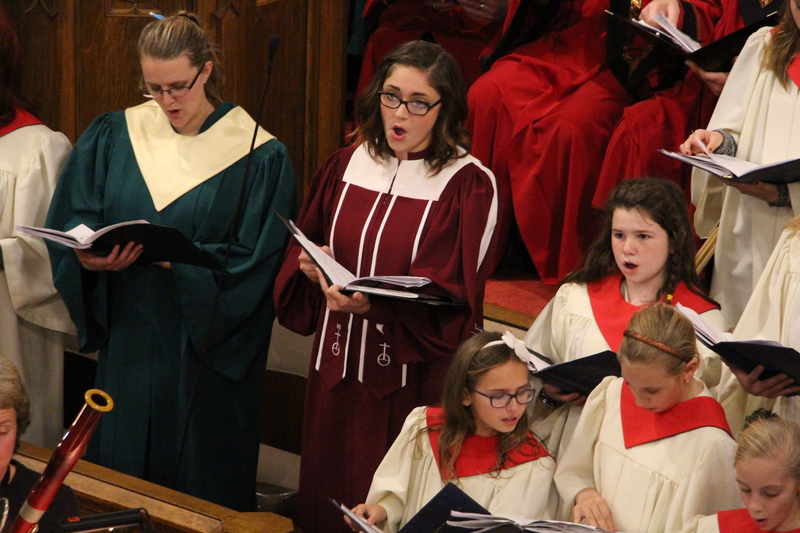 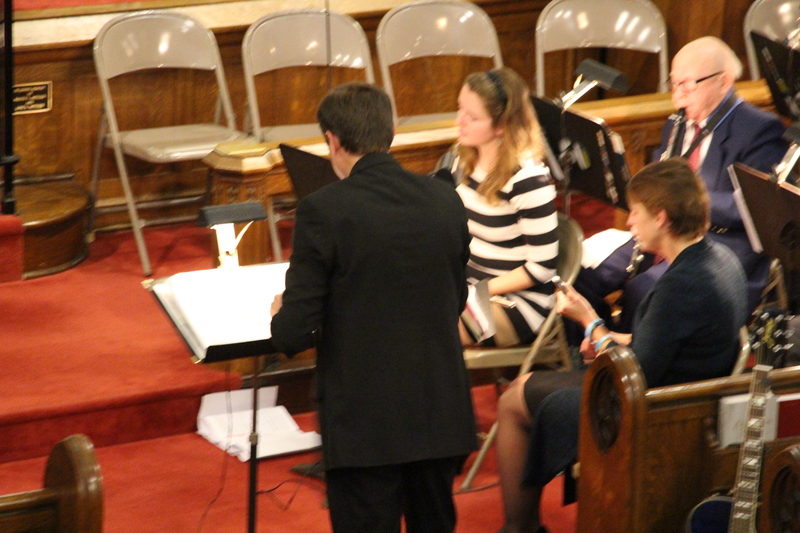 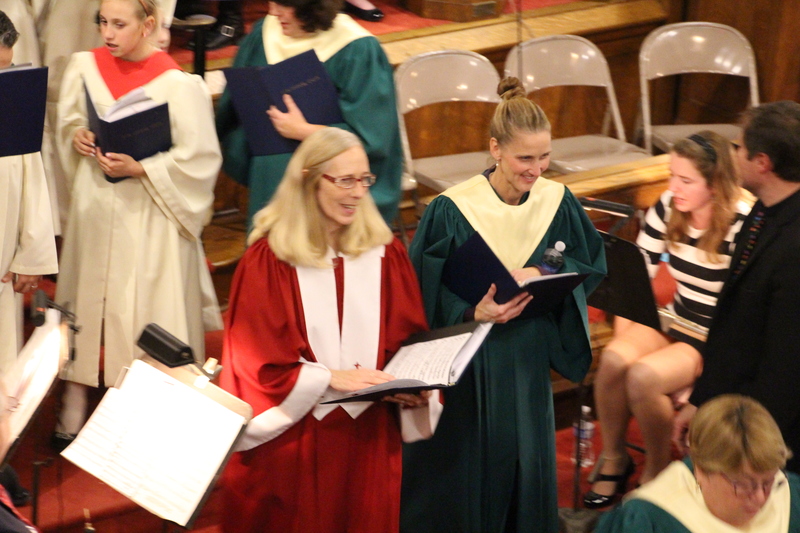 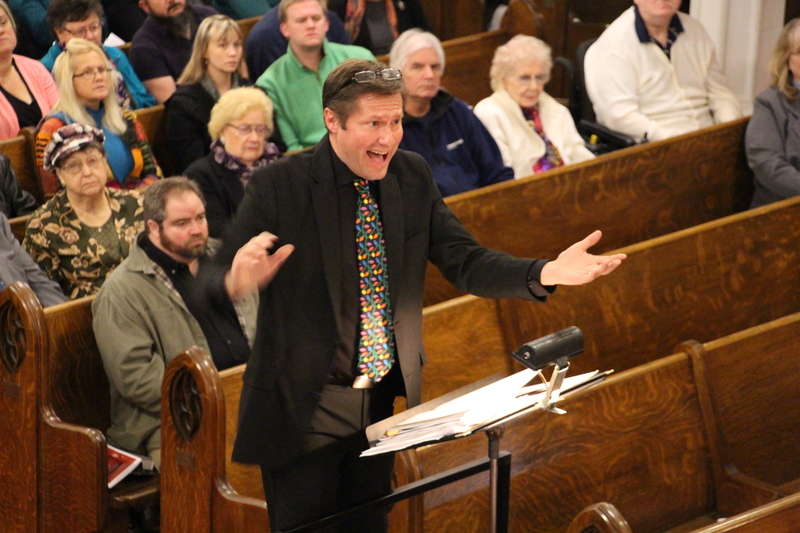 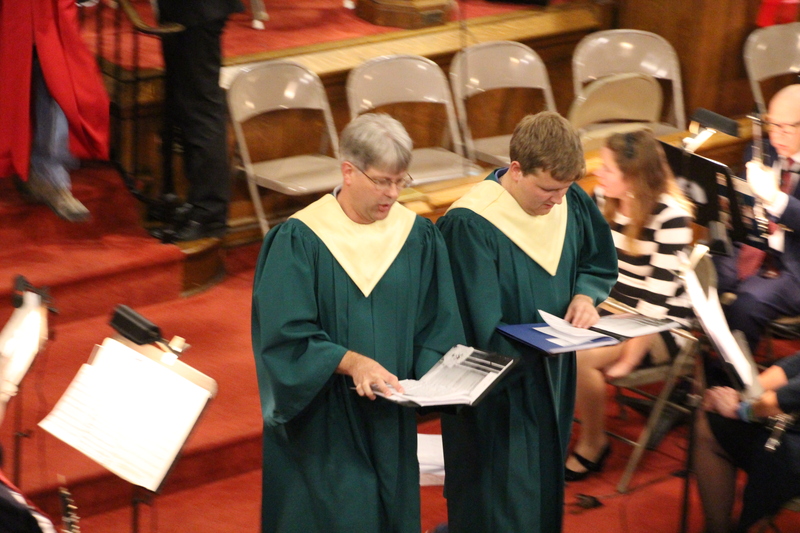 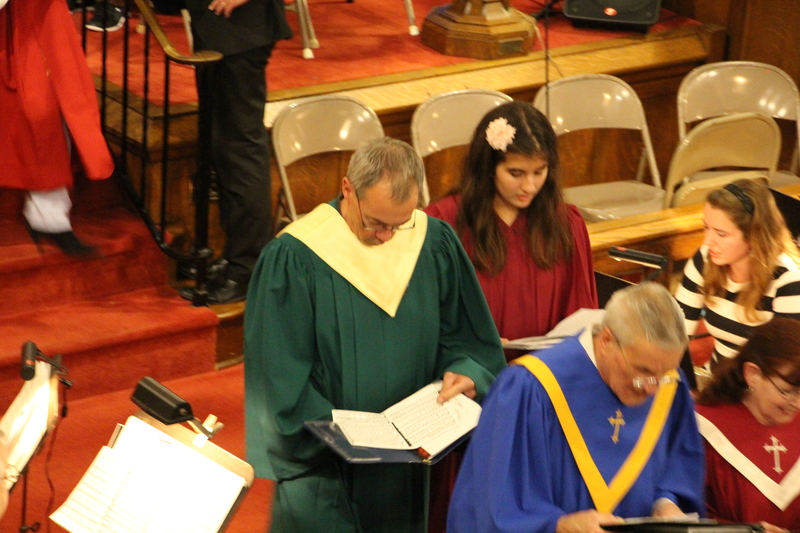 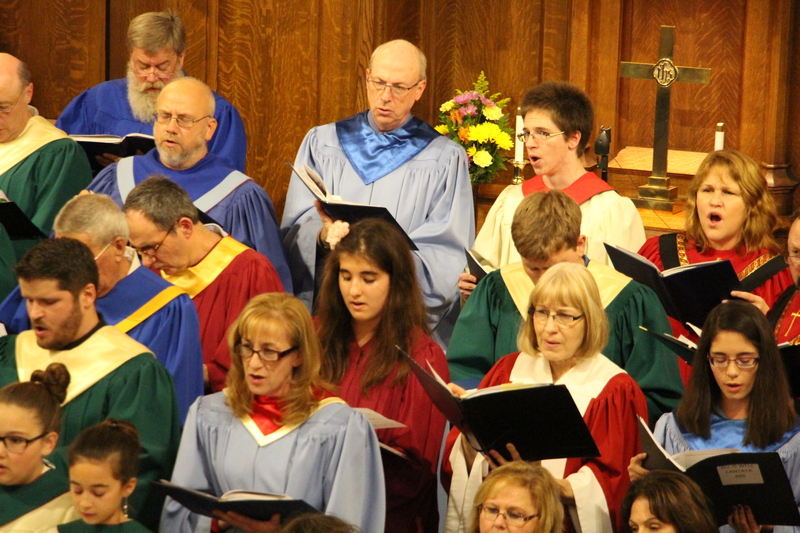 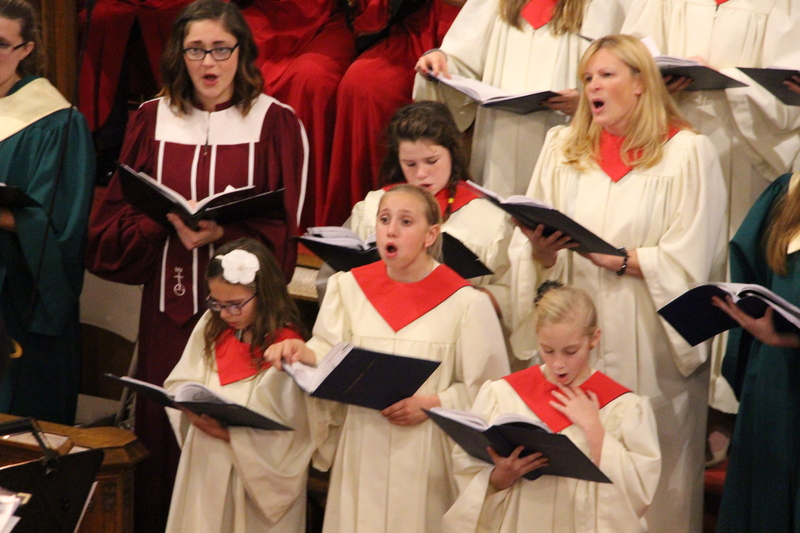 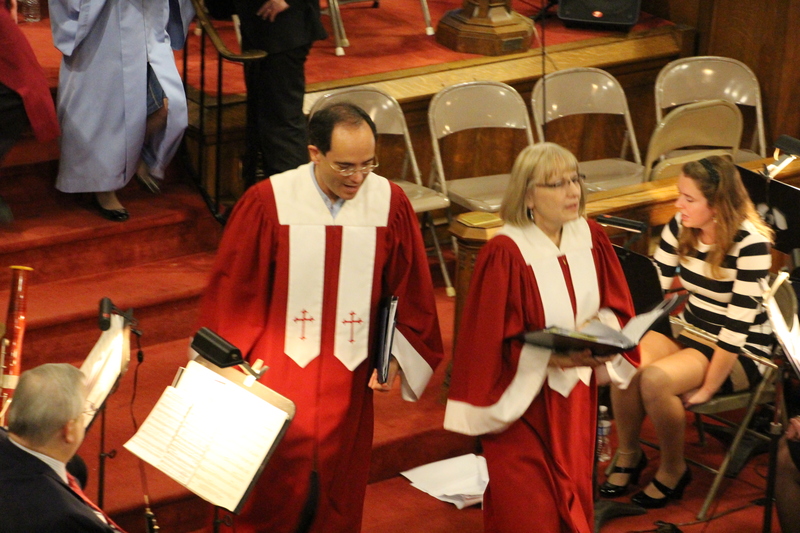 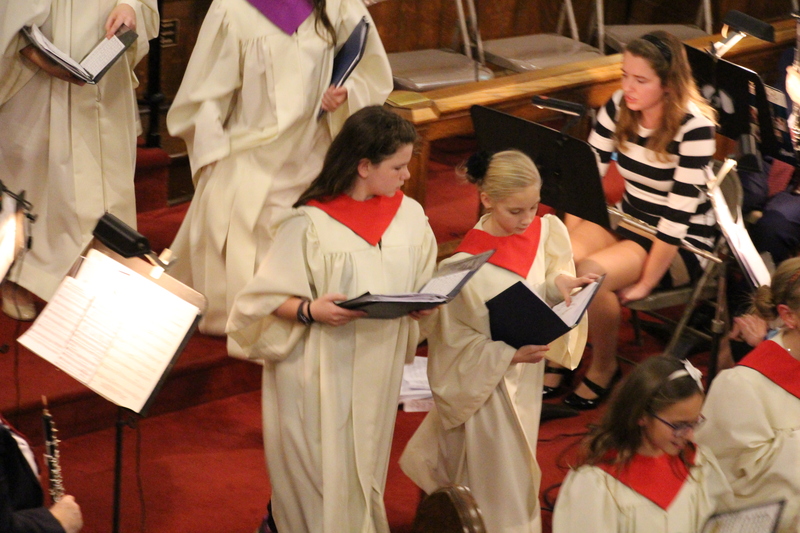 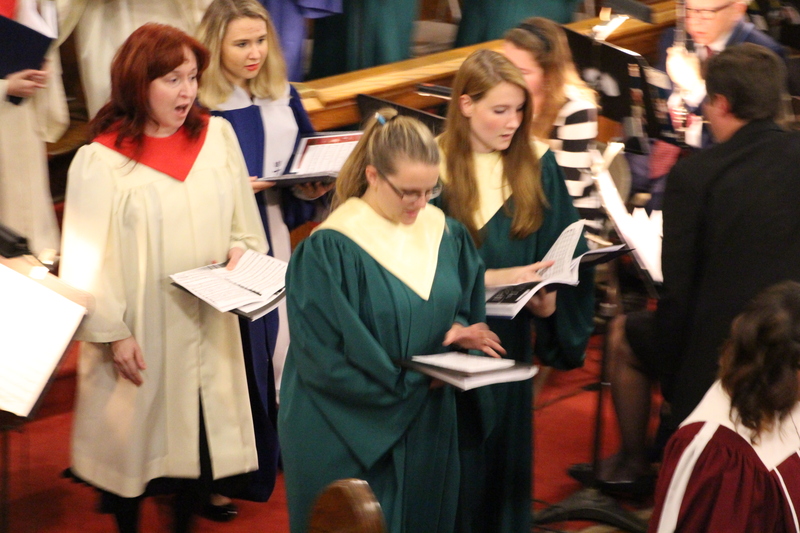 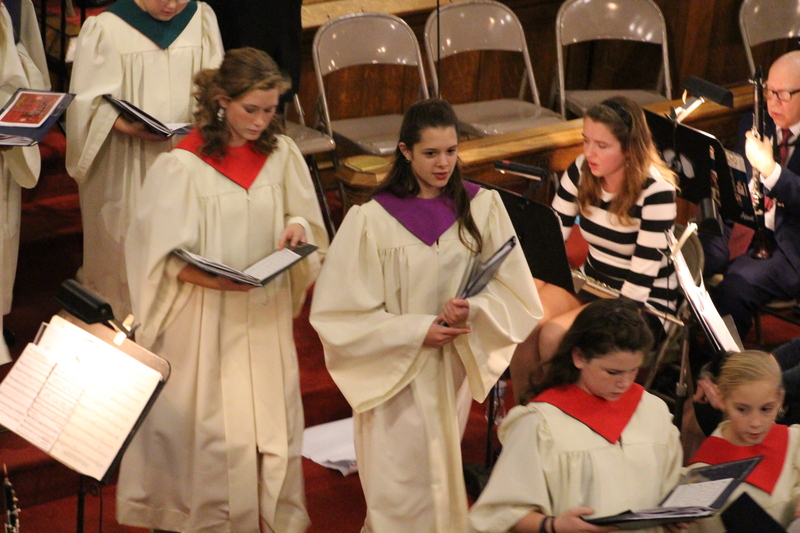 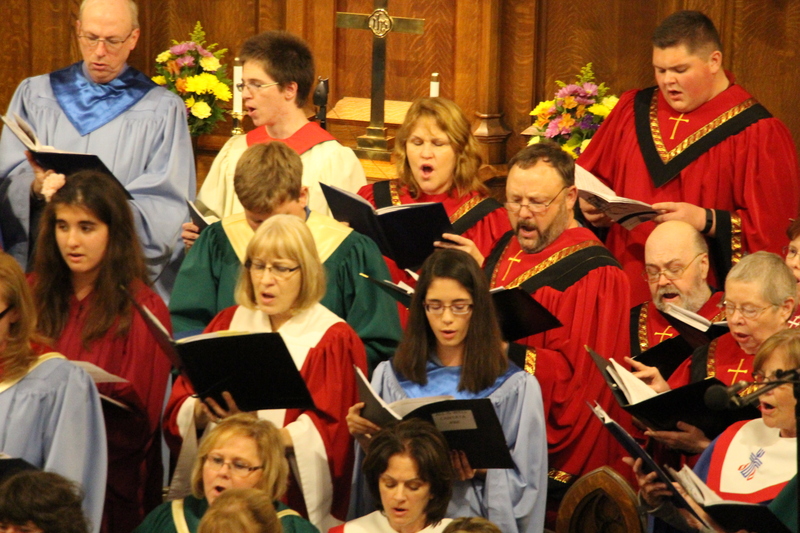 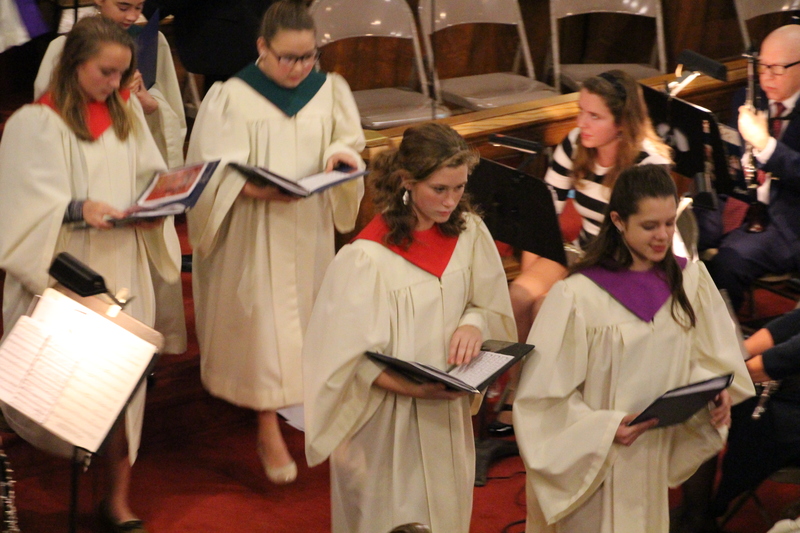 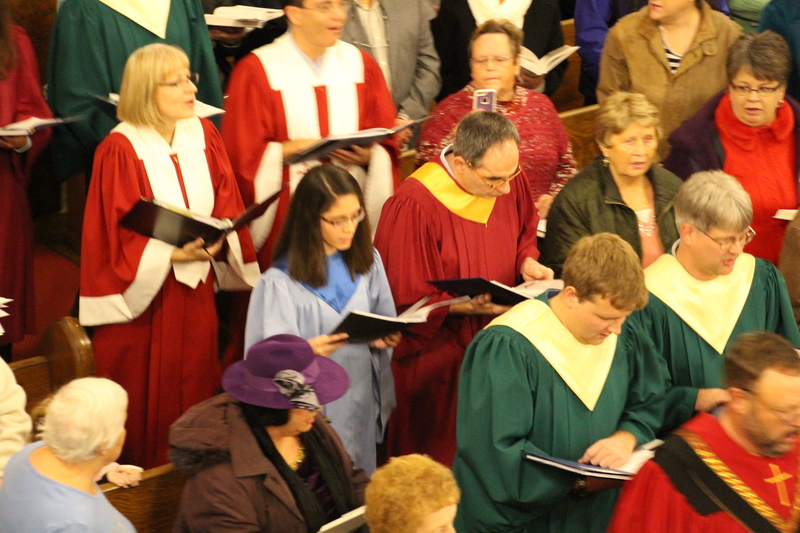 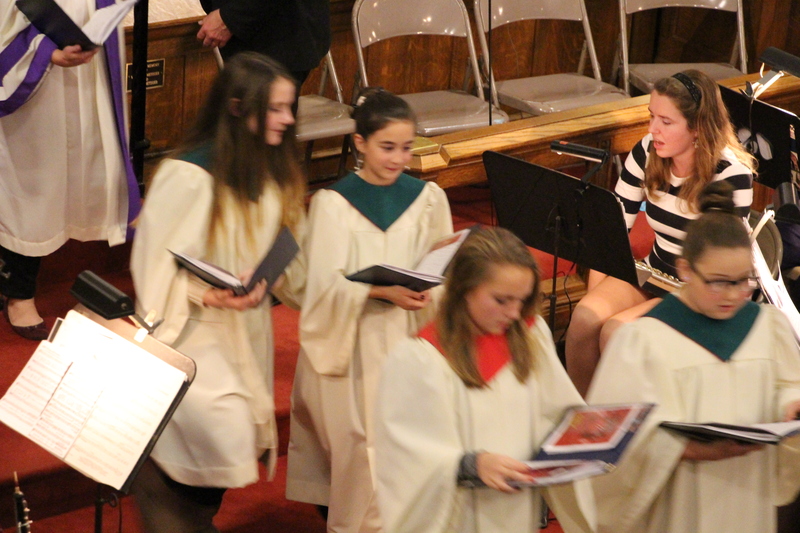 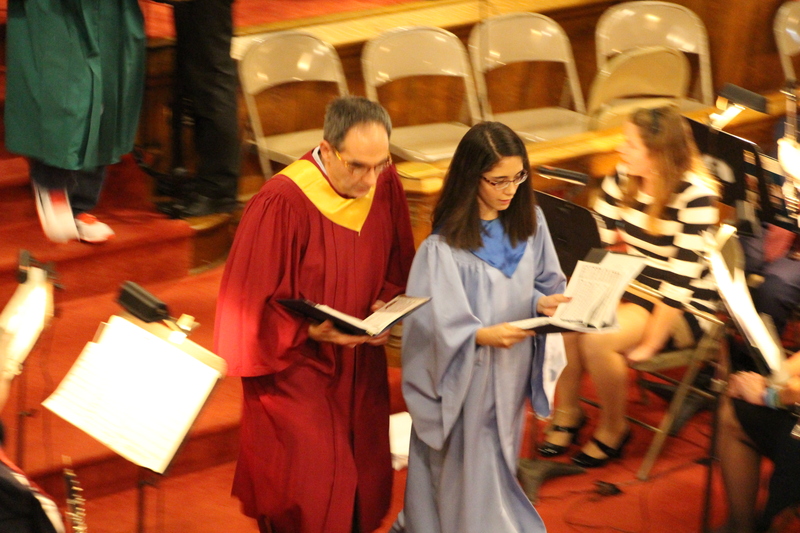 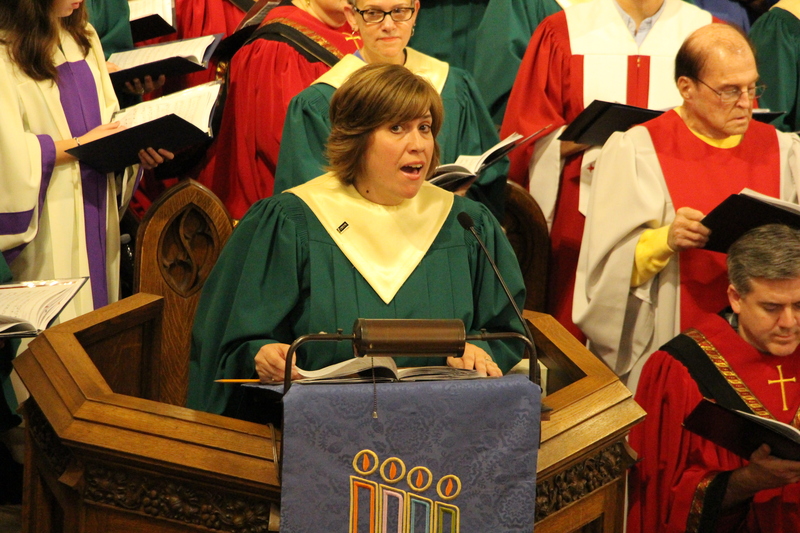 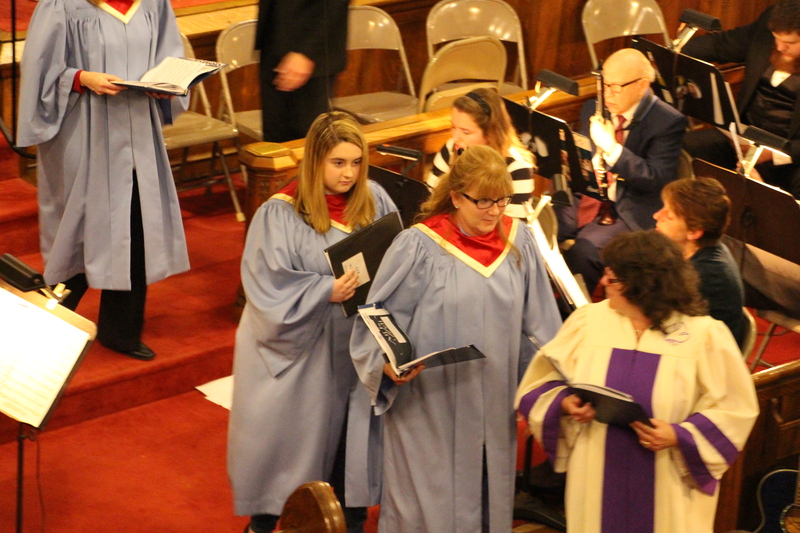 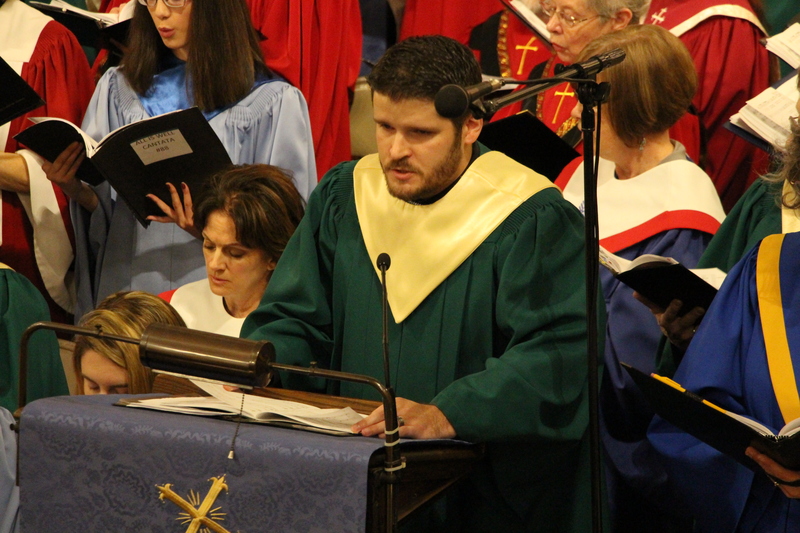 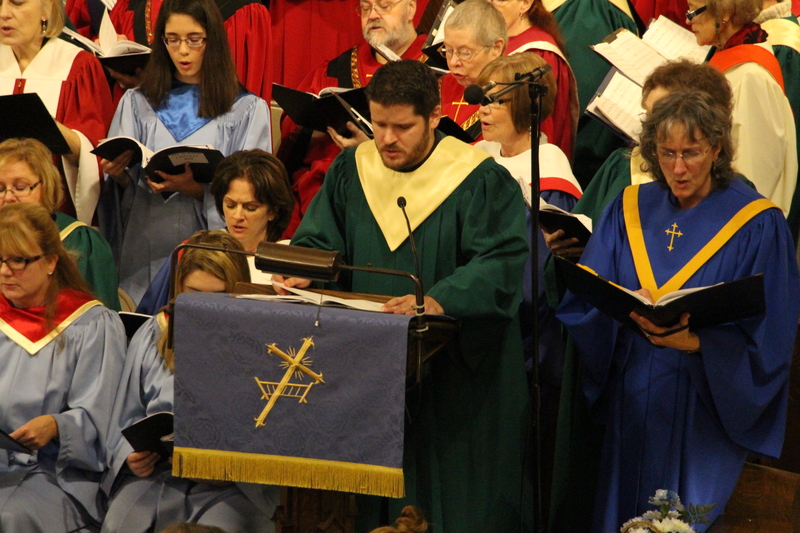 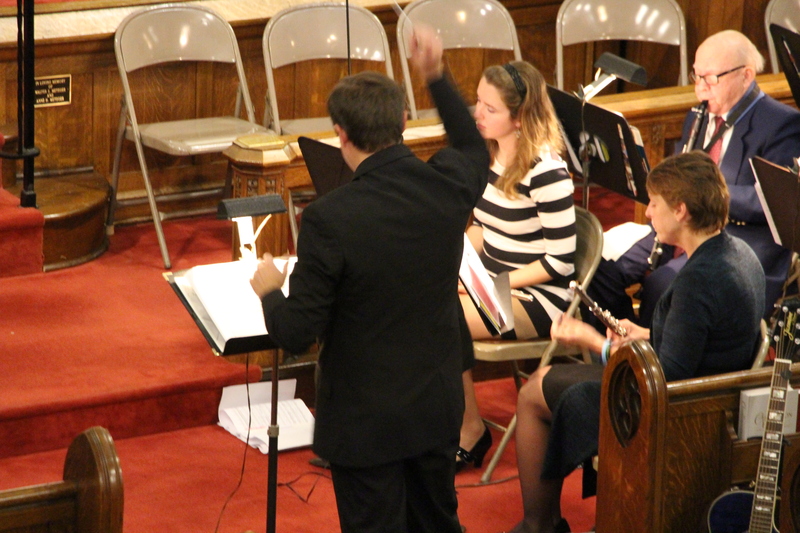 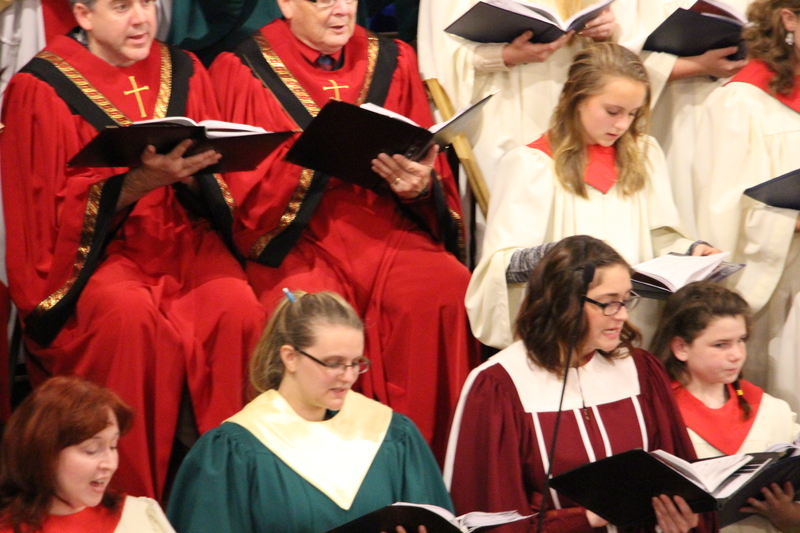 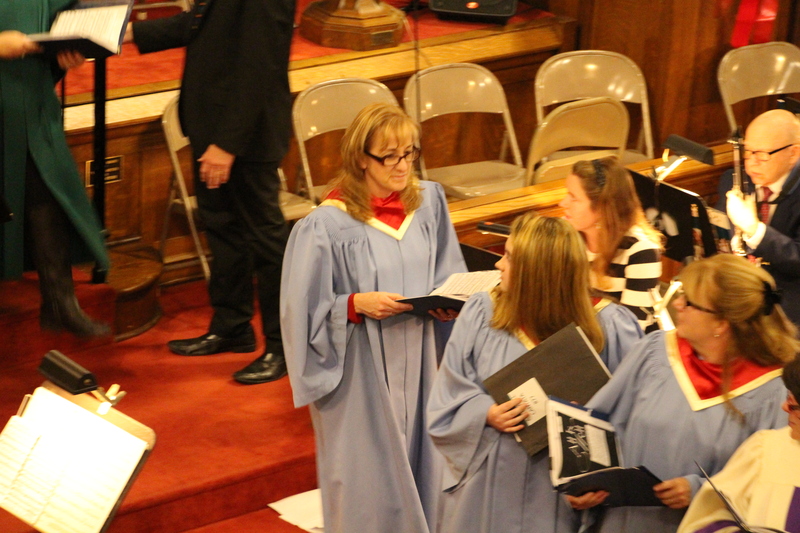 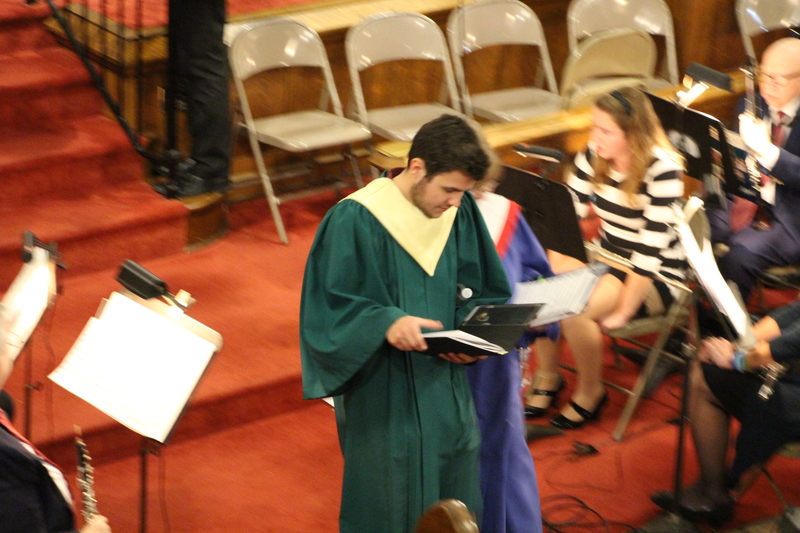 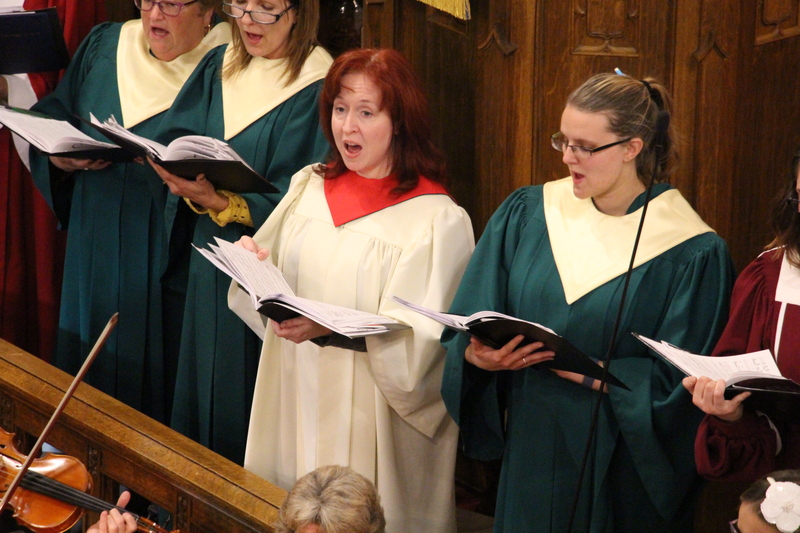 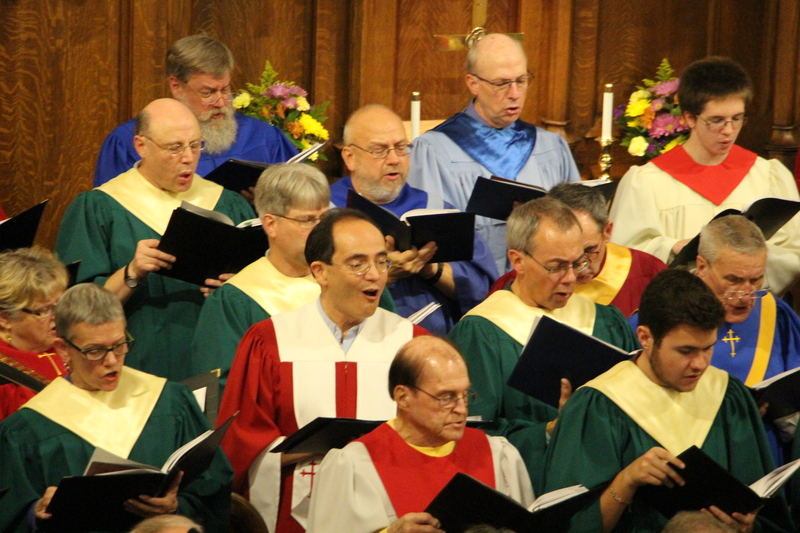 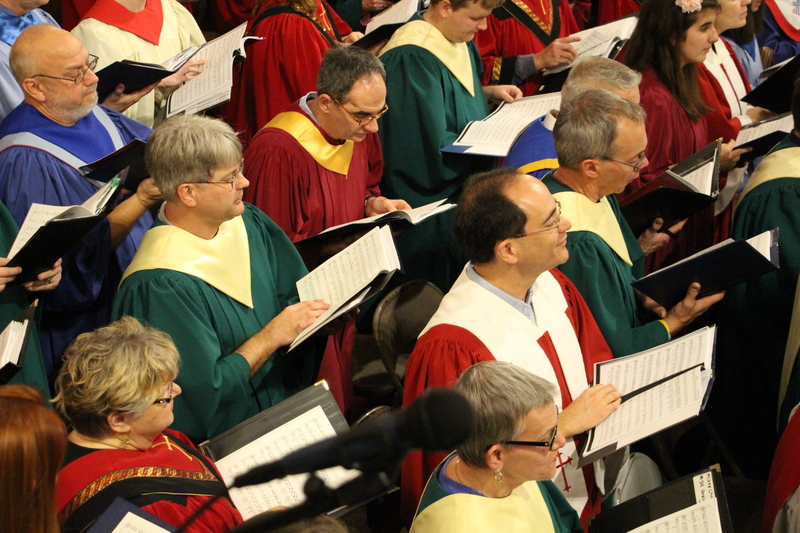 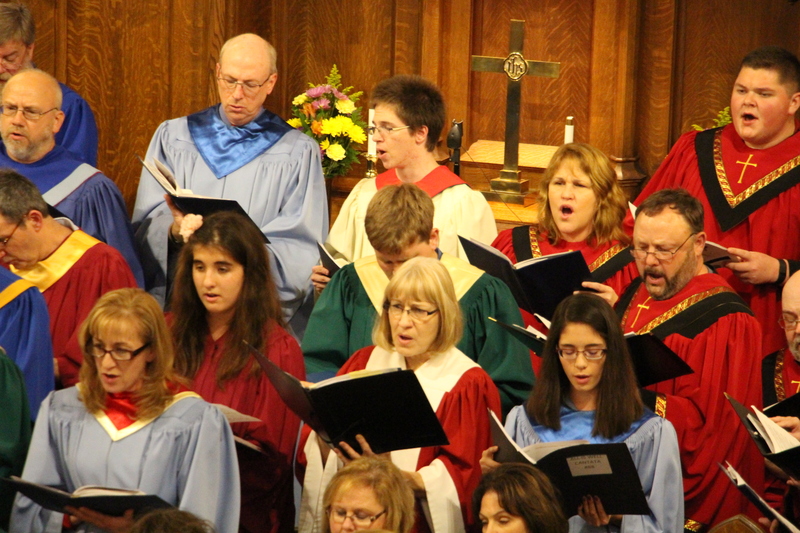 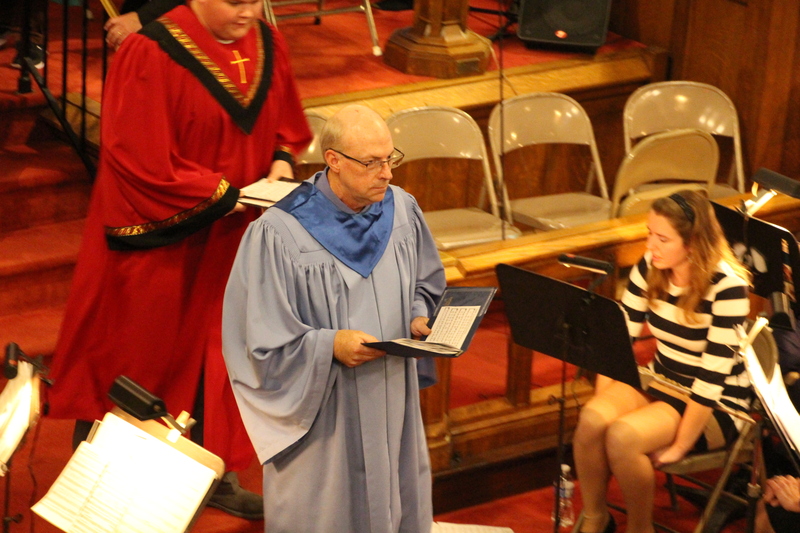 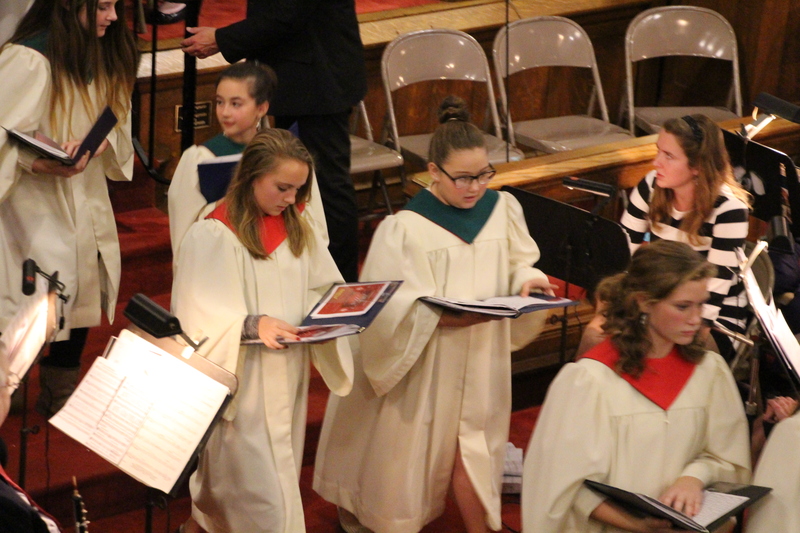 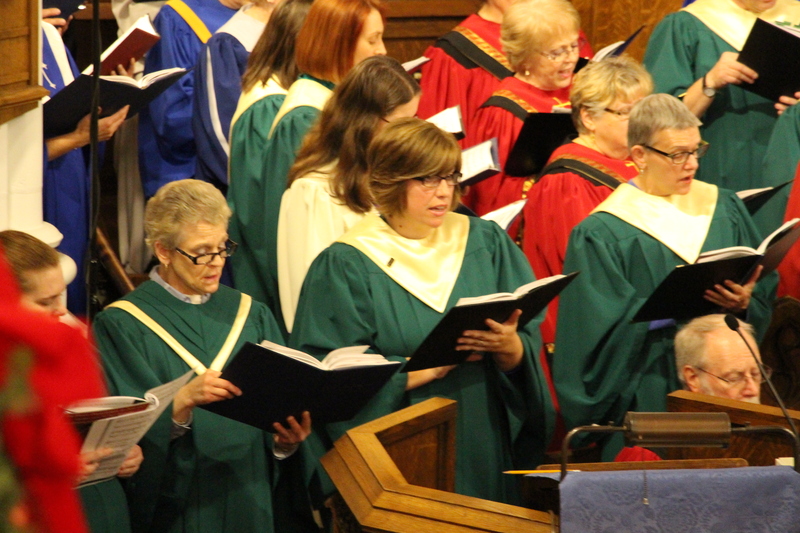 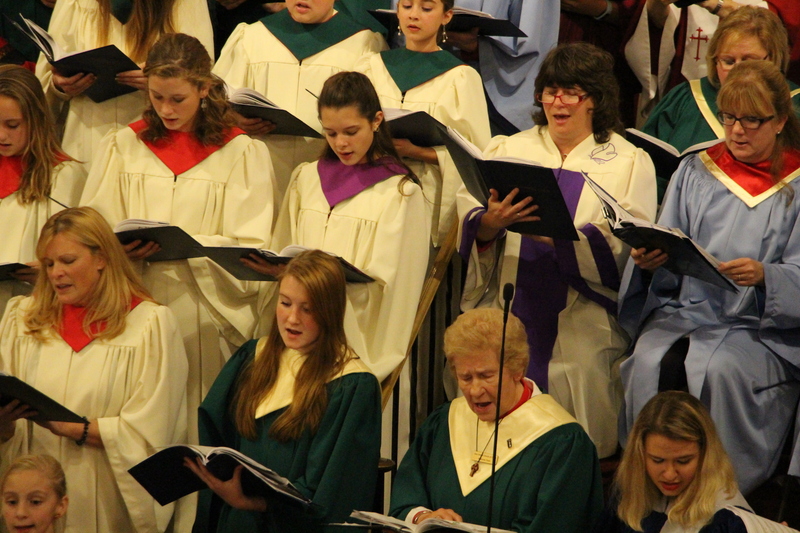 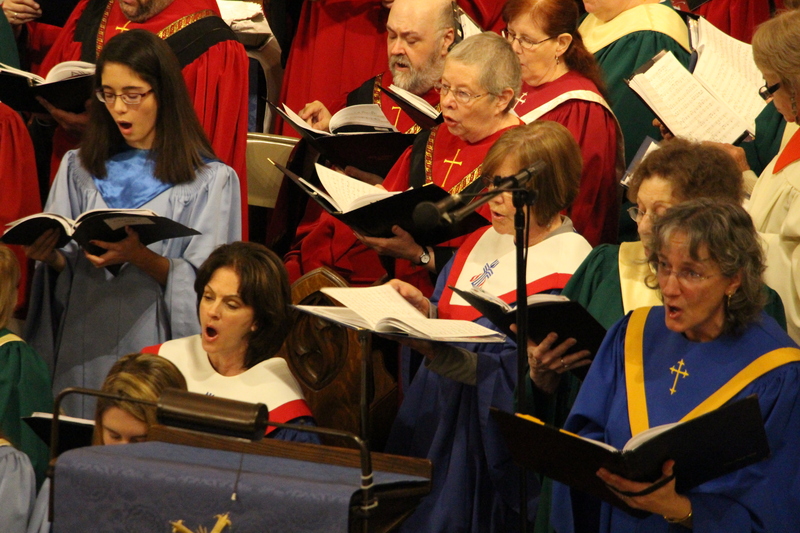 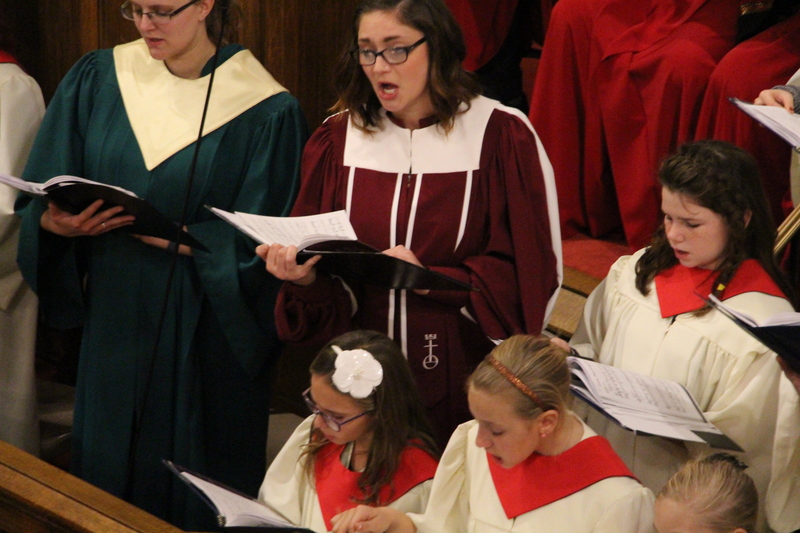 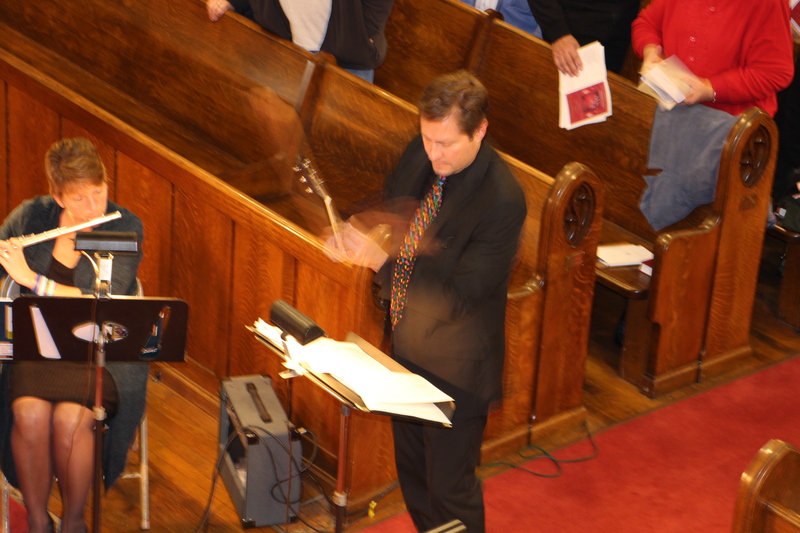 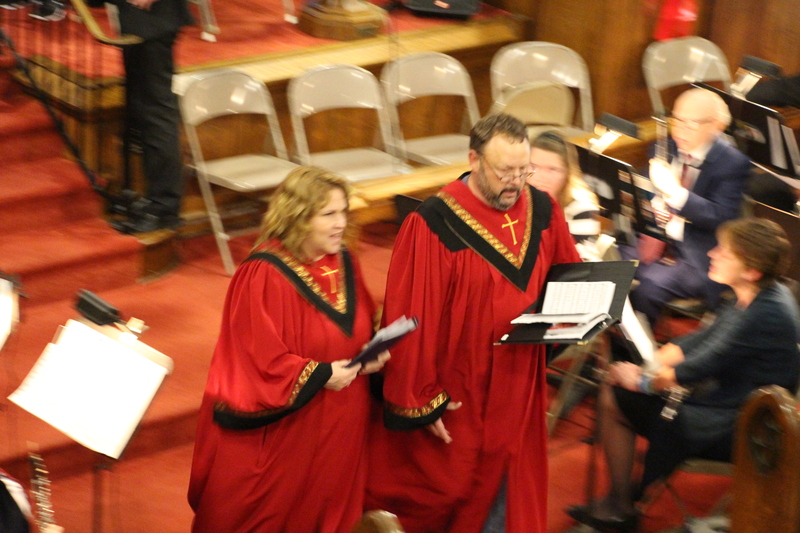 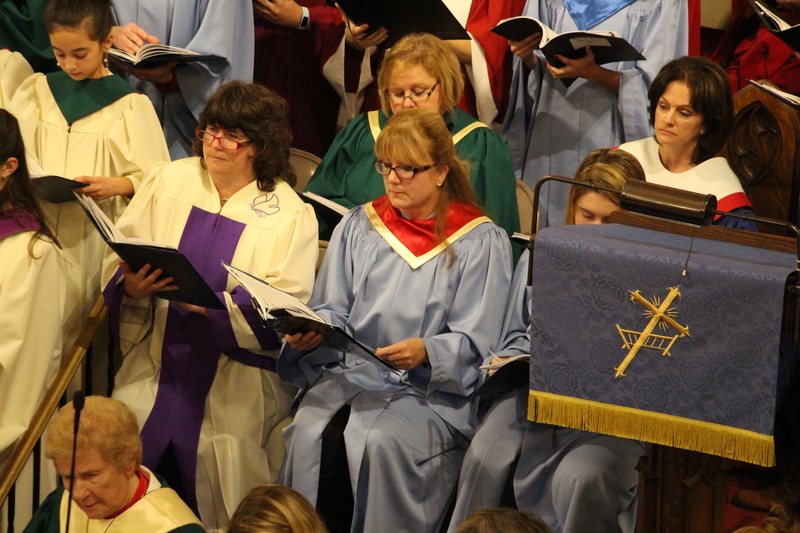 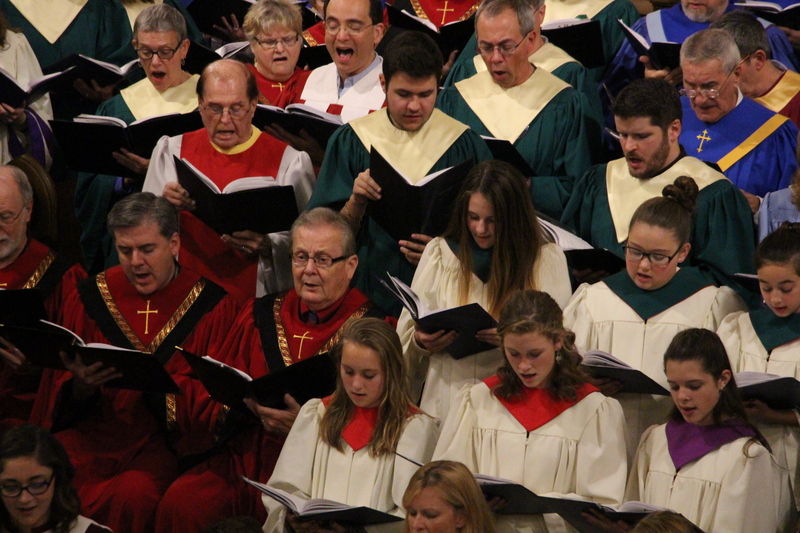 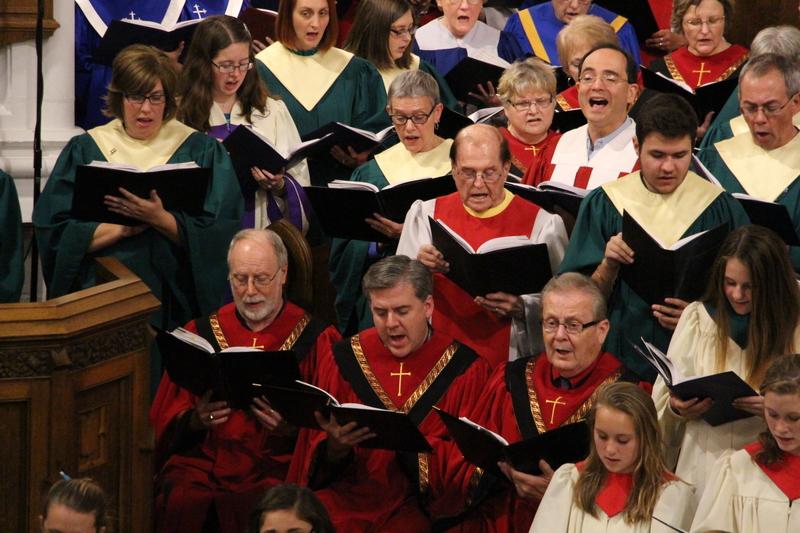 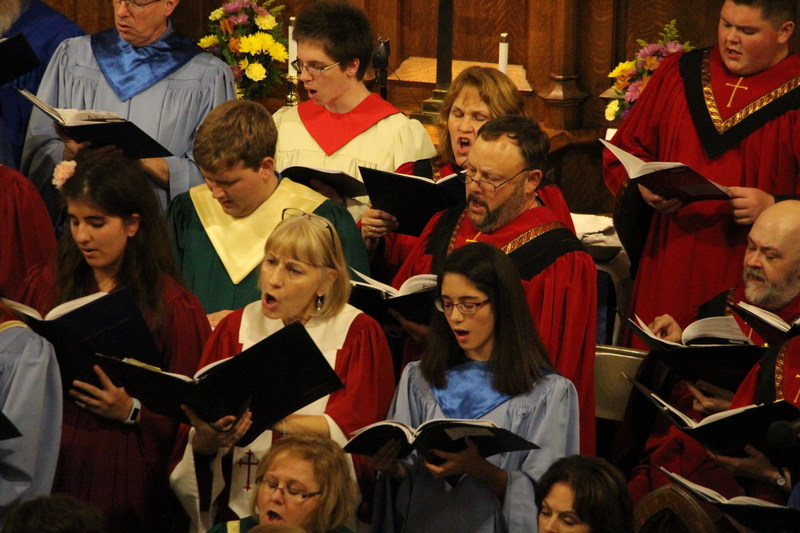 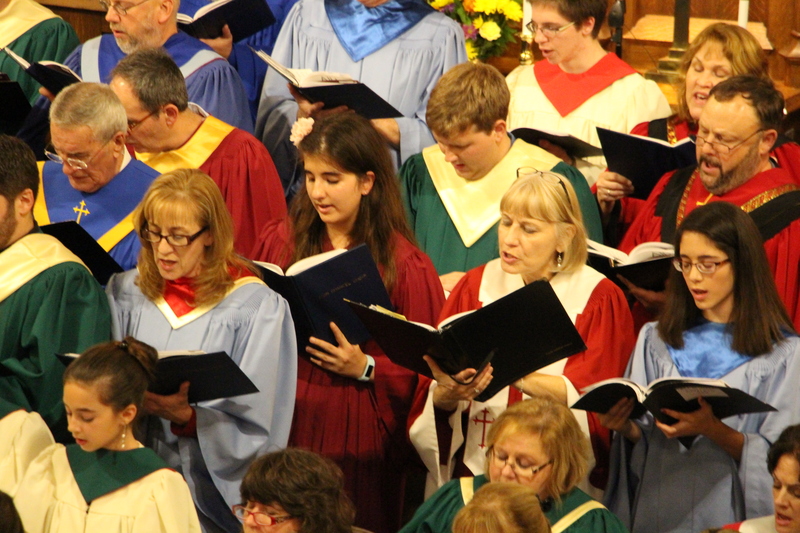 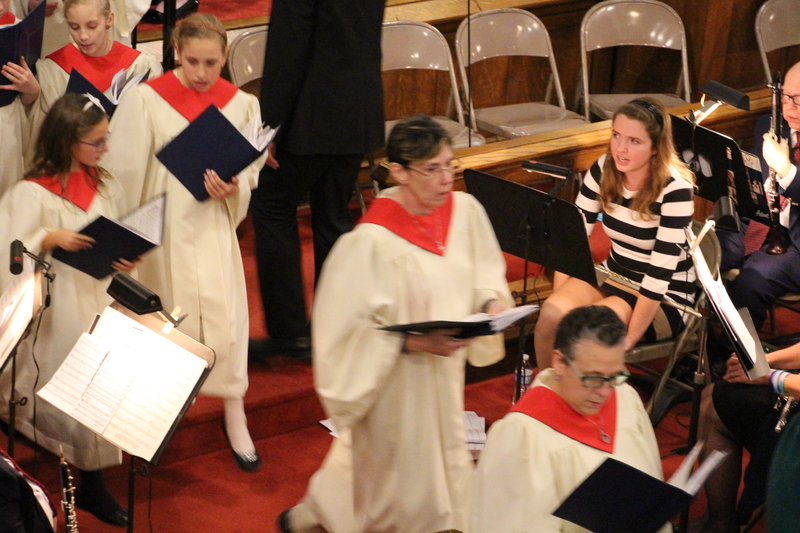 Vocal soloists included Brent Harris and Shannon Frycklund. 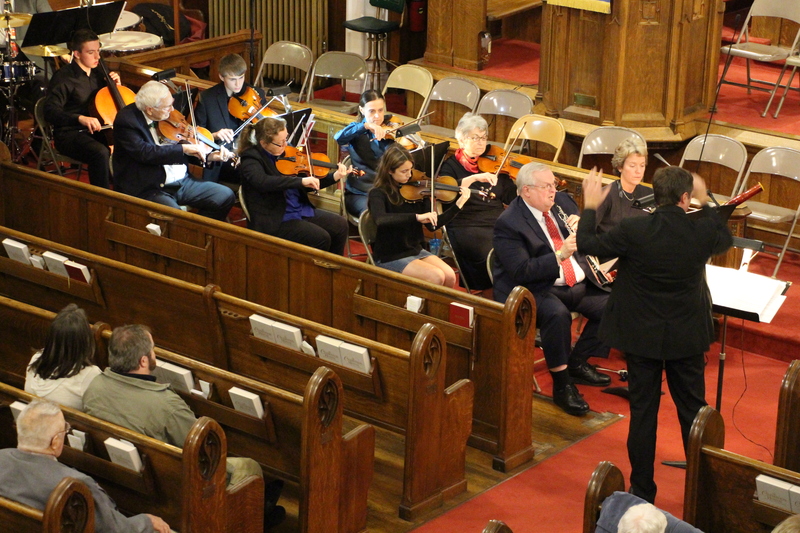 Zion Festival Orchestra members consisted of Nancy Taras, Meghan McGraw, Allison DeForest, and Rose Beck on violins, Joseph Sofhauser and Logan Curran on viola, Spencer Gerhard on cello, Lora Krum and Laura Cressley on flutes, Barry Gangwer on oboe, Kenneth Leffler and Raymond Hontz on clarinets, Beth Cressley on bassoon, Brian Eckert, Chris Short, and Sean Parrish on trumpets, Jo DeForest on French horn, Peter Petrack, Joe Plechavy, and Brock Heckman on trombones, Duane Reichard and assistant Cassi Short on percussion, Cindy Mack on organ/piano, and Kathy Crampsie on guitar. 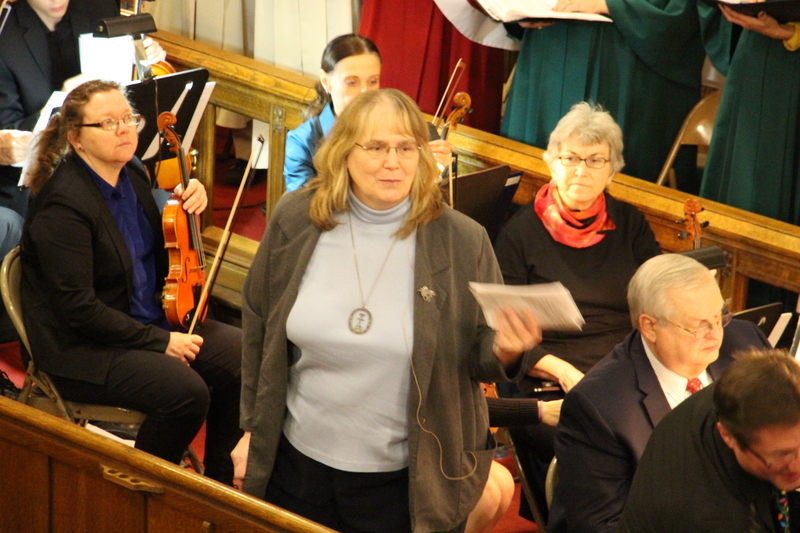 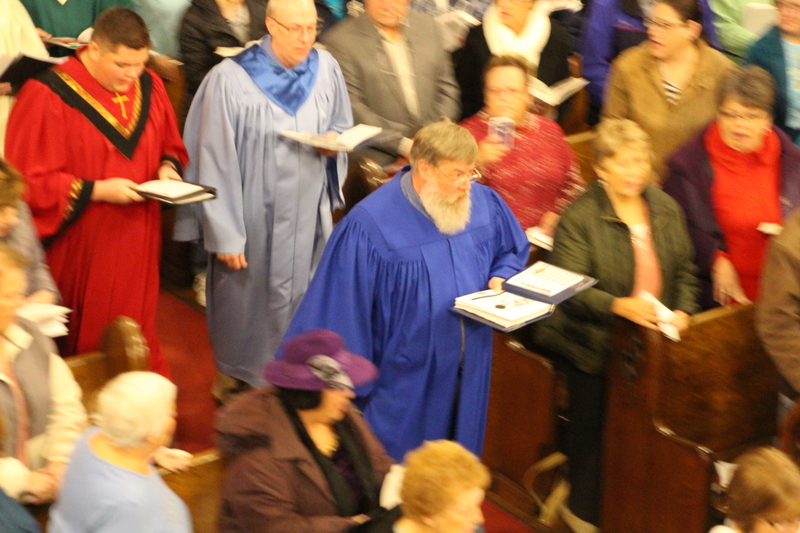 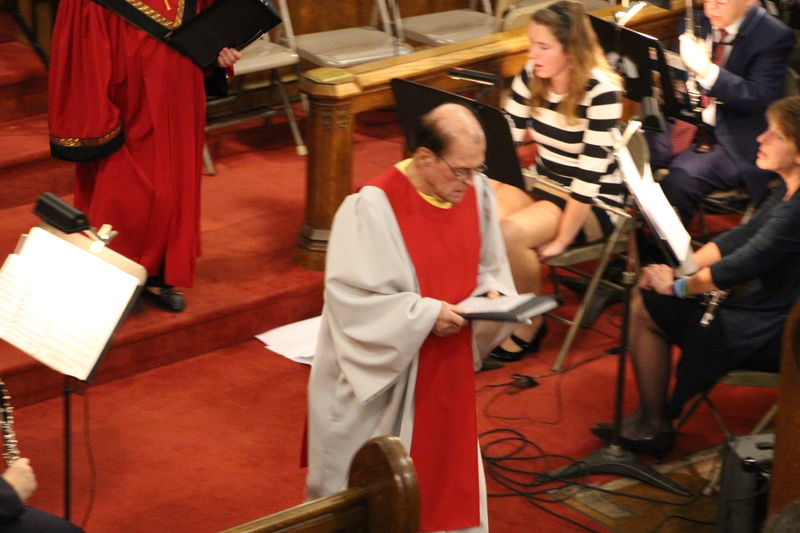 The Cantata books for the performance were purchased by Barry Shupp in memory of long time Zion UCC choir member, Shirley Wentz. 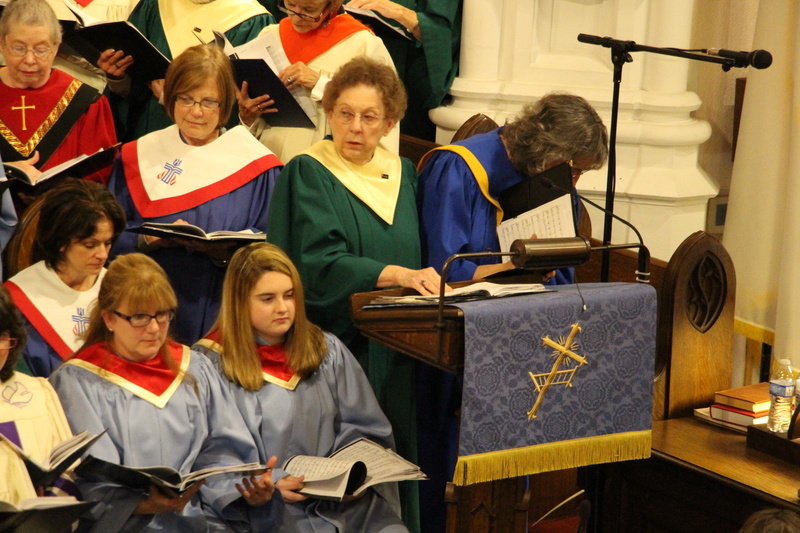 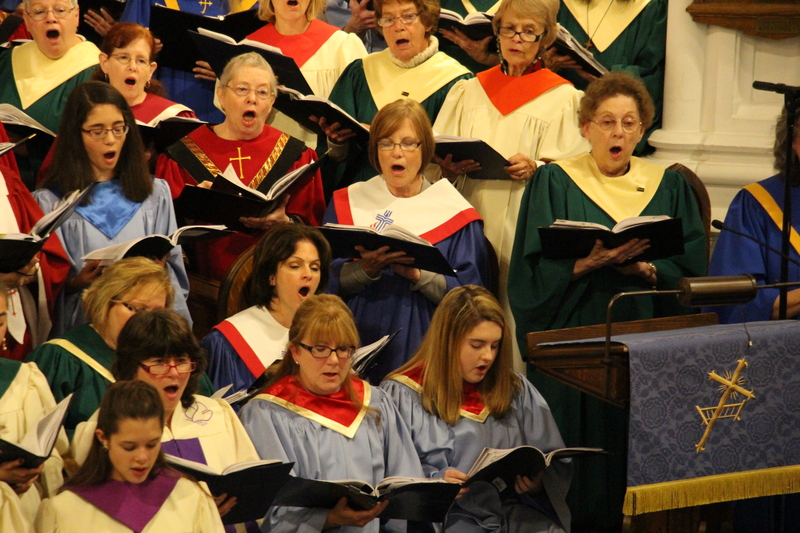 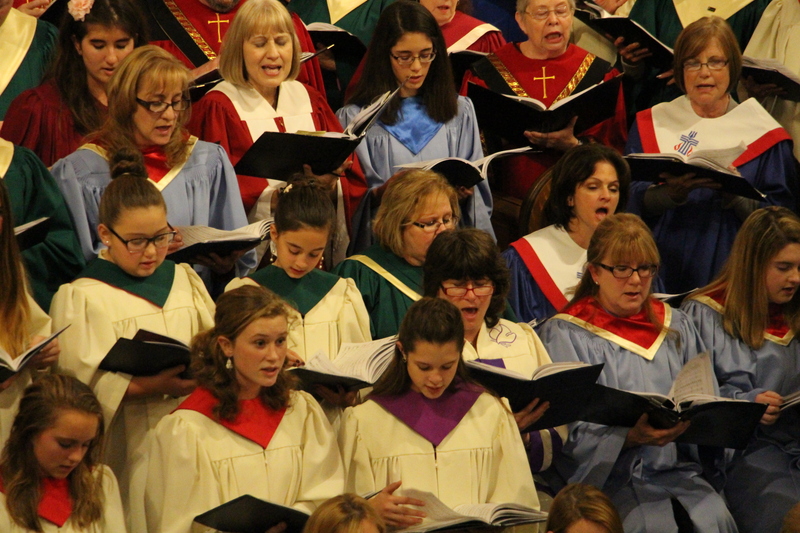 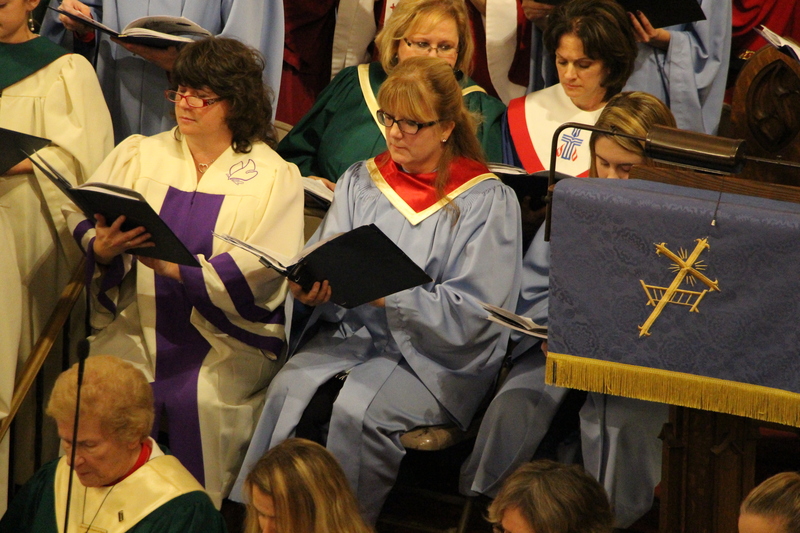 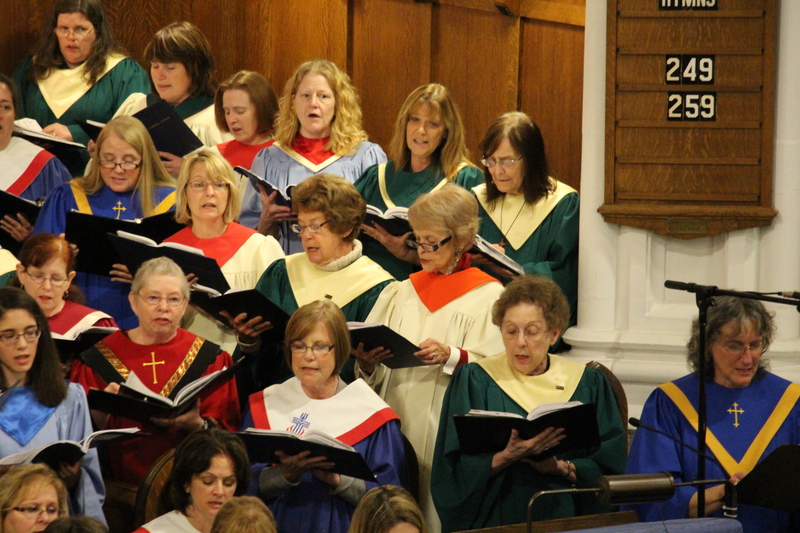 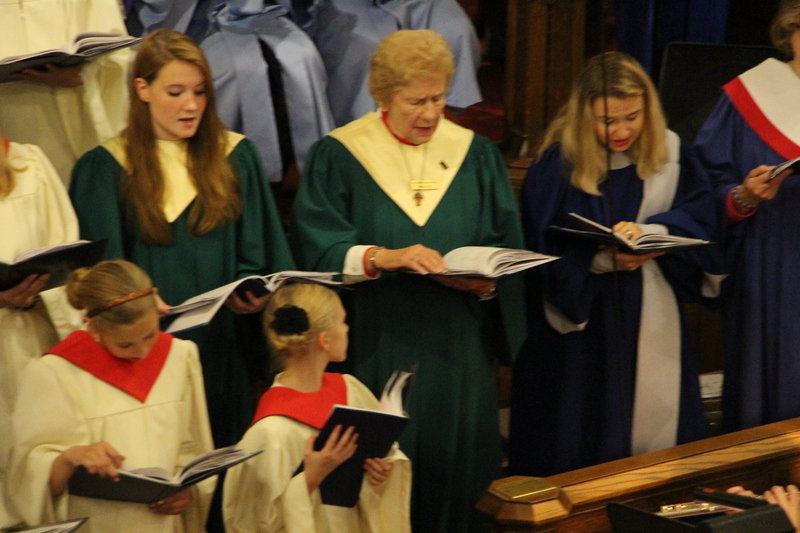 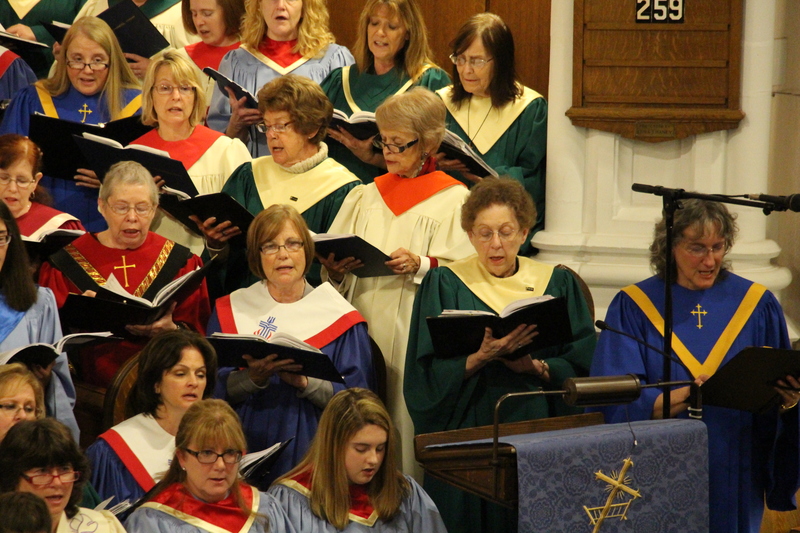 The orchestration was purchased by The Daughter’s of Zion who are Zion UCC’s dedicated quilting group. 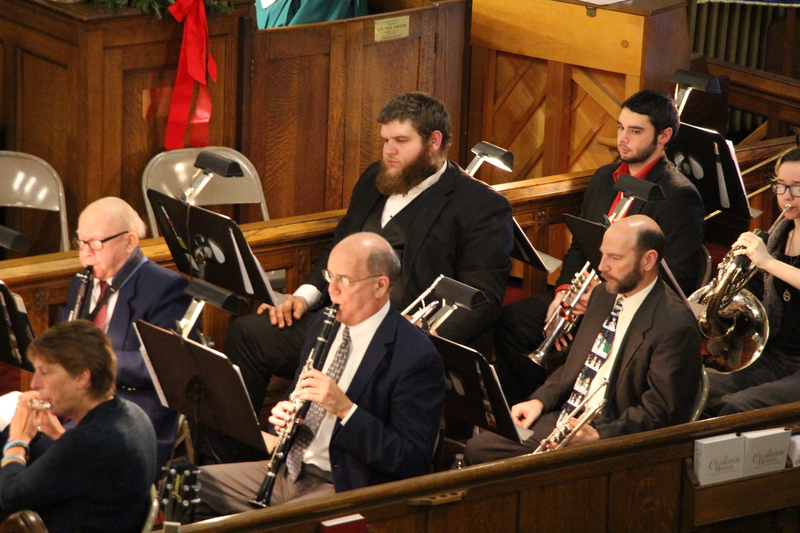 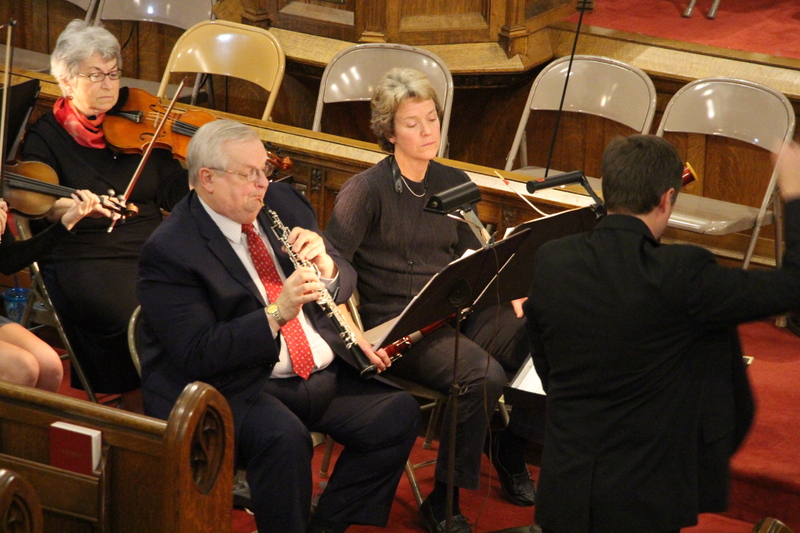 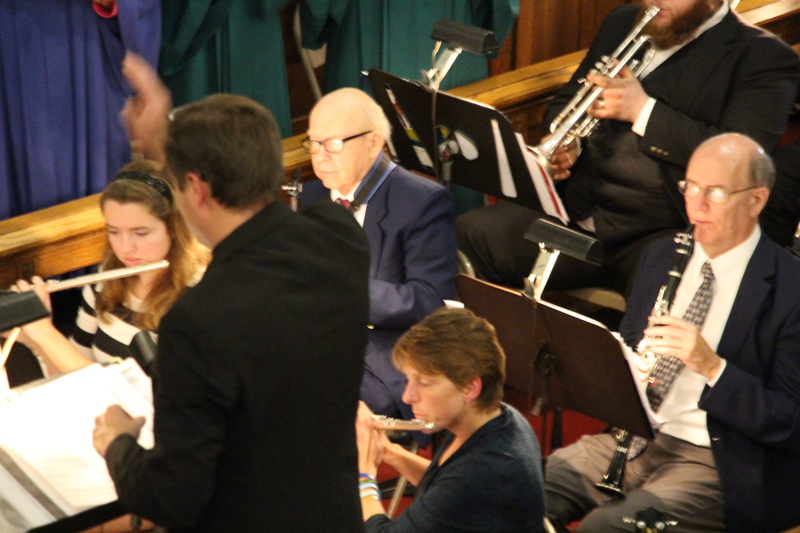 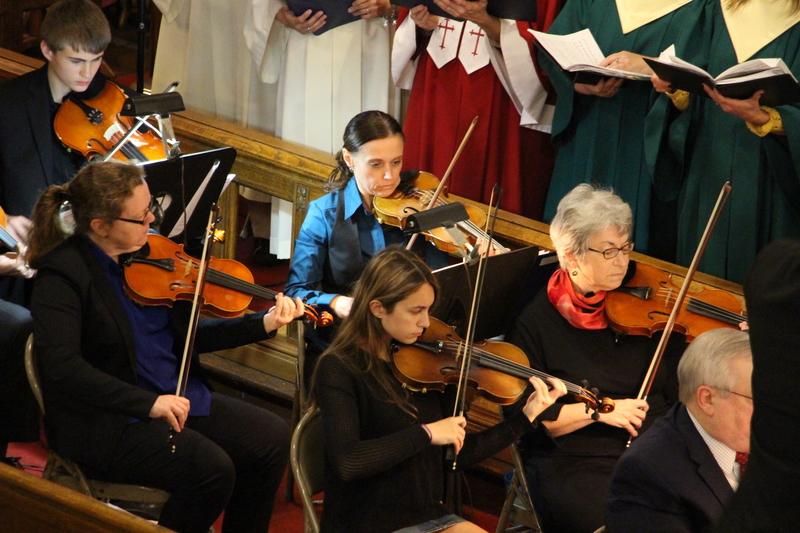 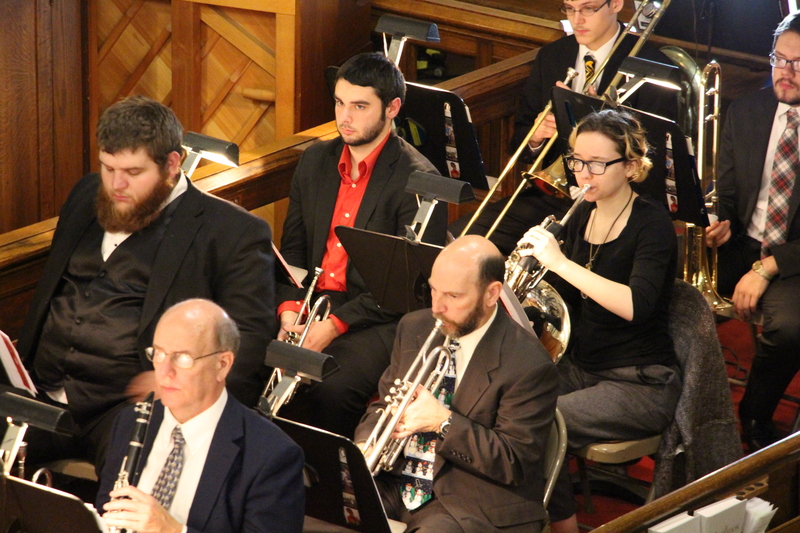 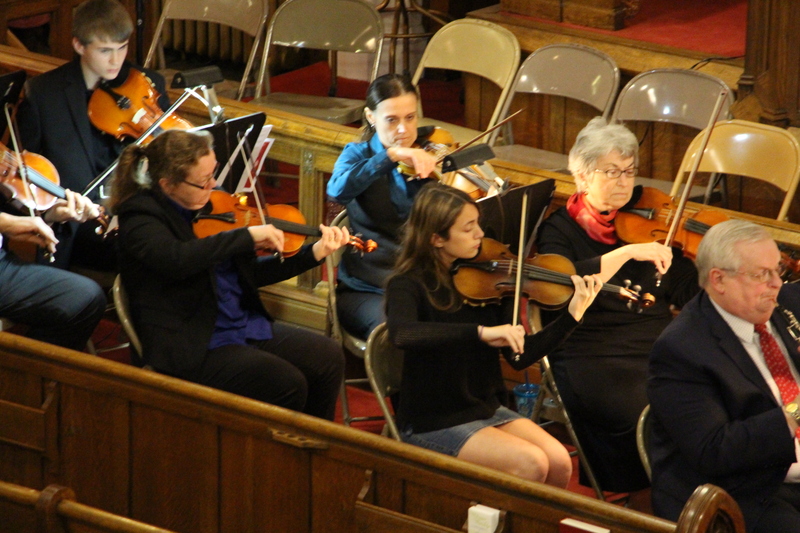 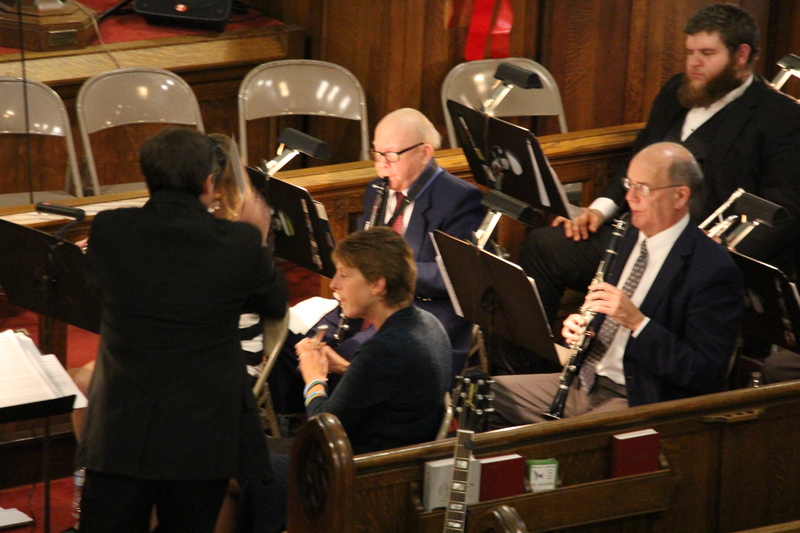 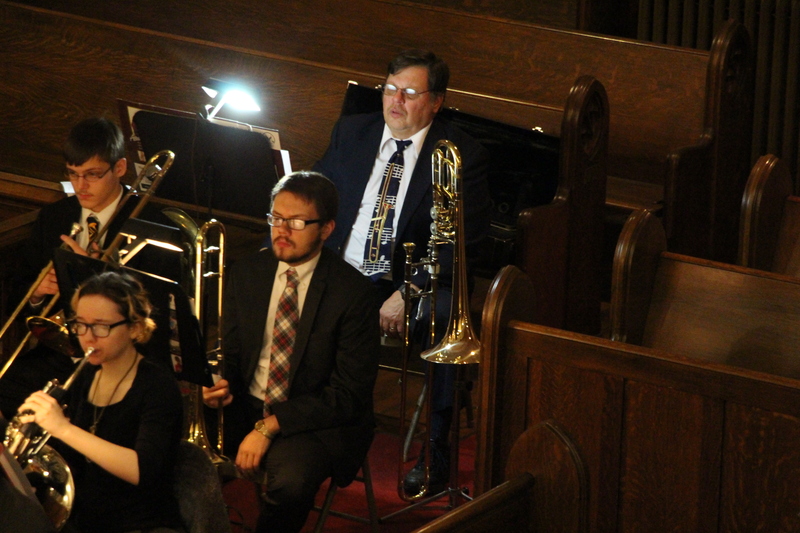 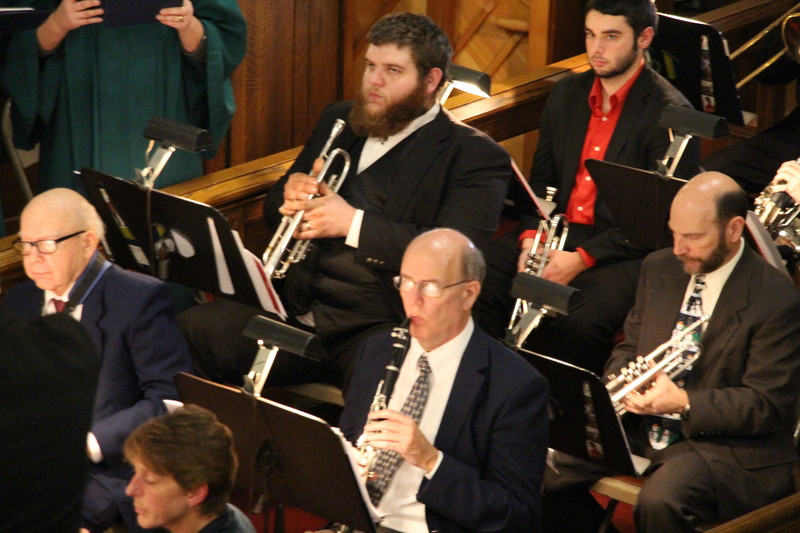 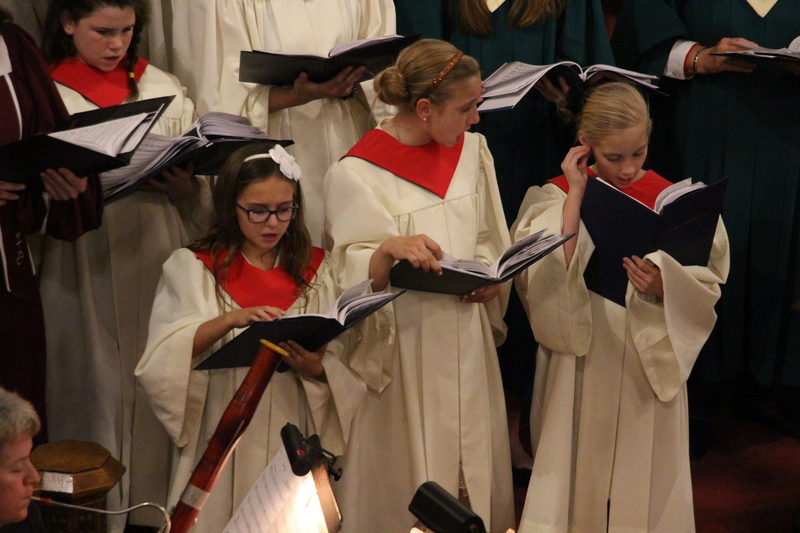 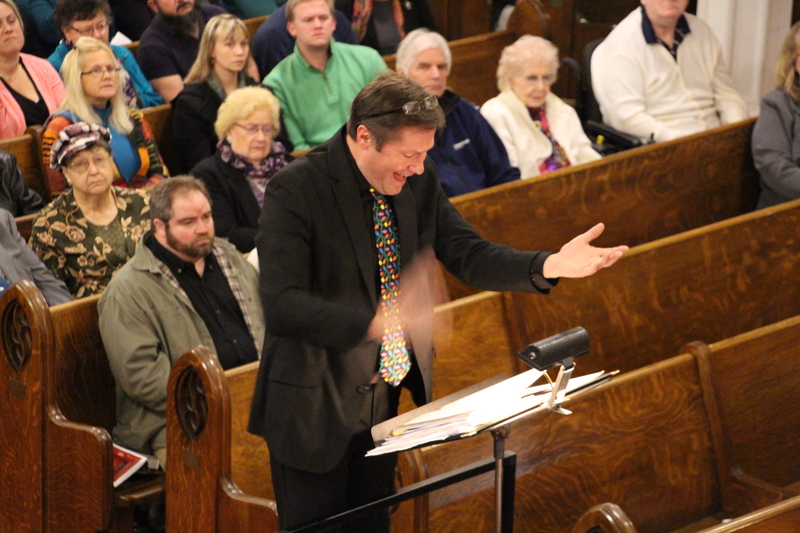 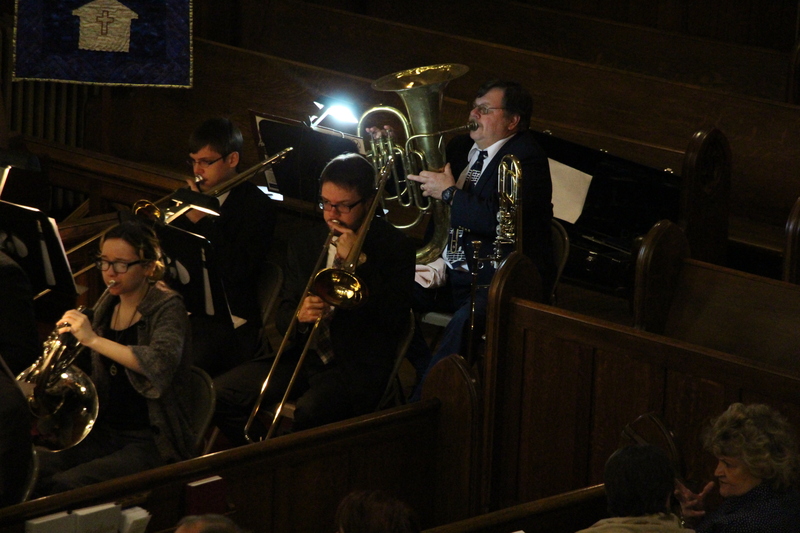 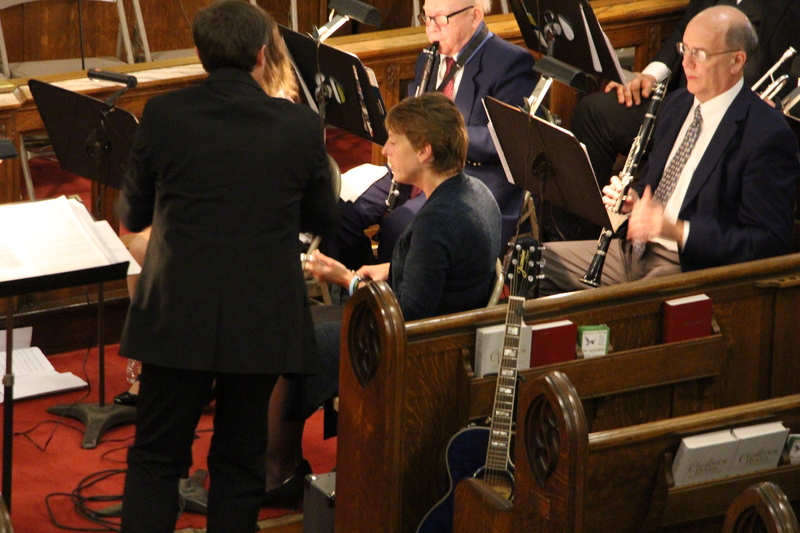 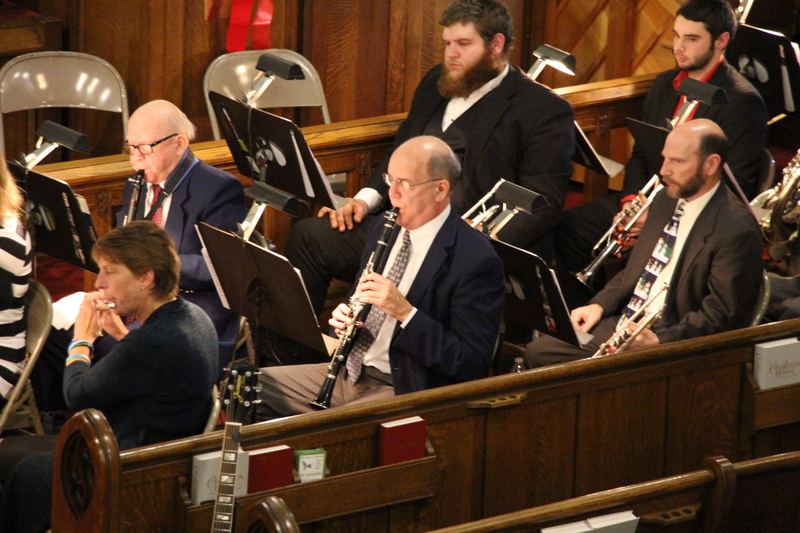 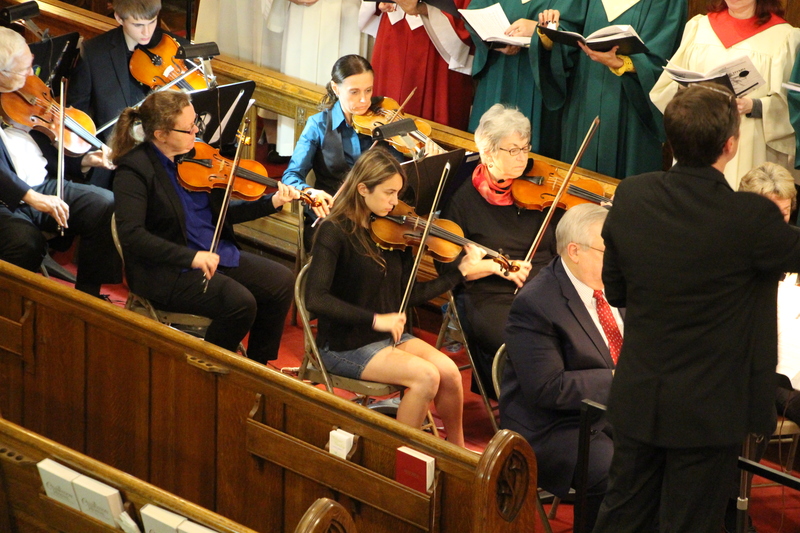 In addition to the cantata, Zion’s Festival Orchestra presented several pieces of Christmas music; to include What Child is This, Have Yourself a Merry Little Christmas, O Holy Night, Music from The Polar Express and others. 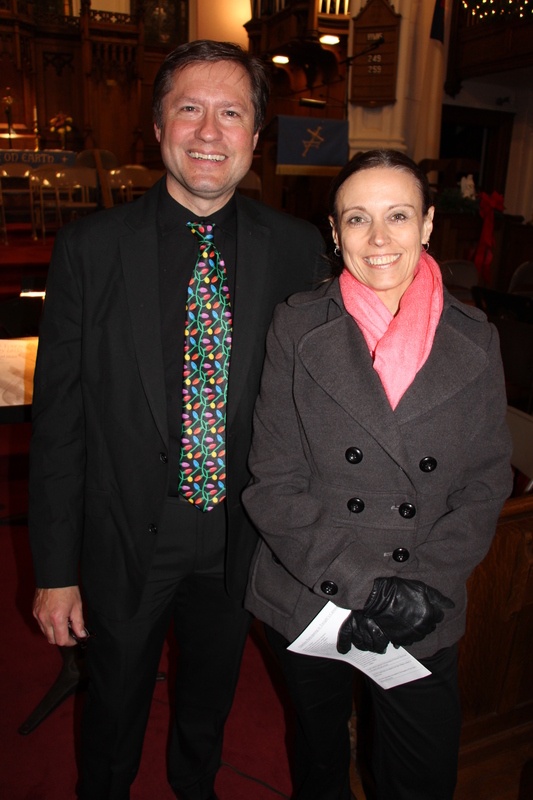 Special appreciations were given to Paul and Linn Smith for starting the event and who have worked to keep it going. 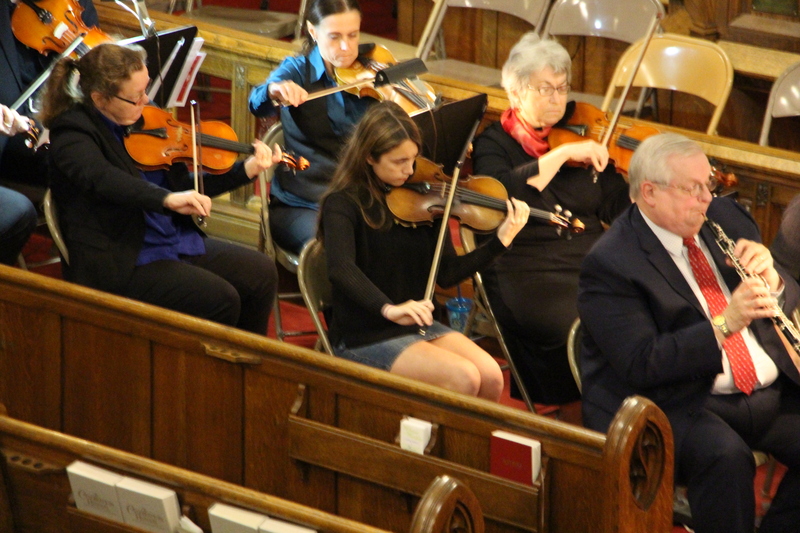 Click HERE to view the event’s Facebook page. 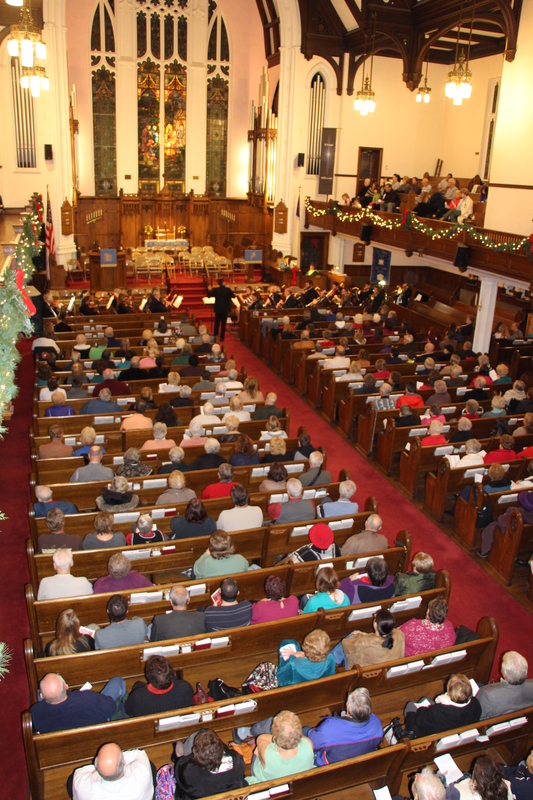 Previous POLL: When Do You Start Decorating For Christmas?